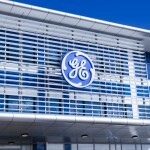 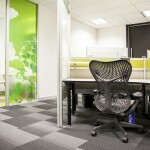 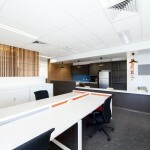 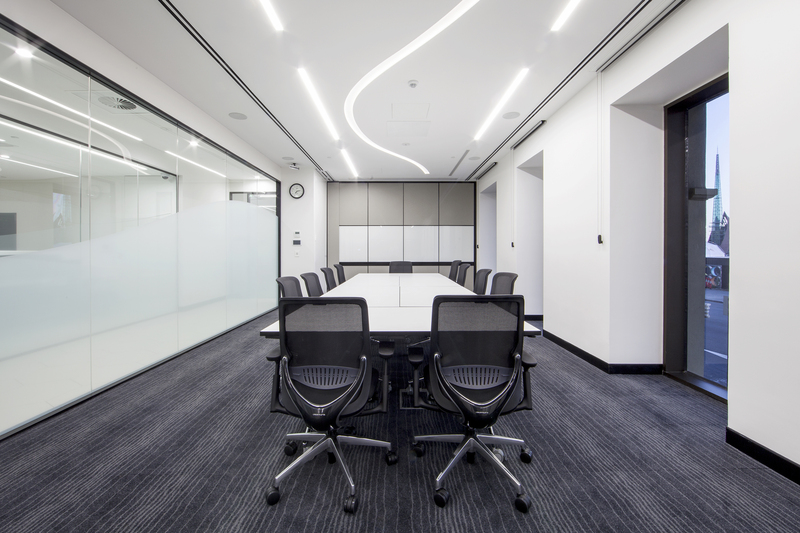 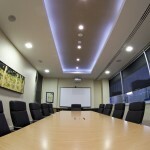 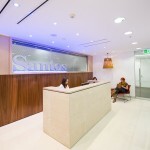 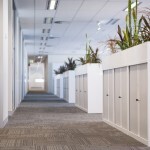 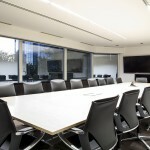 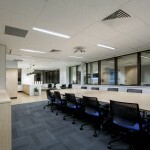 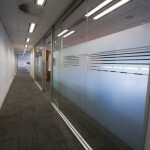 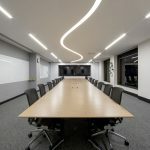 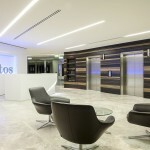 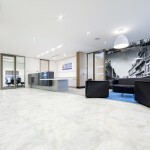 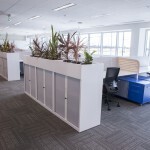 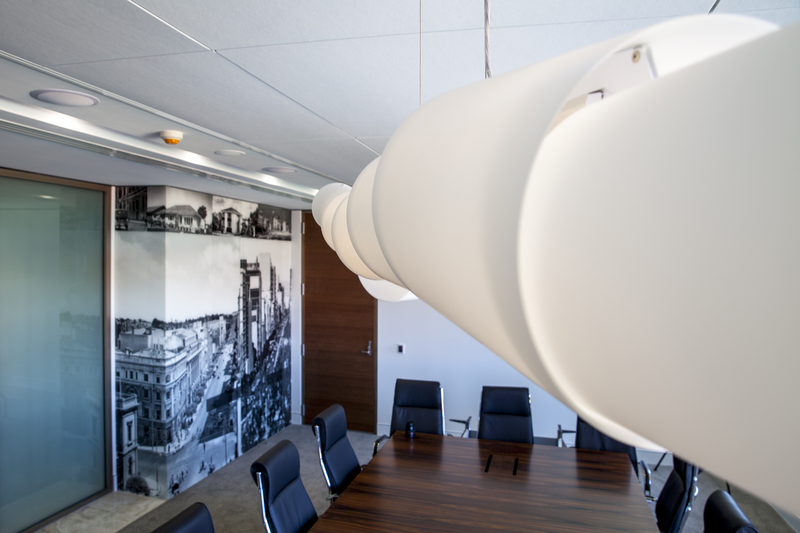 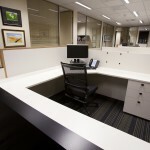 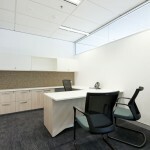 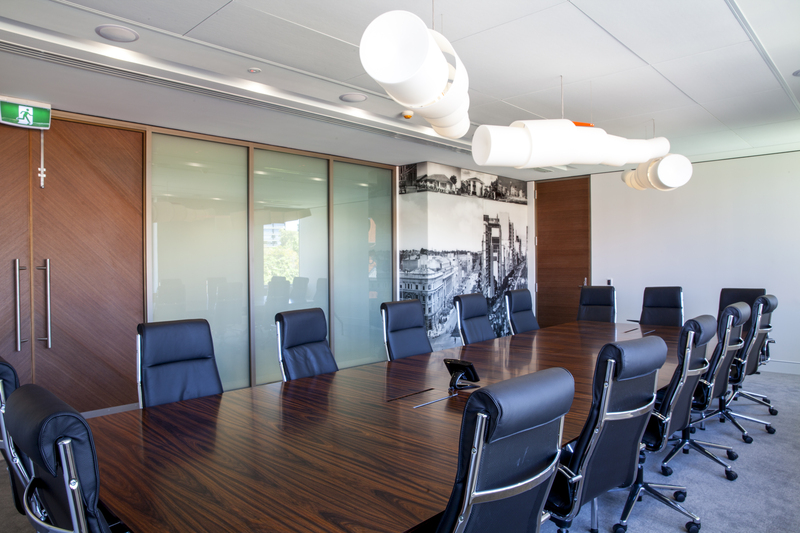 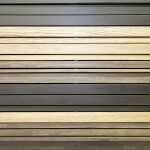 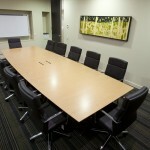 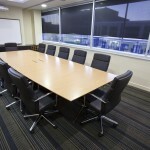 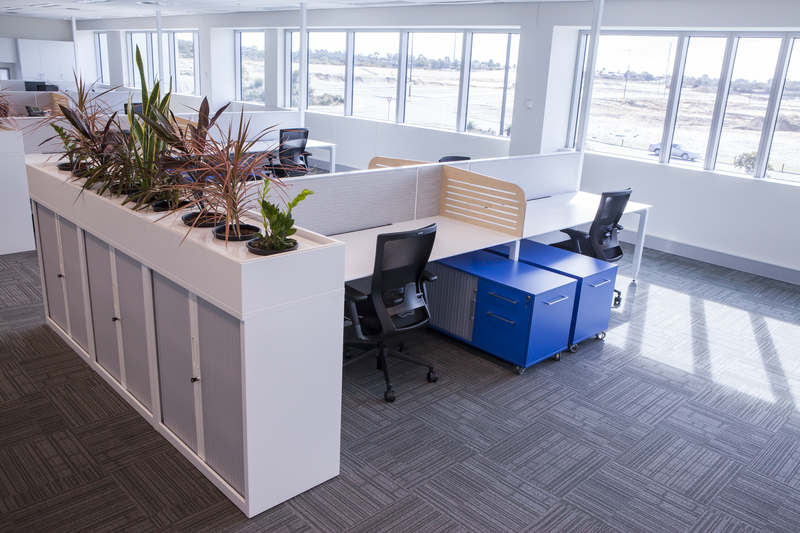 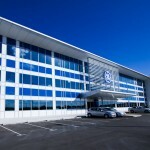 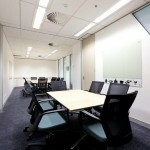 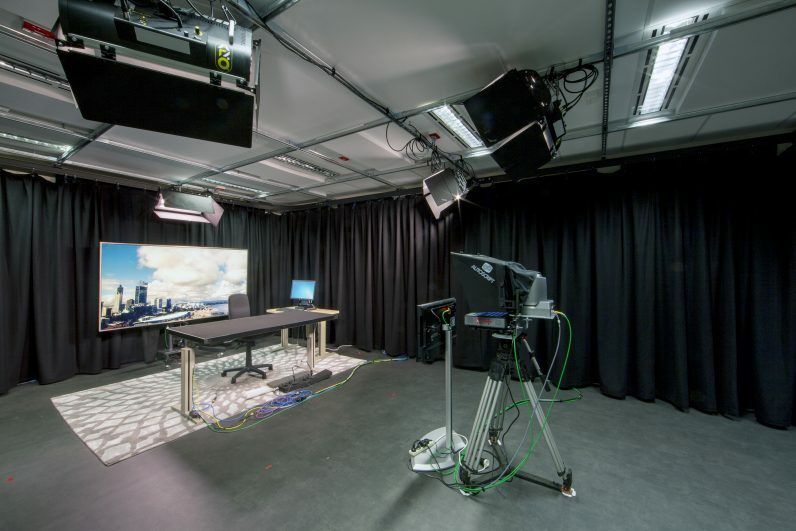 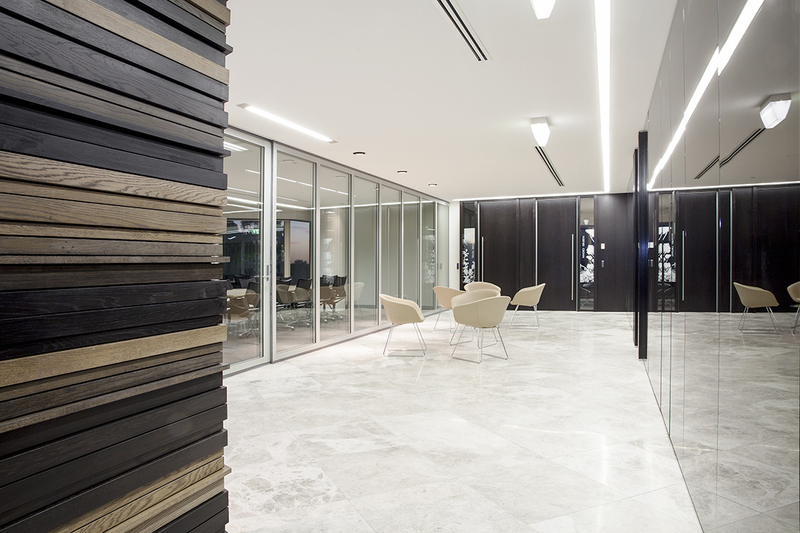 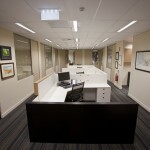 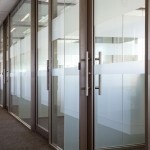 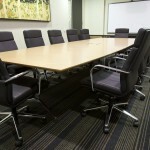 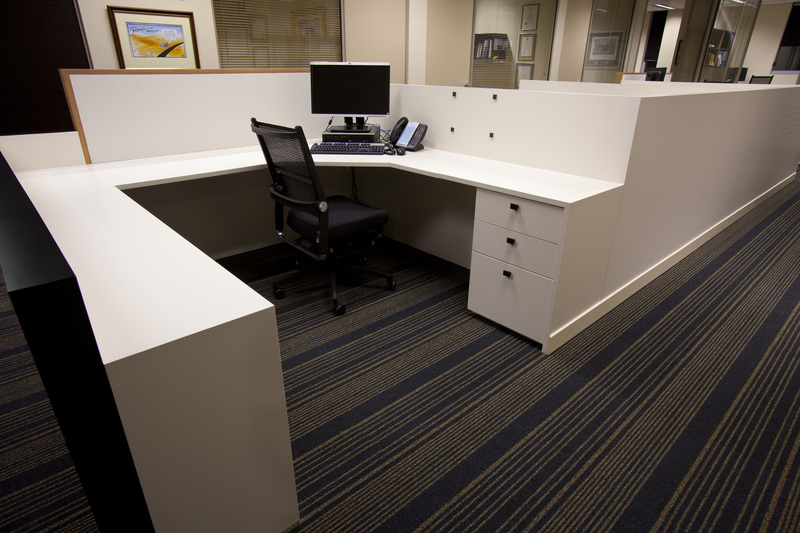 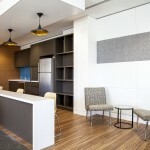 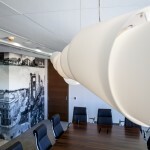 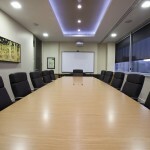 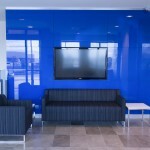 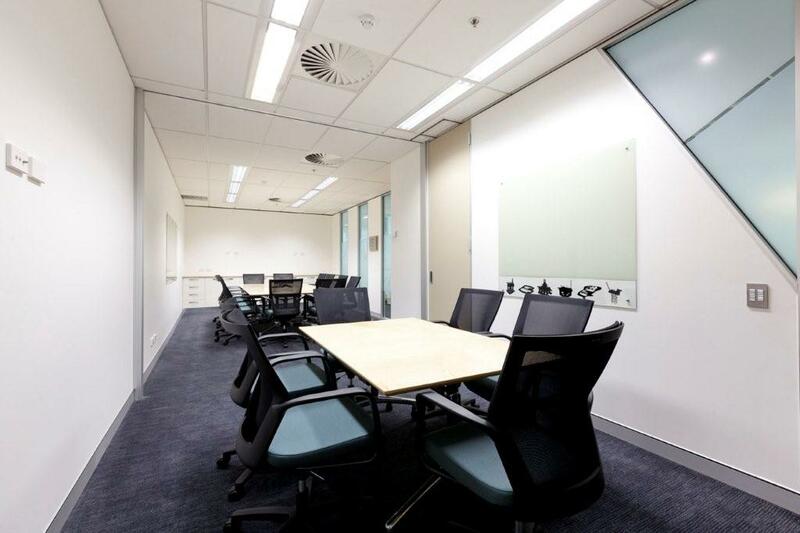 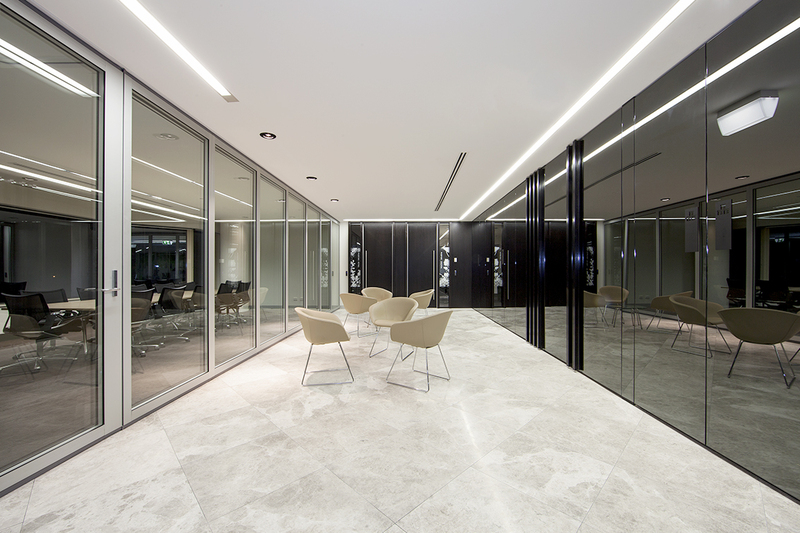 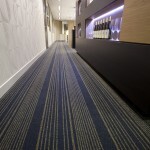 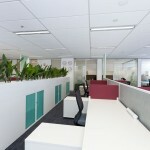 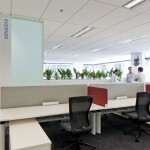 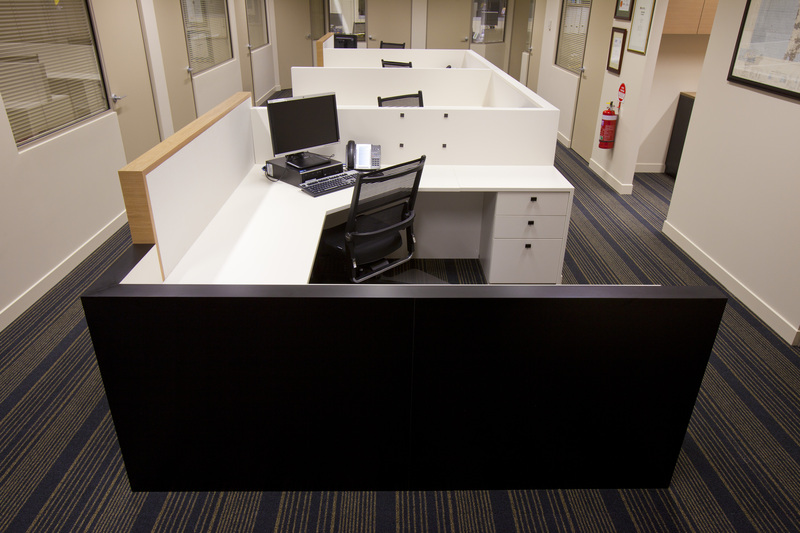 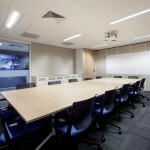 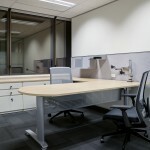 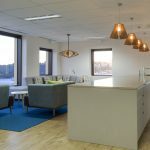 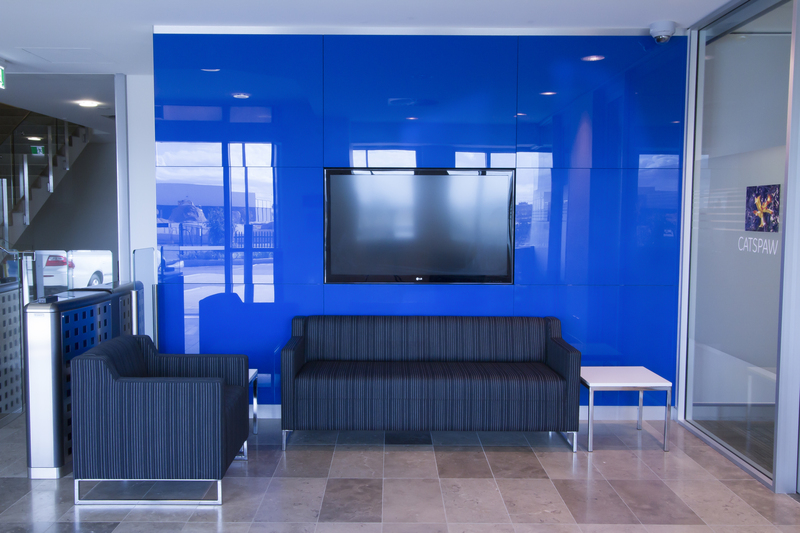 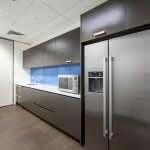 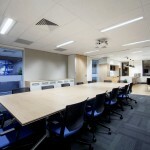 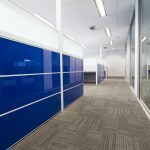 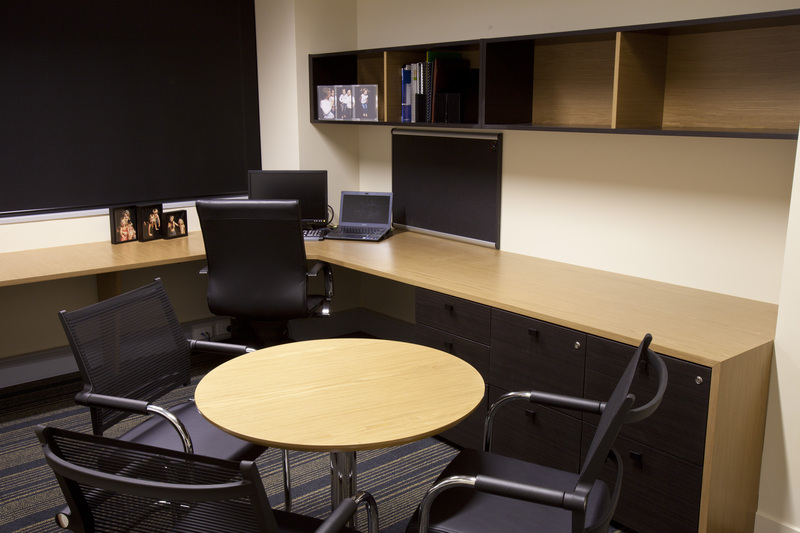 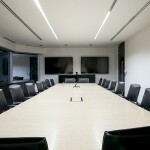 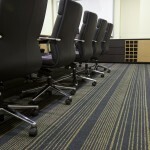 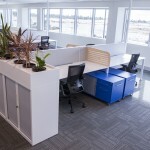 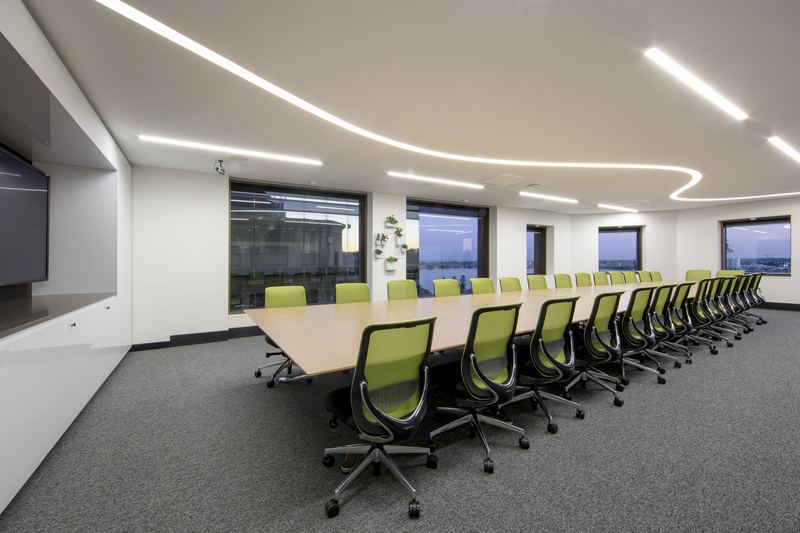 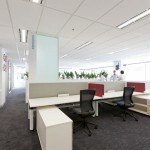 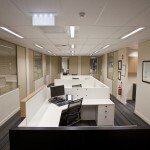 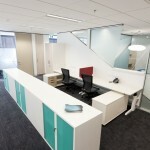 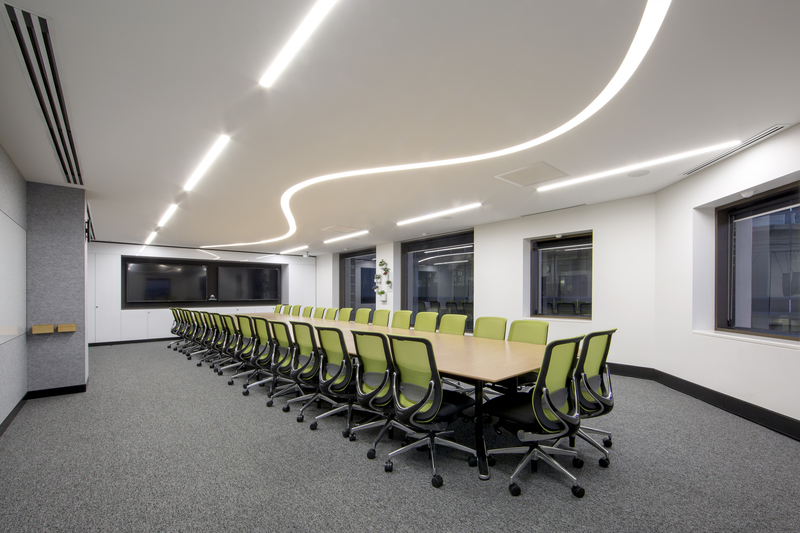 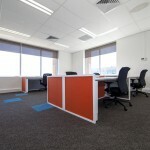 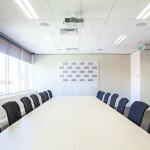 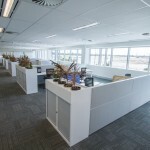 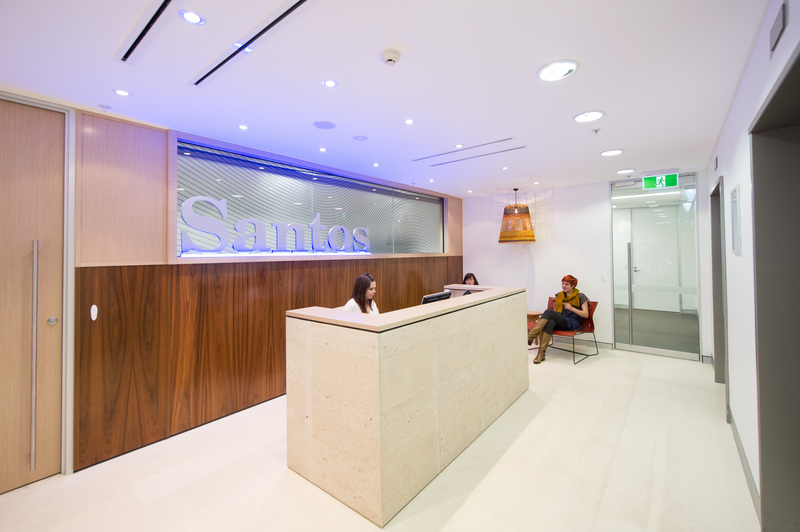 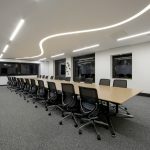 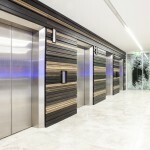 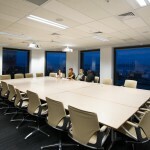 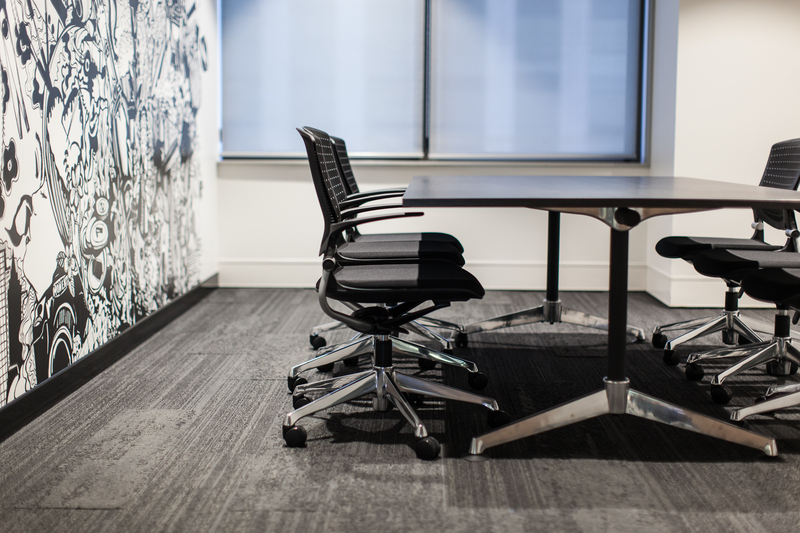 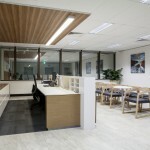 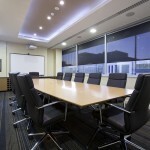 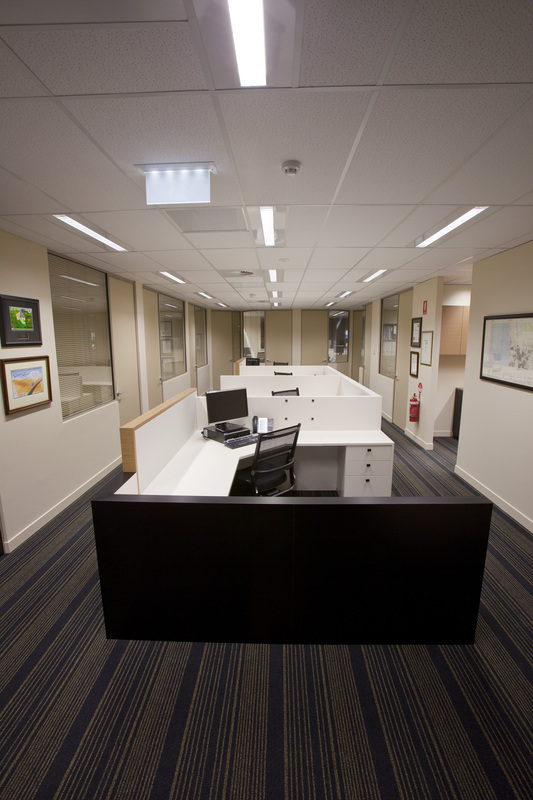 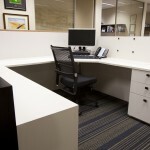 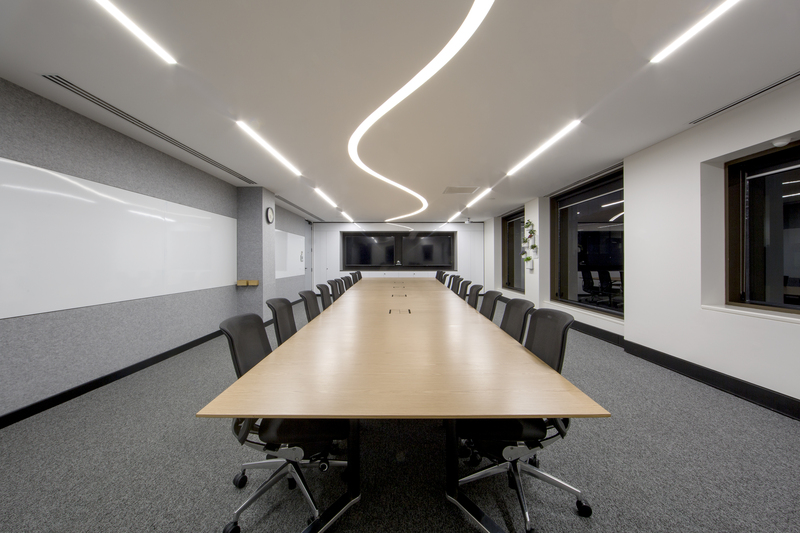 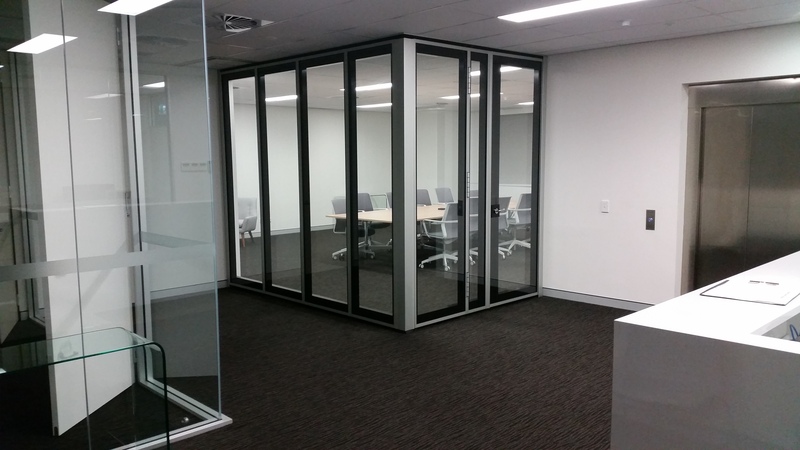 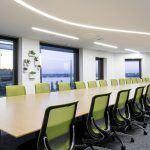 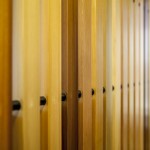 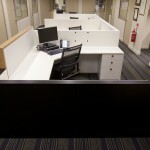 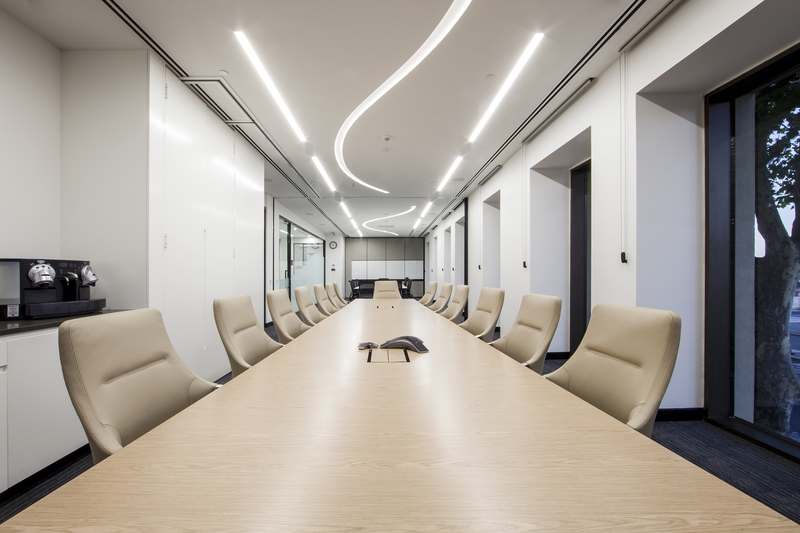 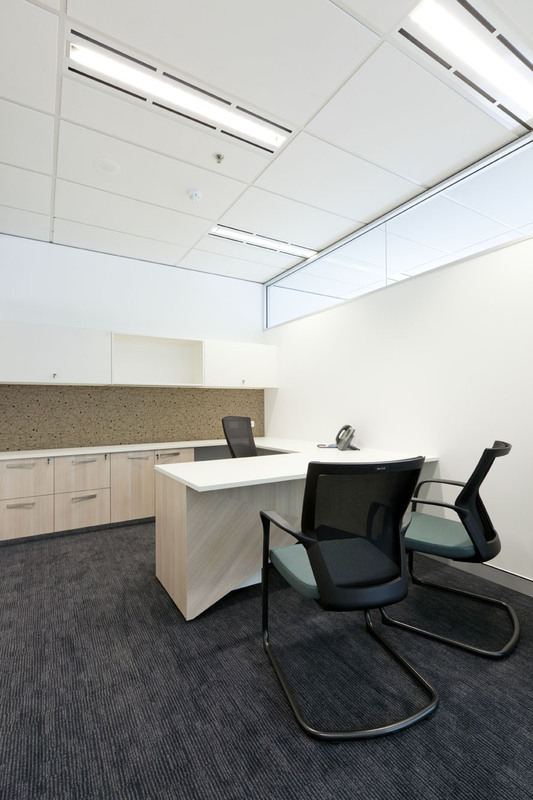 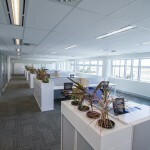 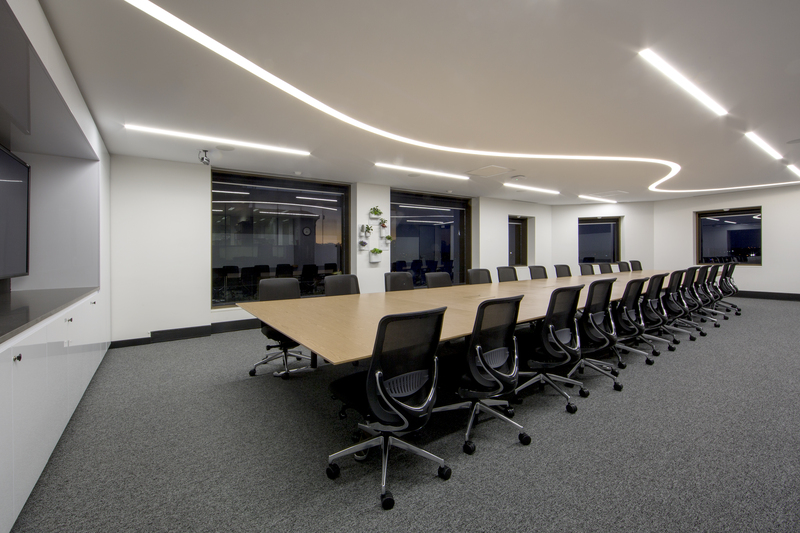 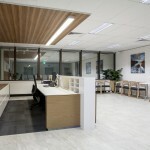 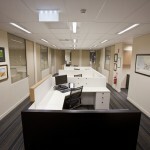 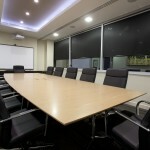 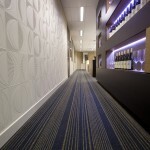 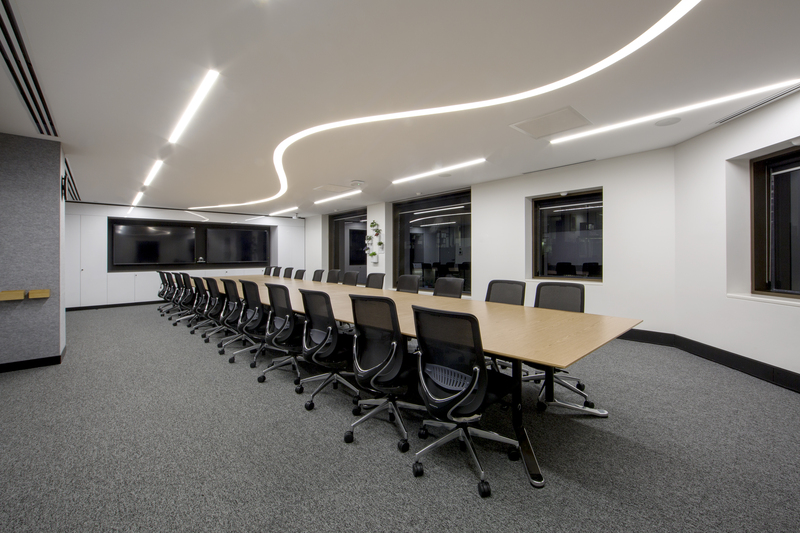 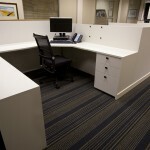 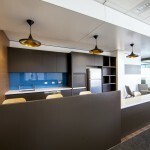 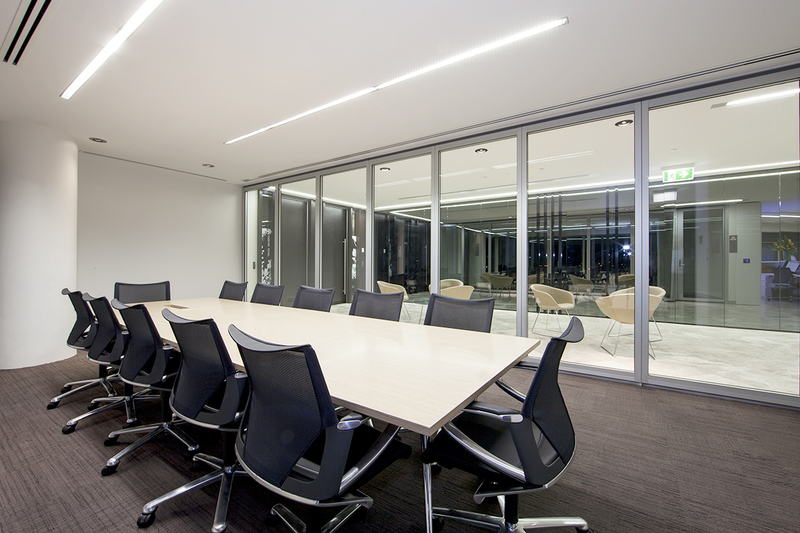 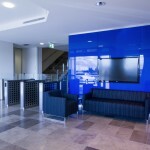 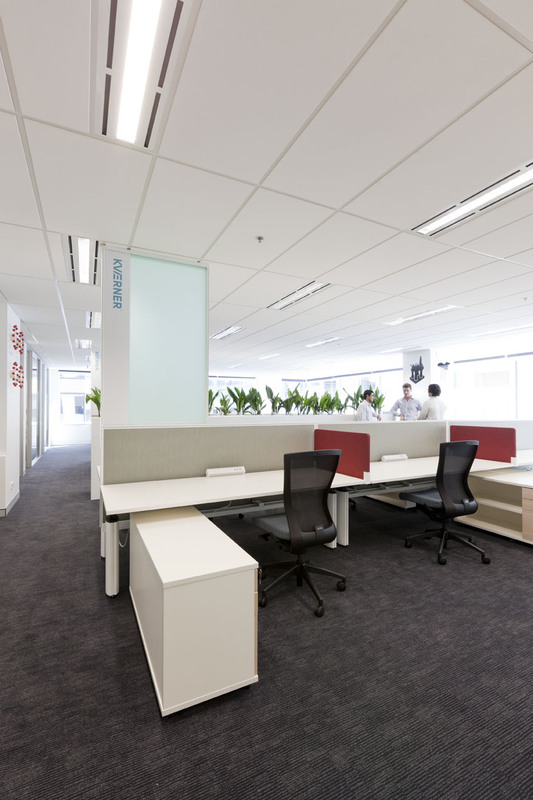 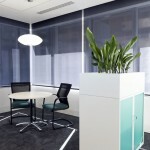 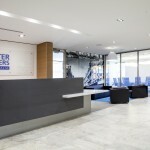 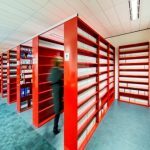 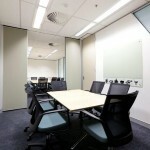 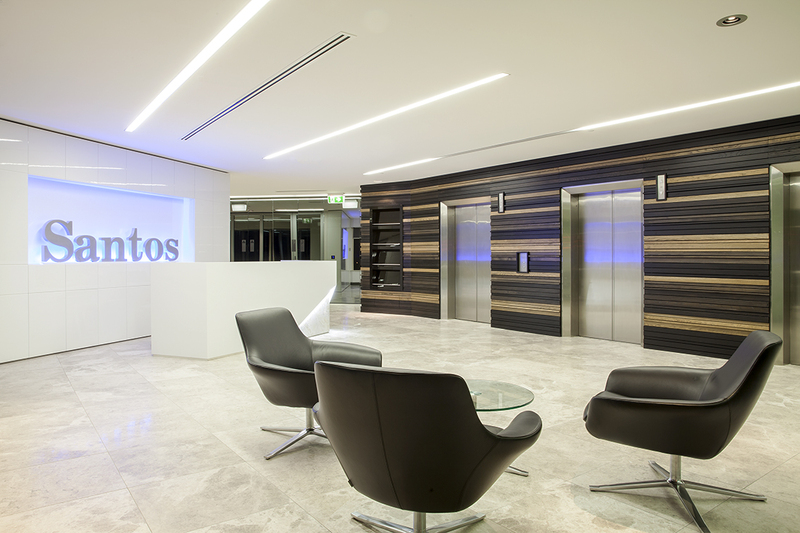 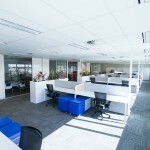 How Can Show Suites Increase the Appeal of Empty Office Suites? 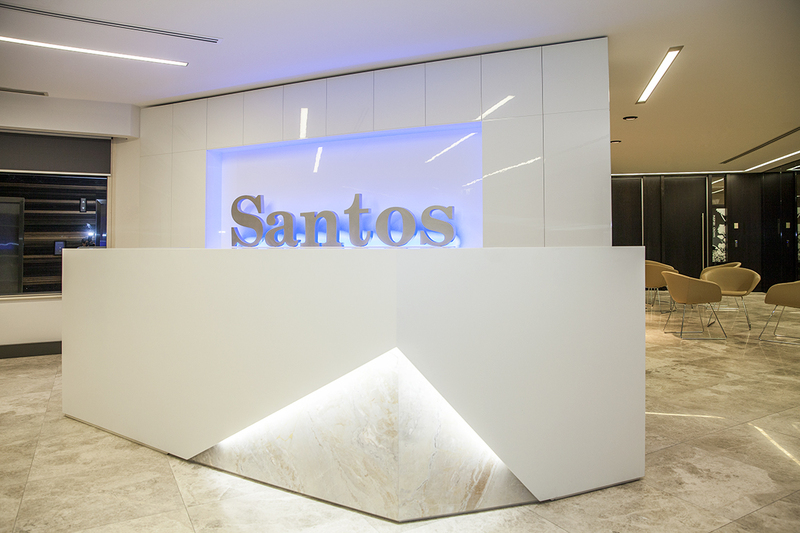 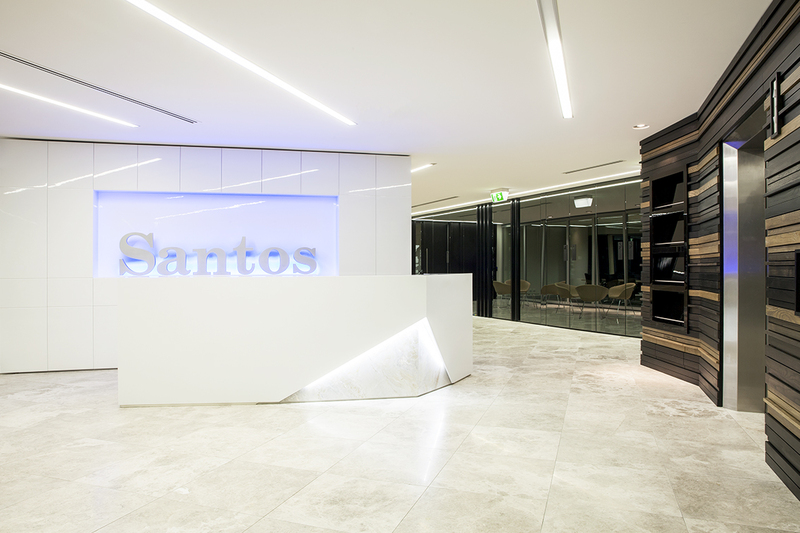 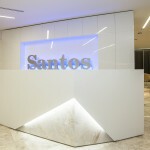 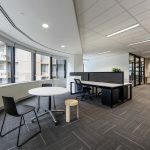 Since the economic boom that came when the mining industries rapid growth deflated, Perth’s high office vacancy rates have broadly been seen as a negative for the city. 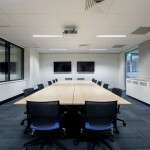 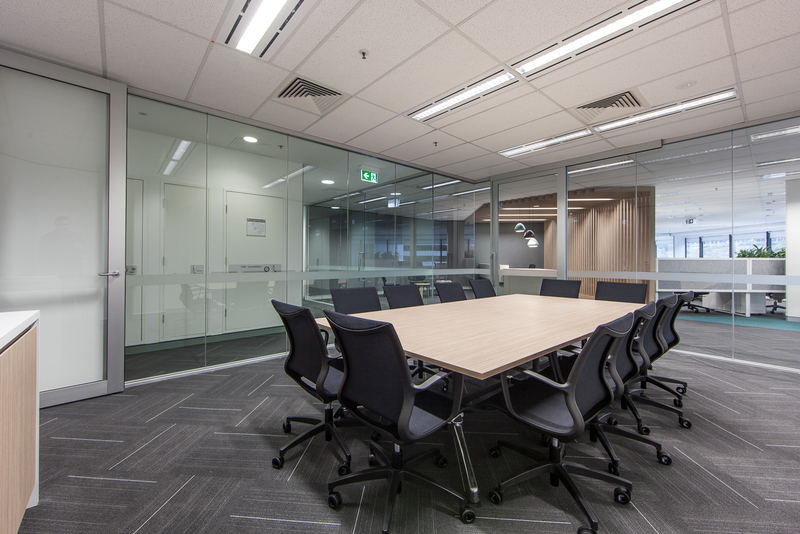 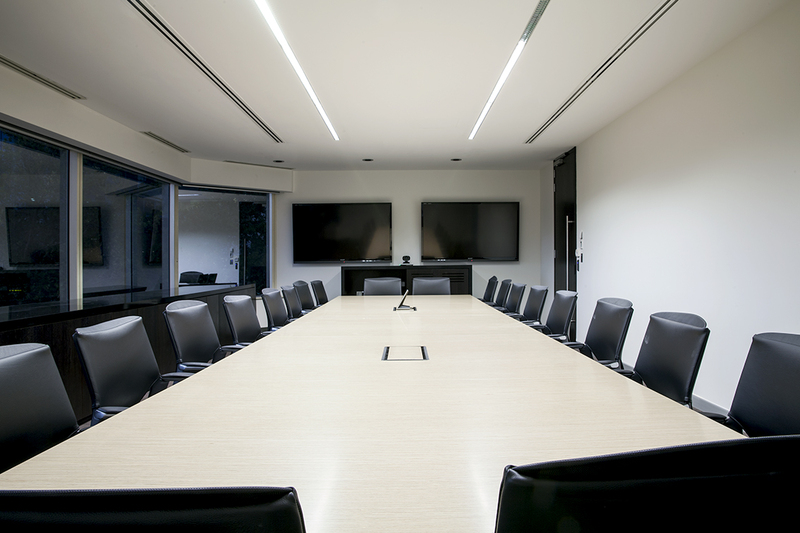 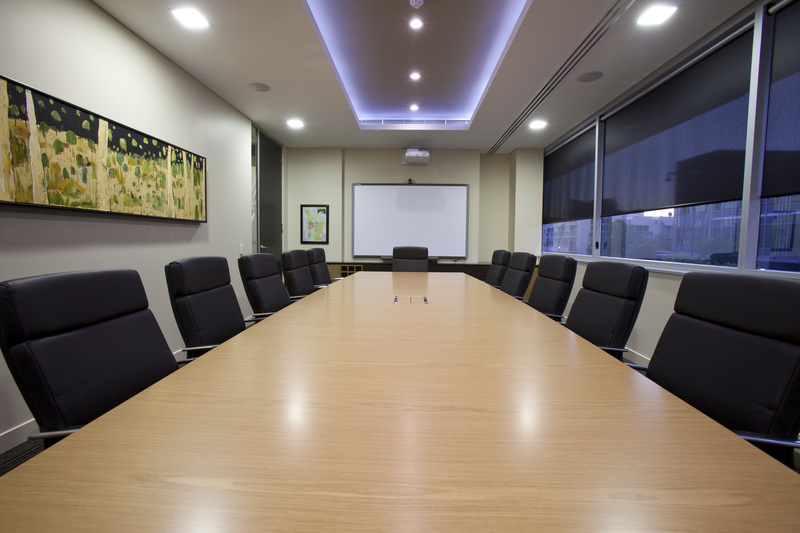 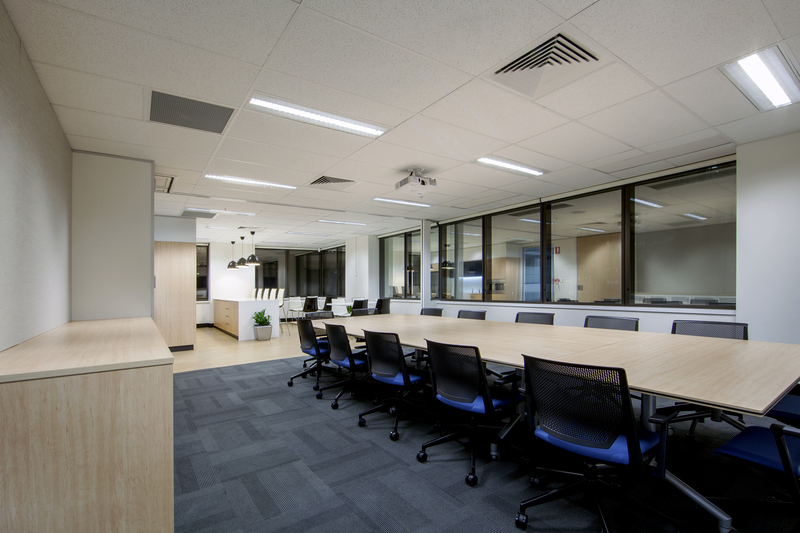 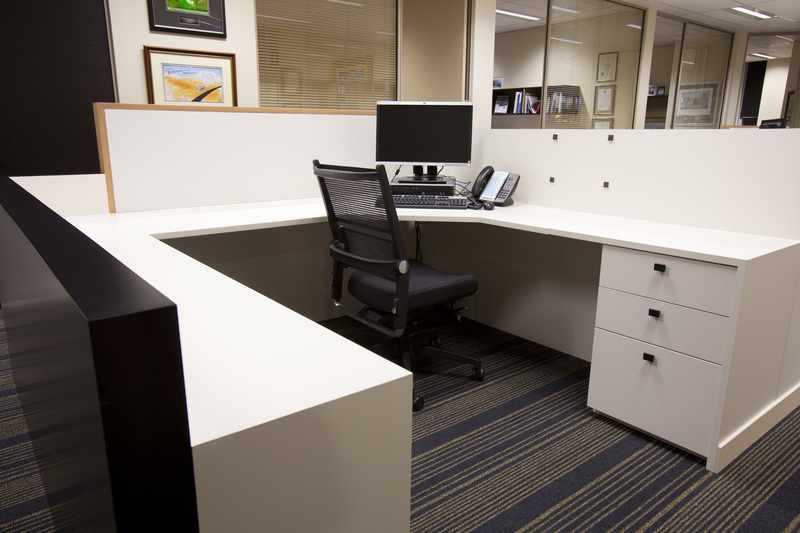 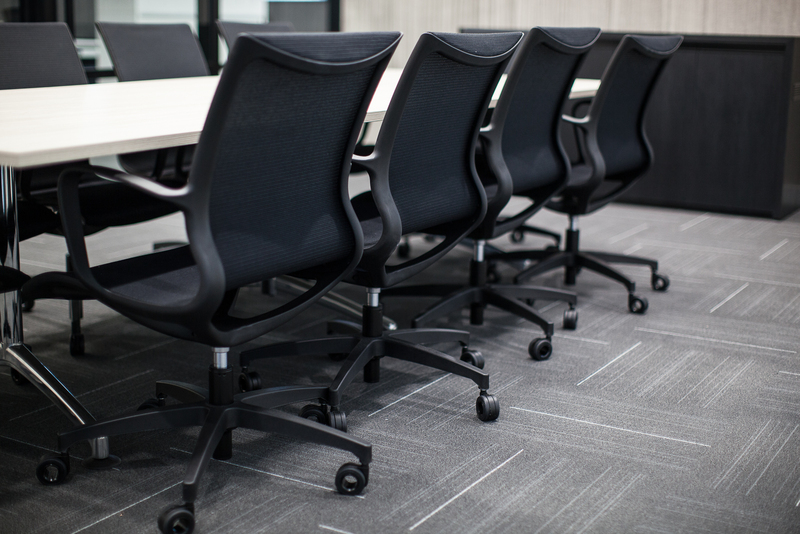 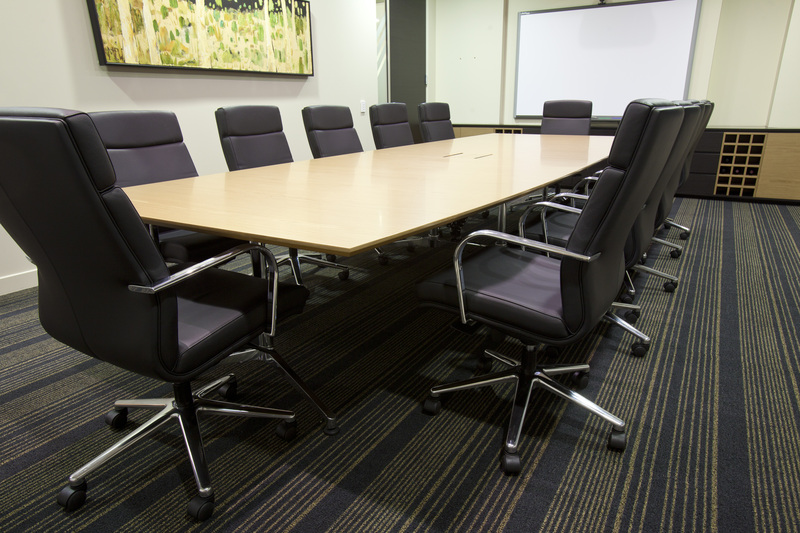 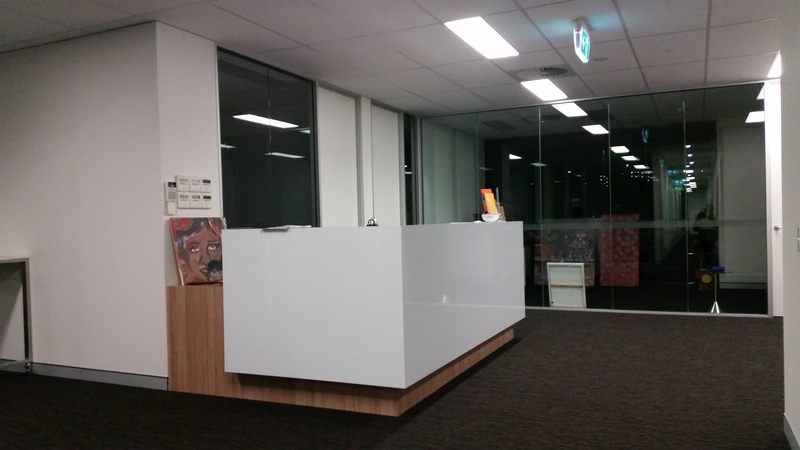 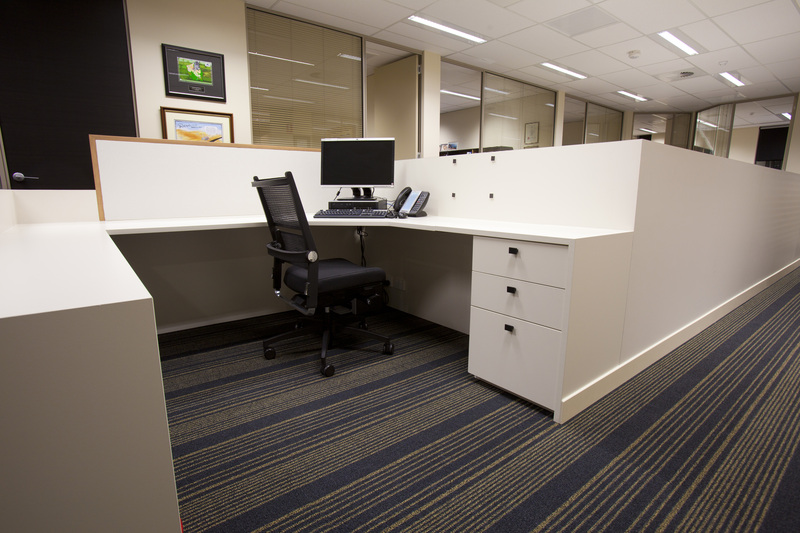 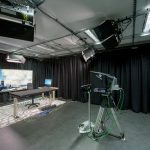 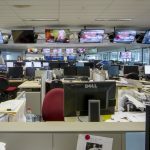 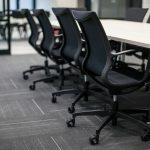 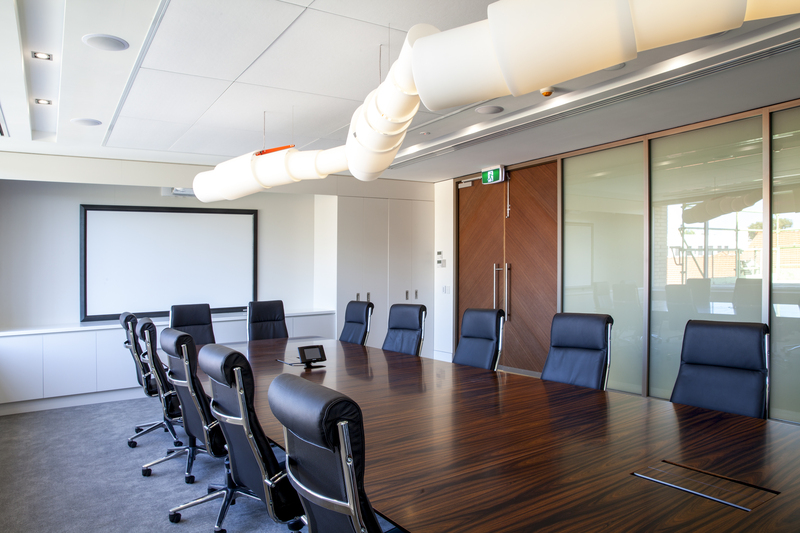 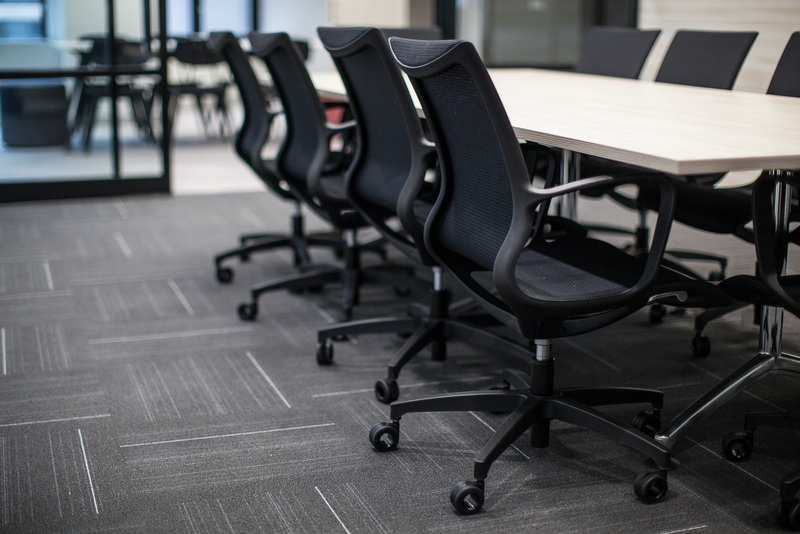 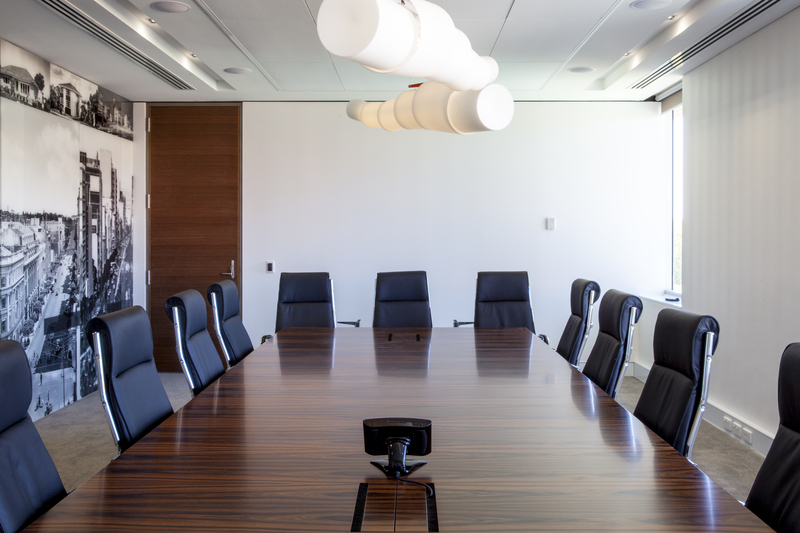 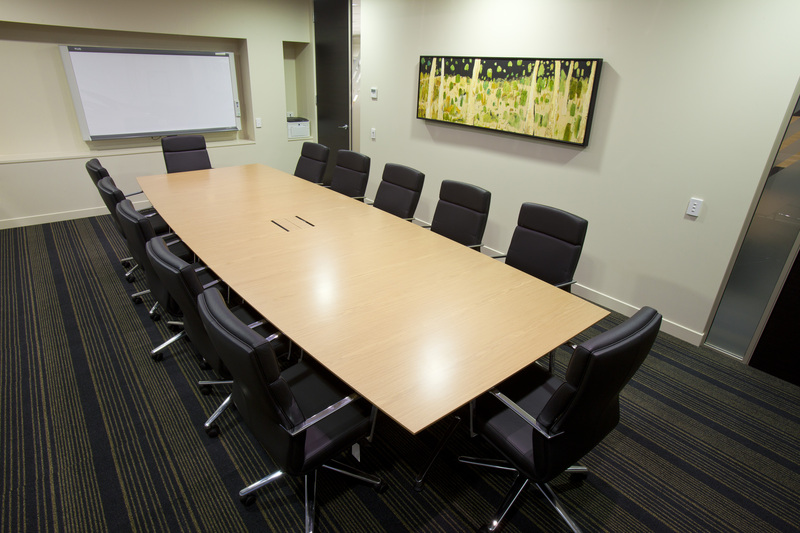 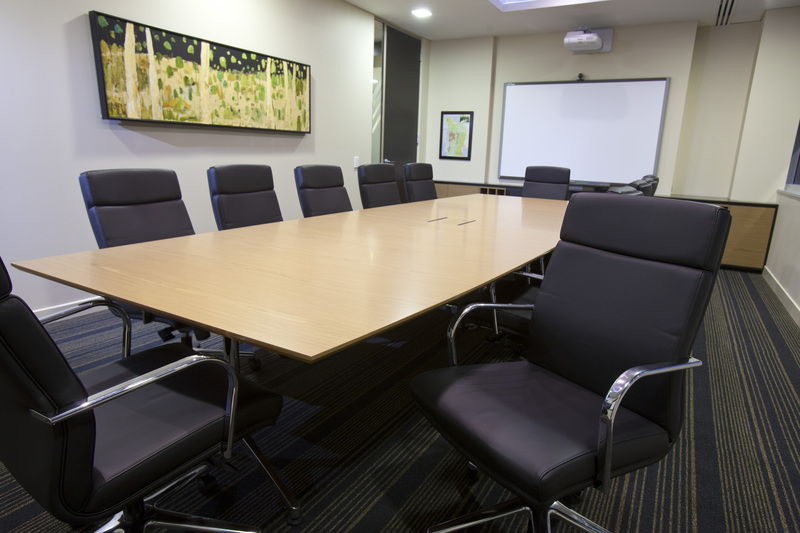 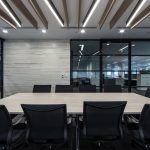 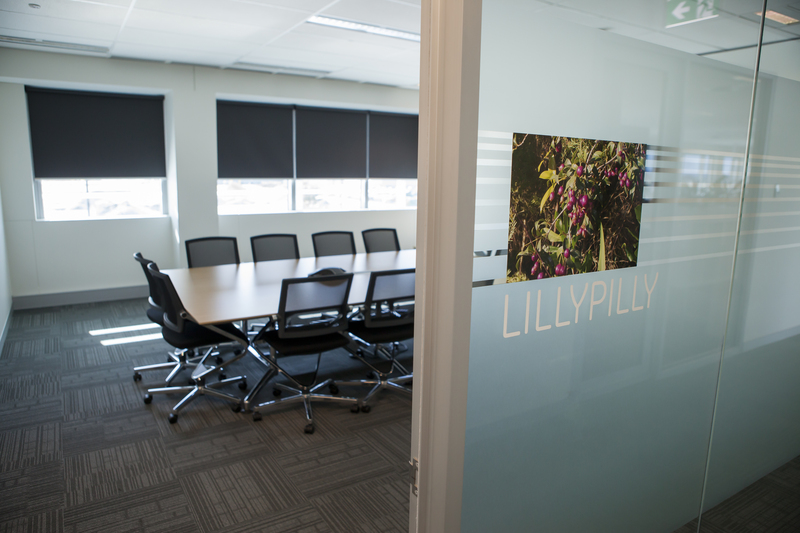 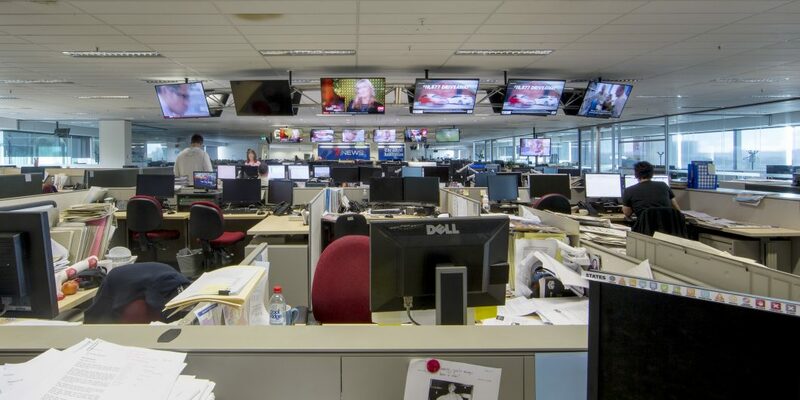 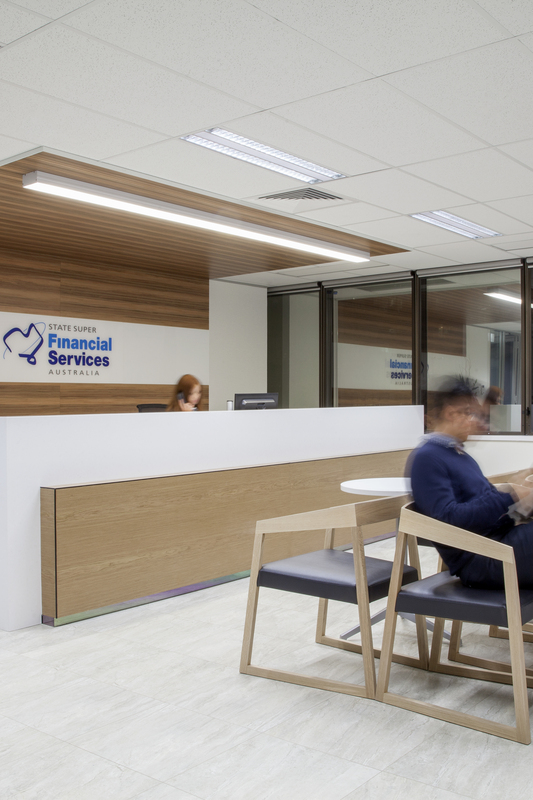 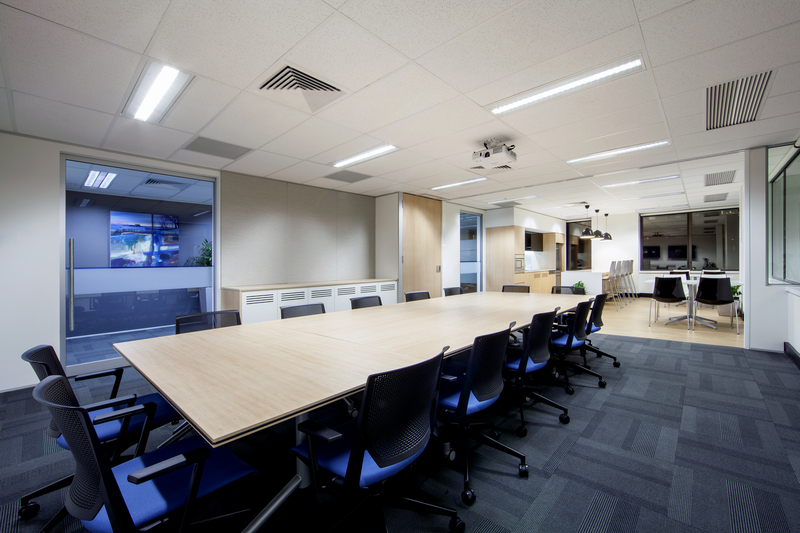 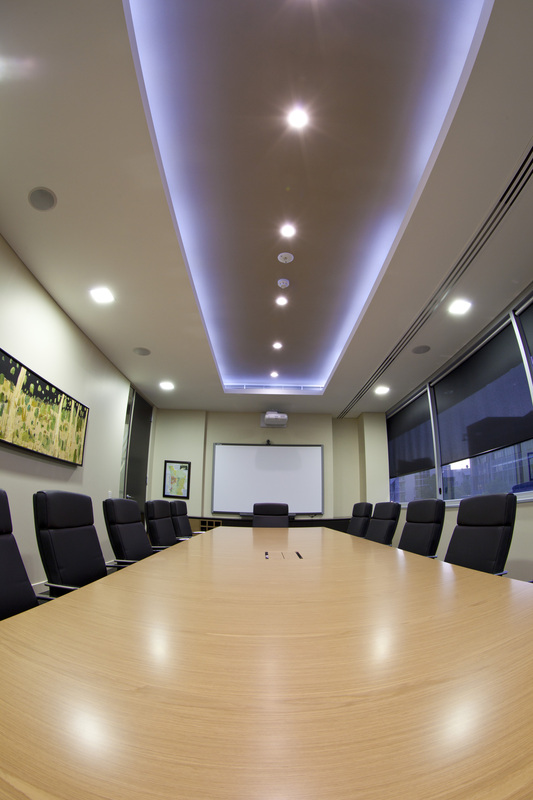 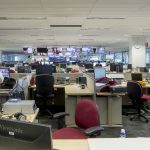 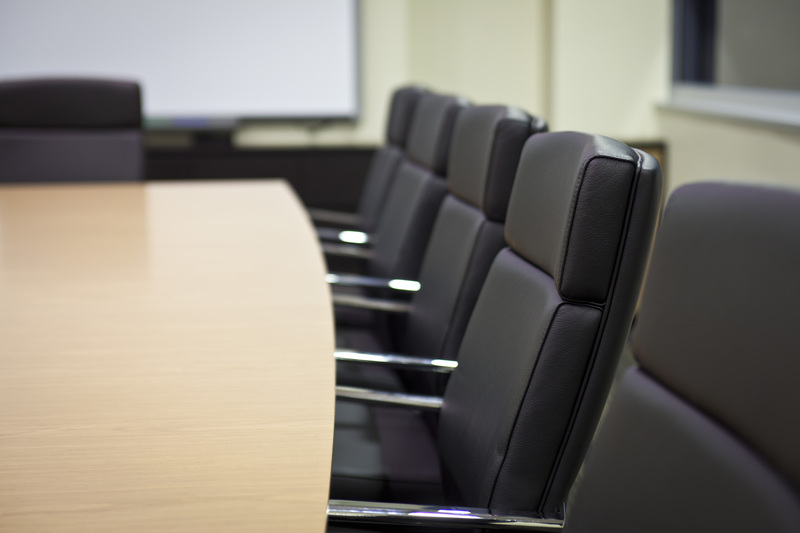 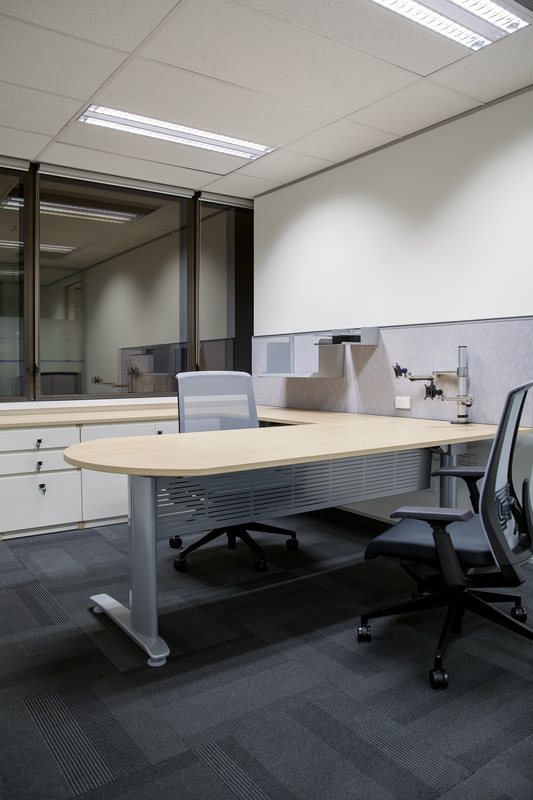 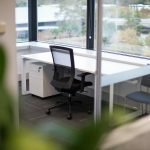 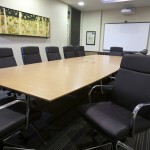 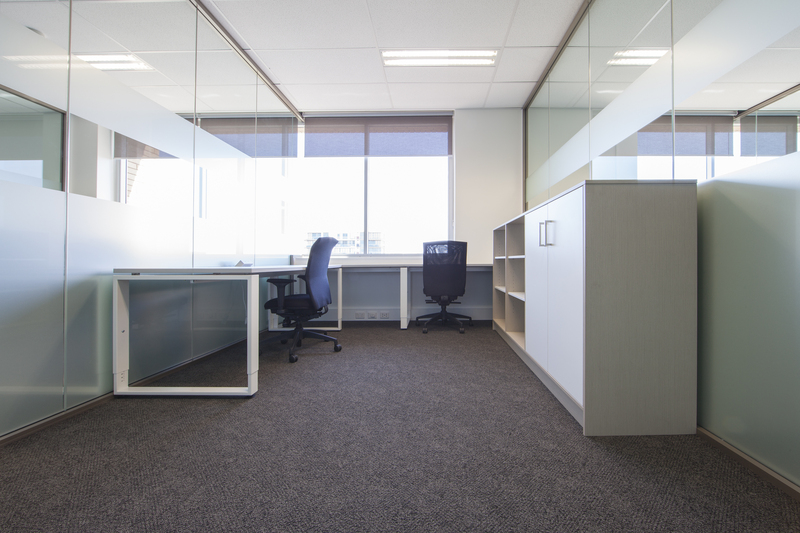 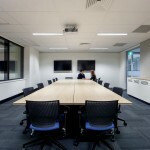 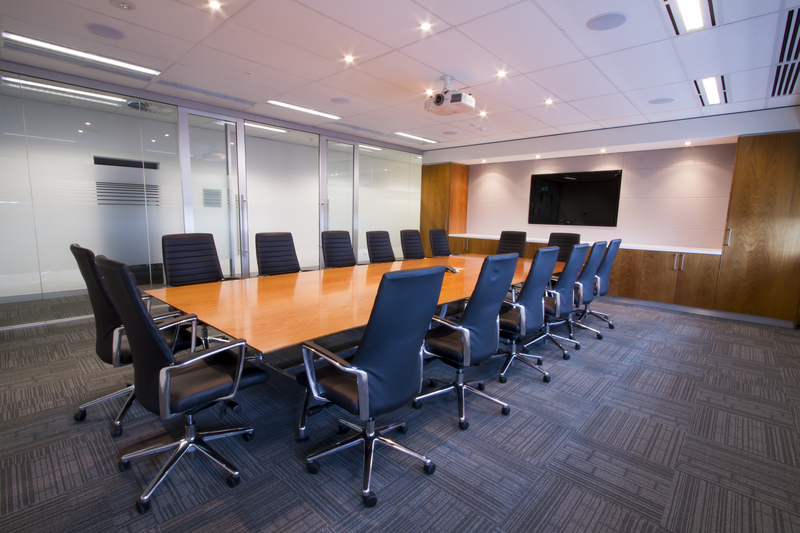 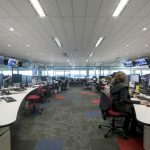 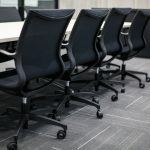 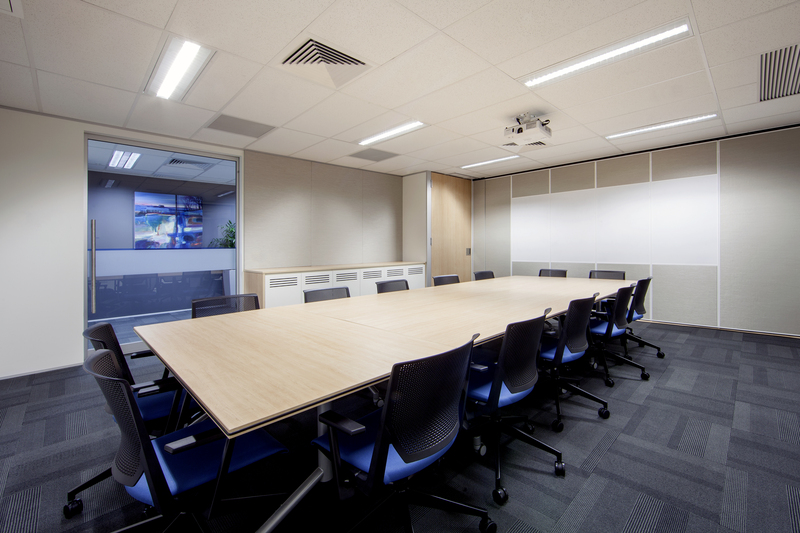 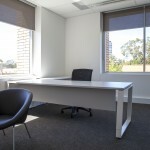 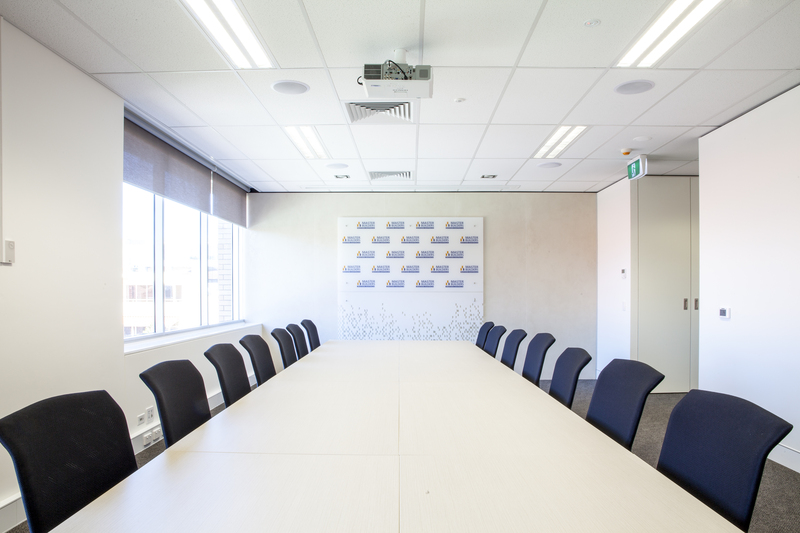 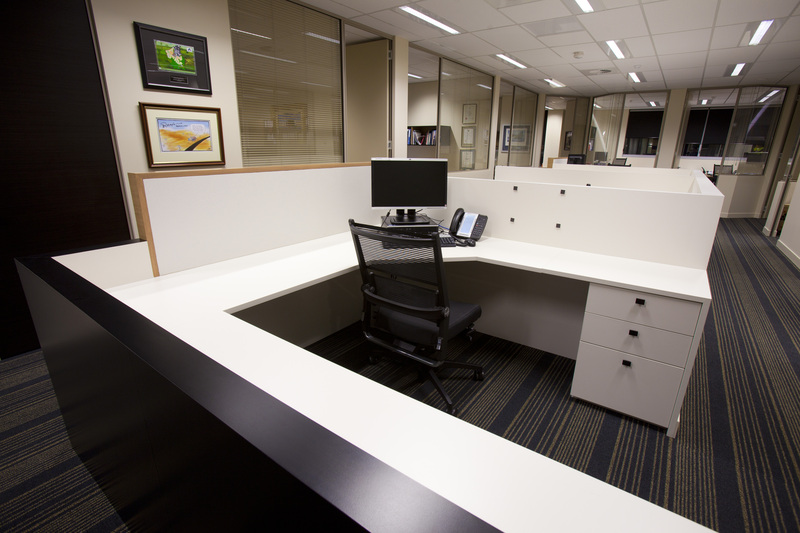 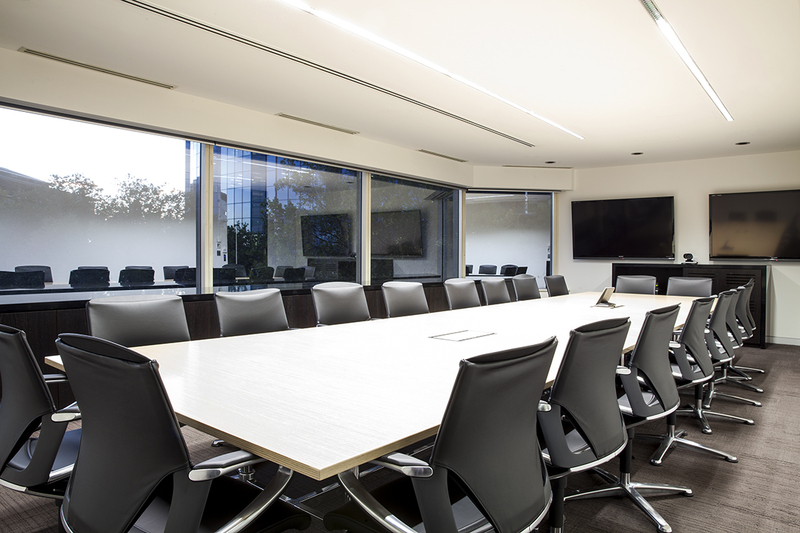 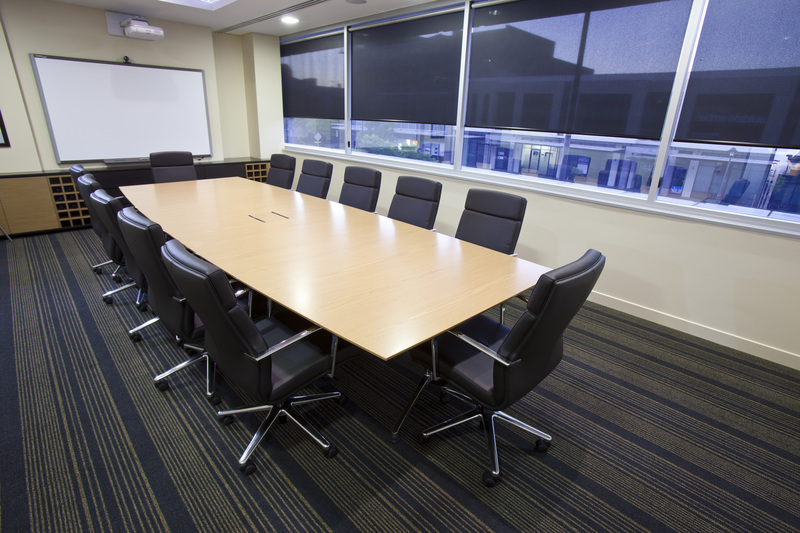 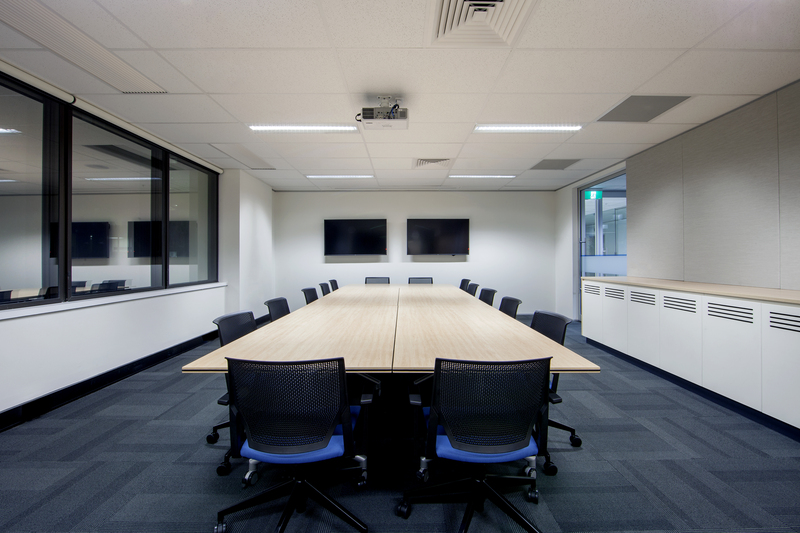 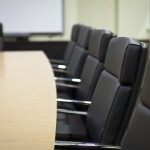 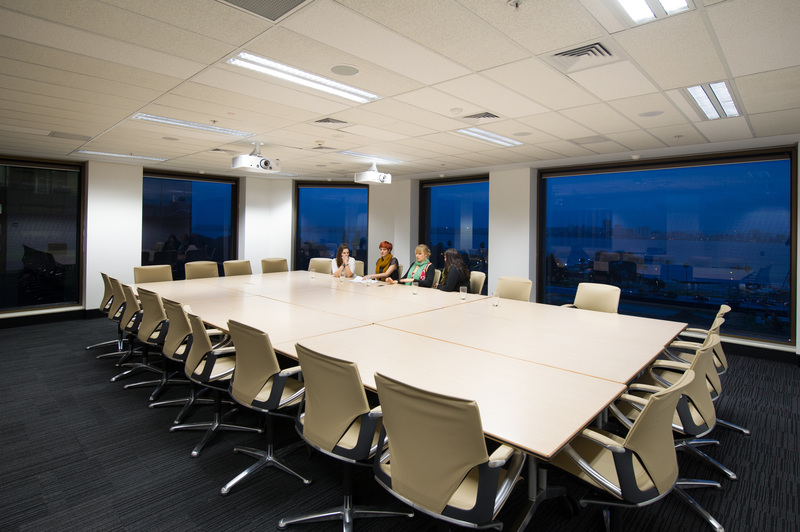 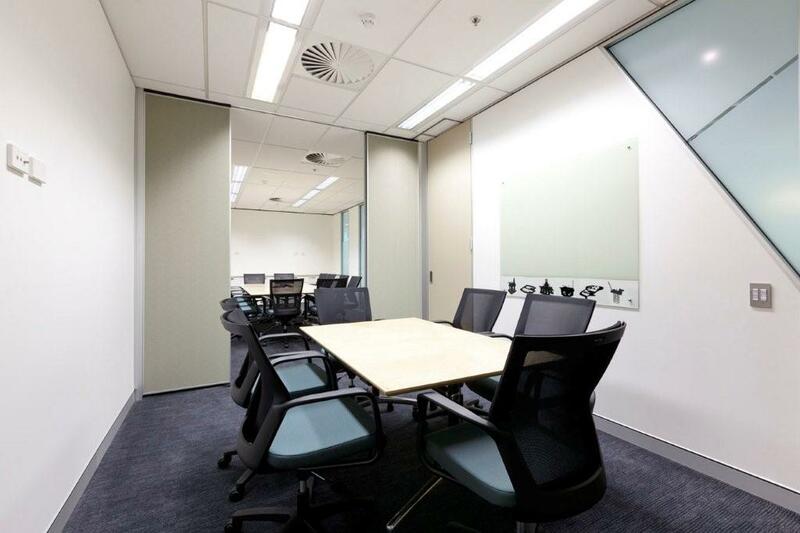 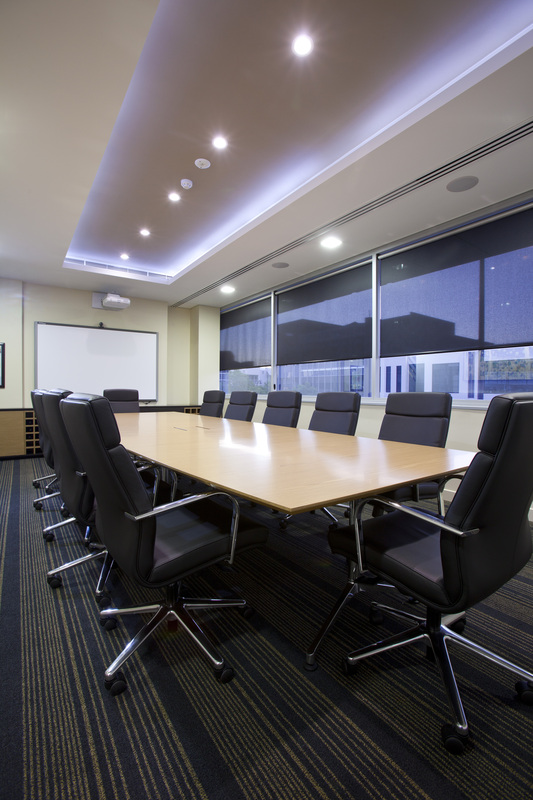 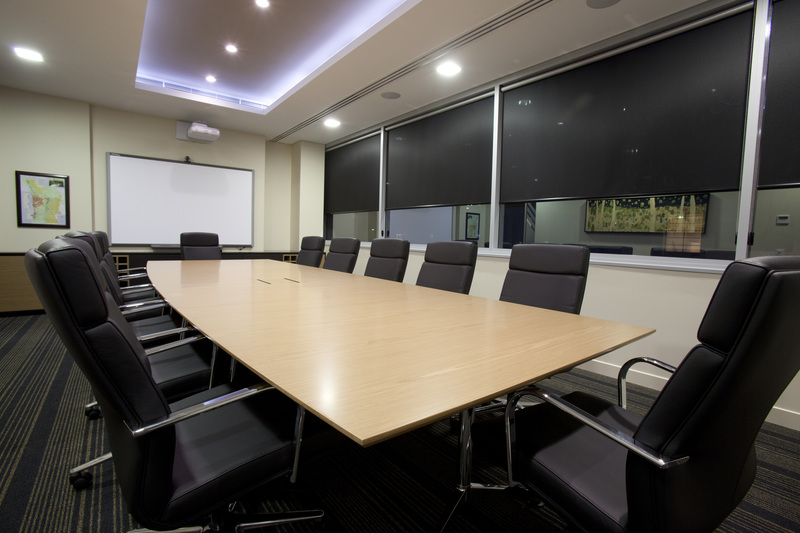 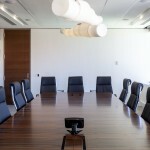 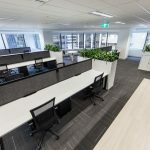 With the number of vacant office spaces in Western Australia’s capital city frequently topping the national figures, some organisations are looking at this as a potential to make some much-needed changes. 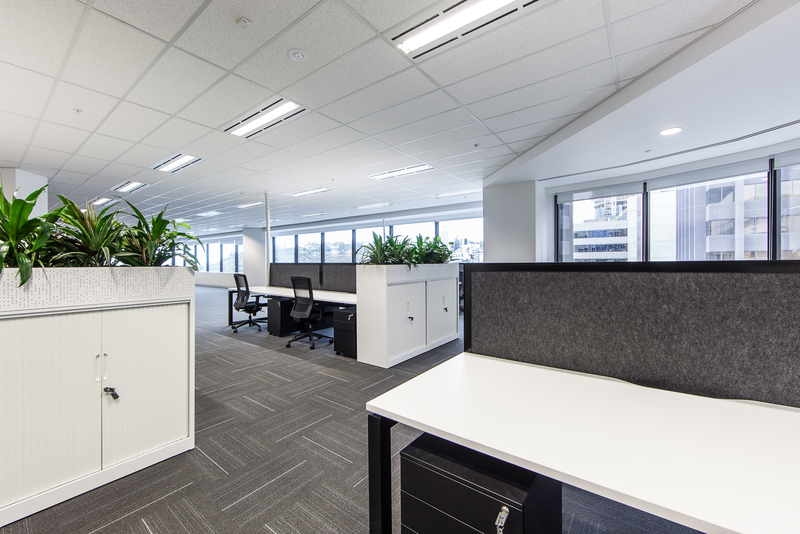 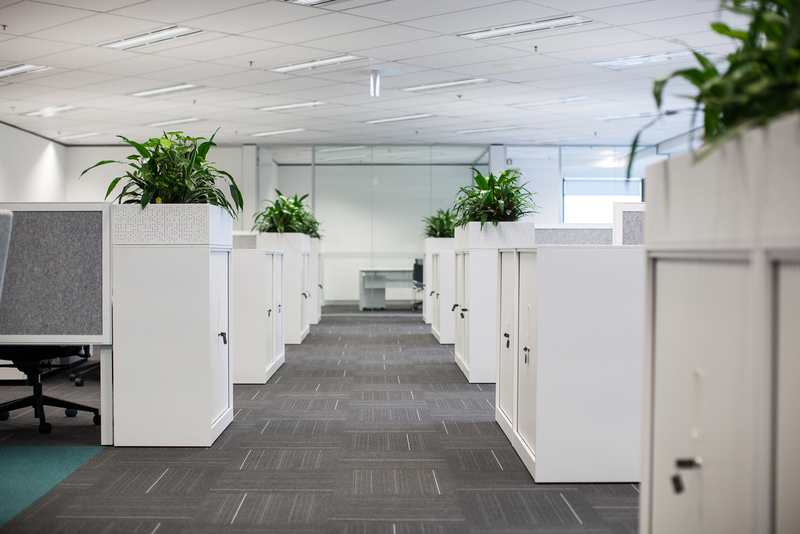 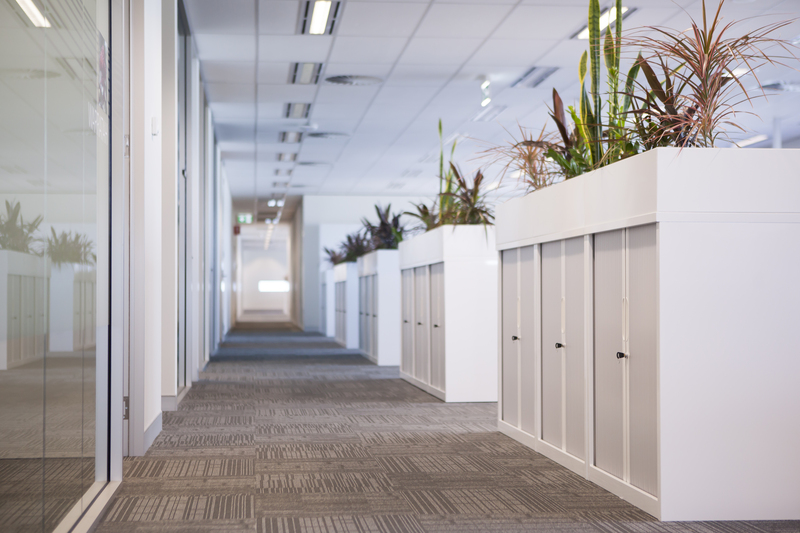 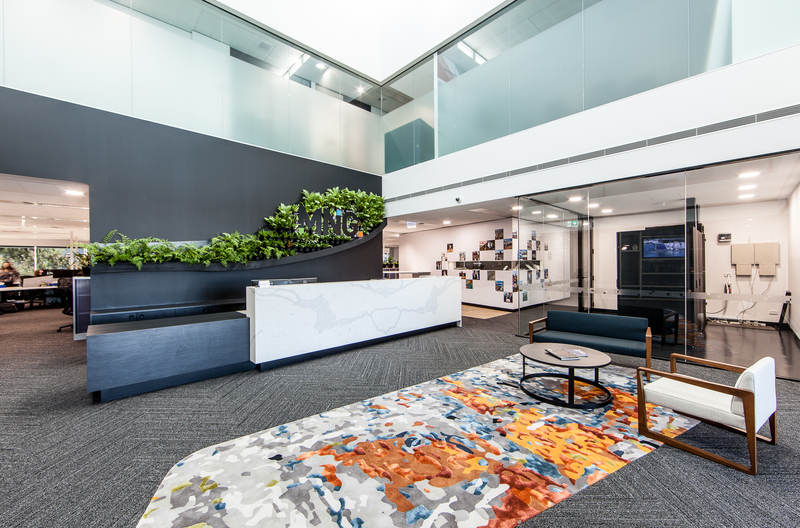 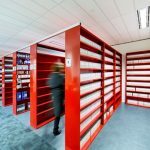 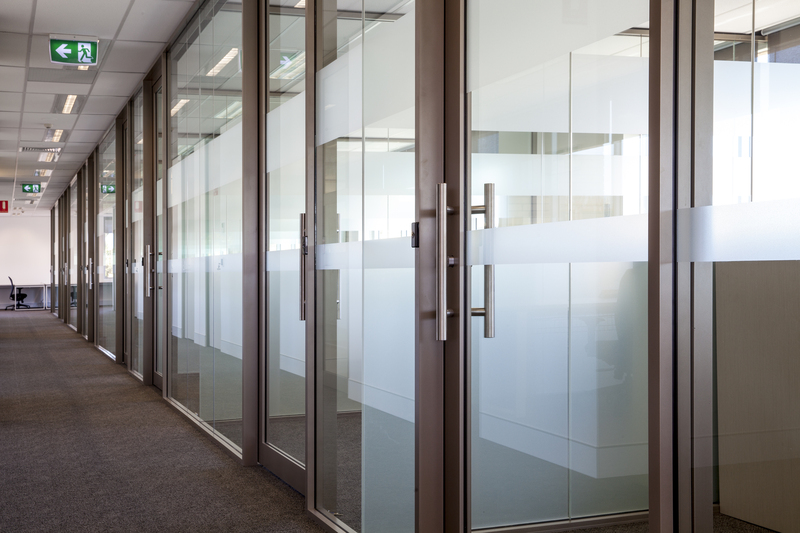 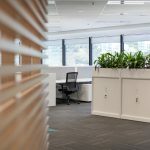 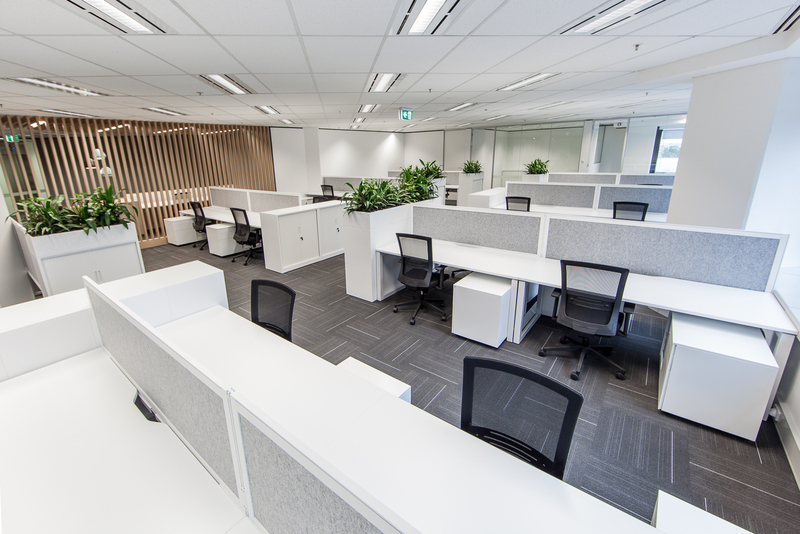 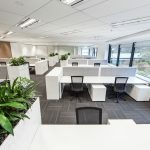 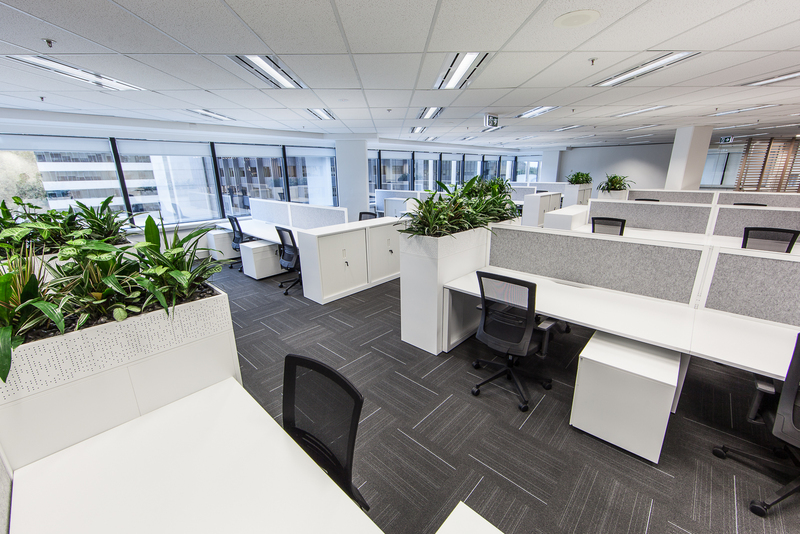 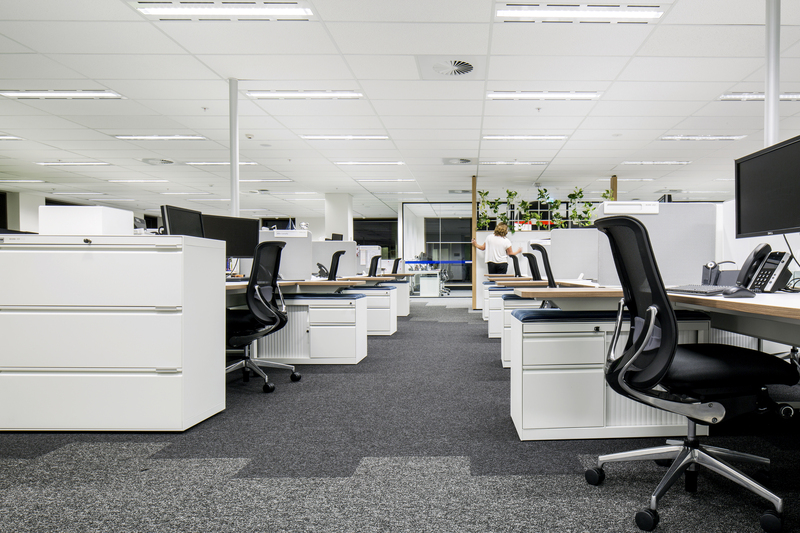 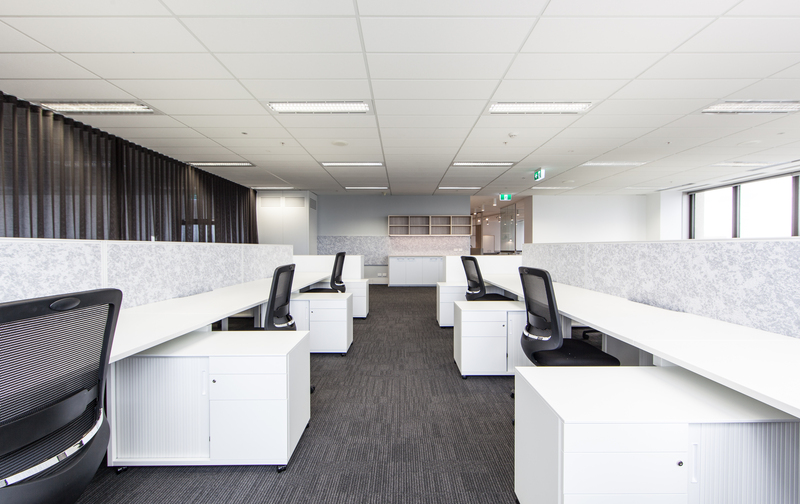 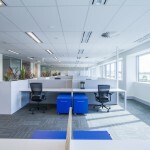 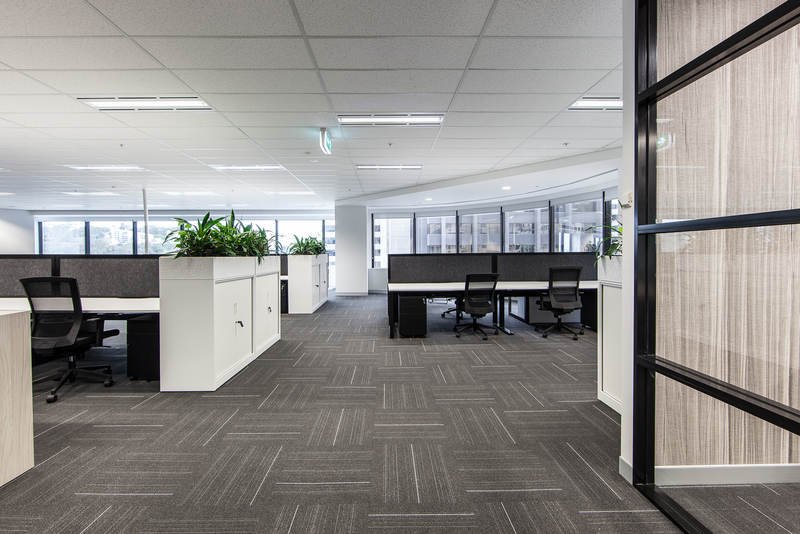 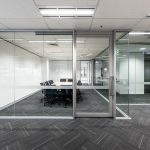 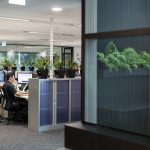 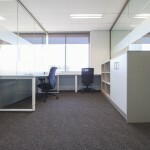 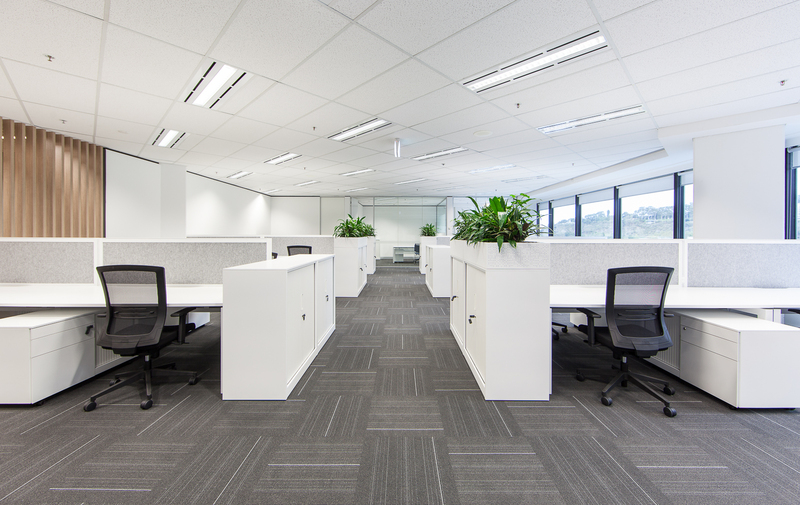 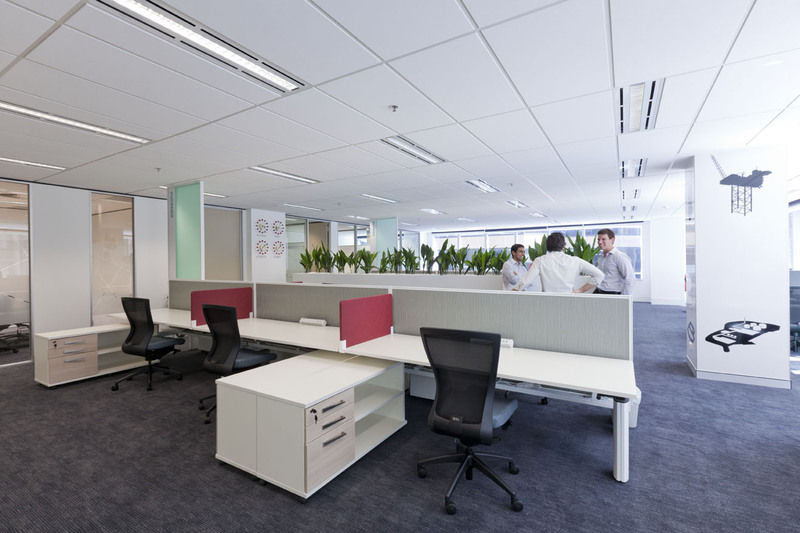 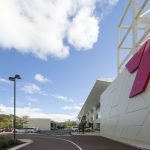 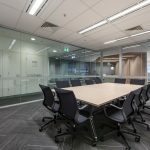 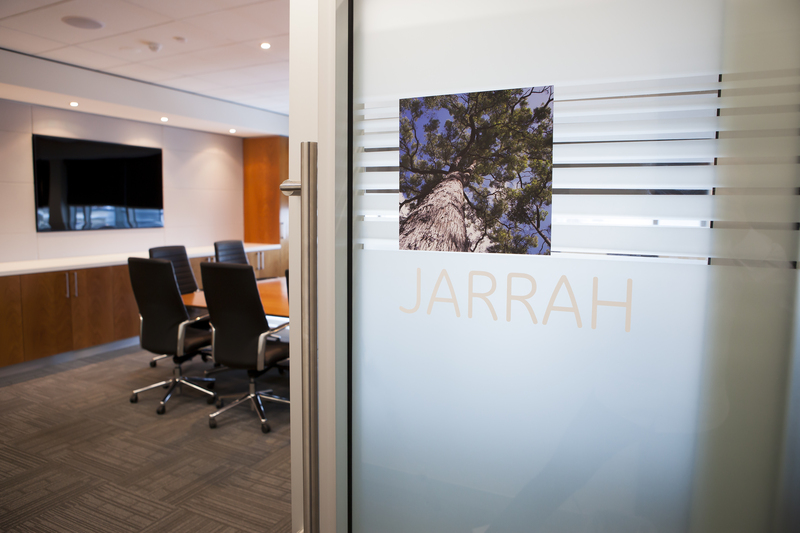 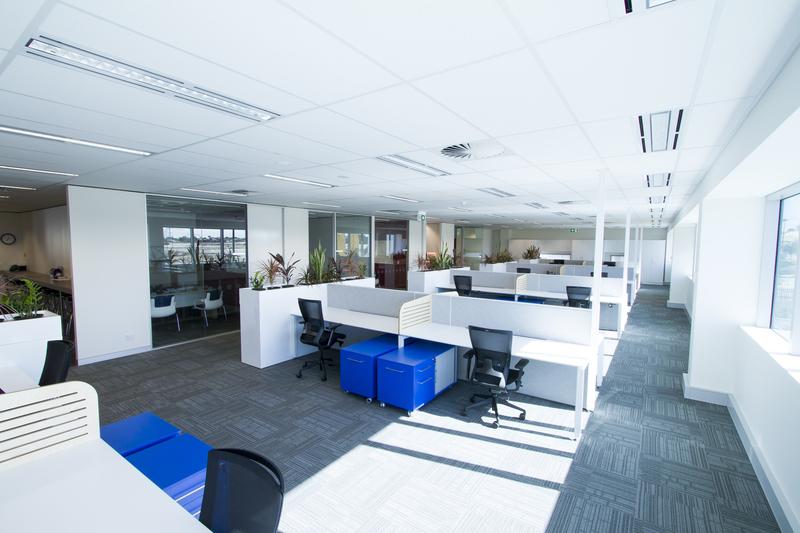 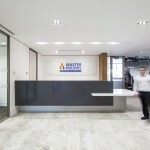 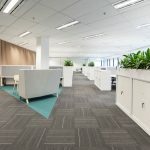 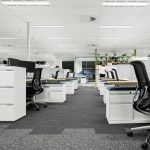 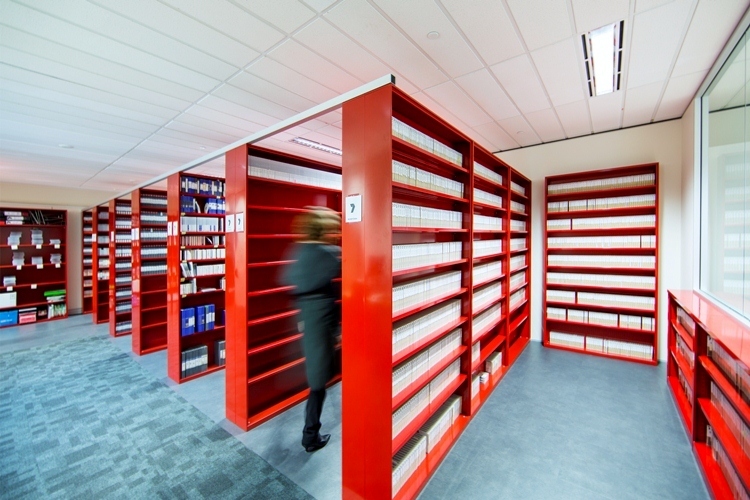 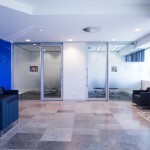 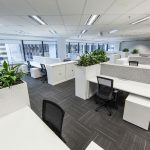 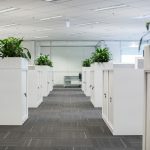 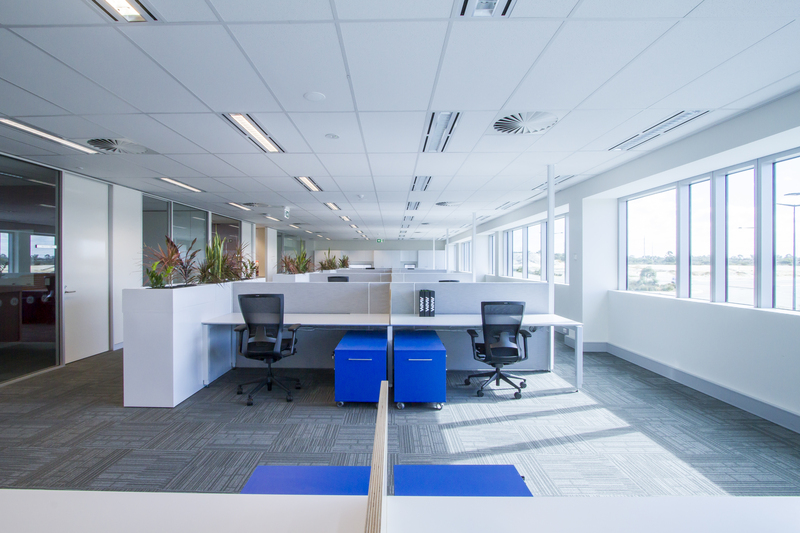 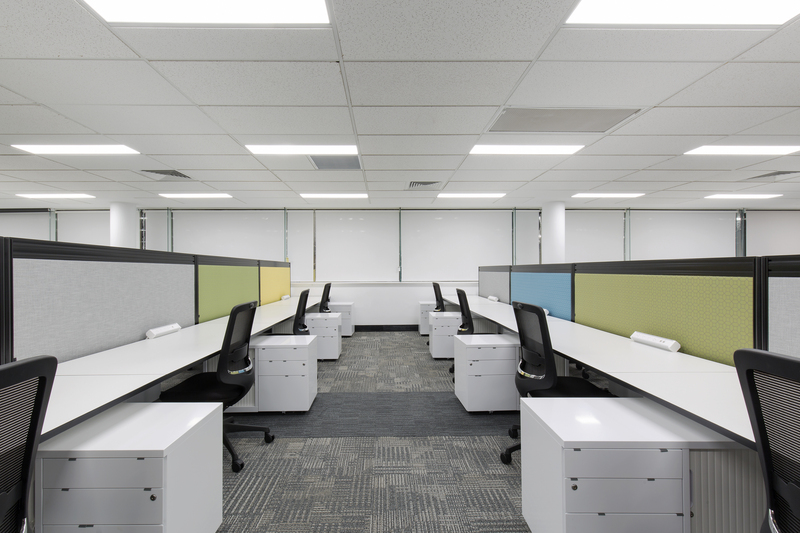 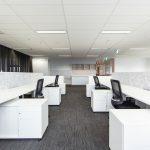 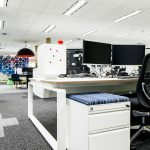 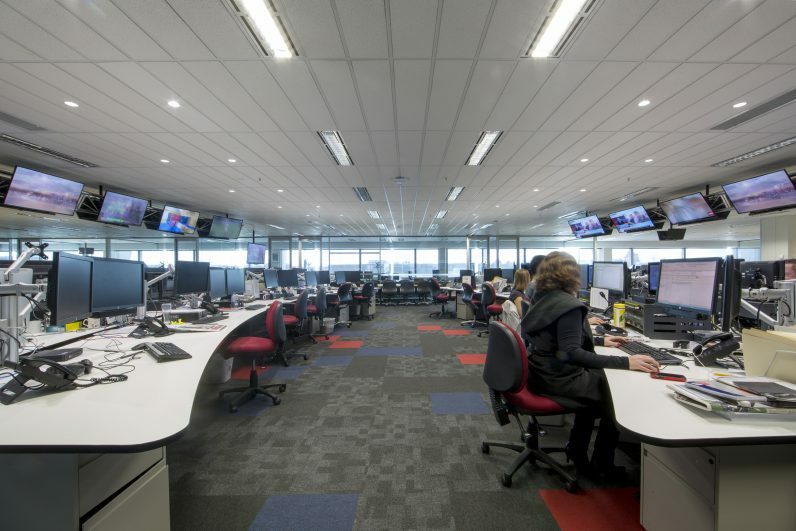 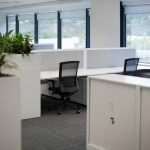 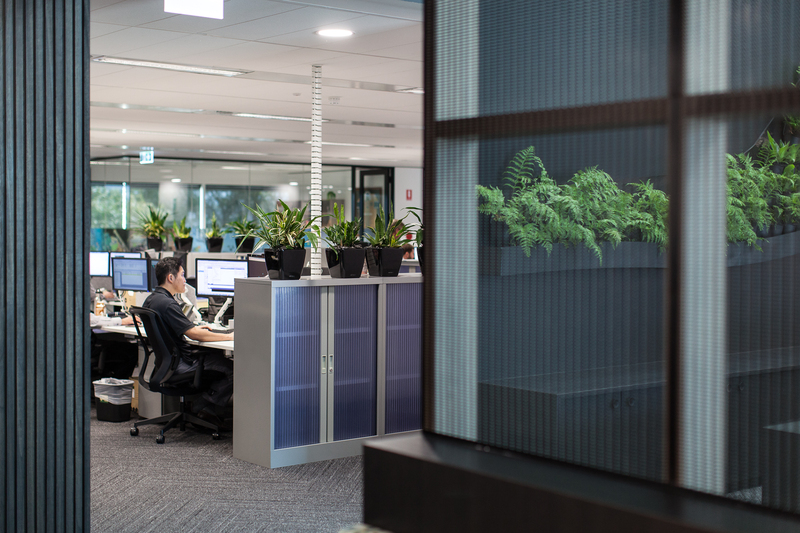 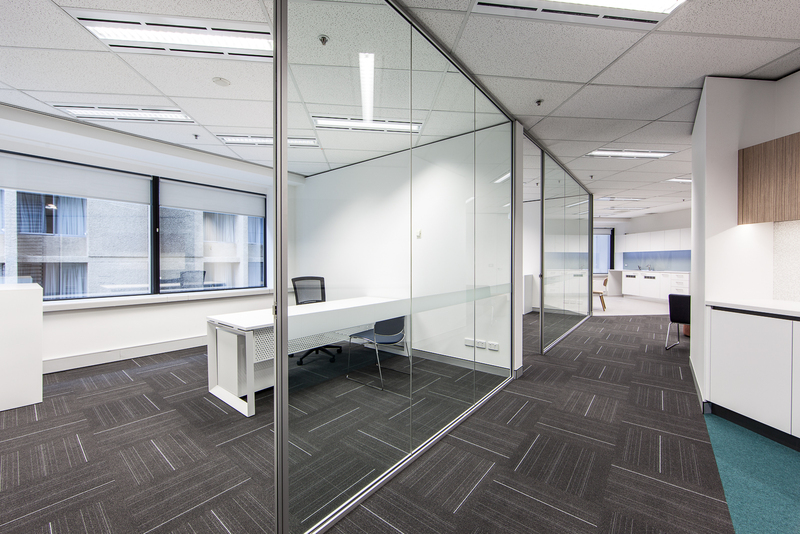 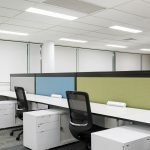 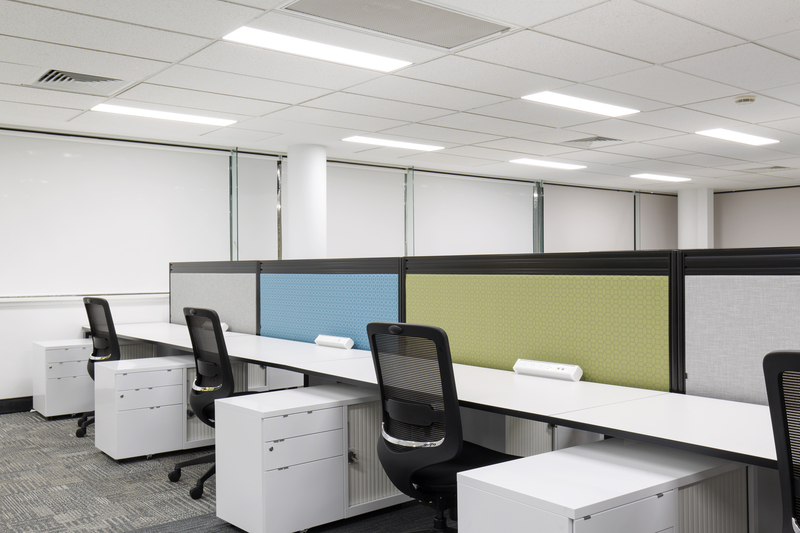 In Perth, a recent study conducted by Y Research has found that five per cent of office buildings in the metropolitan area accounts for close to half of the vacant office space that’s available to buy or rent. 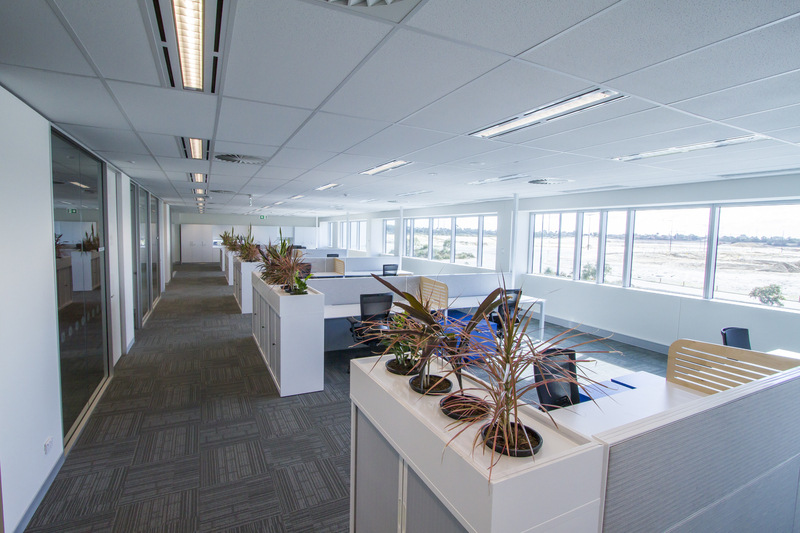 This figure includes buildings that have had more than 1,000 square metres of vacant space for 12-months or more. 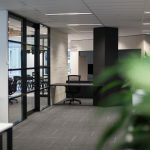 This study also determined that as many as 40 per cent of Perth’s metropolitan office buildings currently have a vacancy. 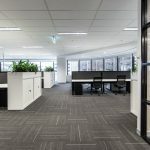 Y Research’s principal, Damian Stone says the index identified that the bulk of empty office buildings in the city had fallen victim to the ‘flight to quality’ trend, which sees tenants moving to better quality offices across the city. 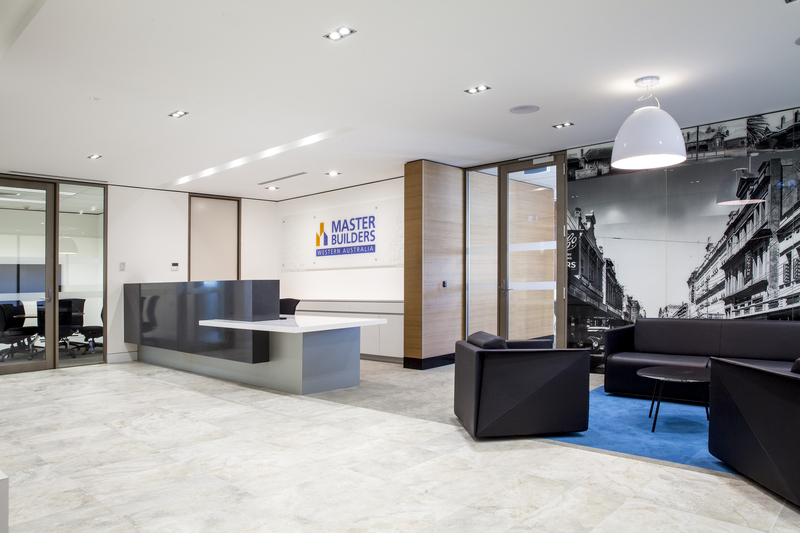 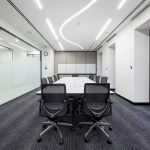 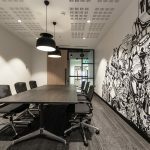 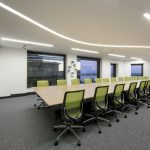 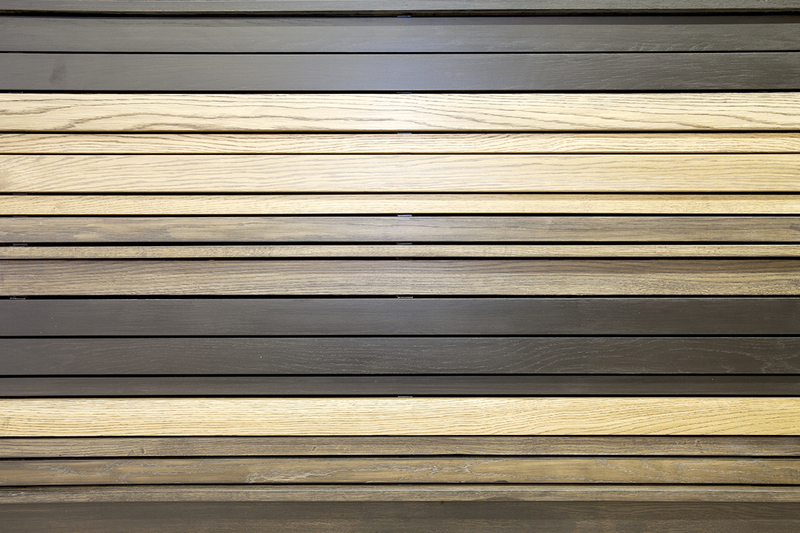 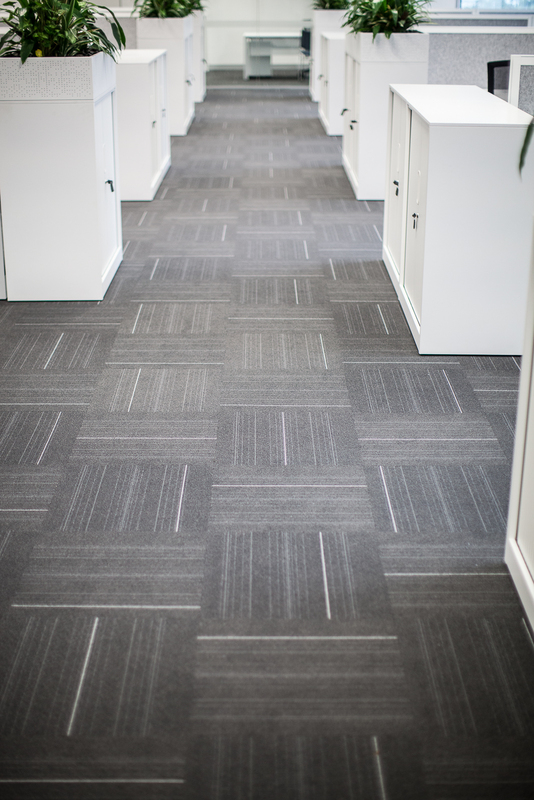 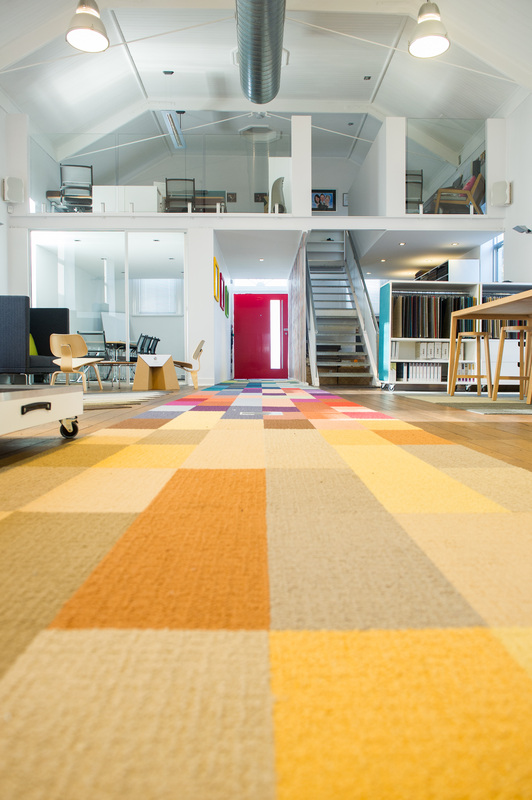 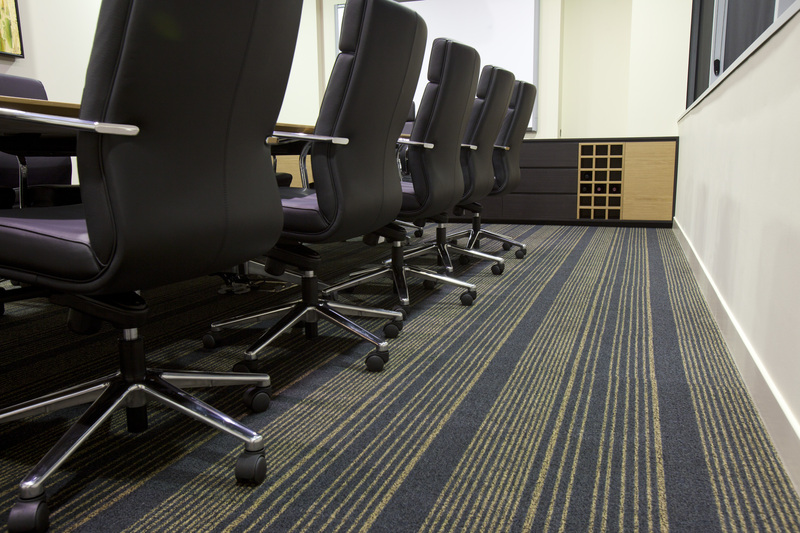 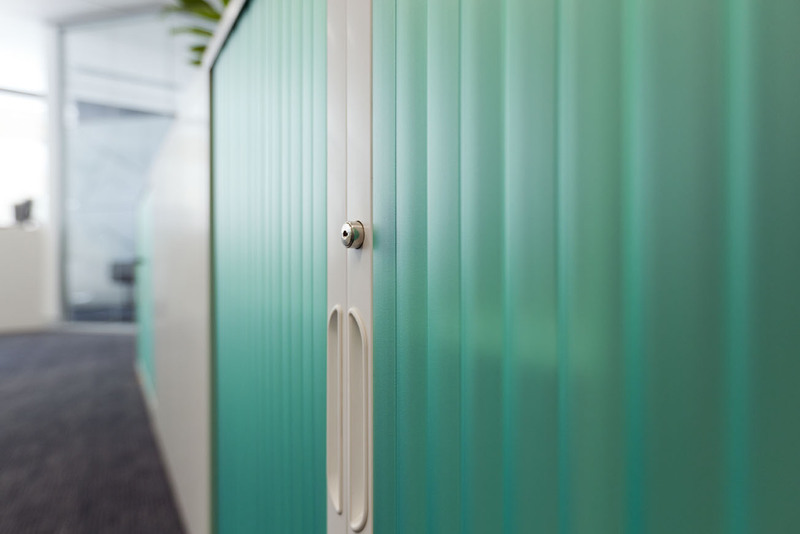 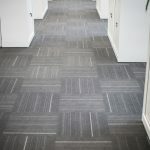 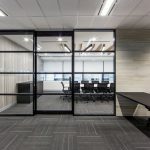 In order to cut the vacancy rate, it’s believed that building and office landlords need to take steps to make their space more appealing to businesses. 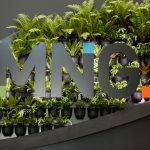 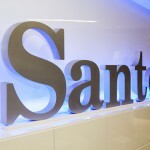 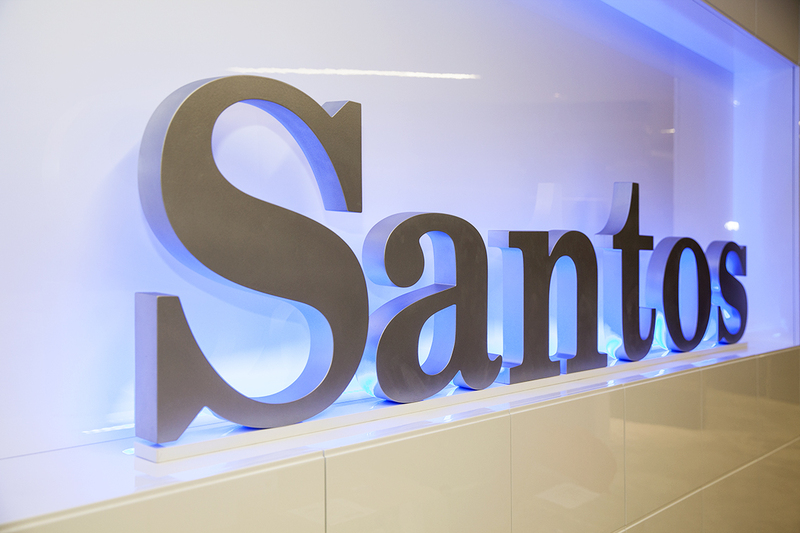 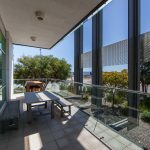 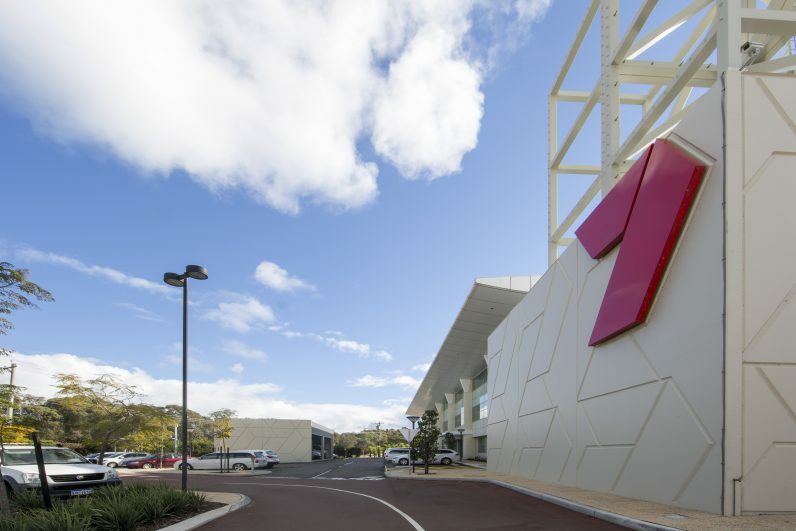 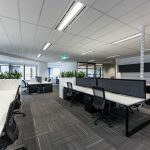 “Despite representing just 4.9 per cent of Perth’s office buildings, these properties contained approximately 49 per cent of the 800,000 square metres currently vacant across metropolitan Perth,” Mr Stone said. 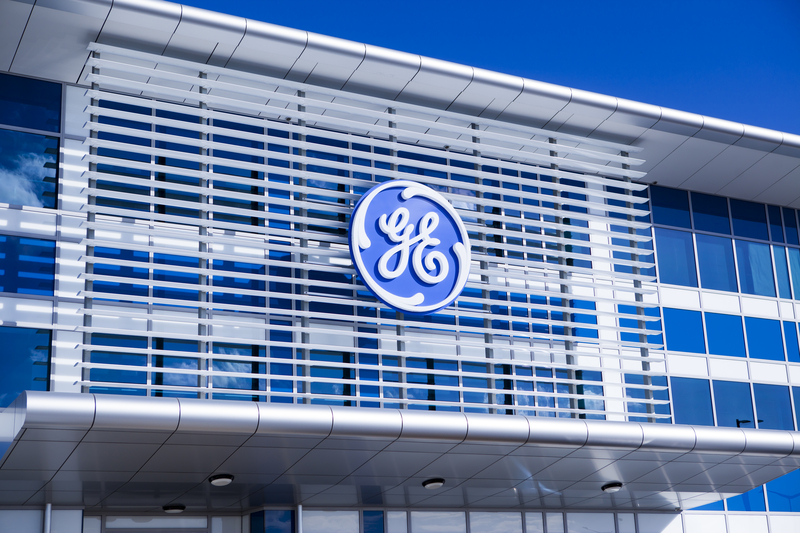 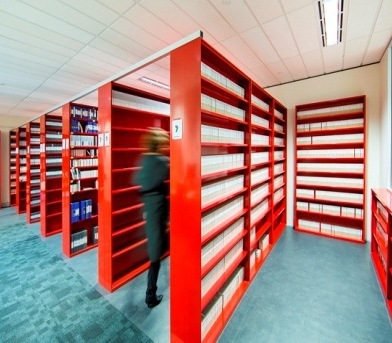 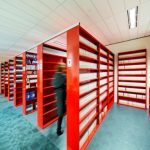 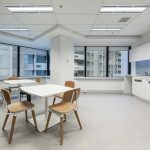 The City of Perth is making plans to transform some of the city’s empty office spaces into government-run facilities, like vertical schools, medical hubs, and multi-level shopping centres. 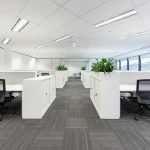 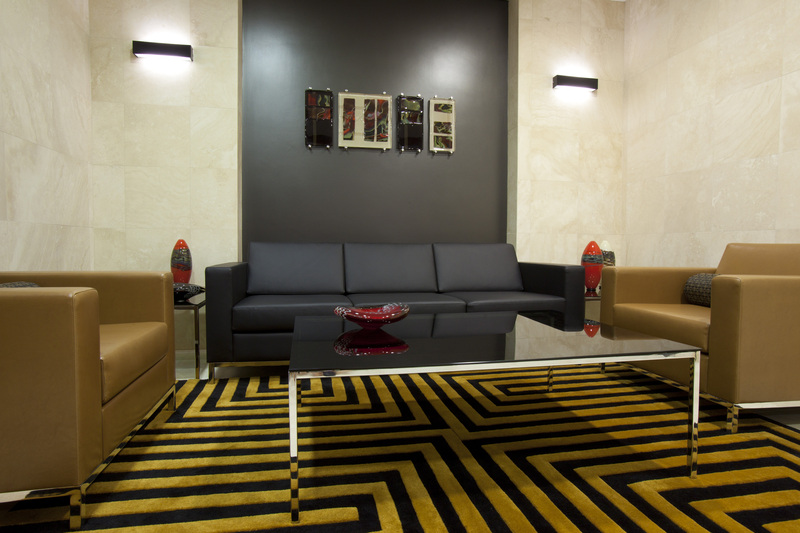 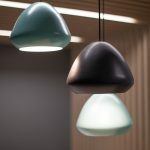 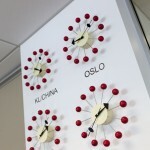 However, for the rest of the empty office buildings, owners will be left with the task of increasing buyer and rental appeal in their spaces. 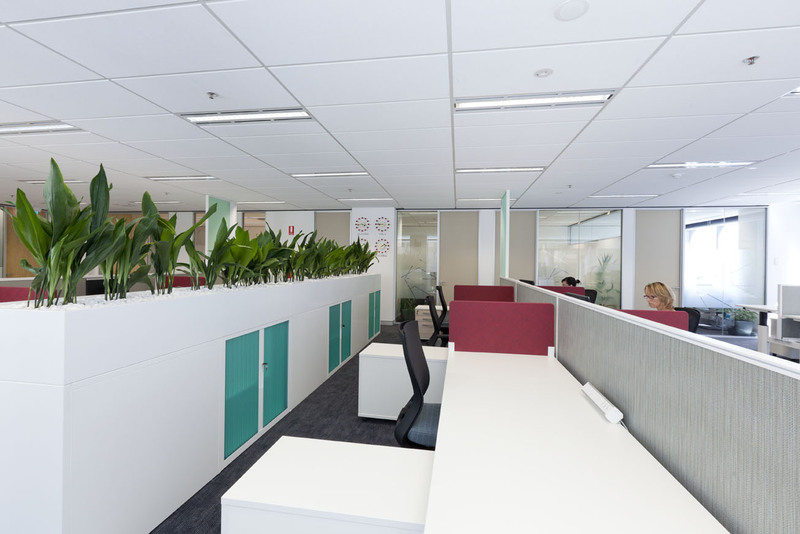 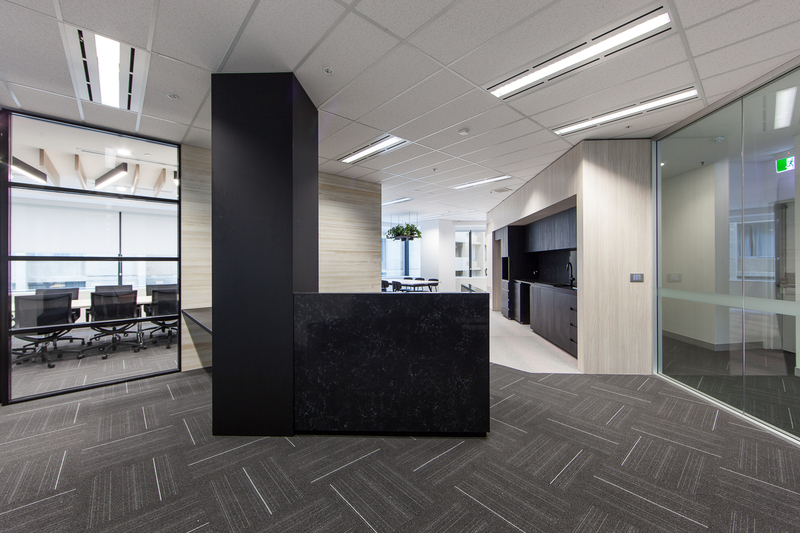 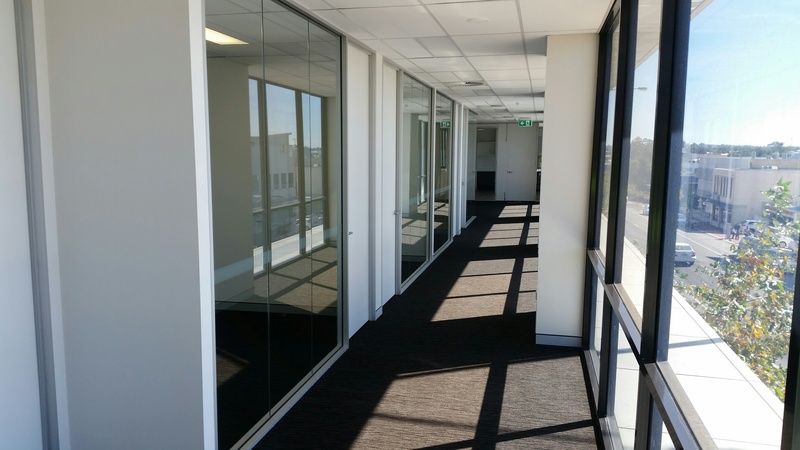 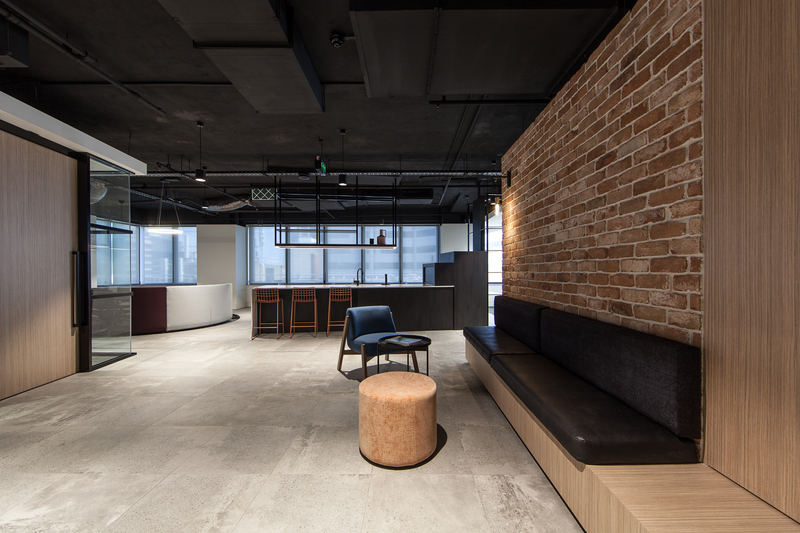 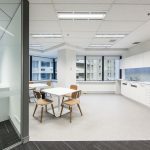 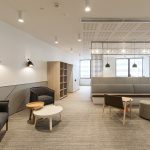 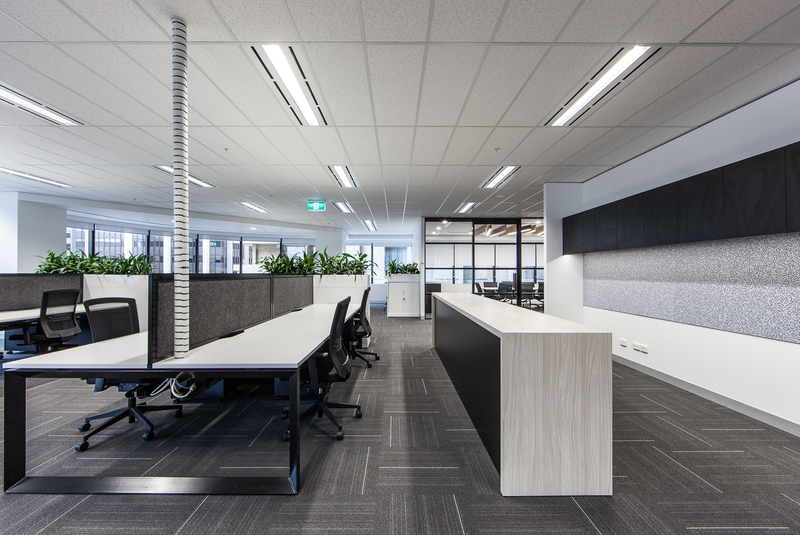 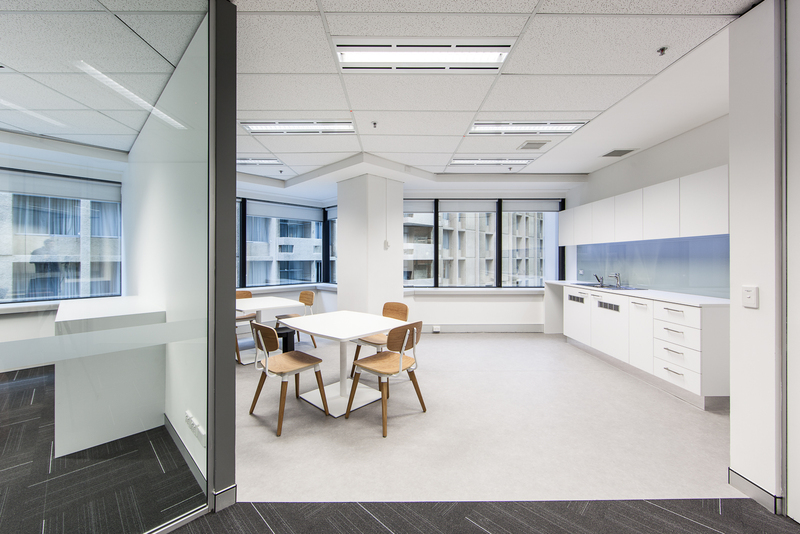 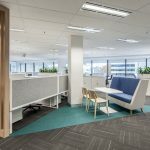 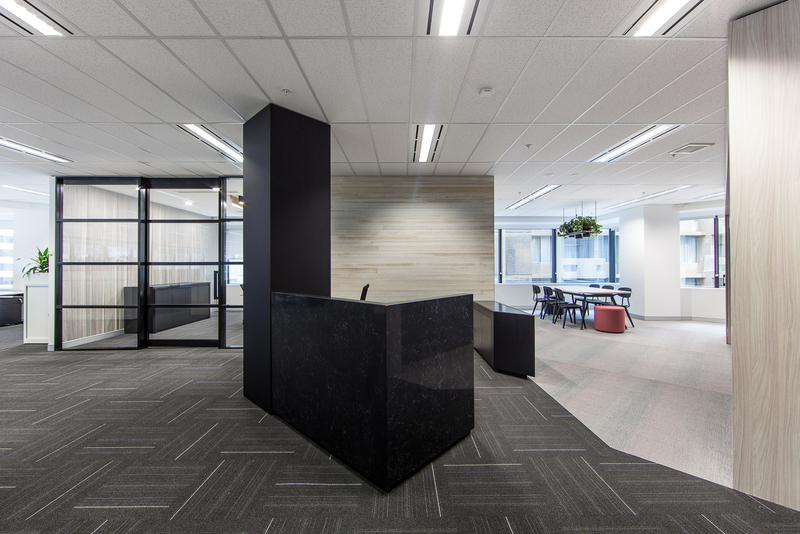 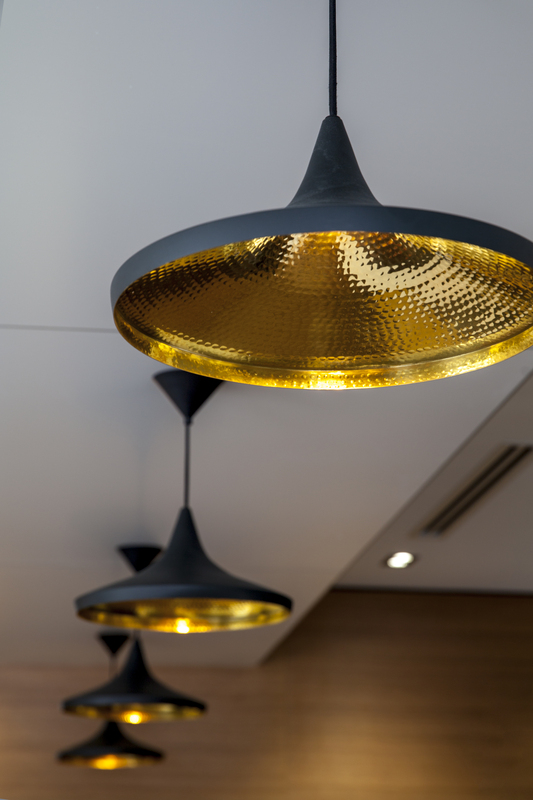 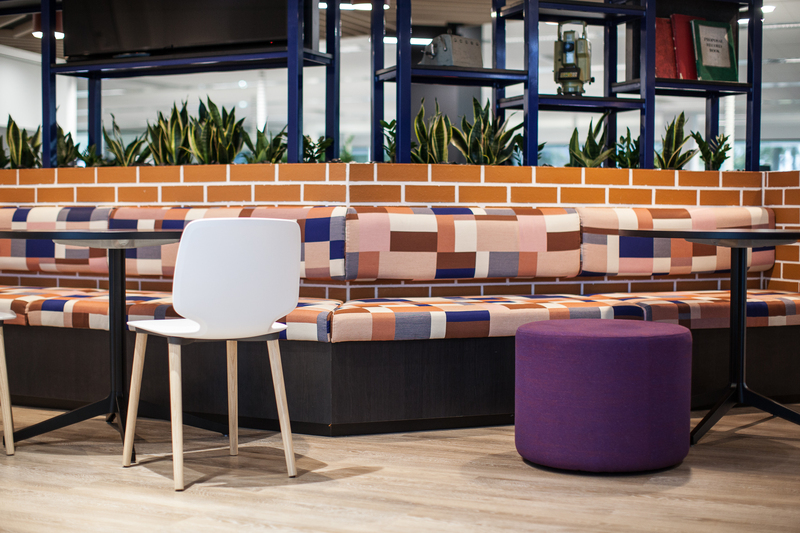 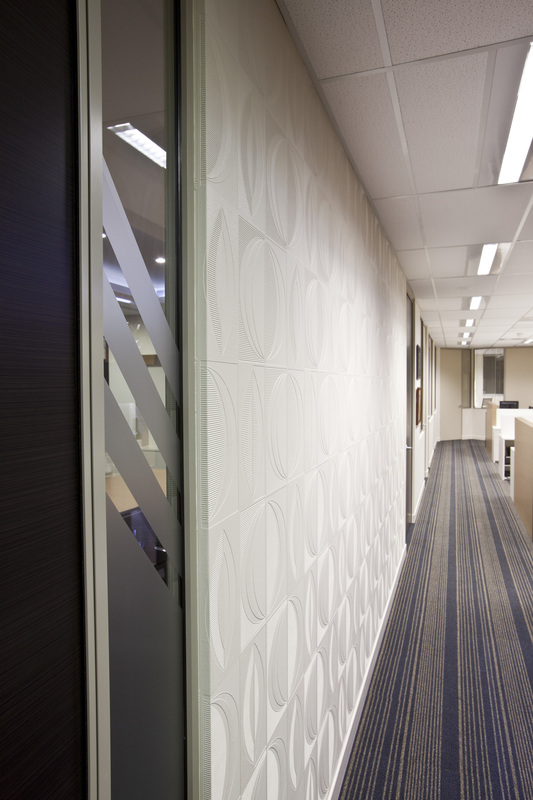 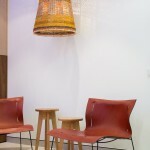 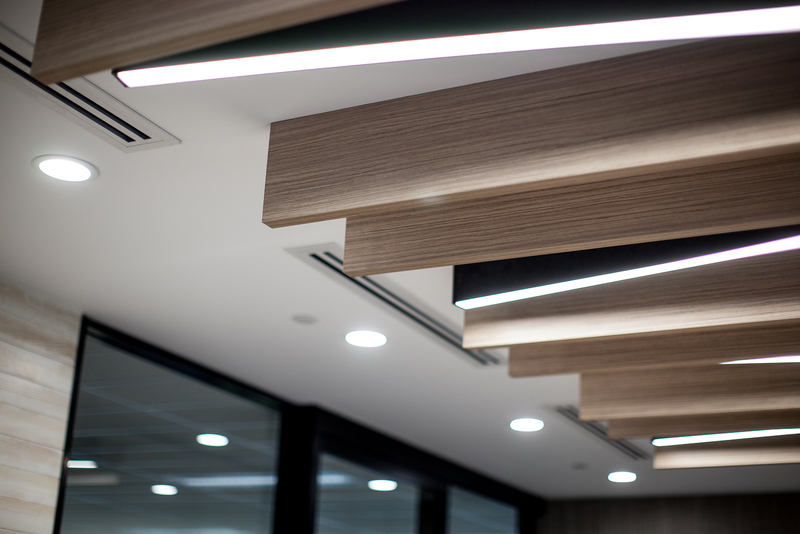 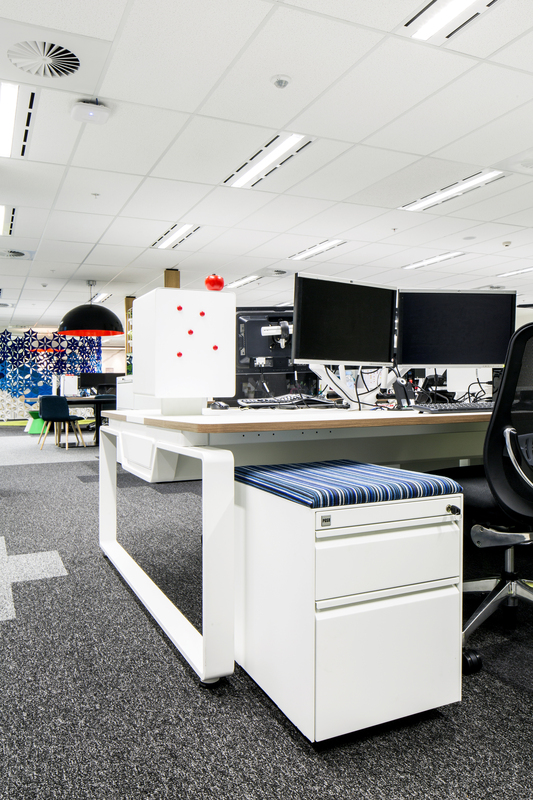 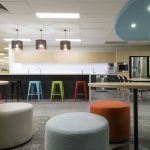 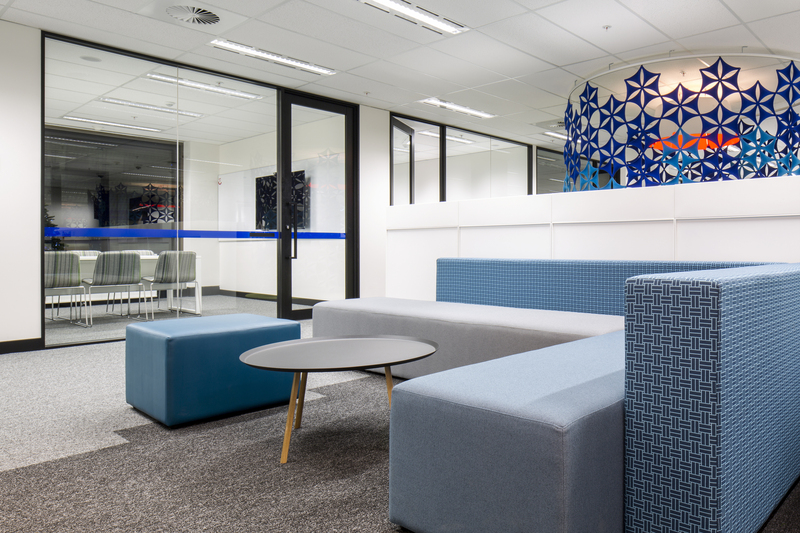 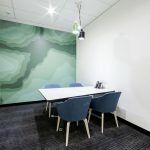 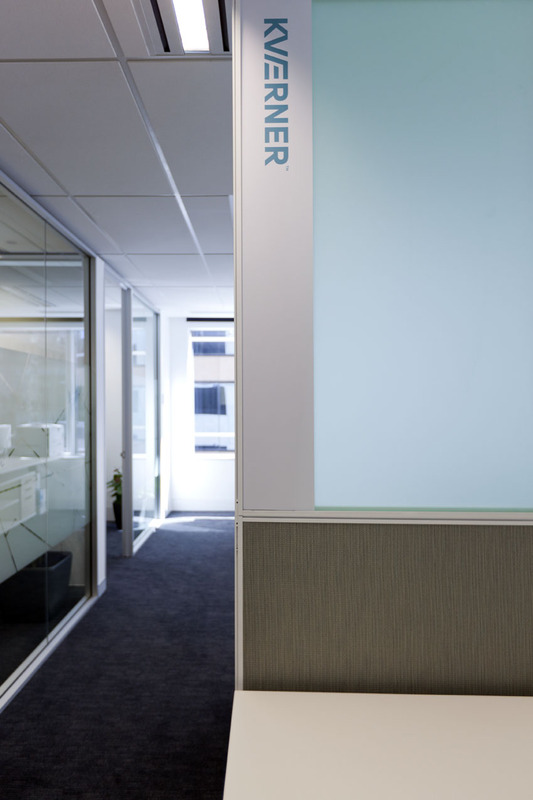 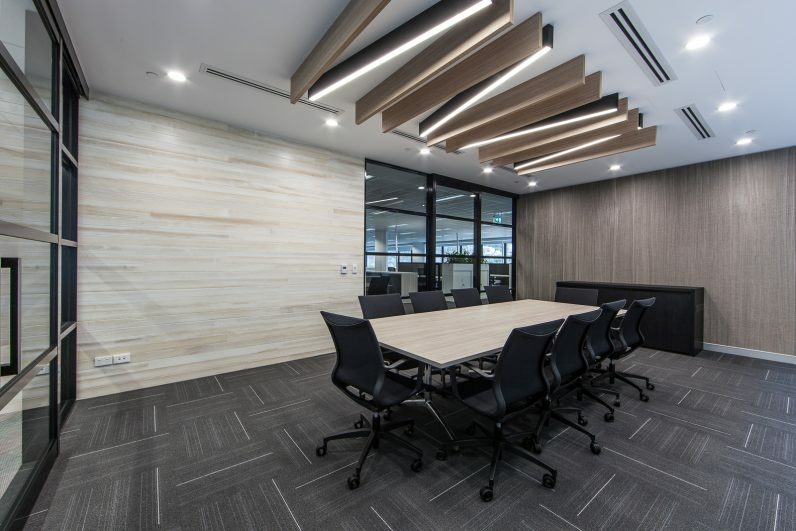 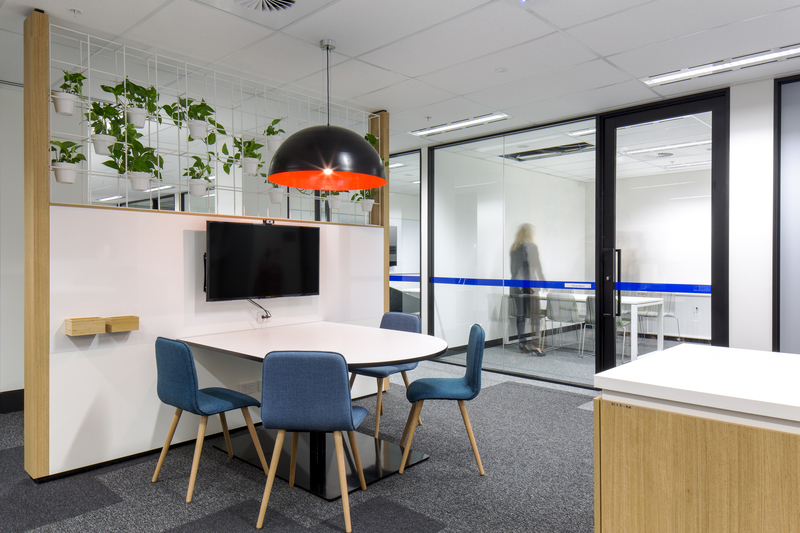 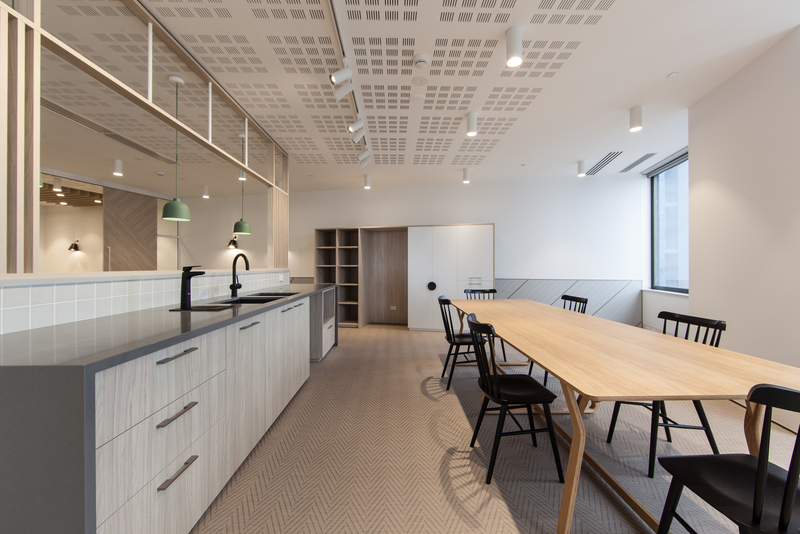 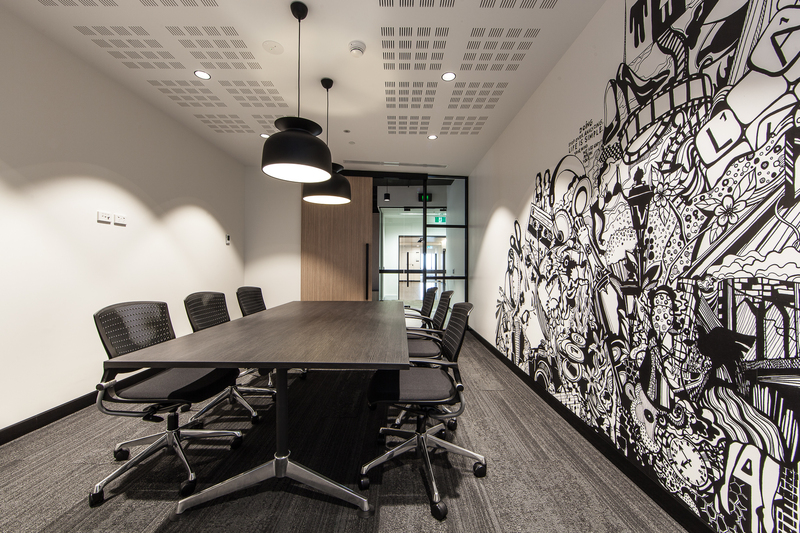 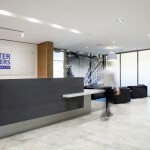 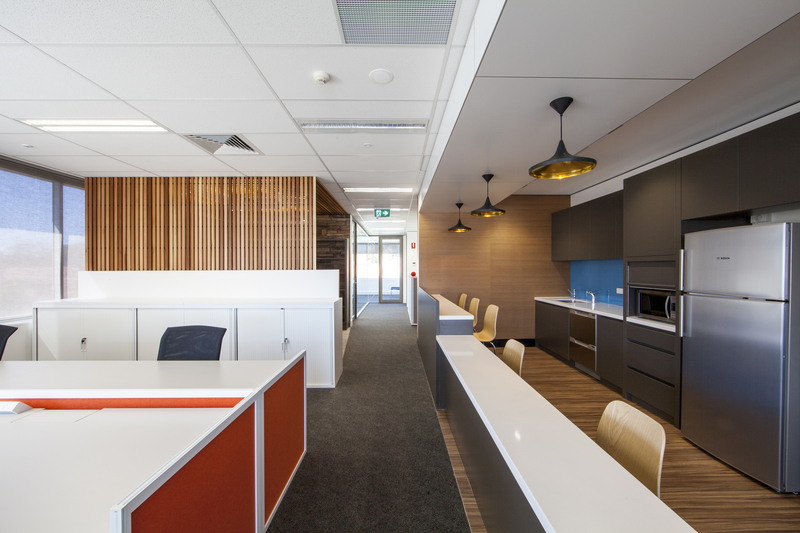 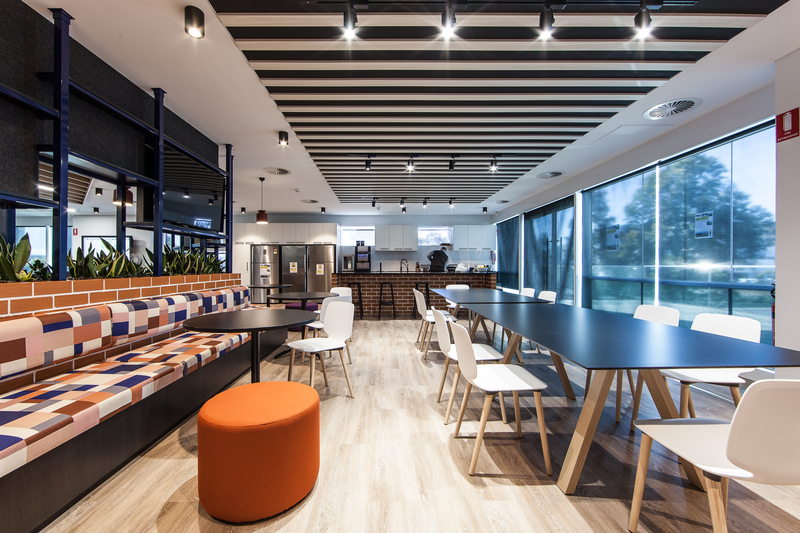 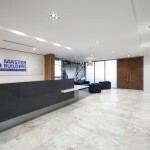 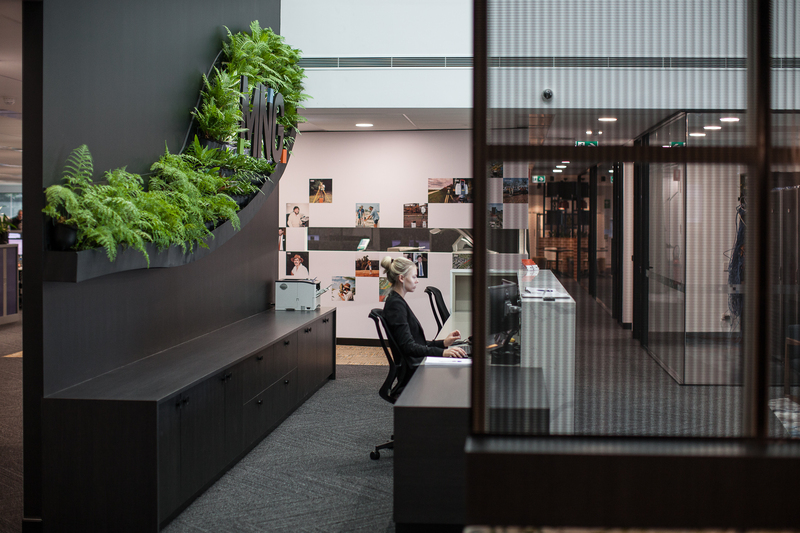 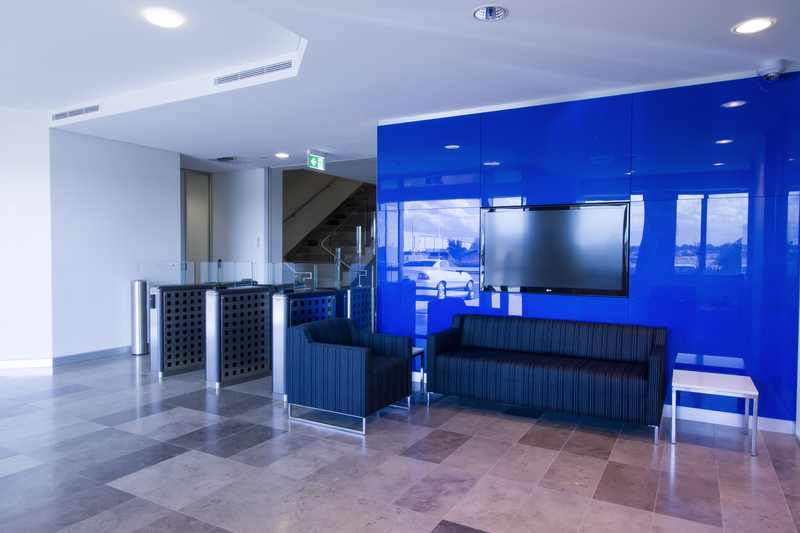 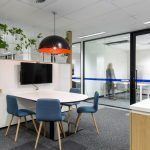 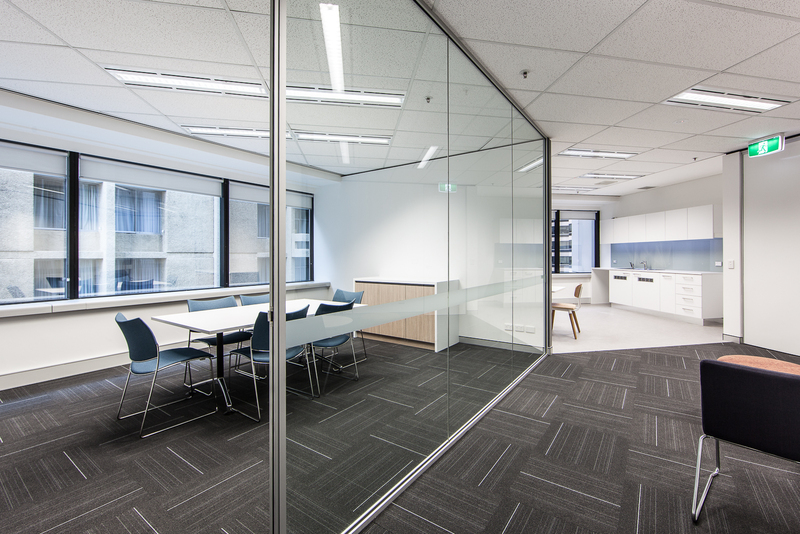 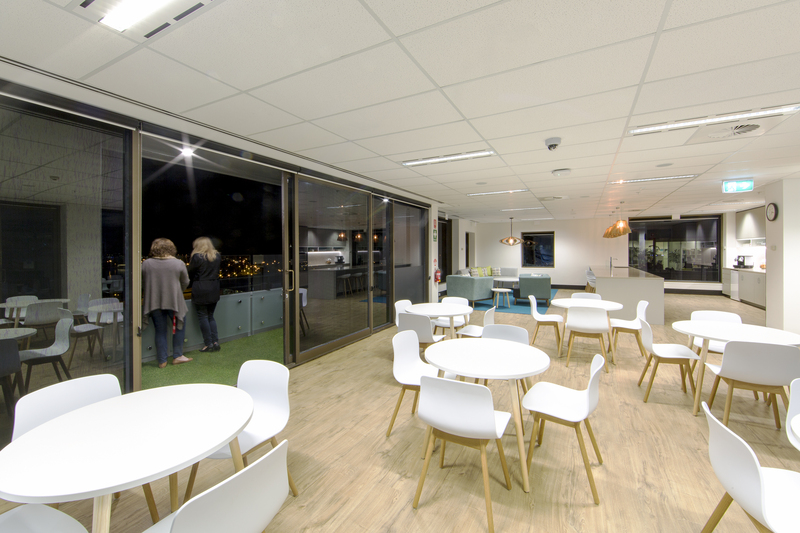 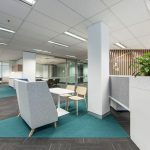 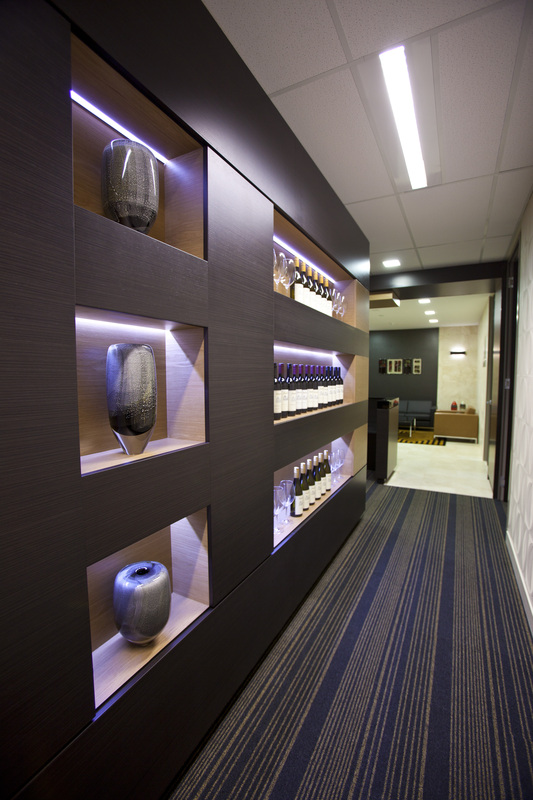 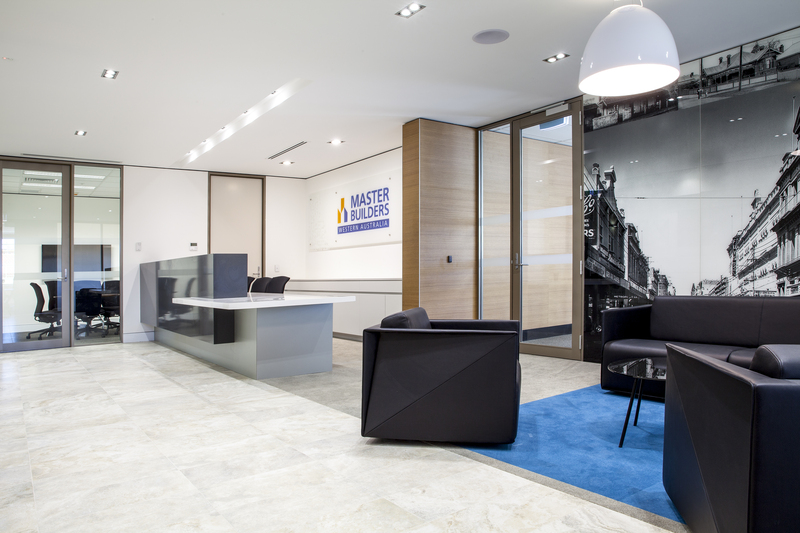 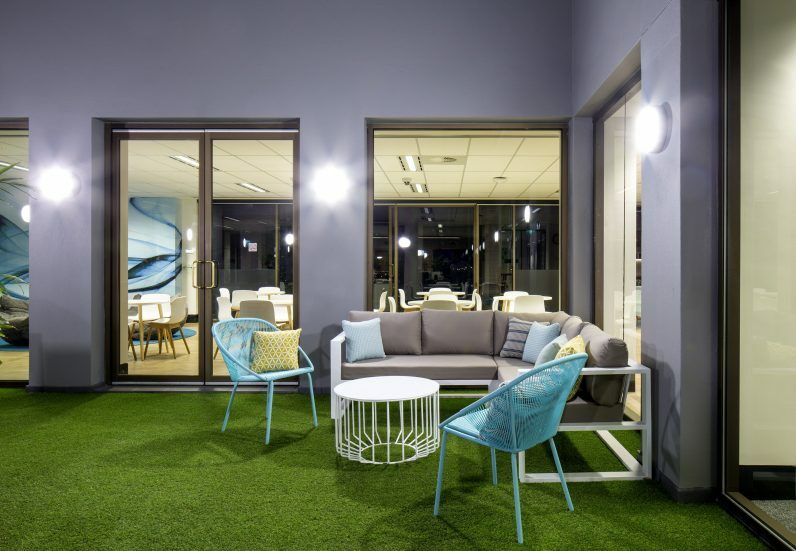 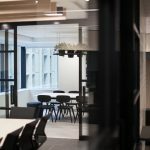 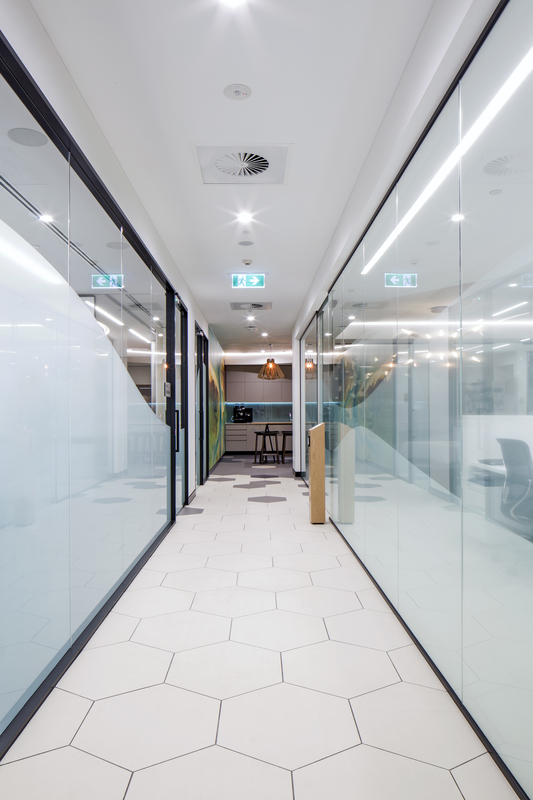 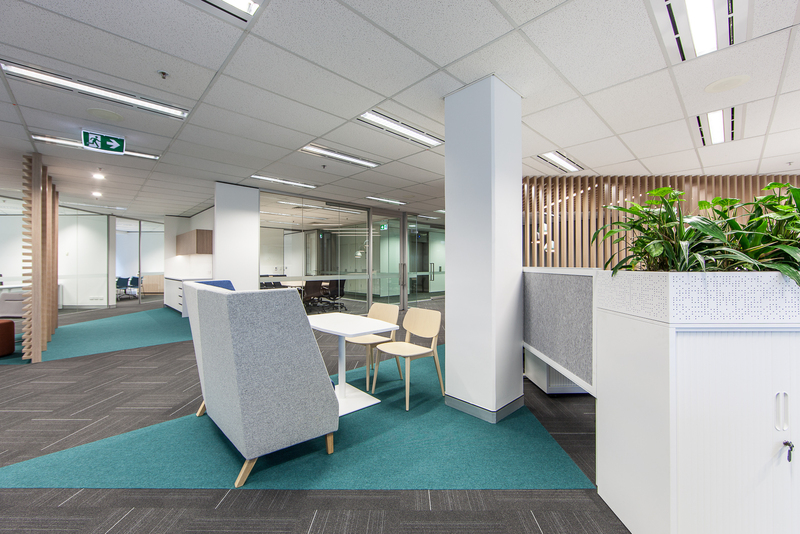 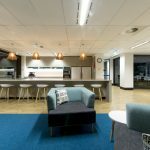 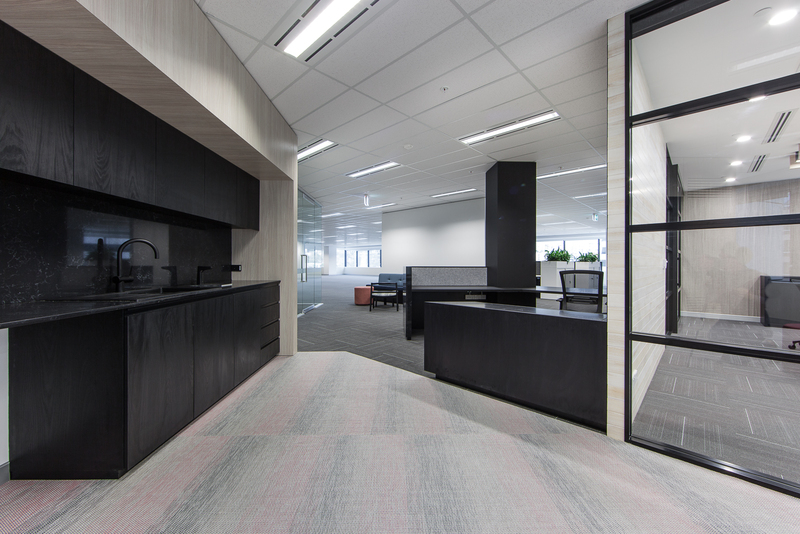 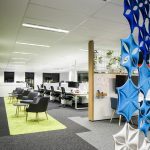 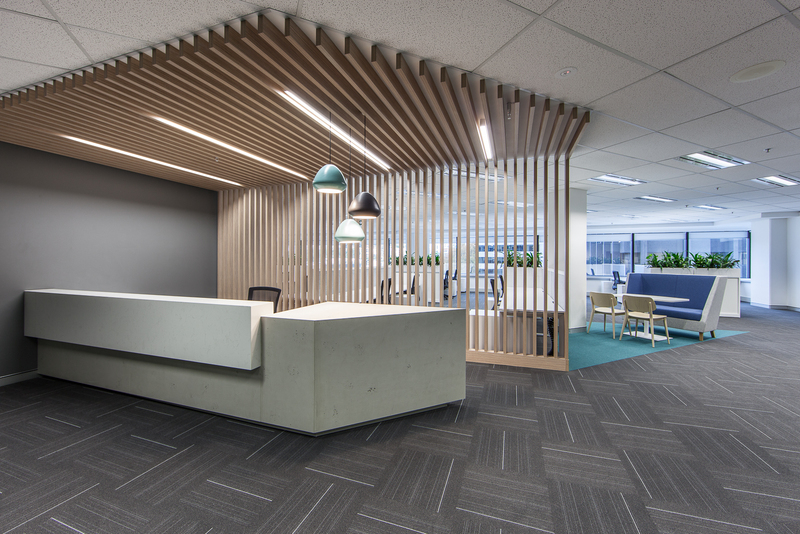 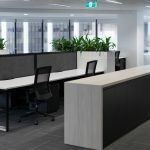 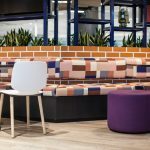 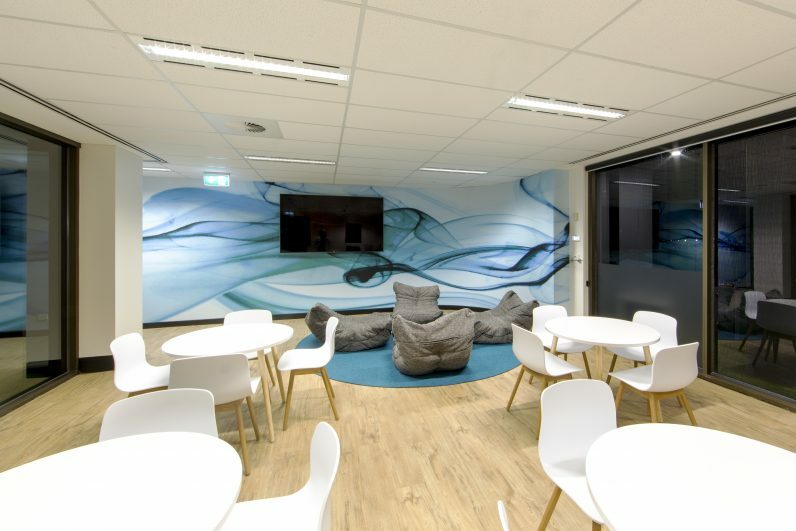 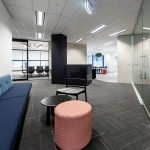 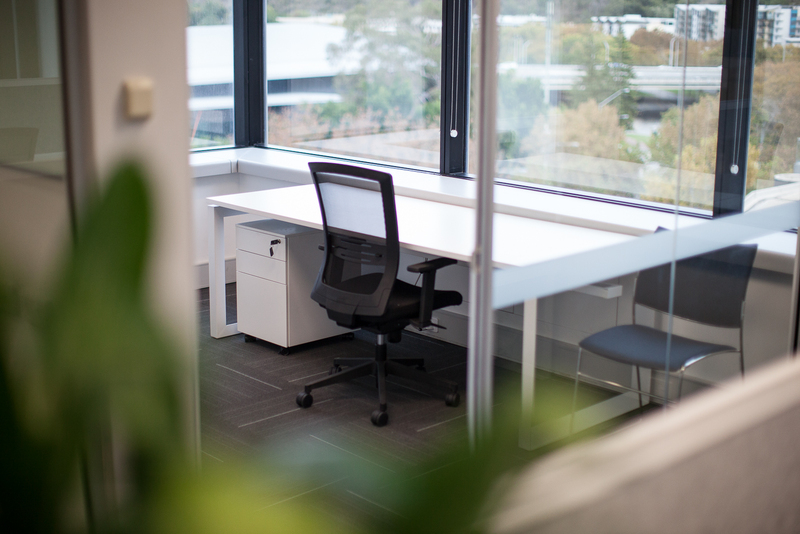 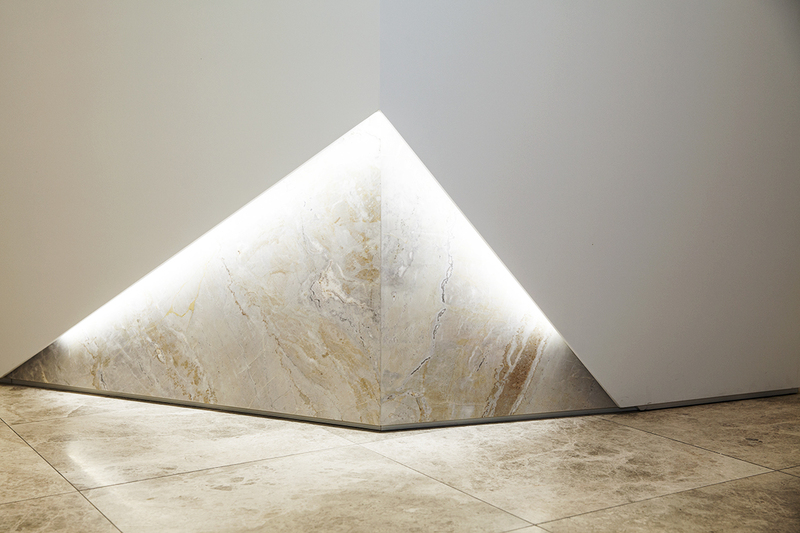 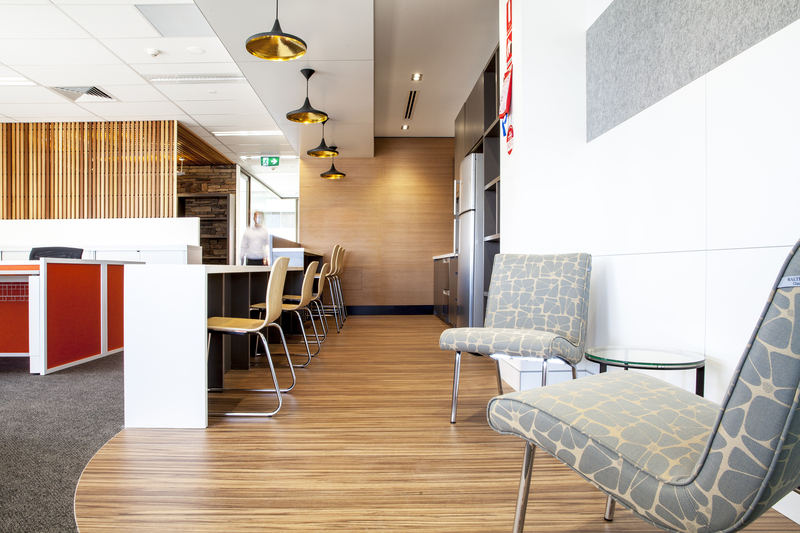 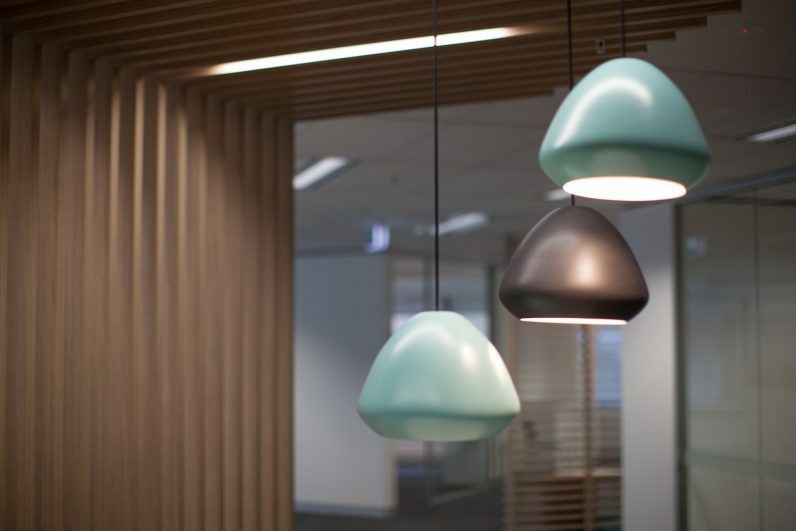 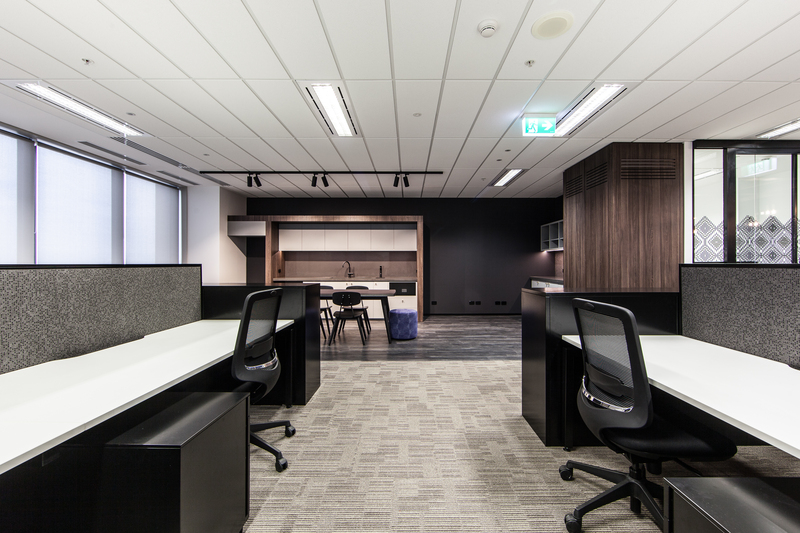 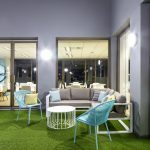 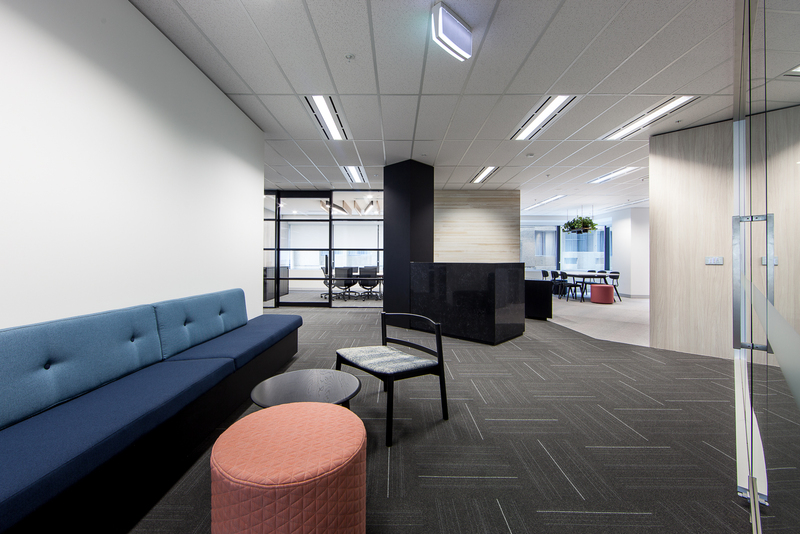 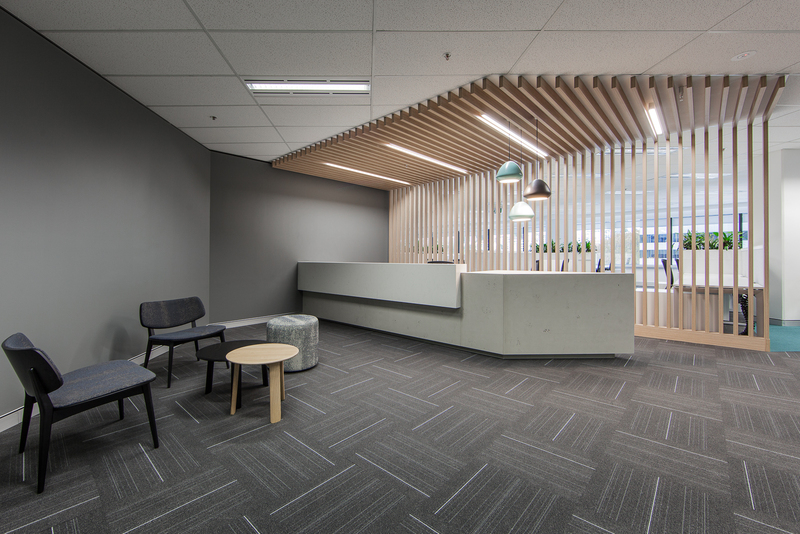 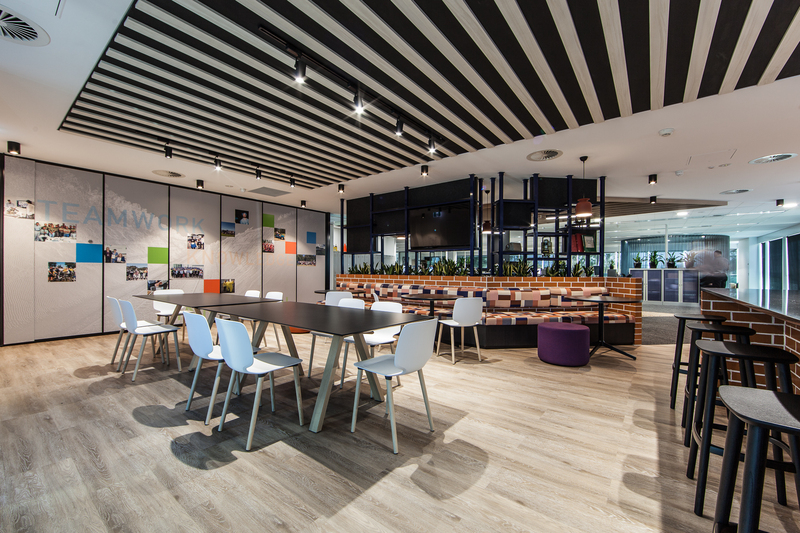 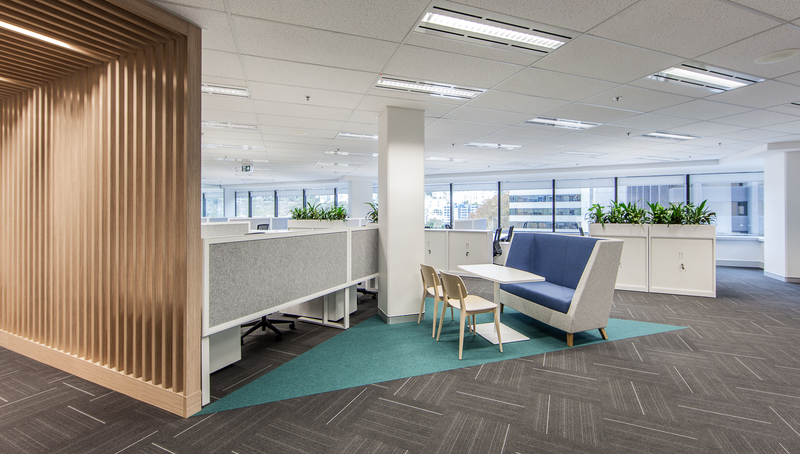 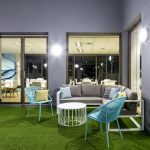 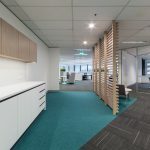 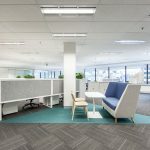 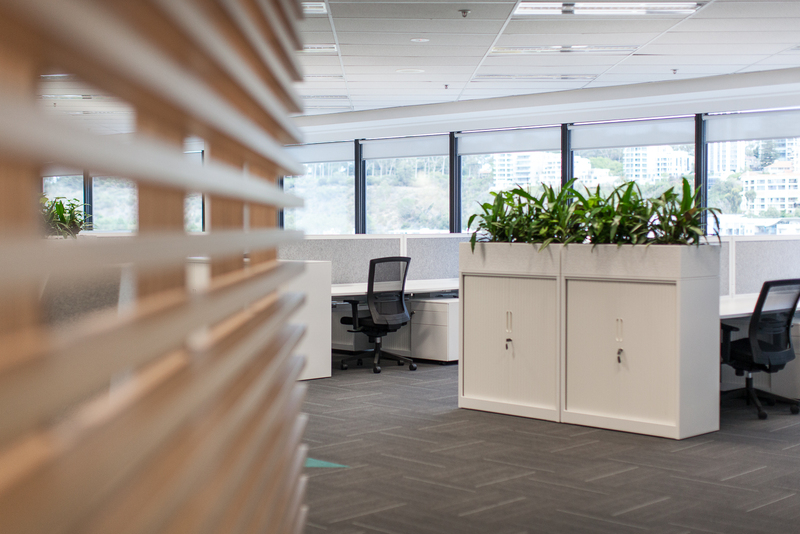 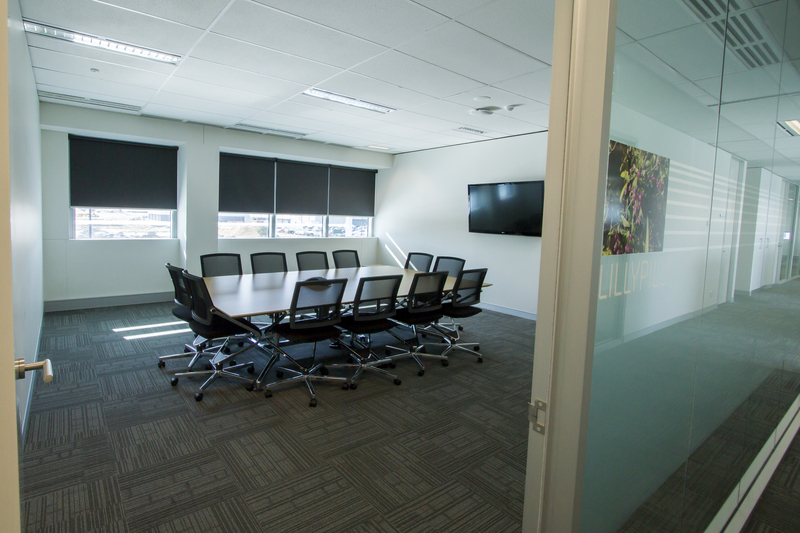 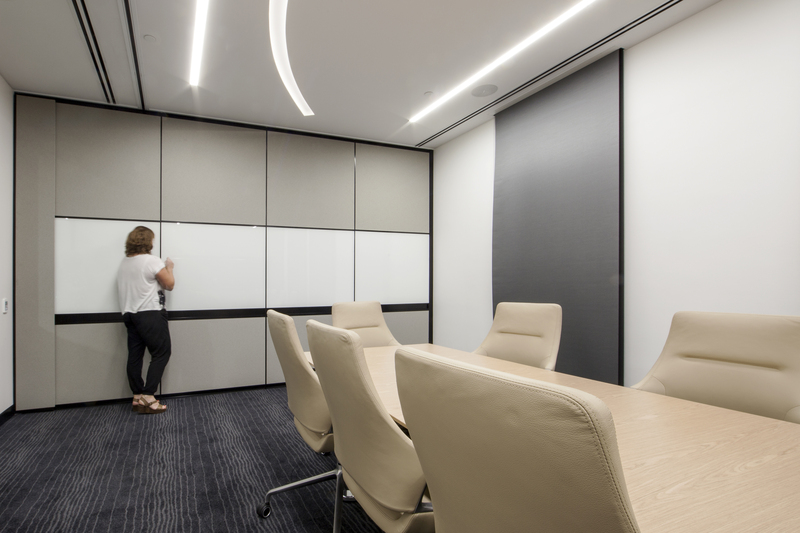 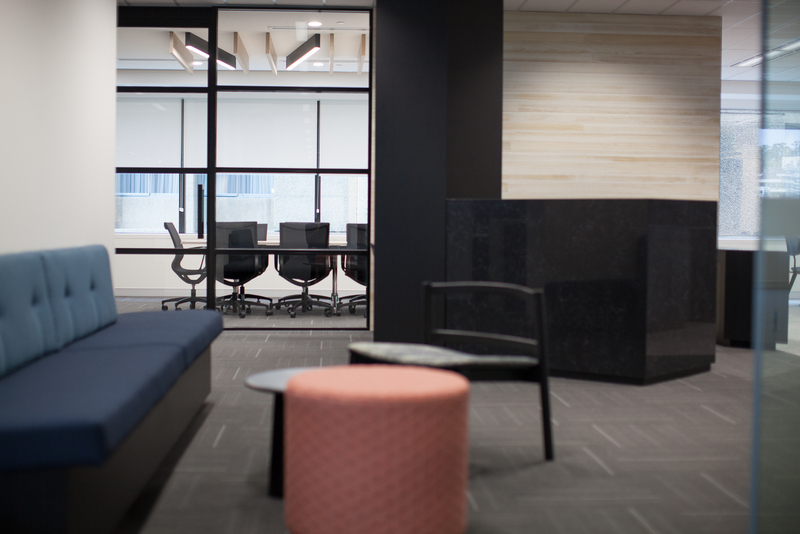 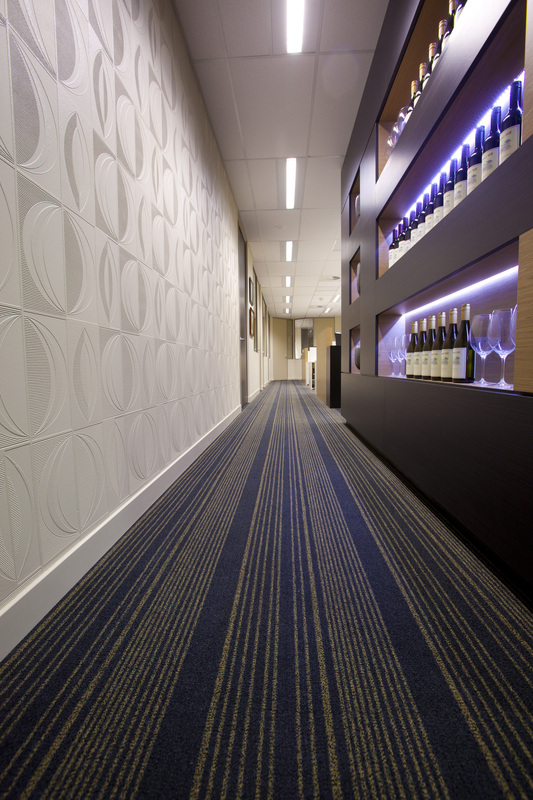 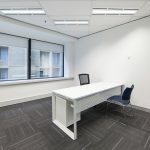 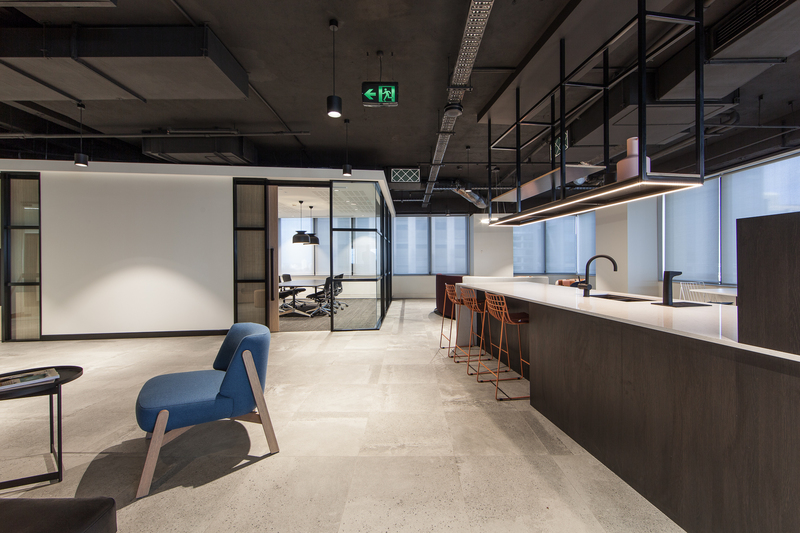 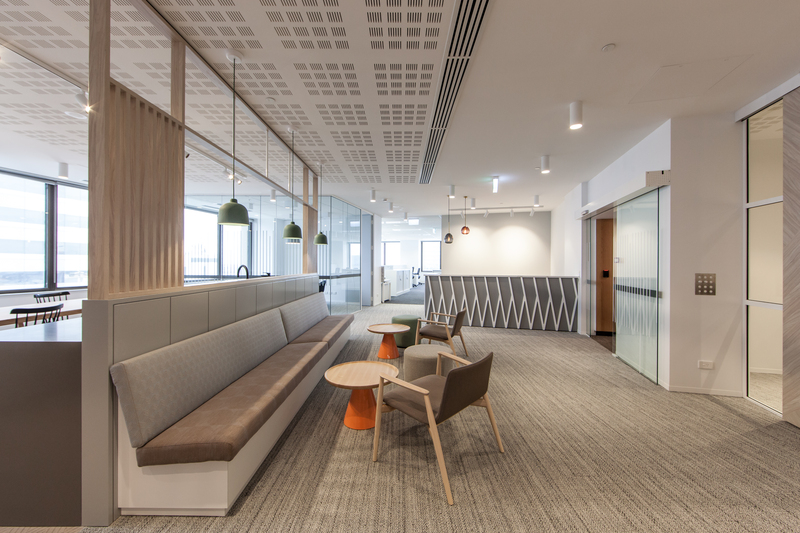 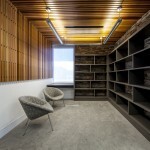 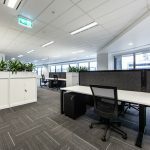 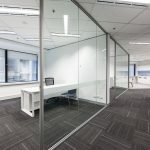 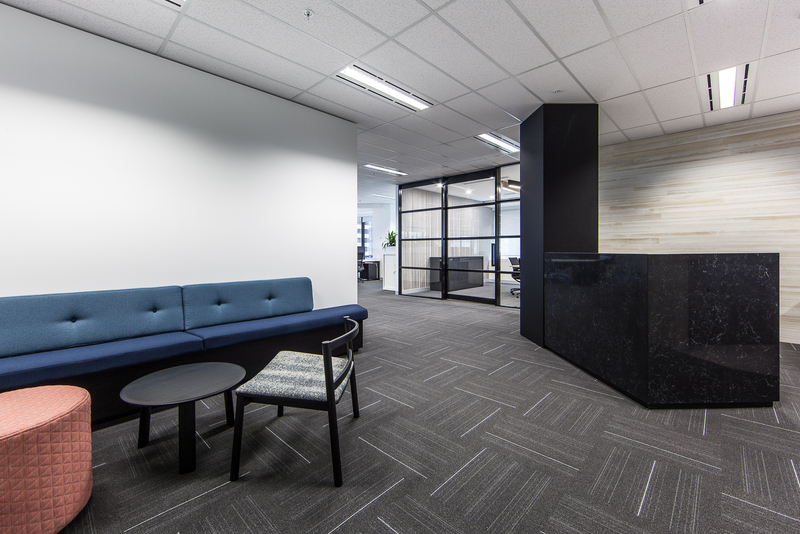 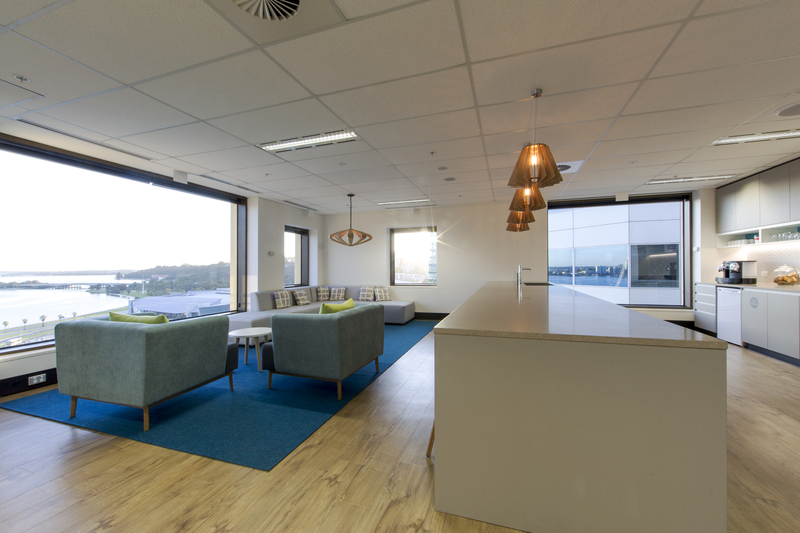 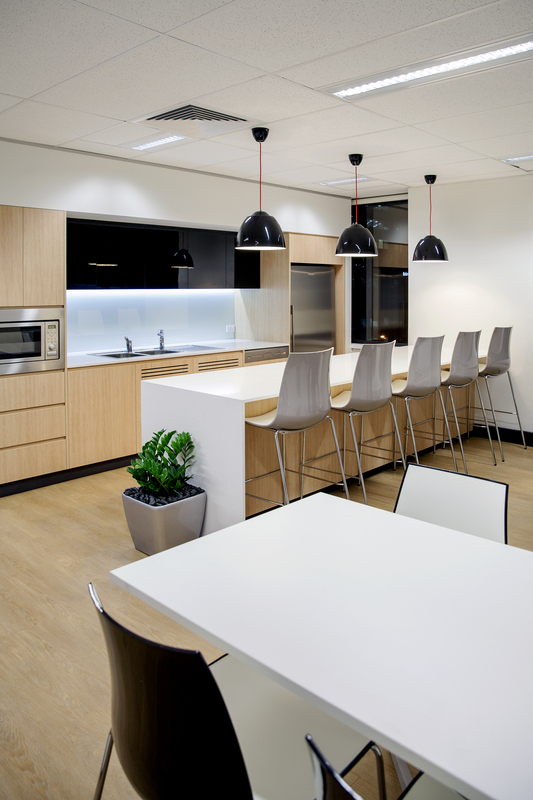 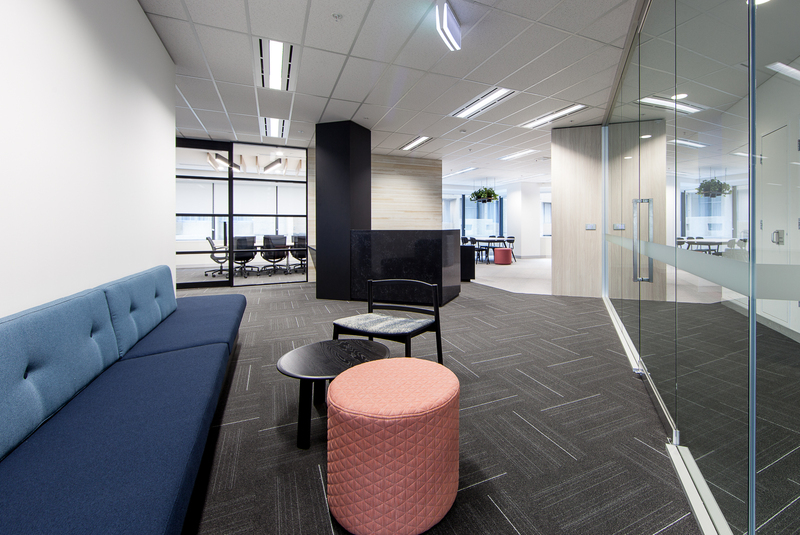 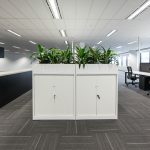 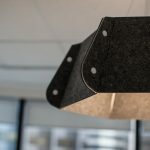 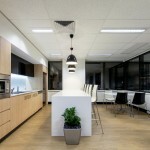 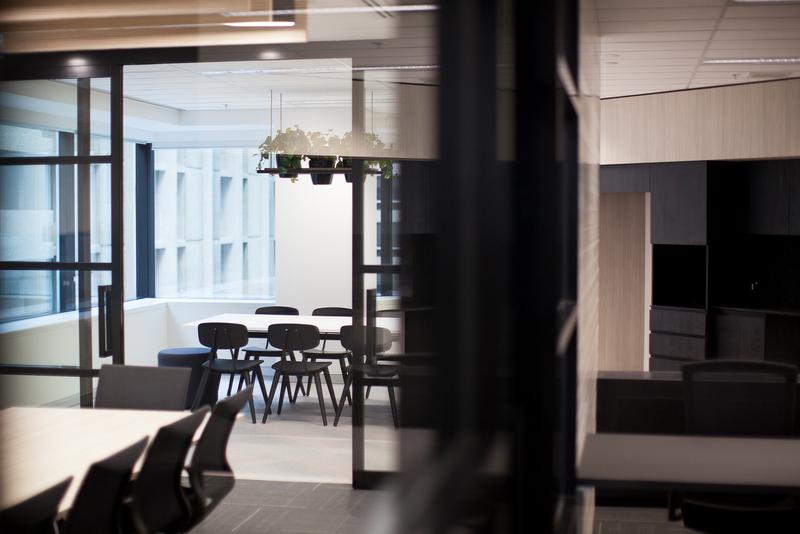 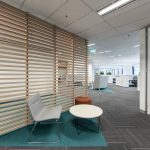 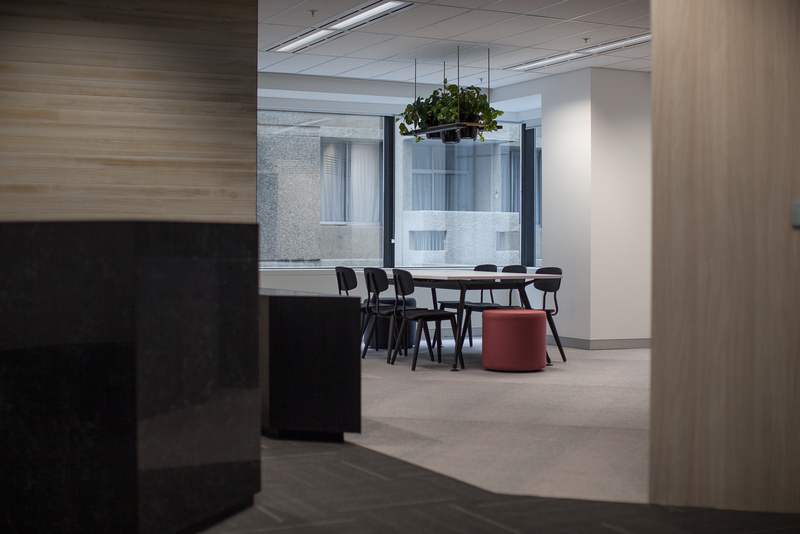 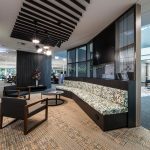 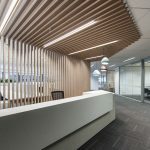 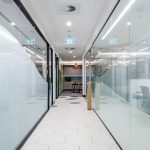 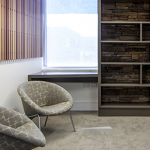 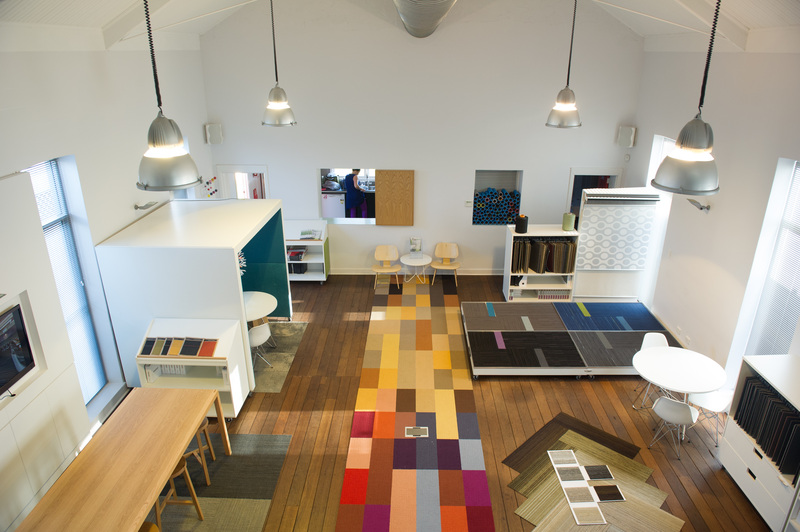 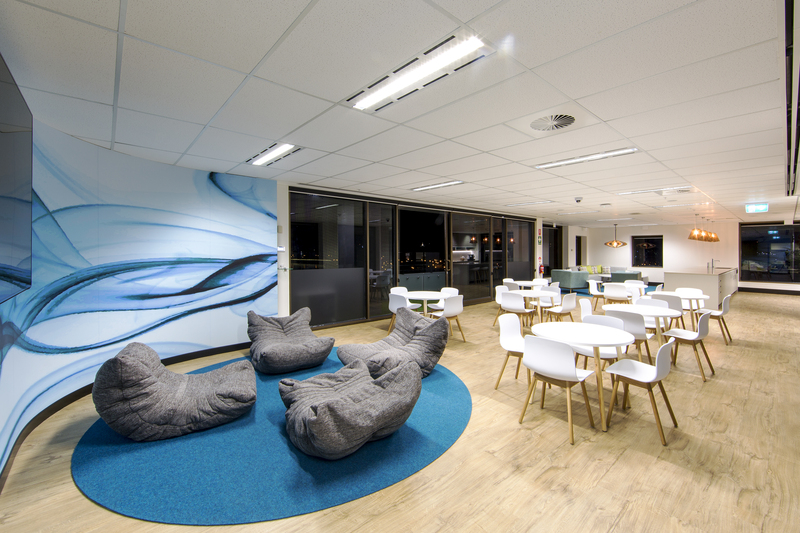 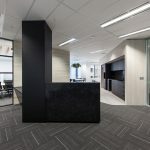 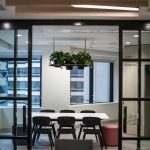 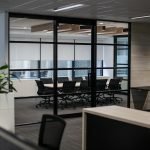 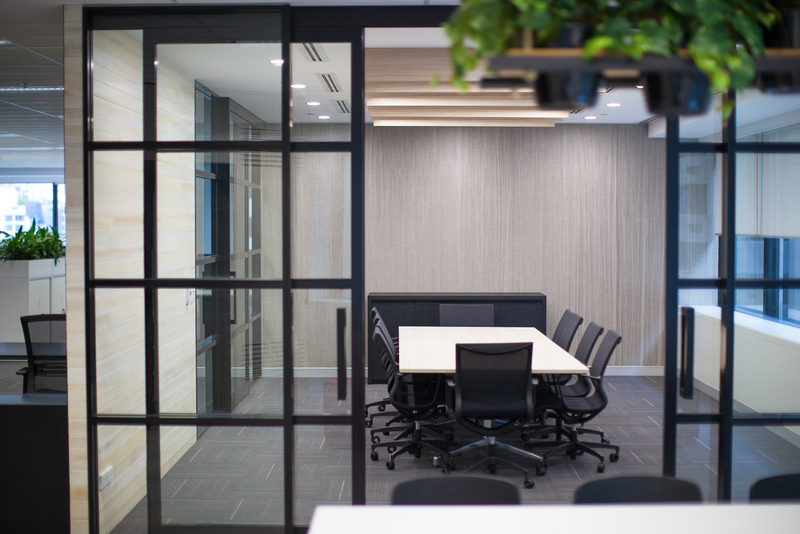 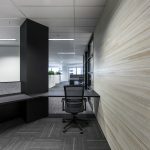 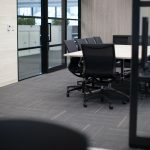 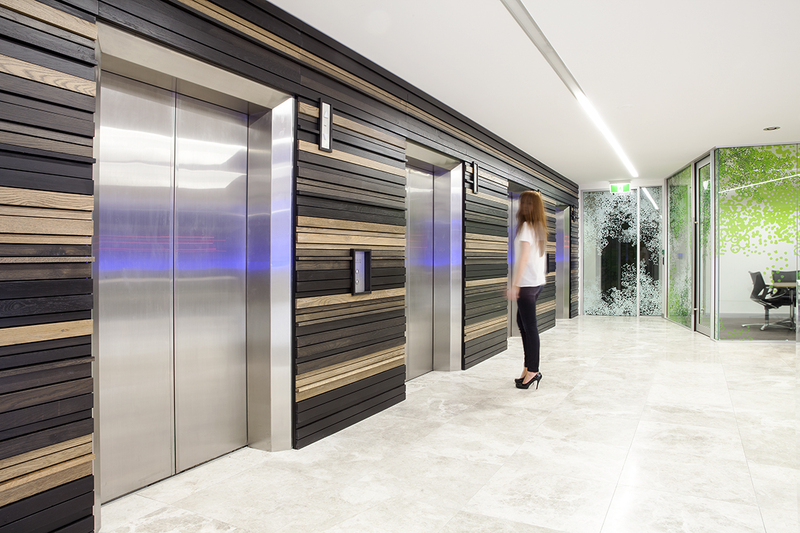 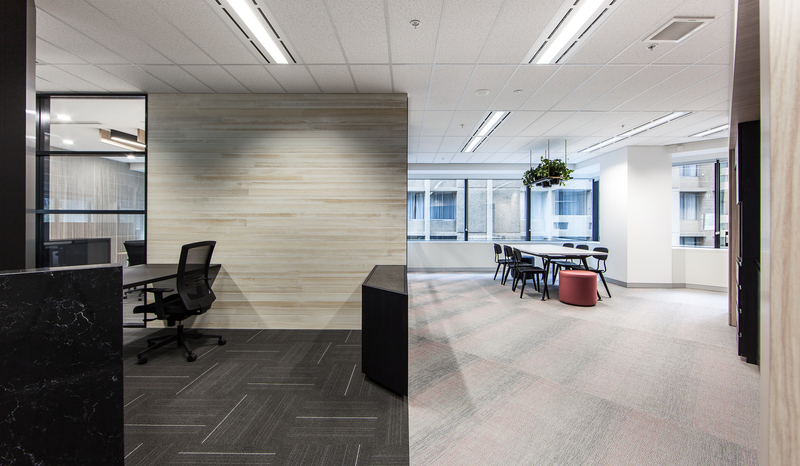 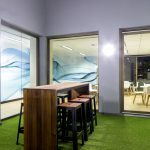 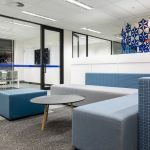 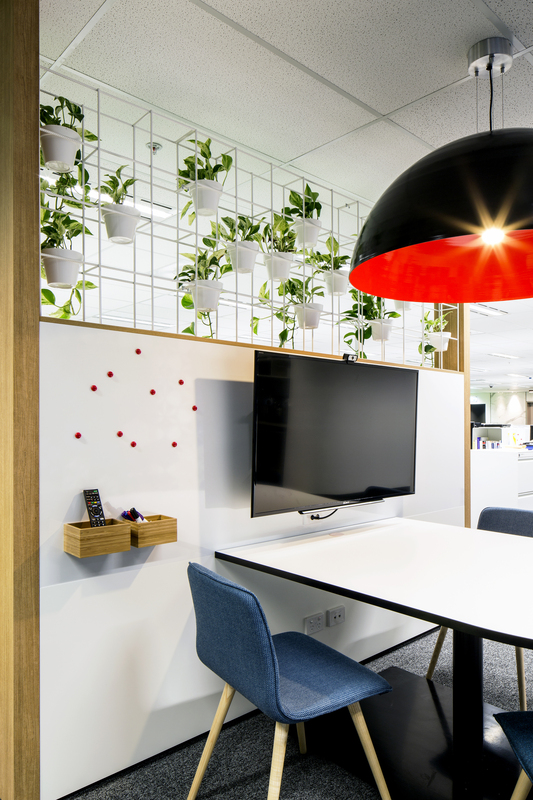 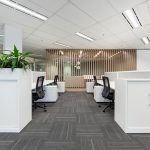 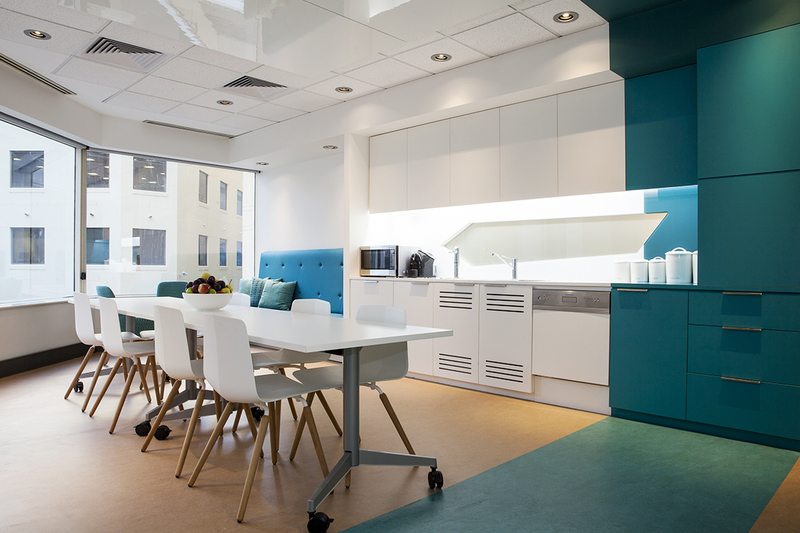 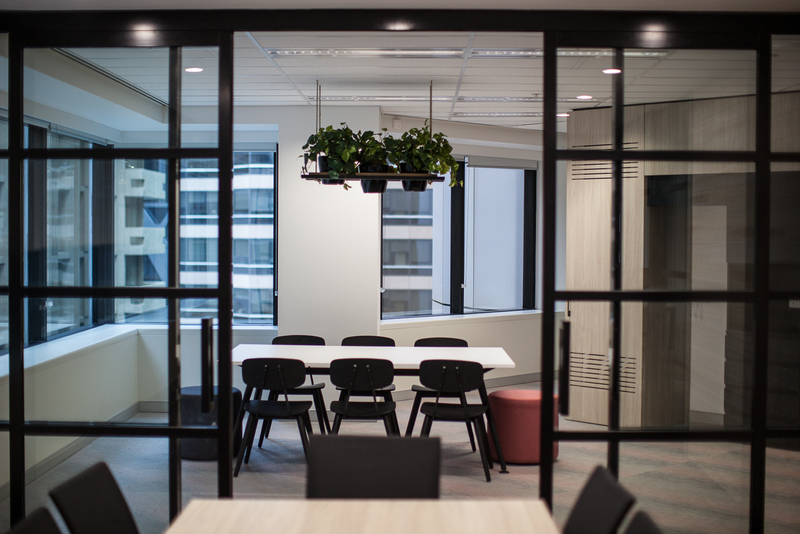 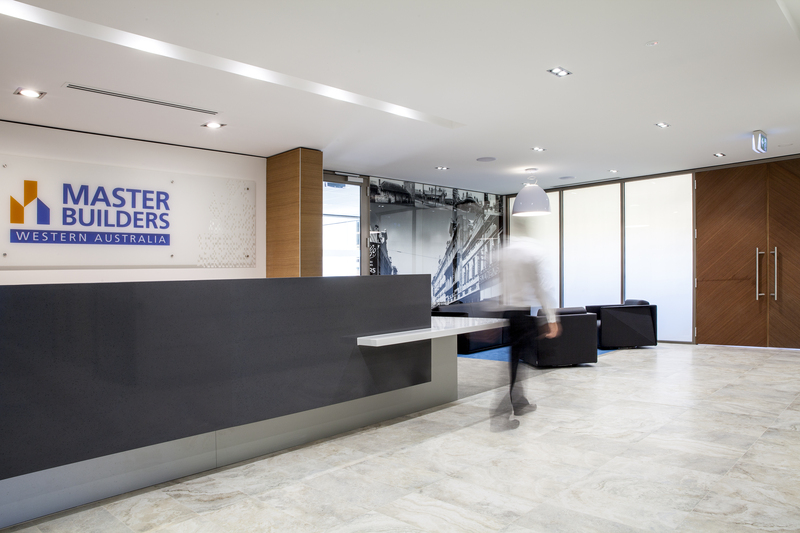 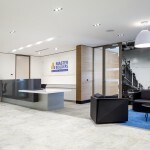 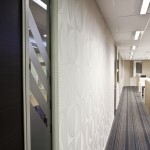 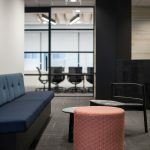 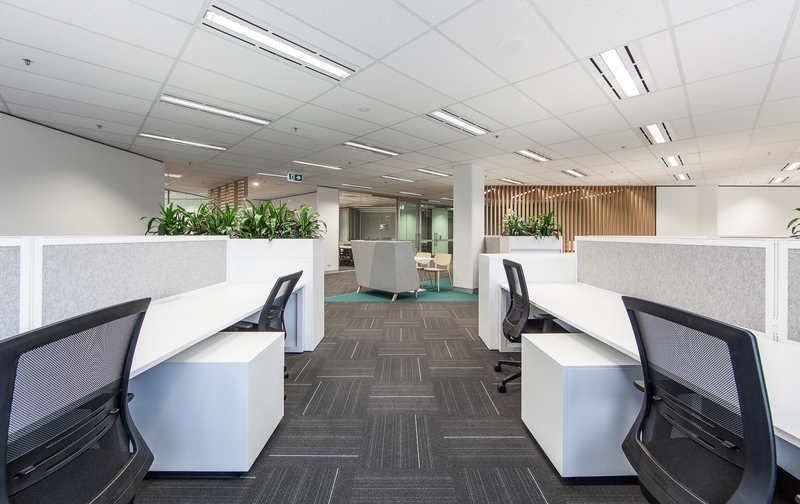 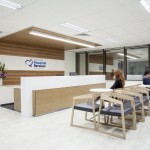 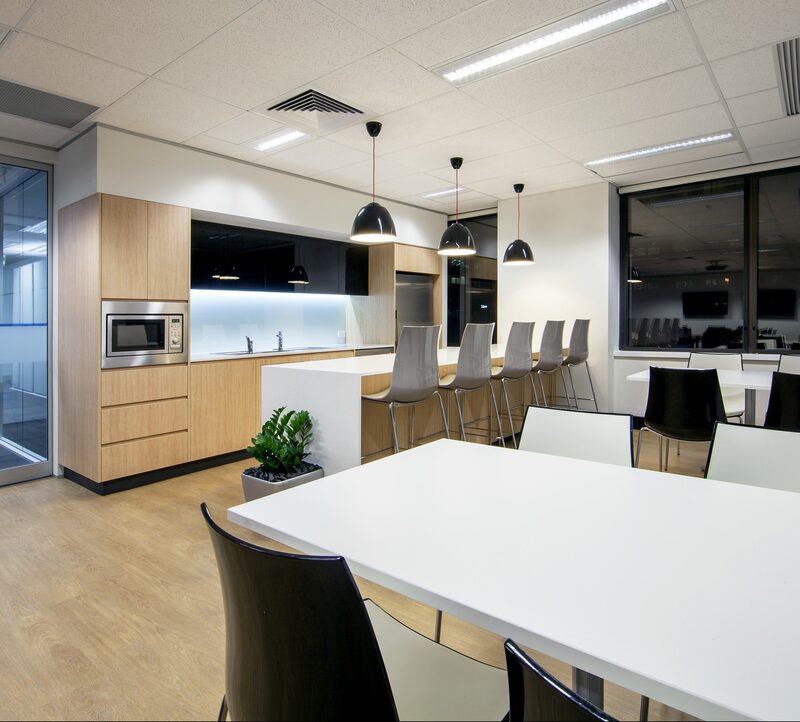 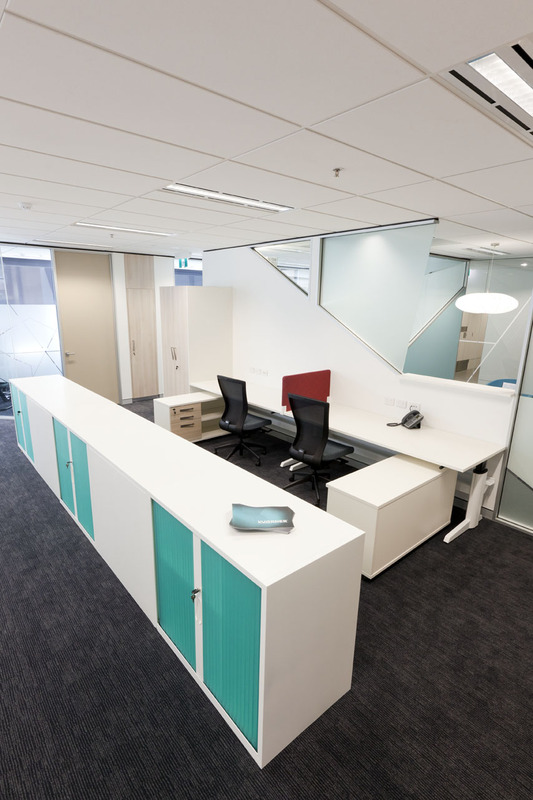 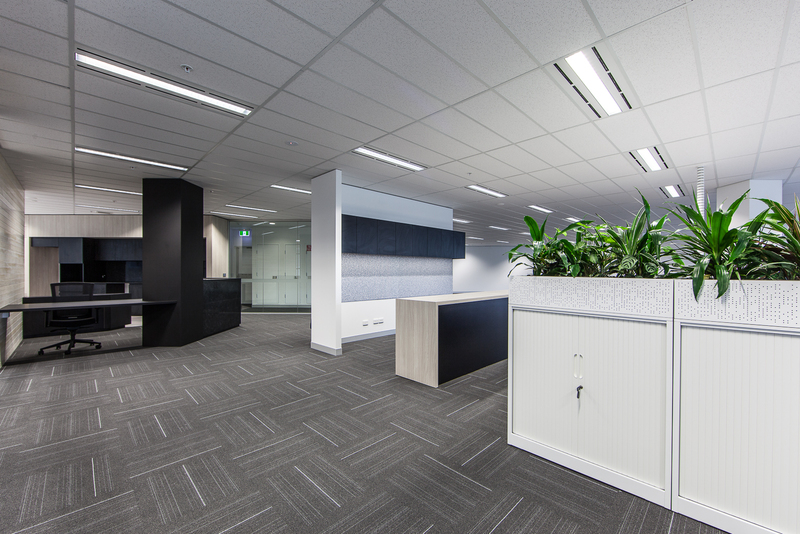 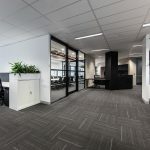 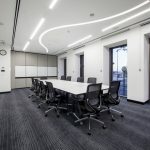 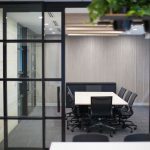 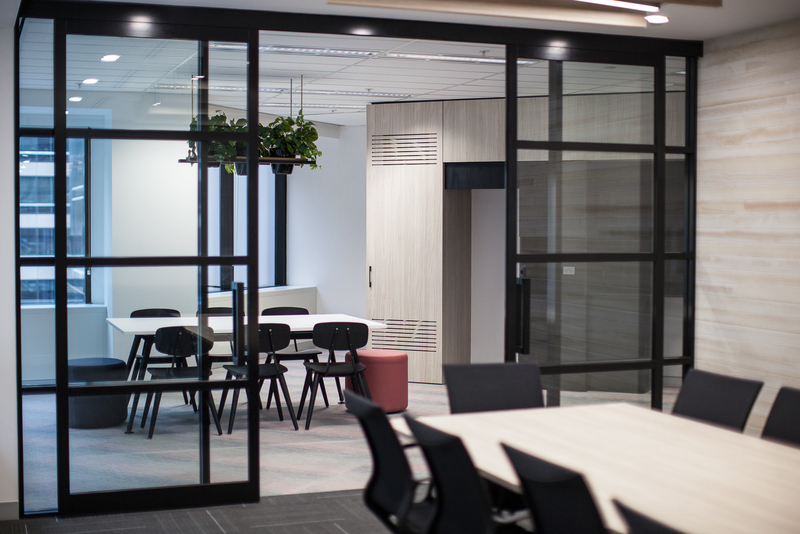 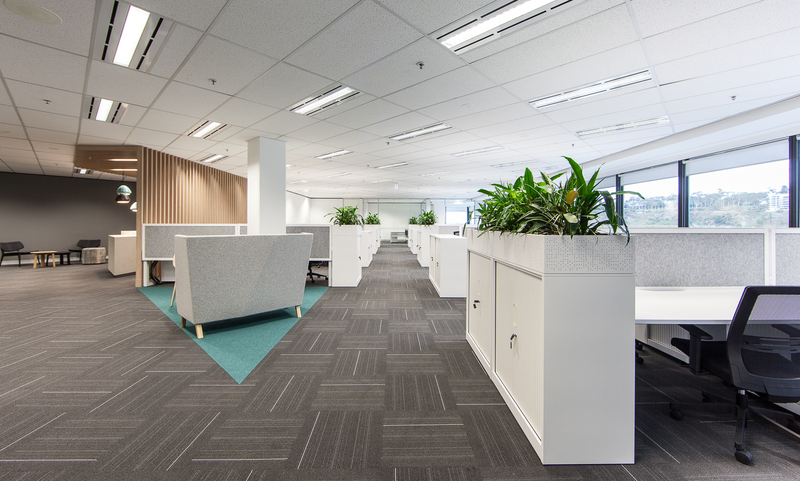 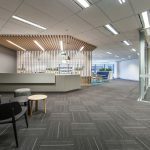 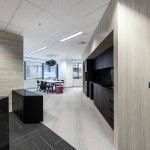 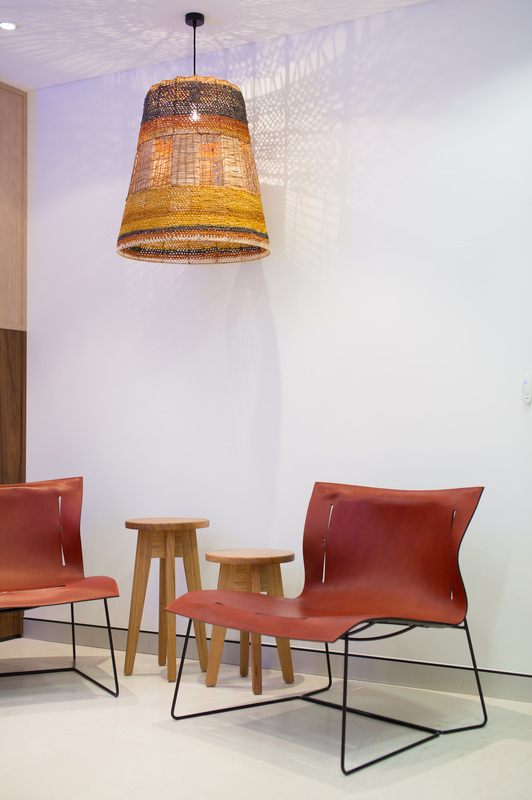 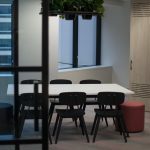 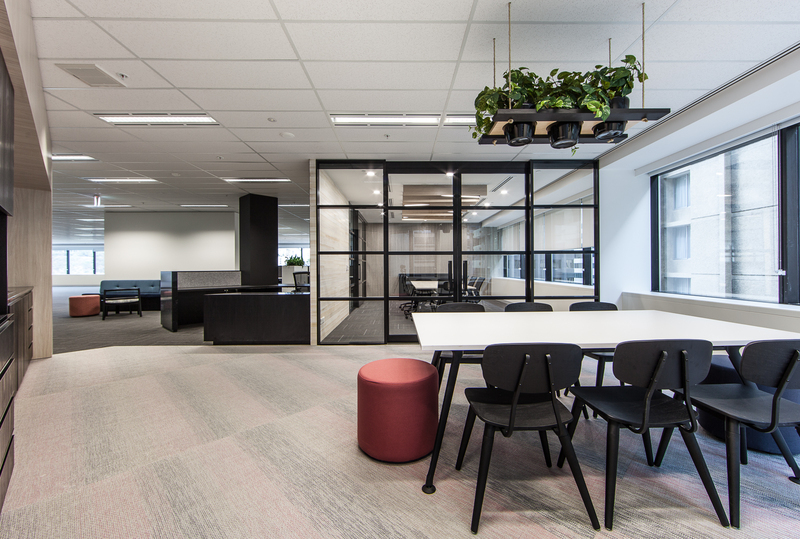 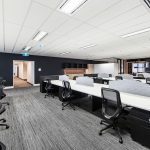 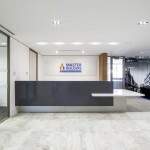 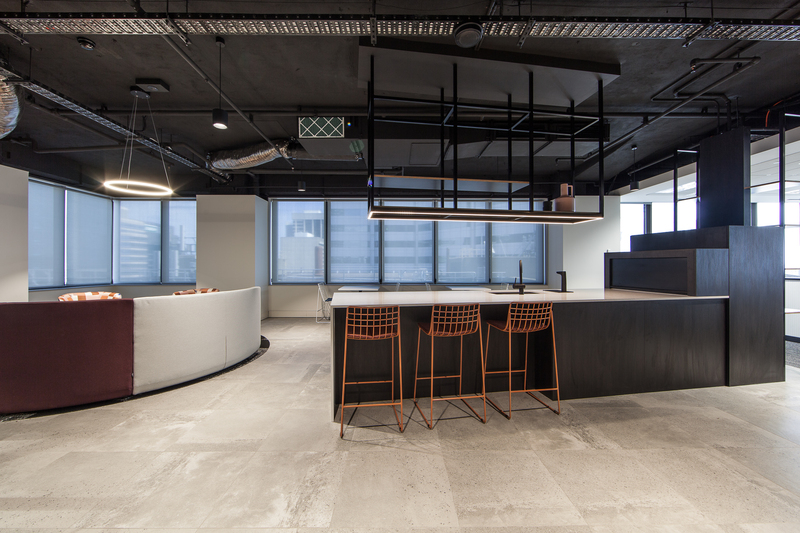 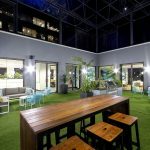 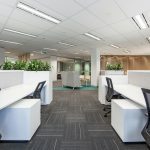 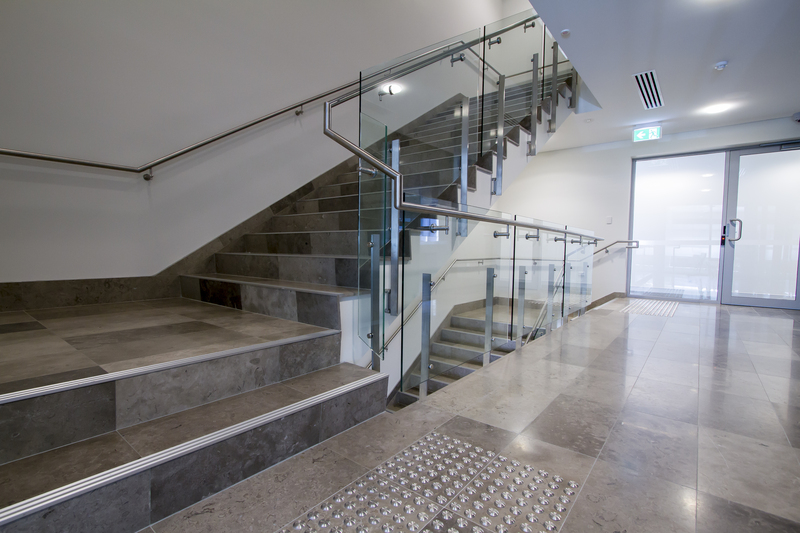 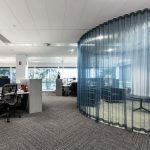 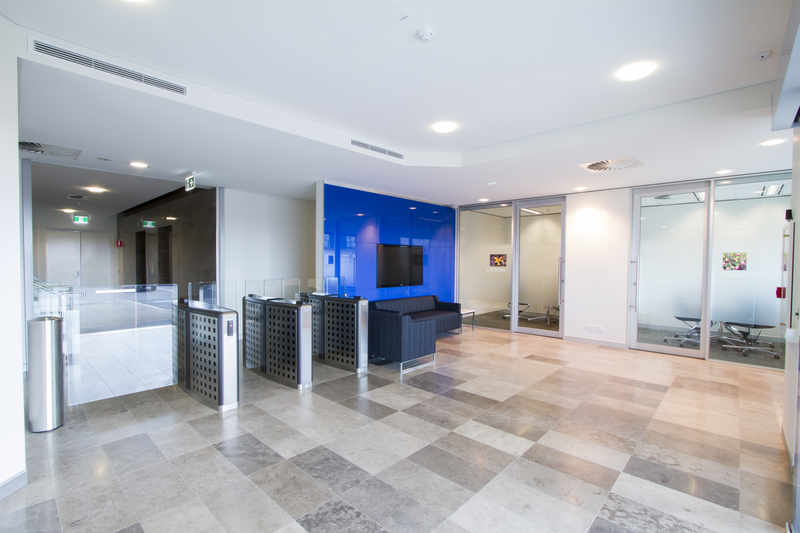 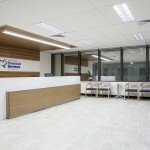 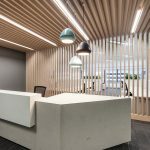 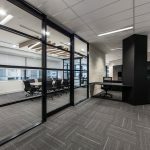 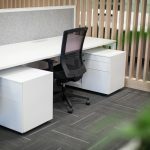 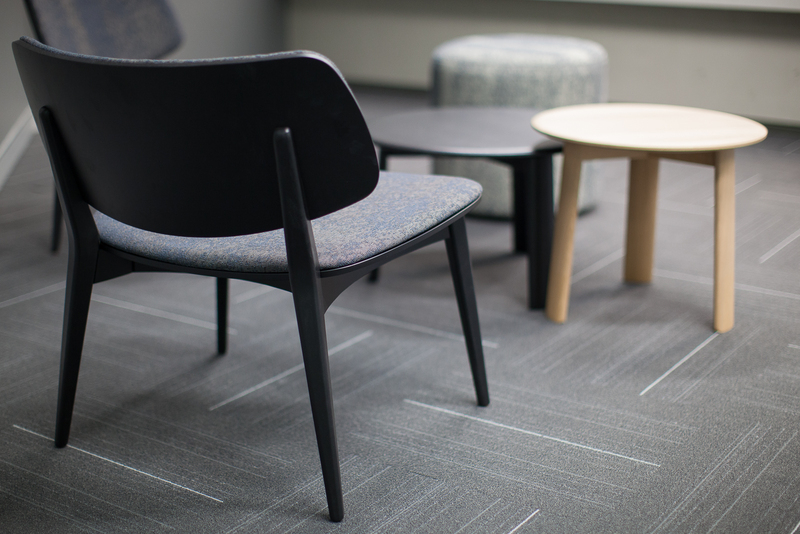 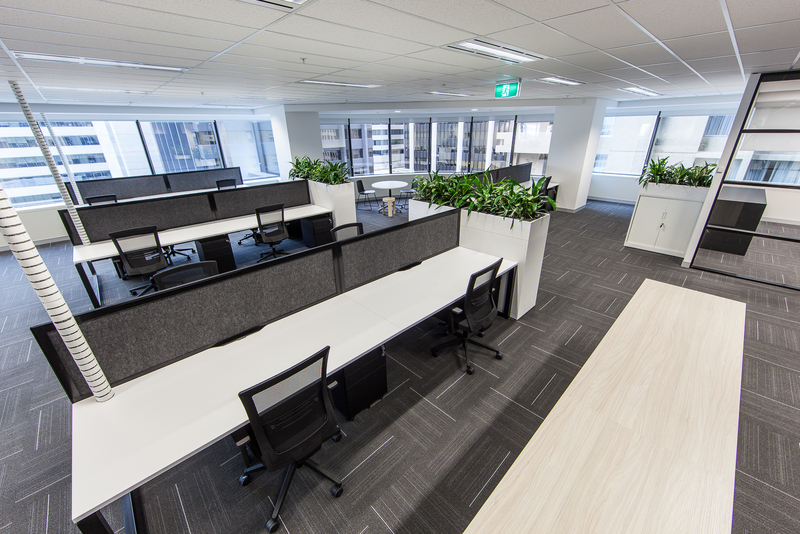 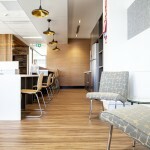 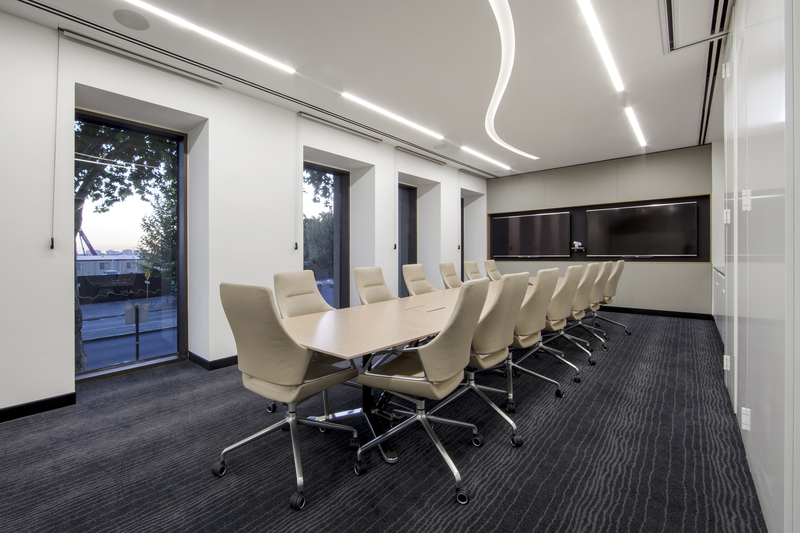 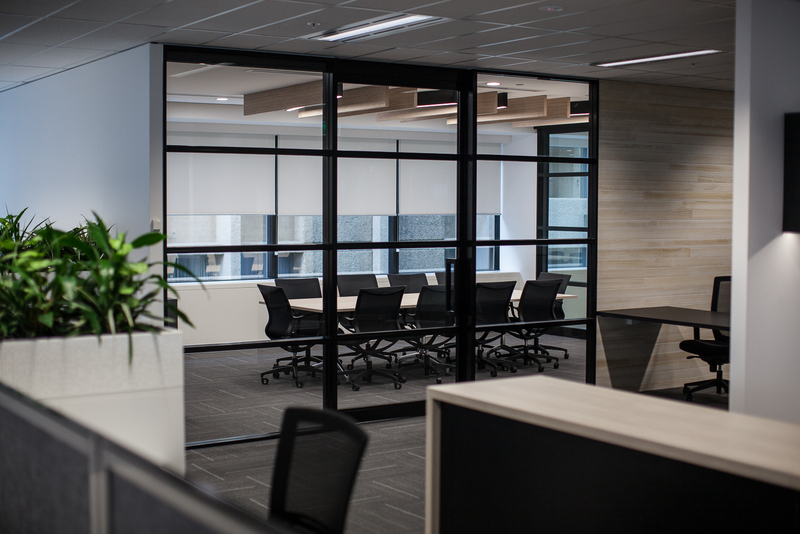 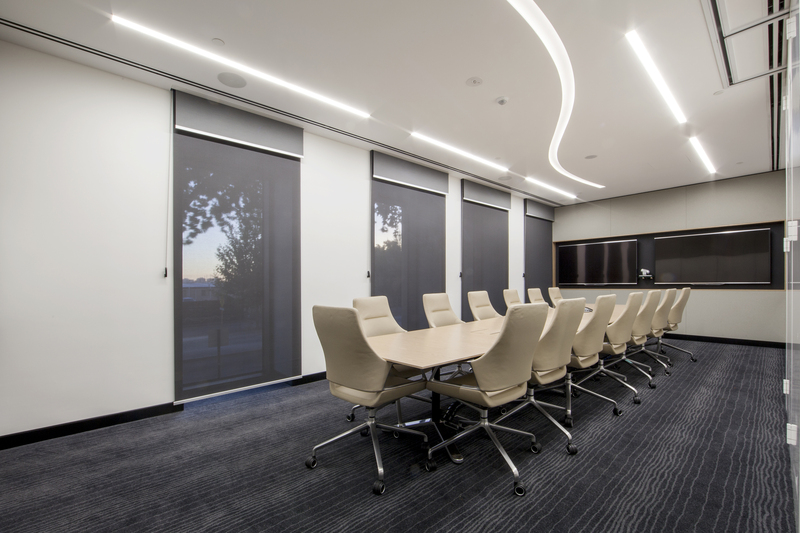 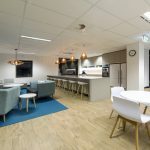 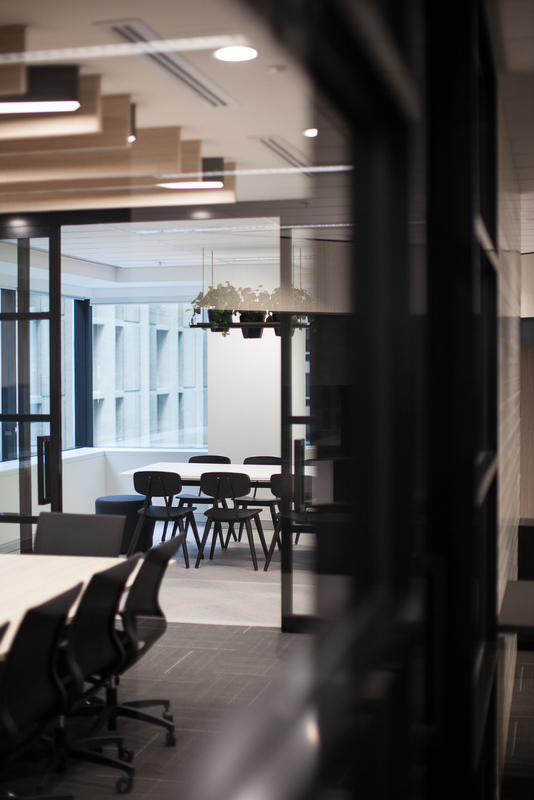 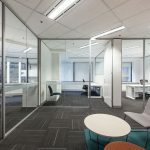 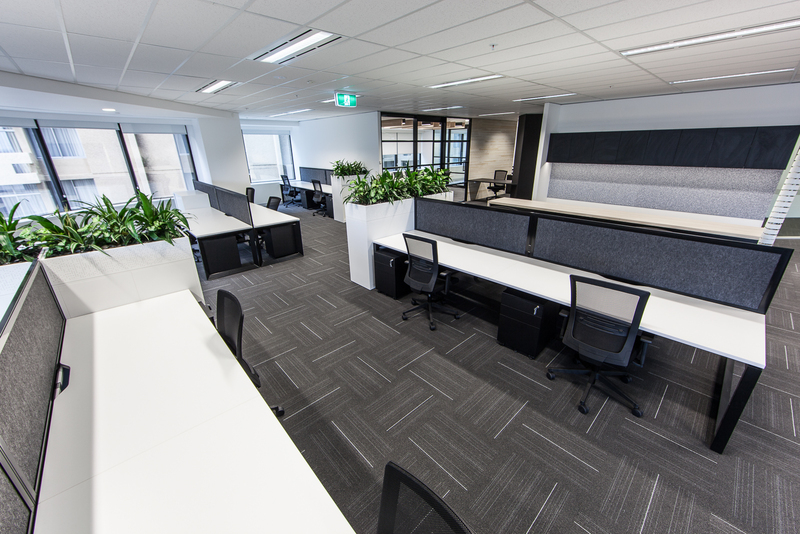 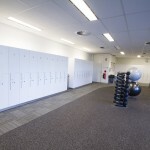 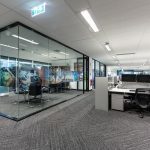 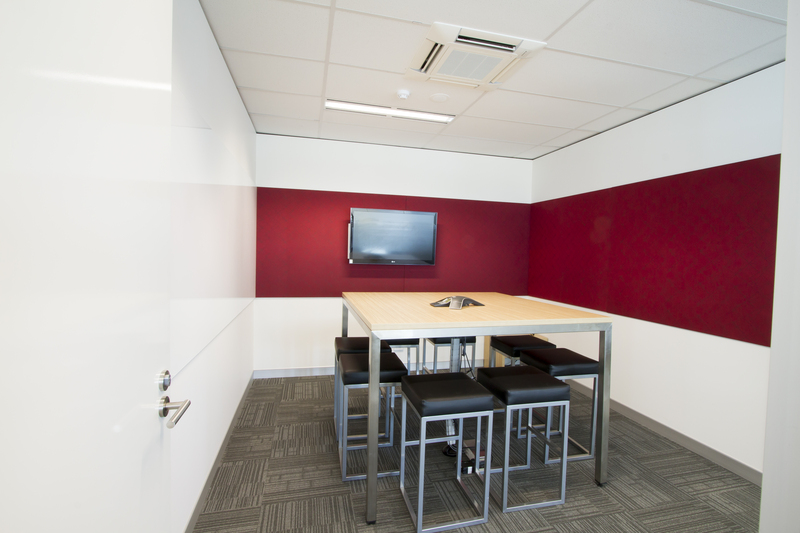 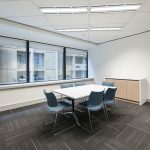 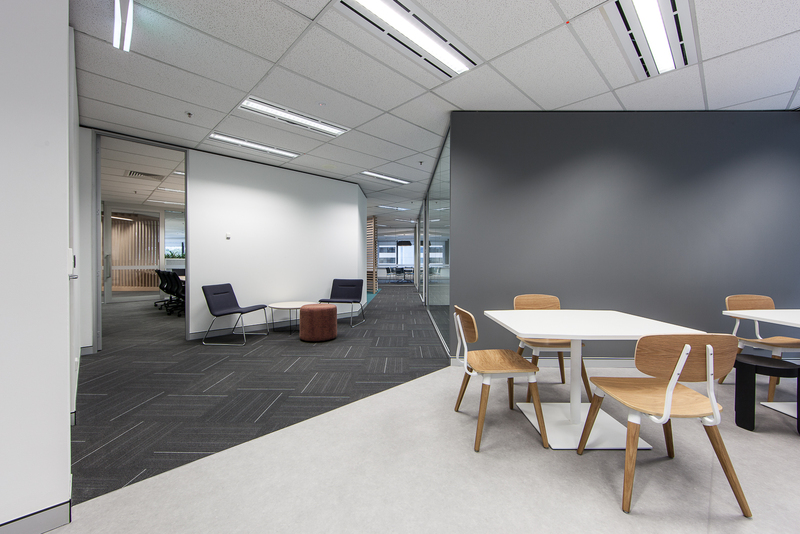 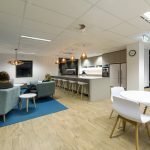 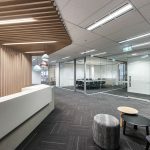 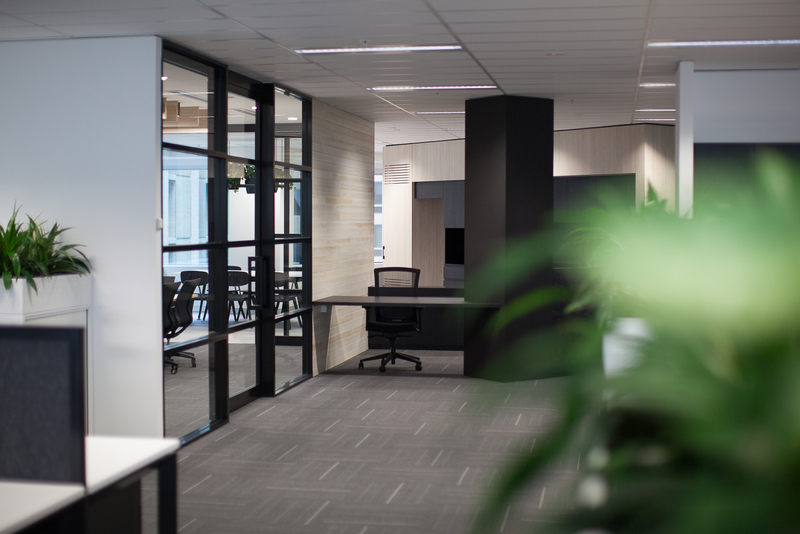 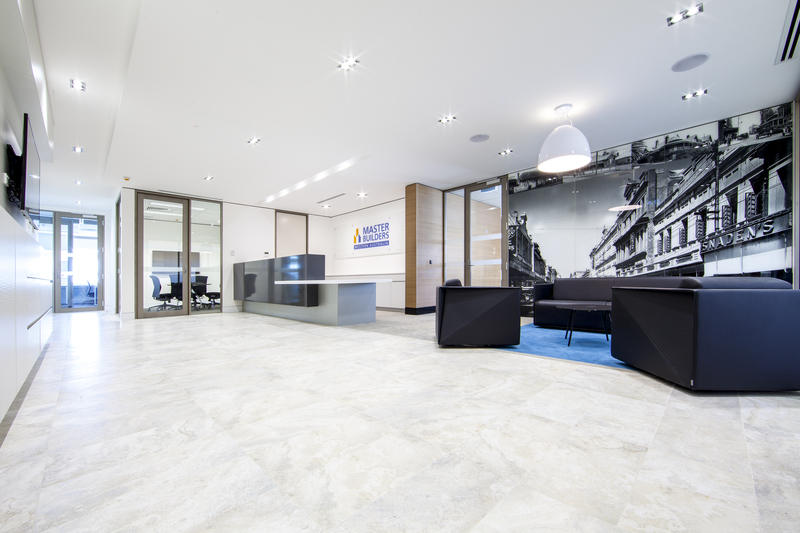 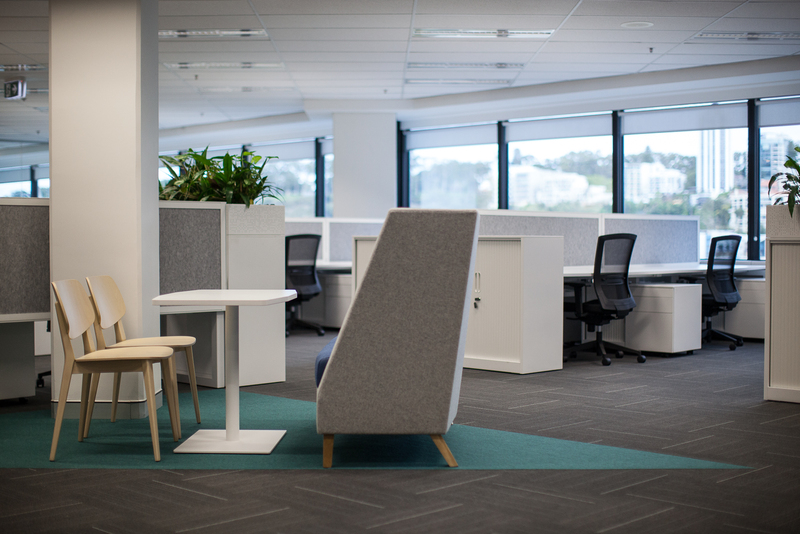 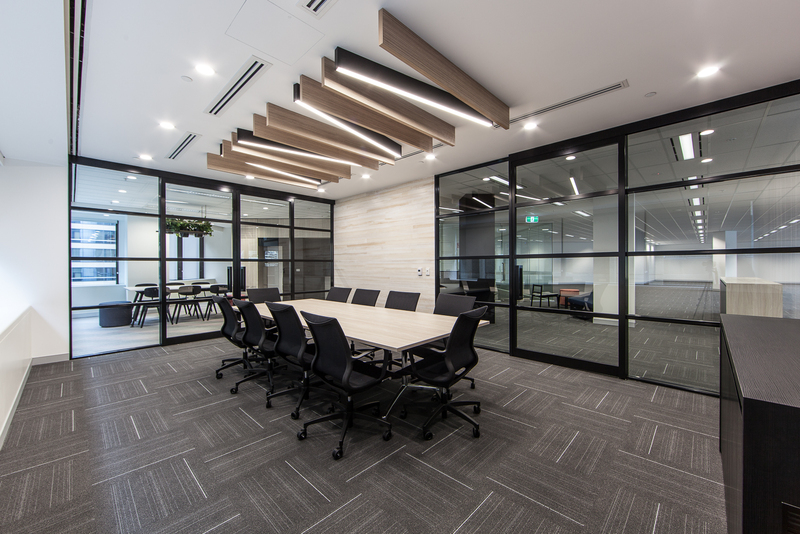 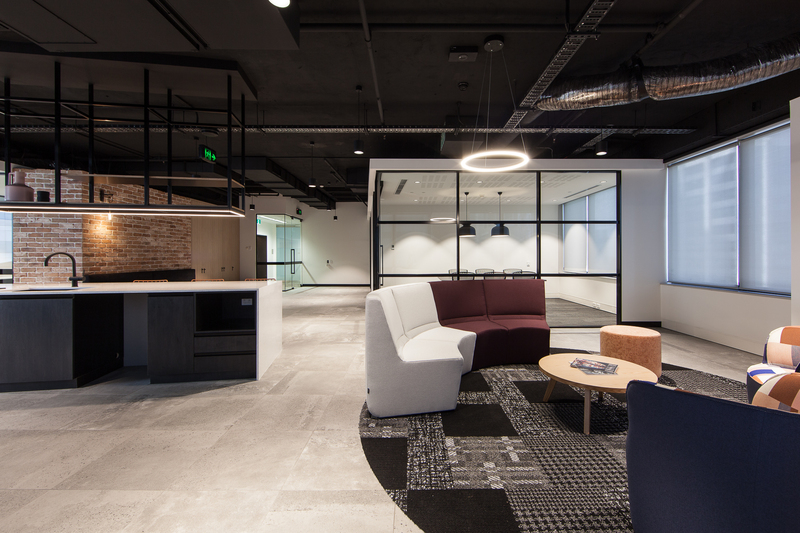 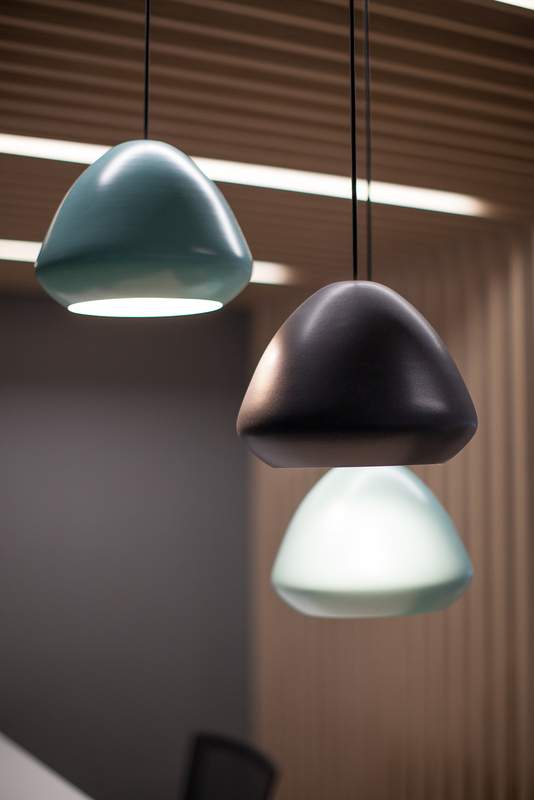 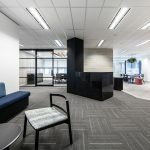 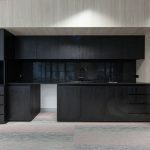 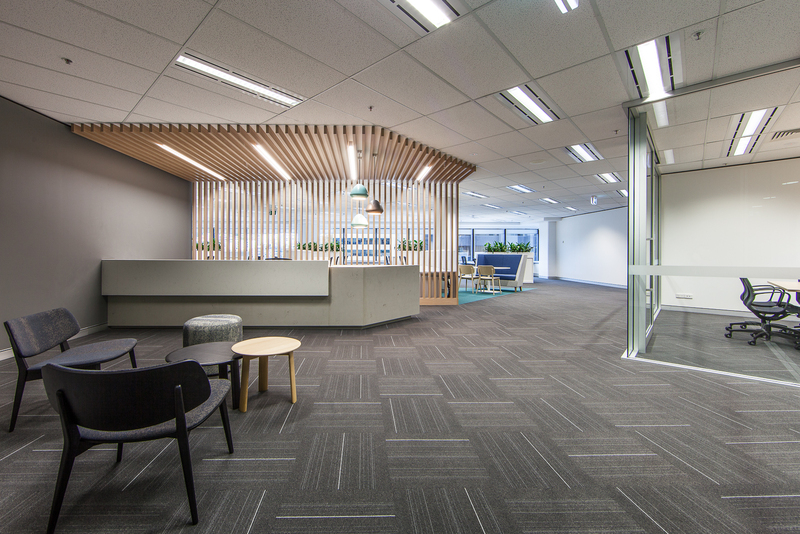 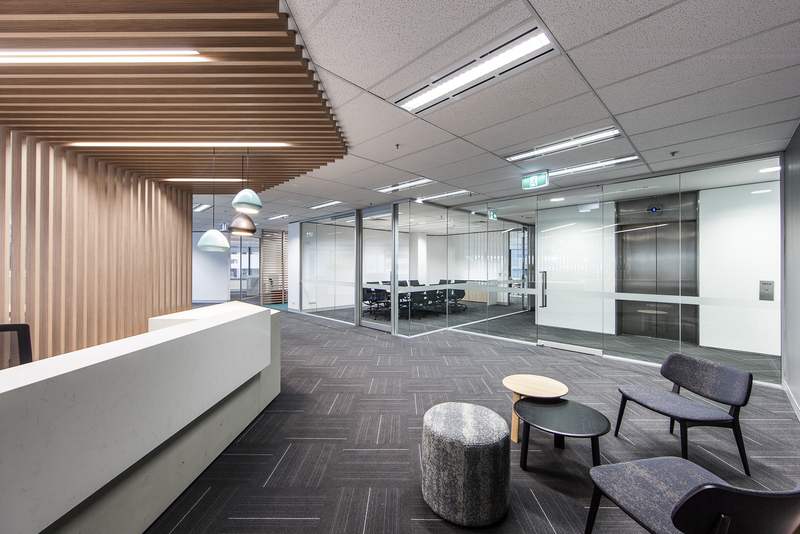 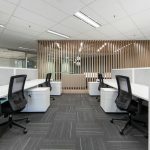 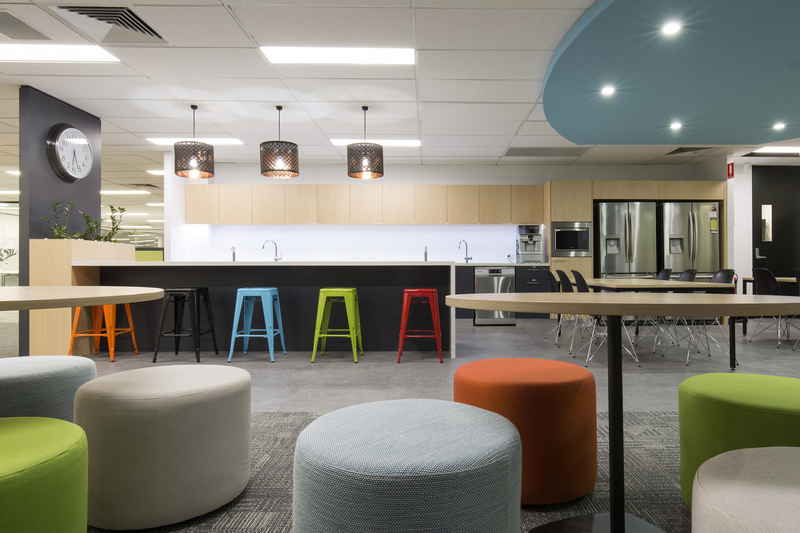 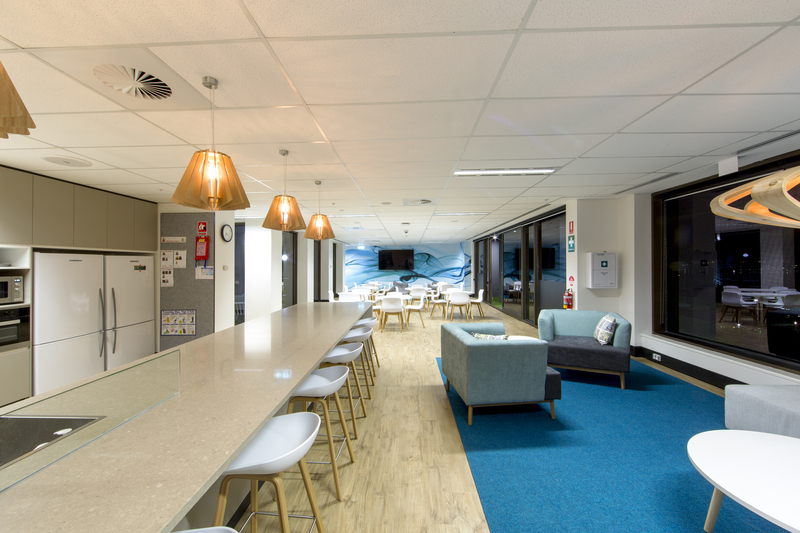 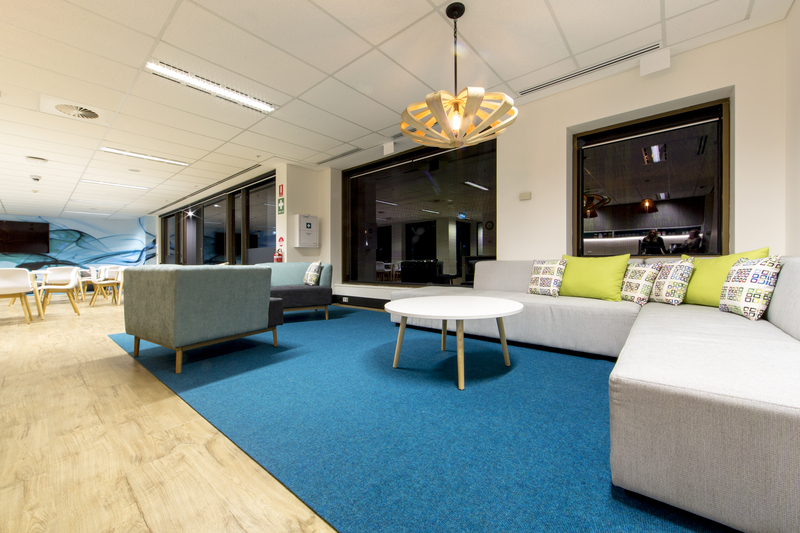 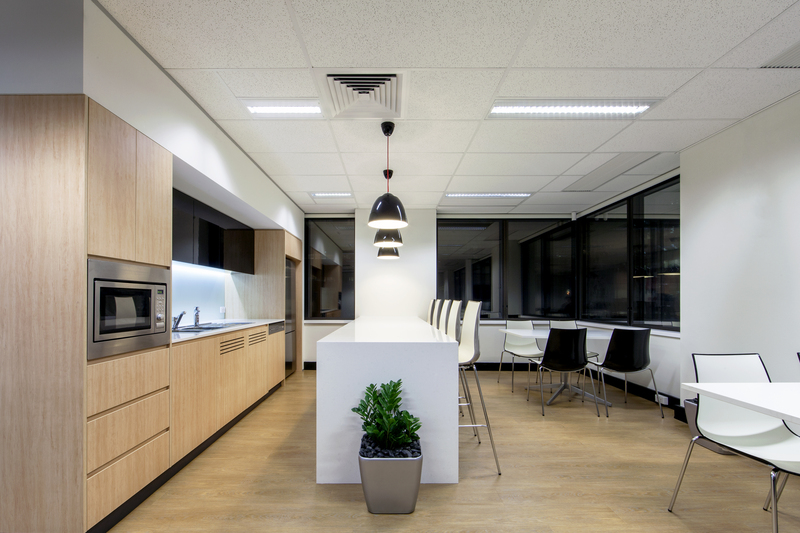 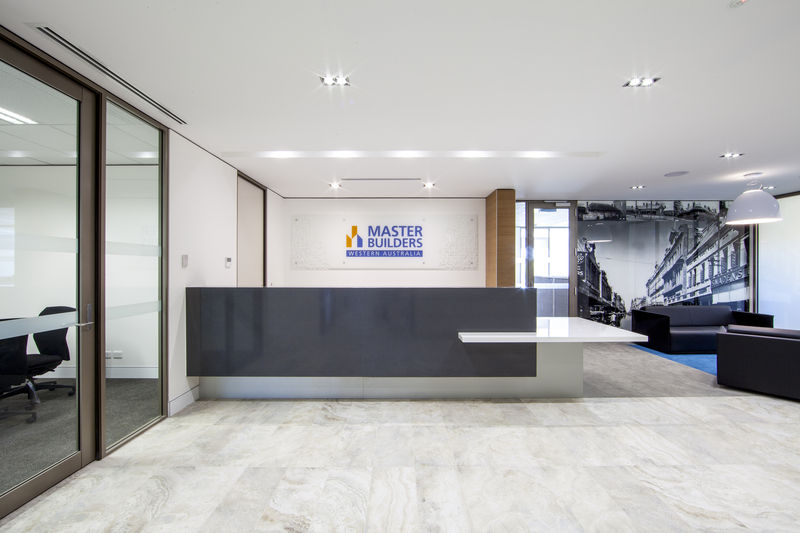 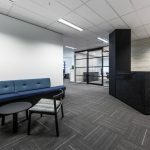 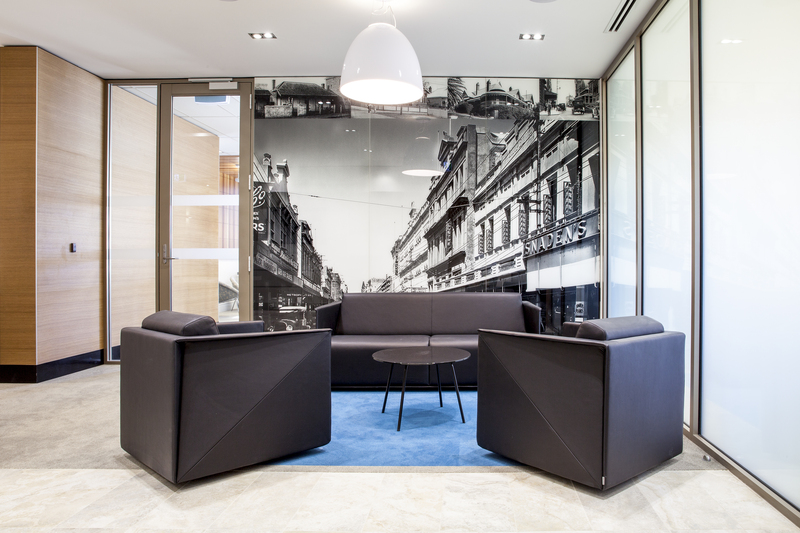 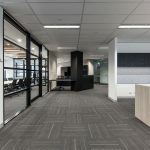 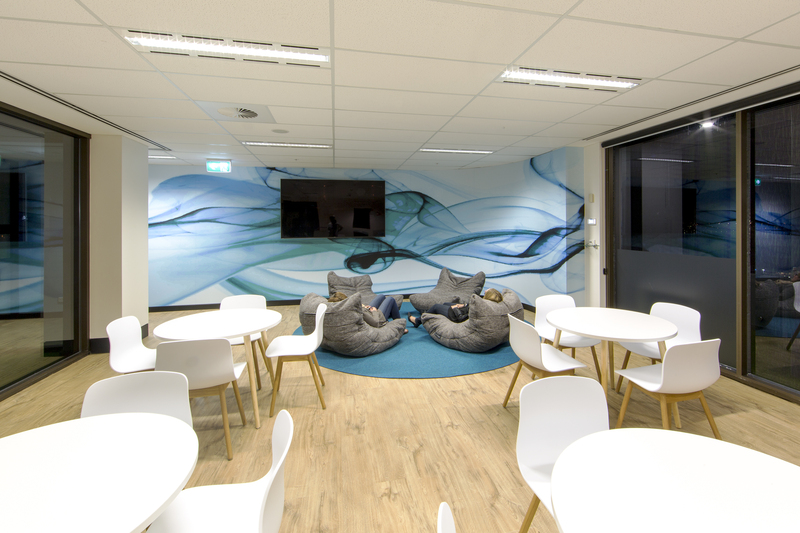 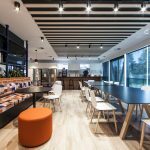 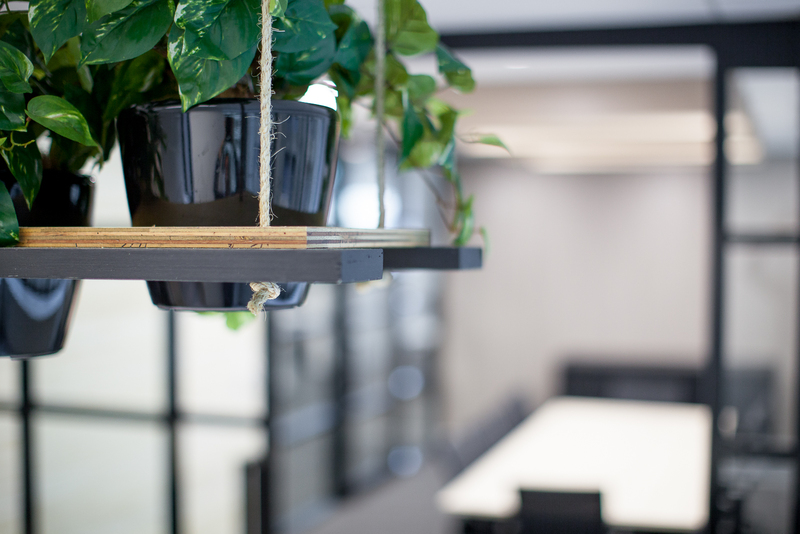 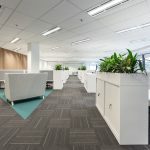 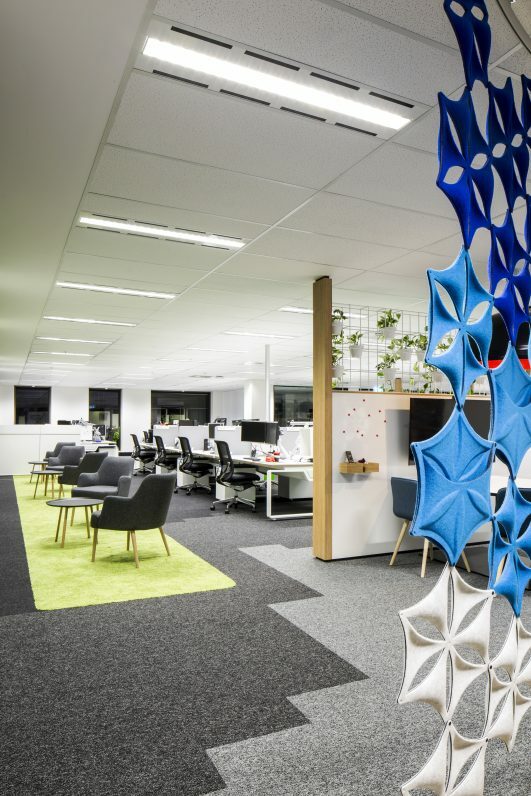 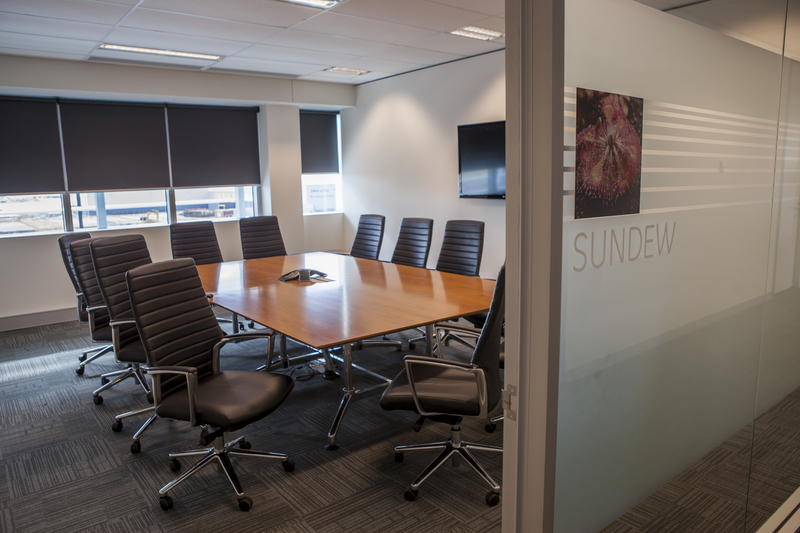 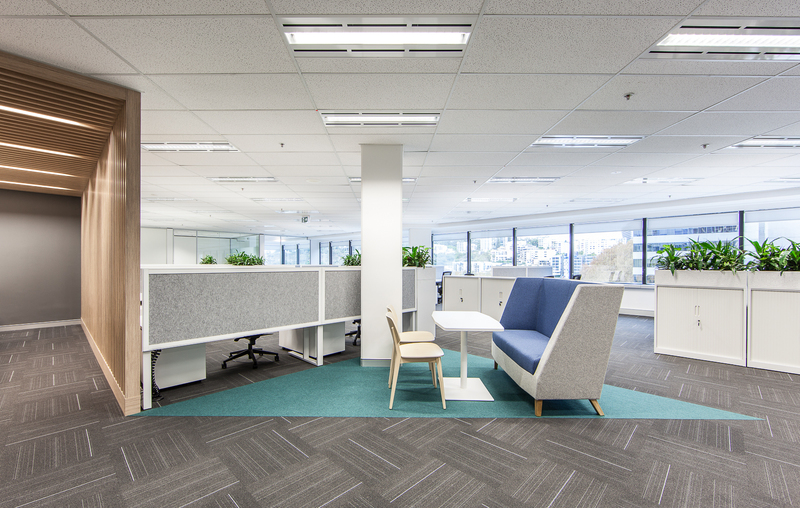 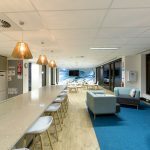 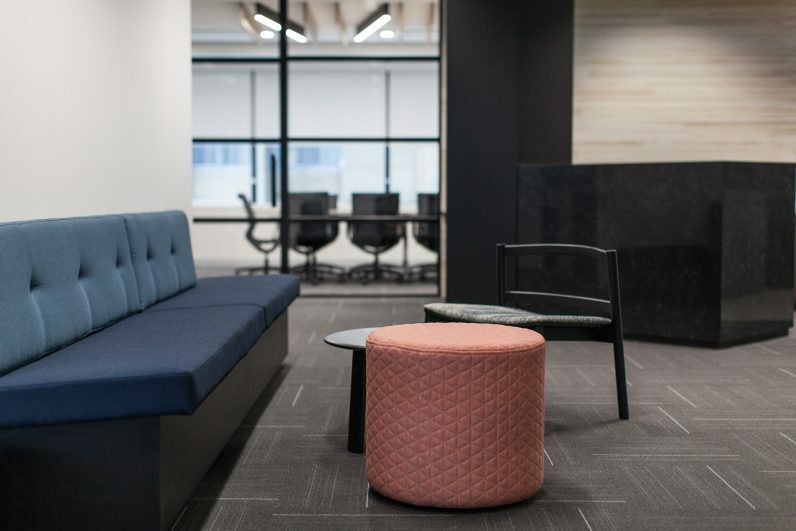 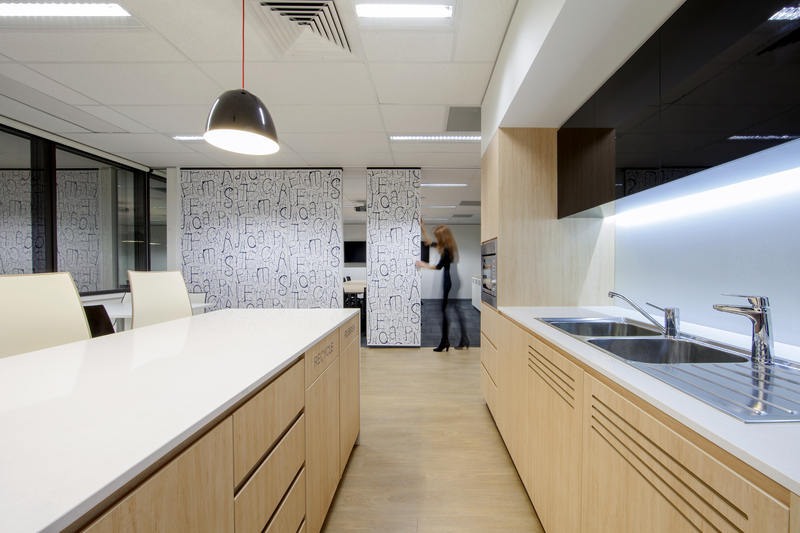 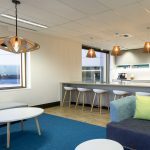 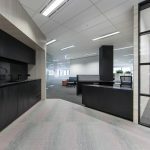 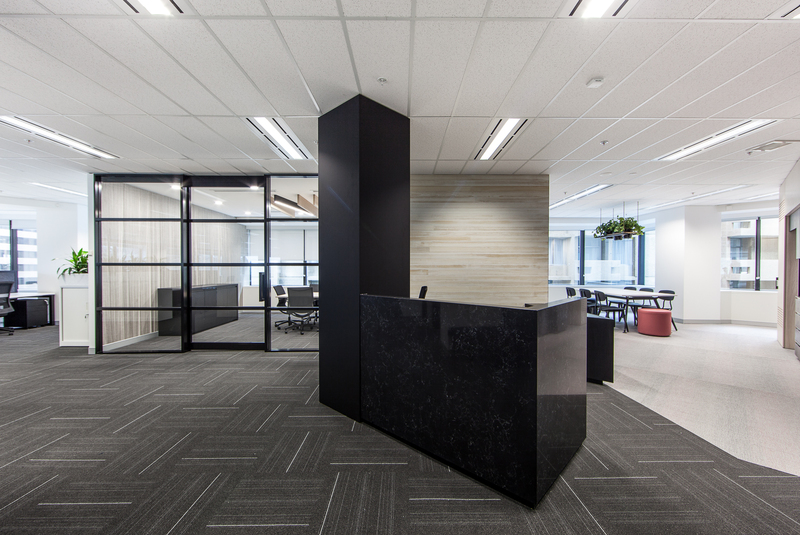 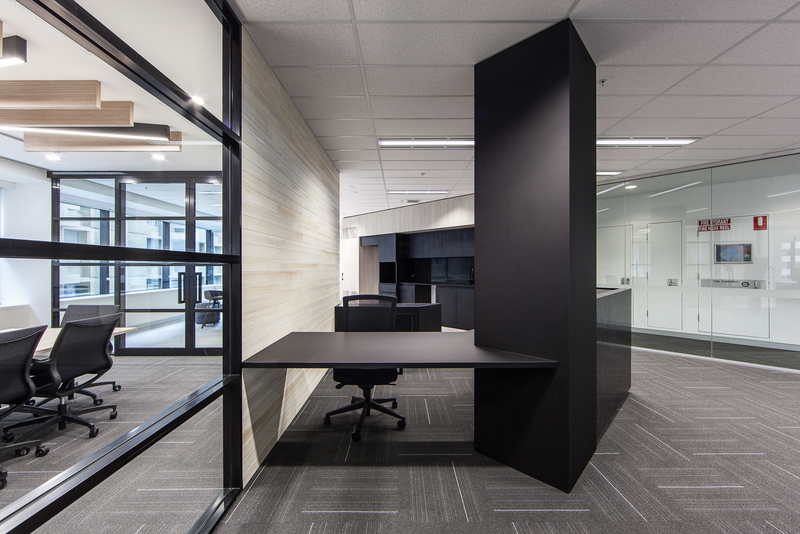 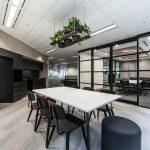 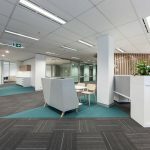 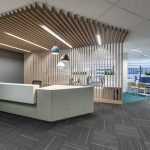 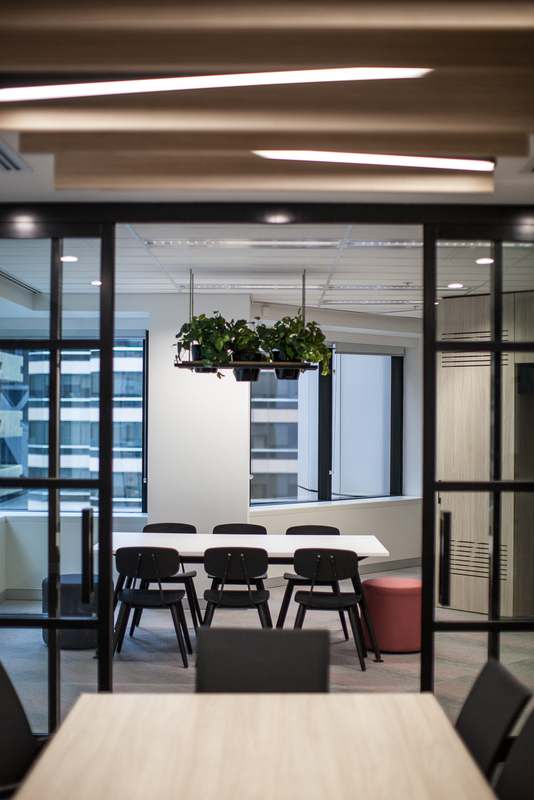 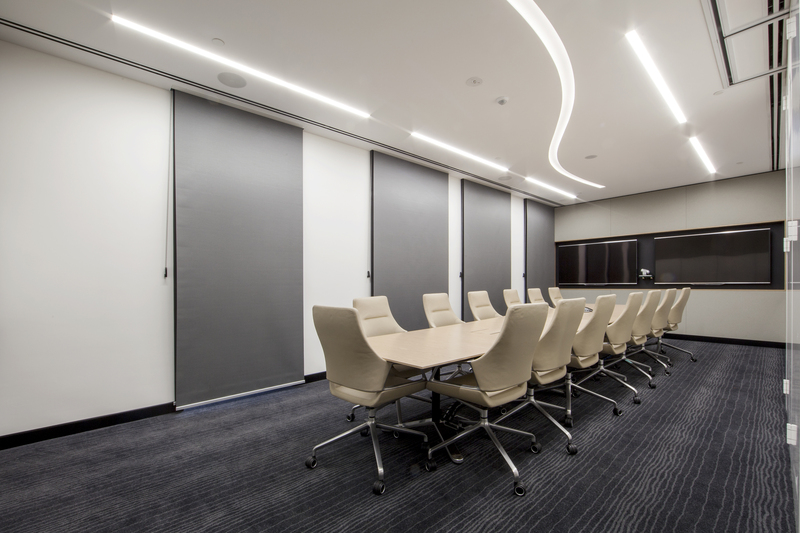 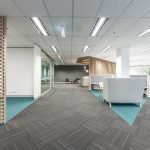 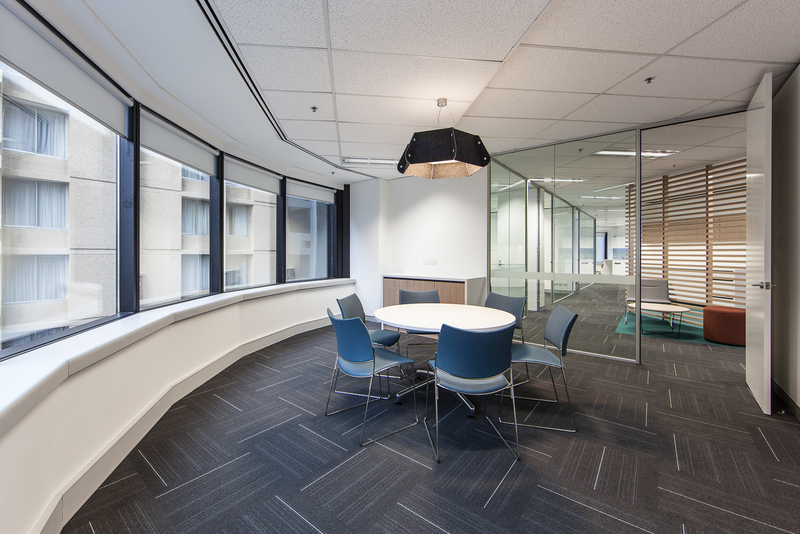 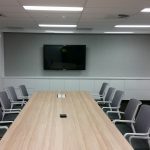 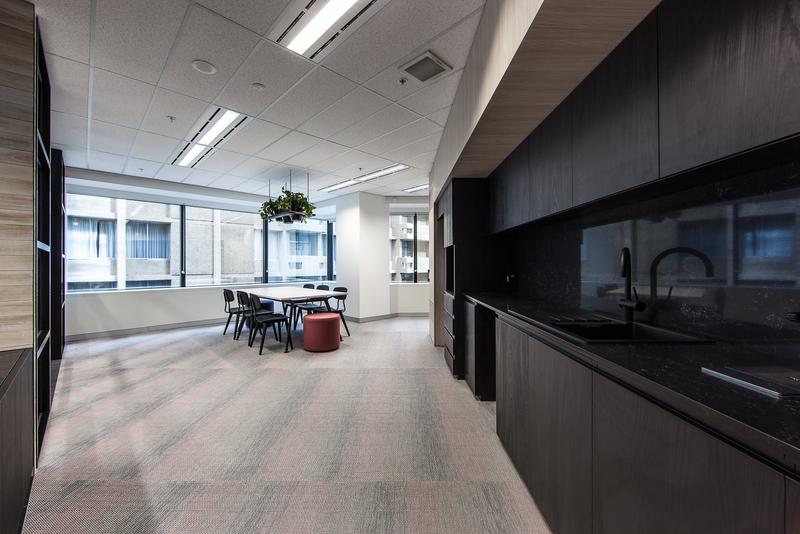 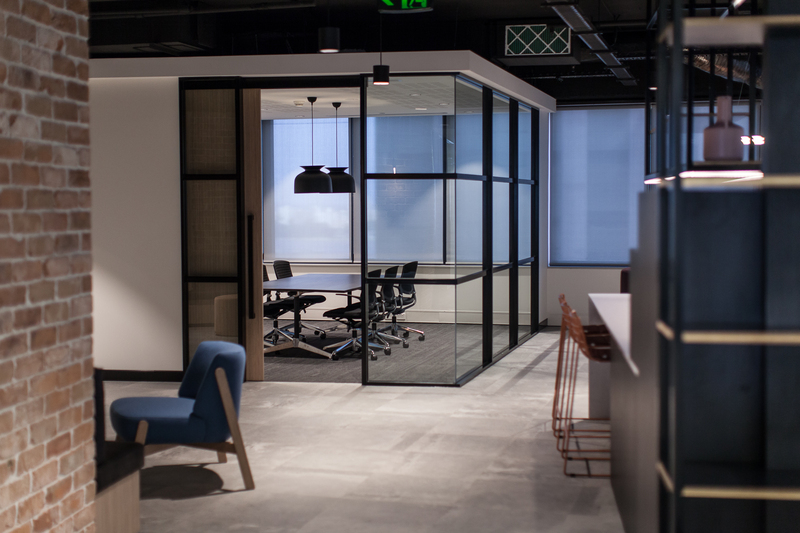 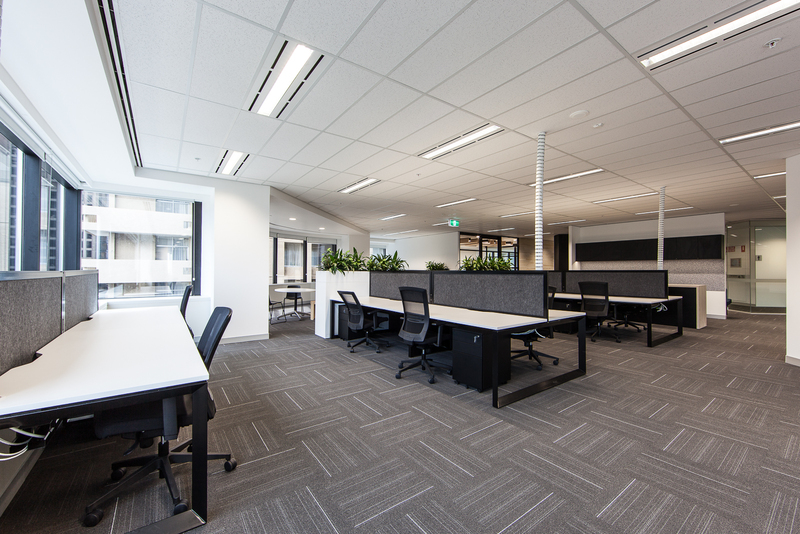 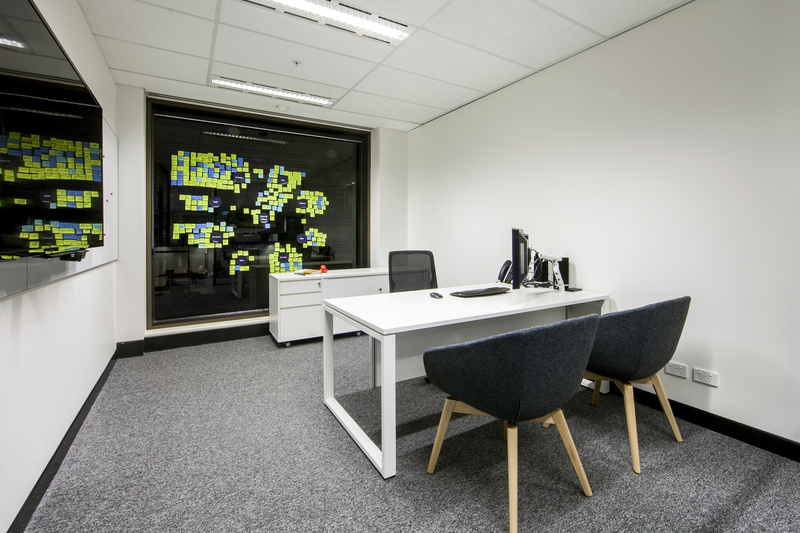 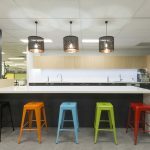 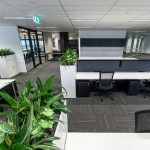 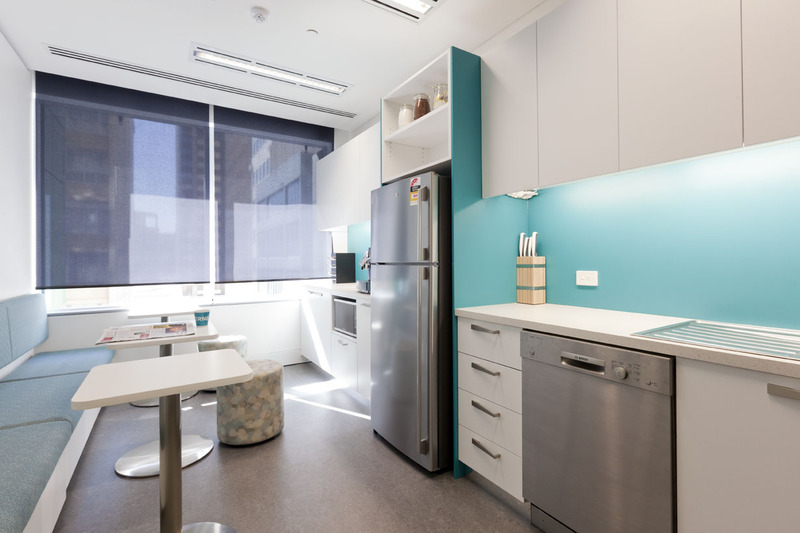 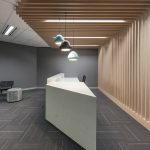 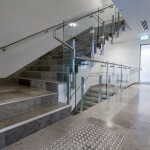 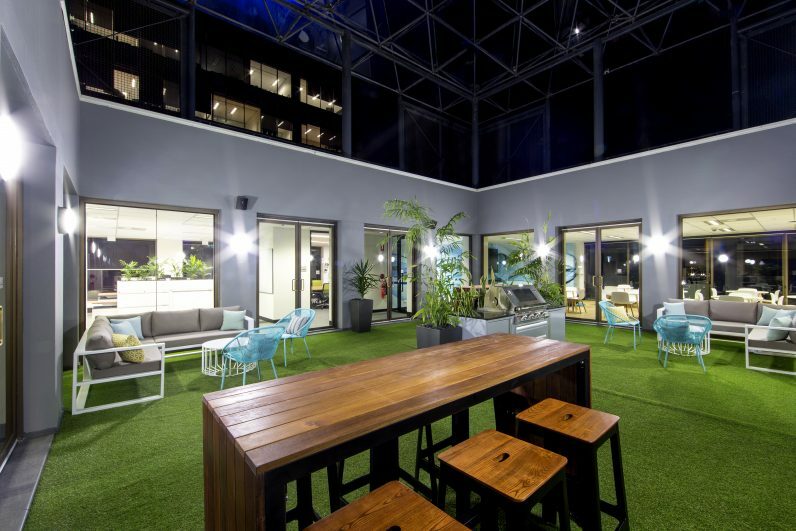 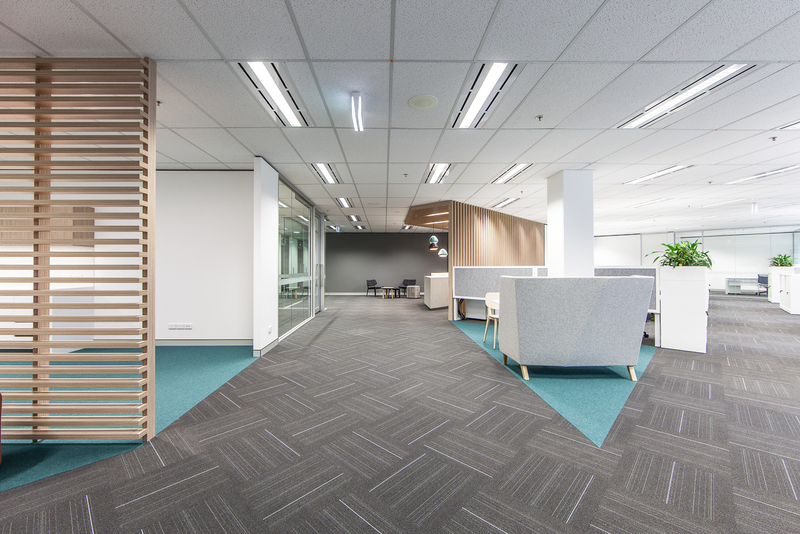 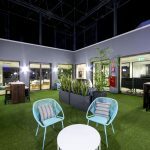 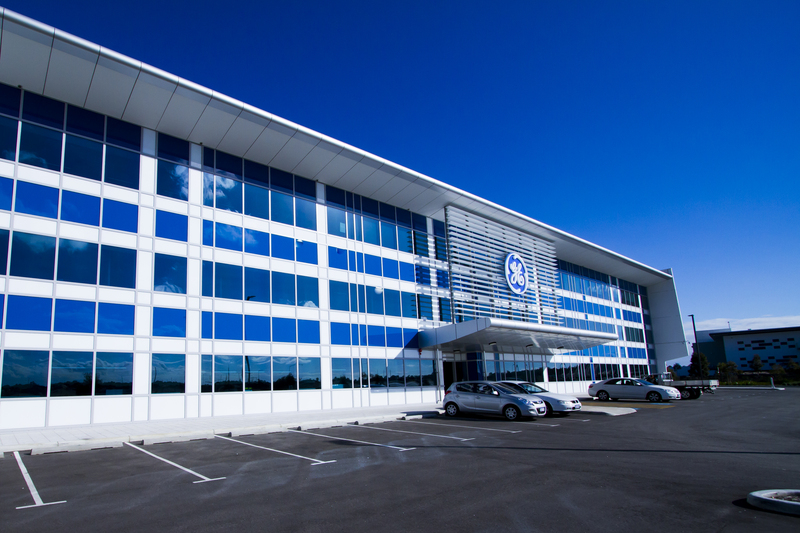 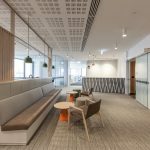 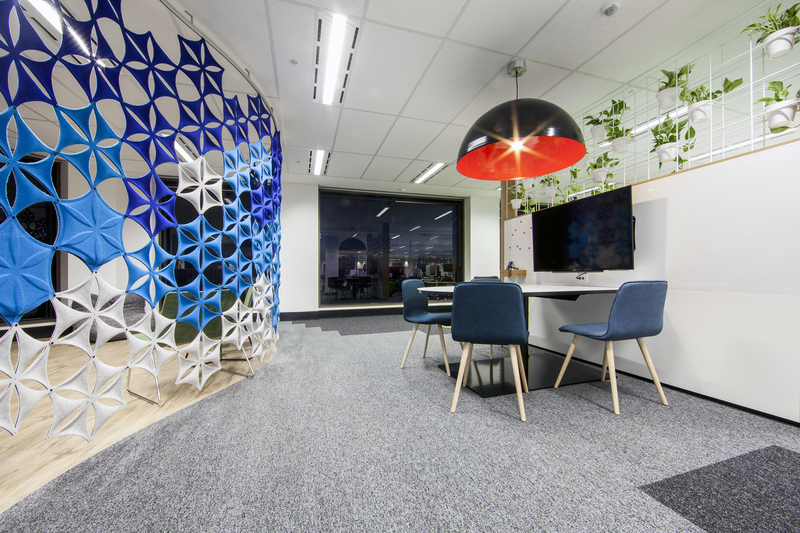 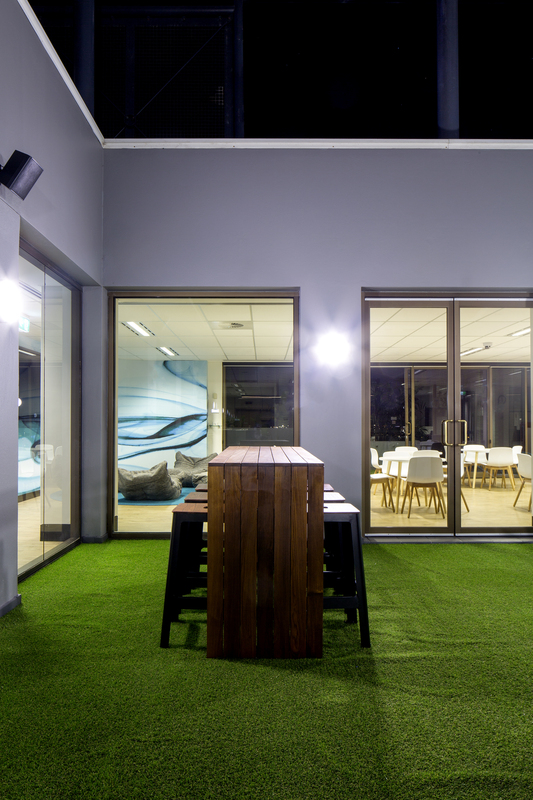 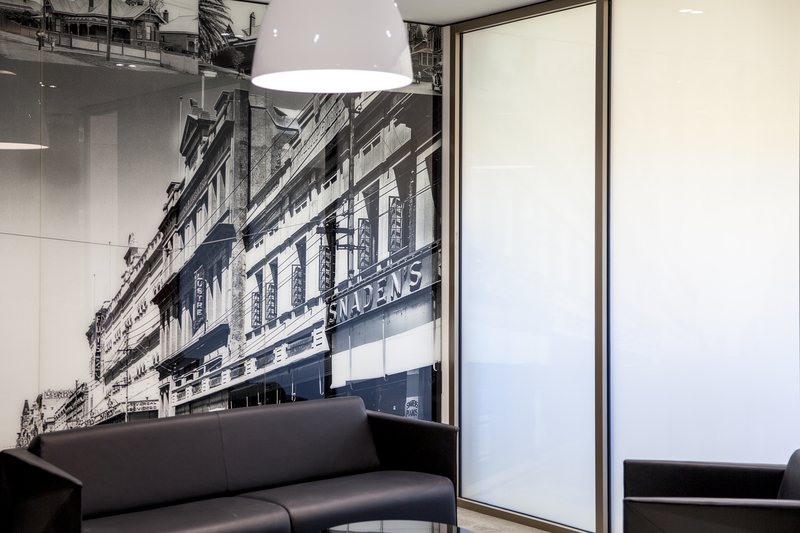 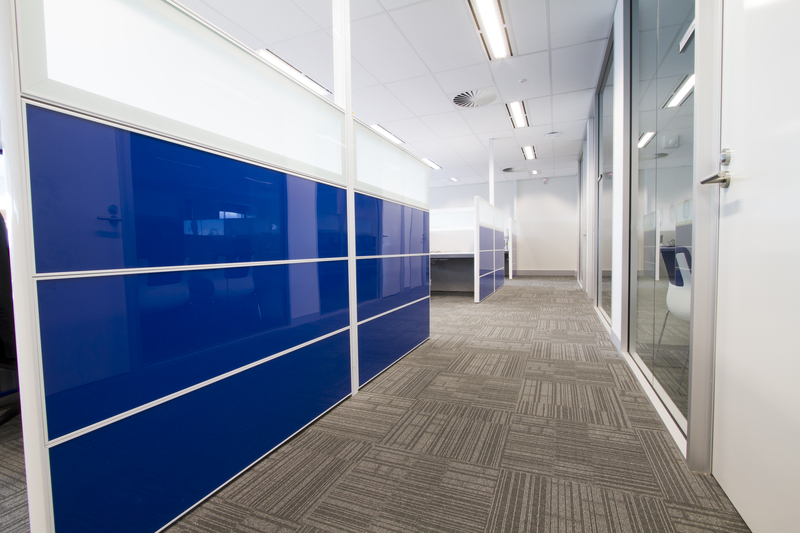 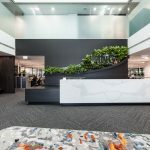 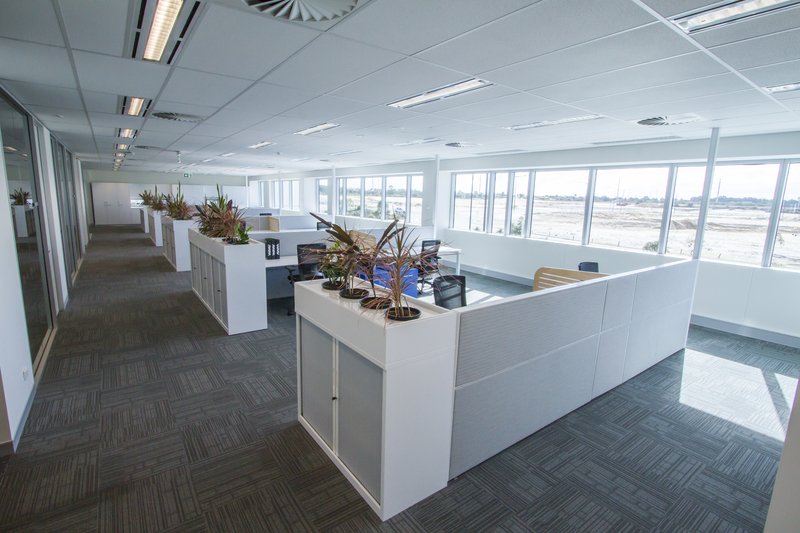 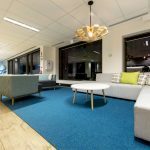 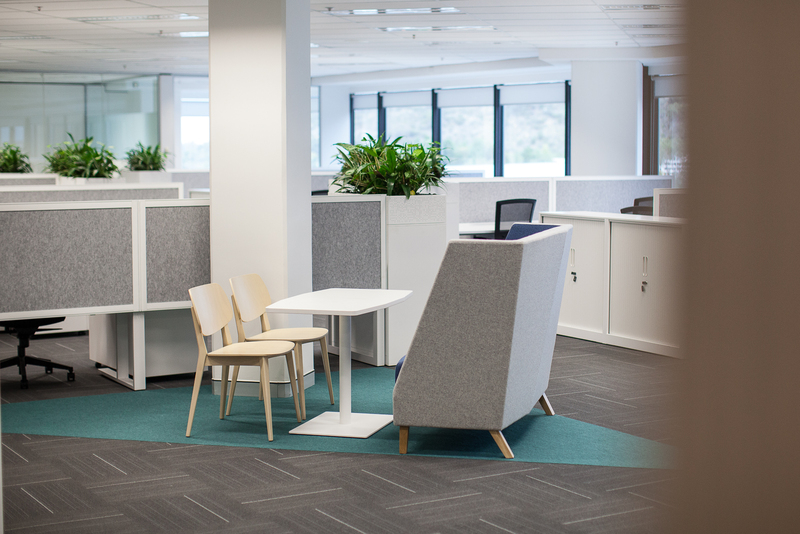 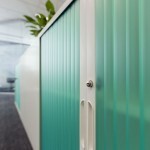 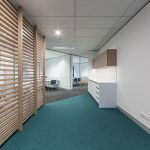 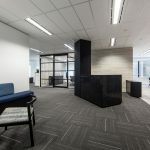 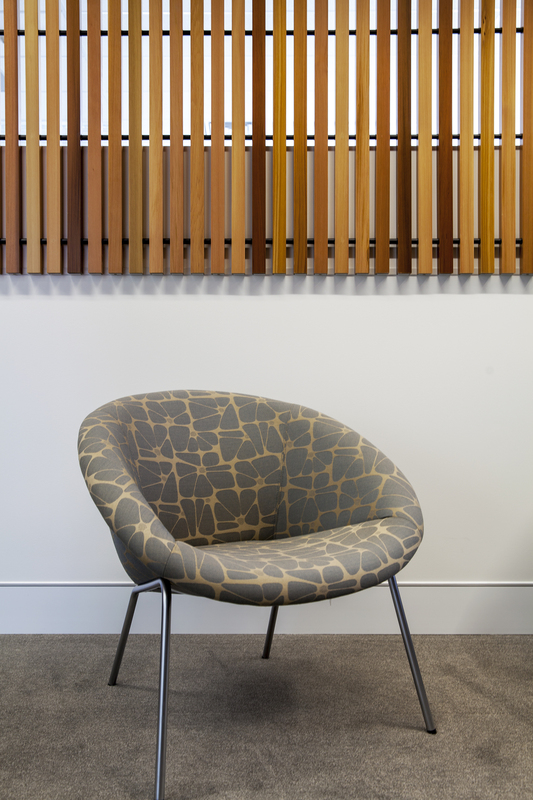 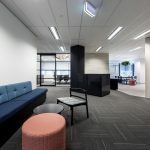 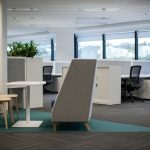 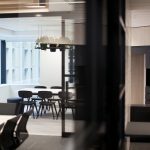 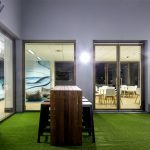 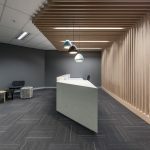 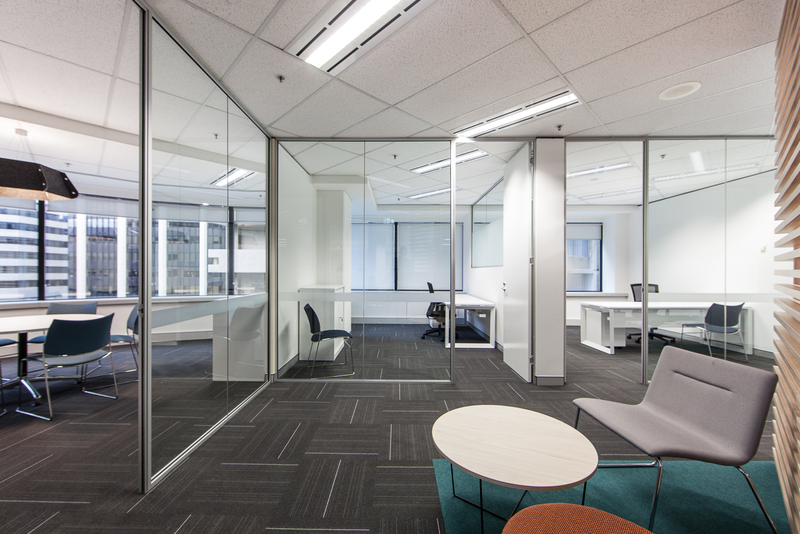 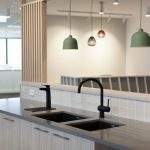 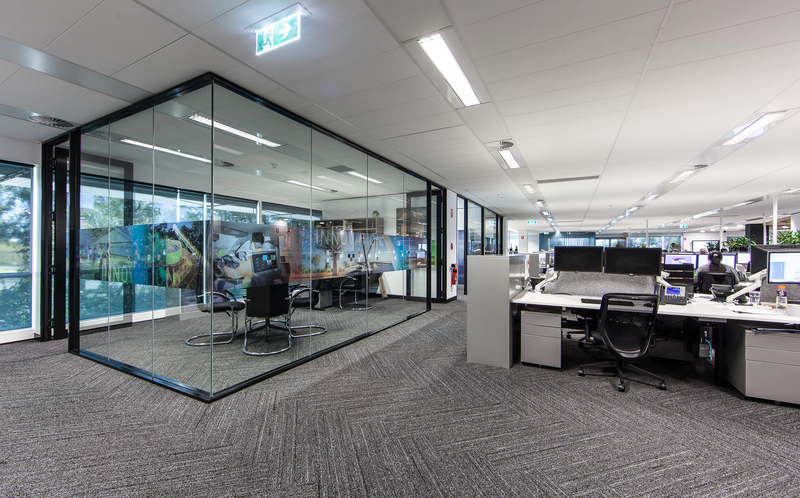 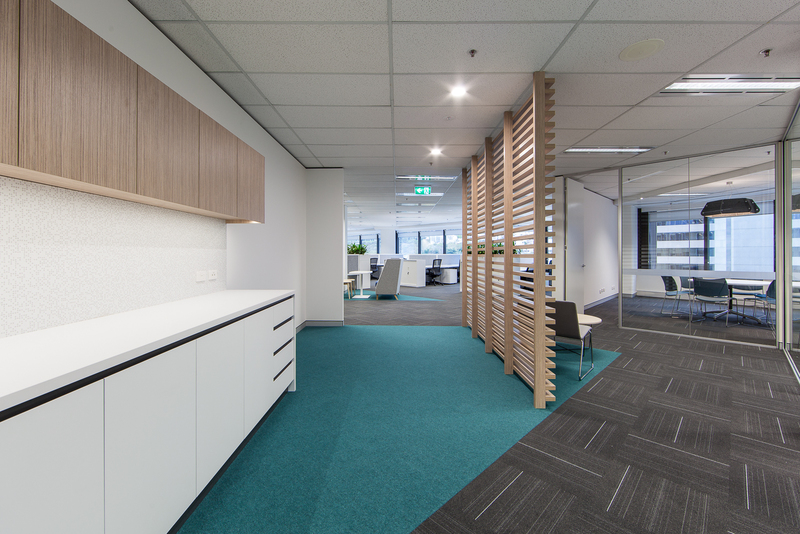 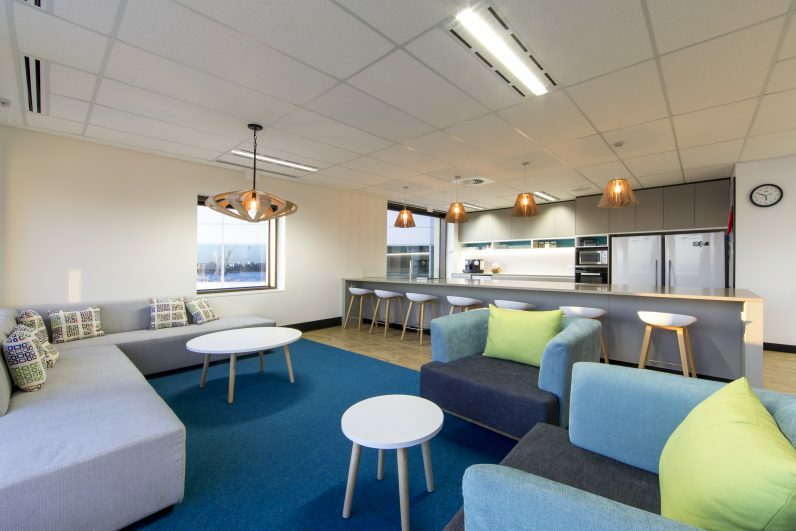 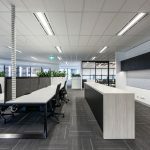 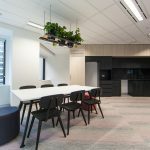 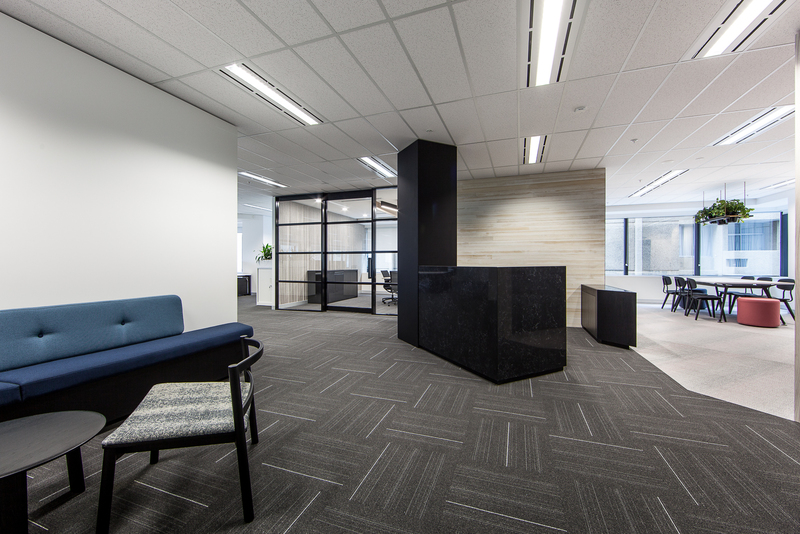 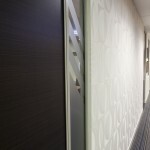 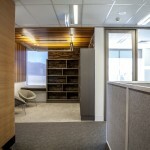 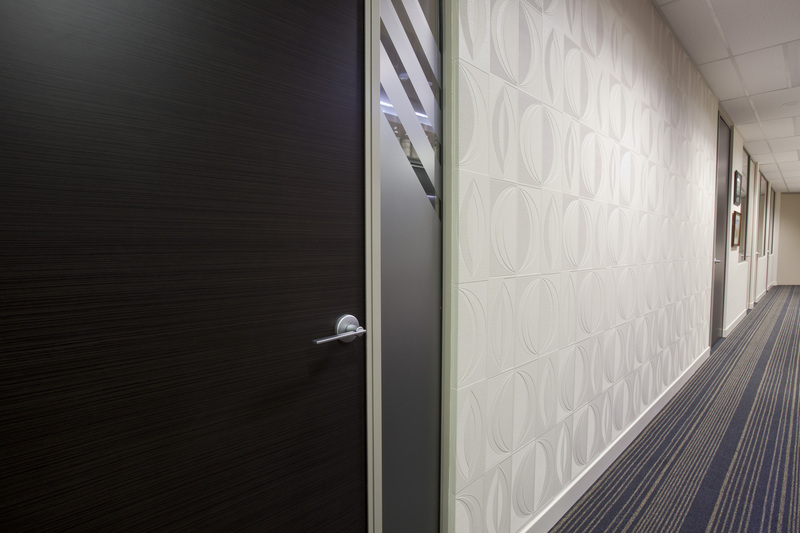 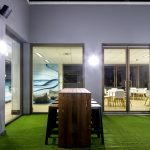 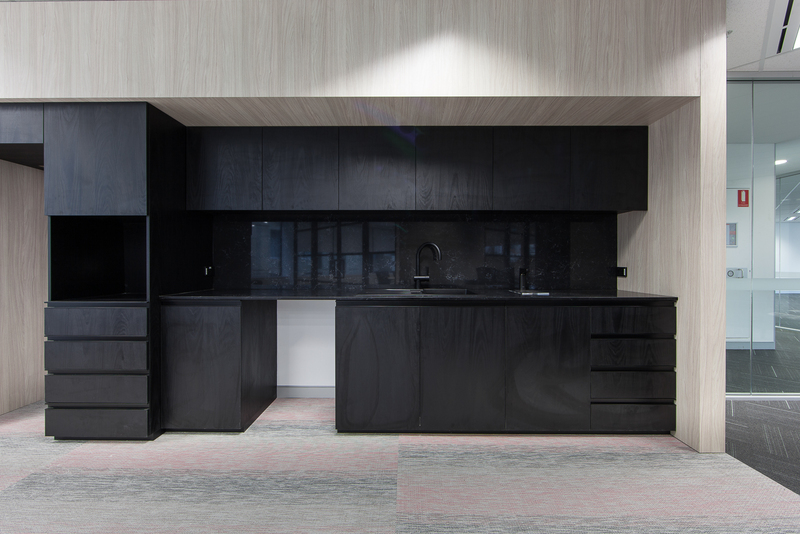 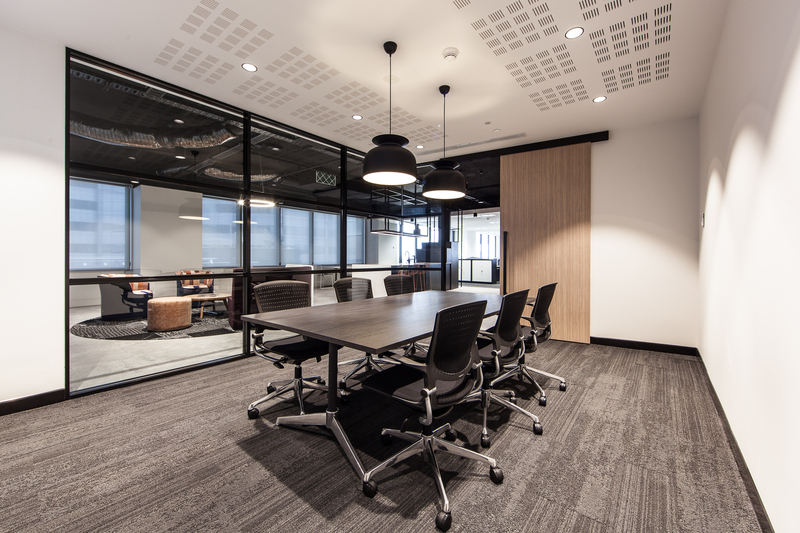 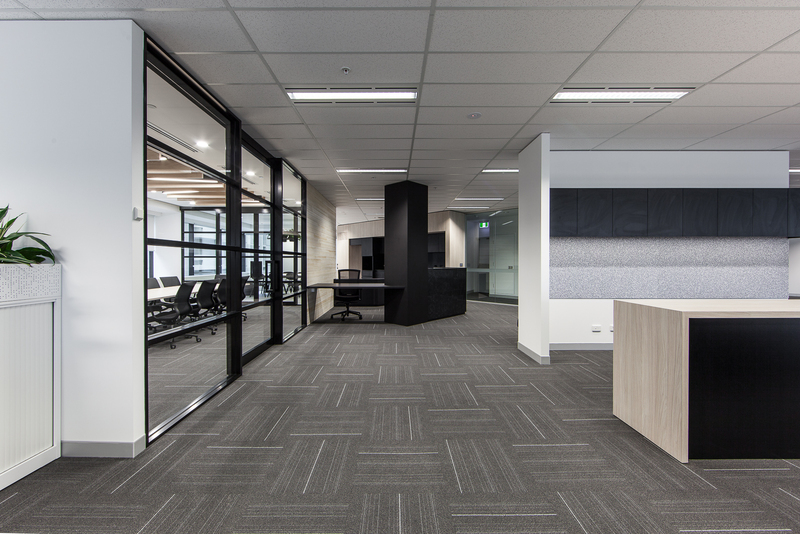 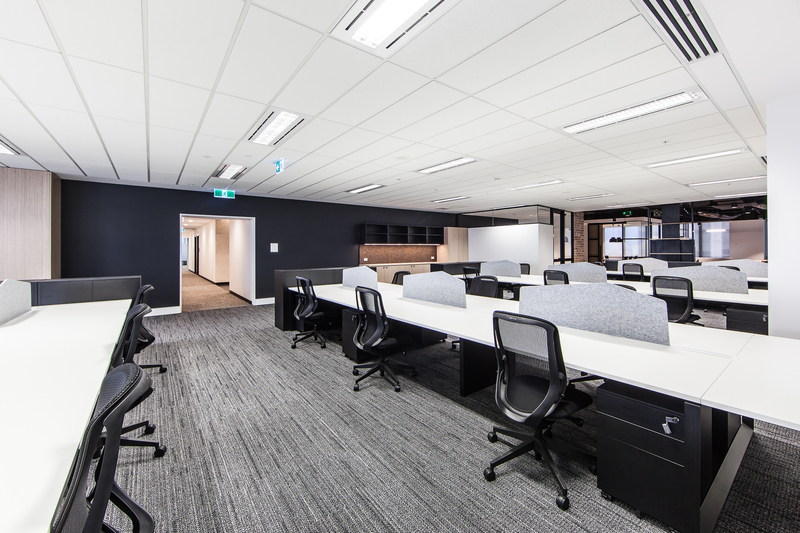 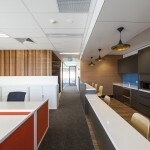 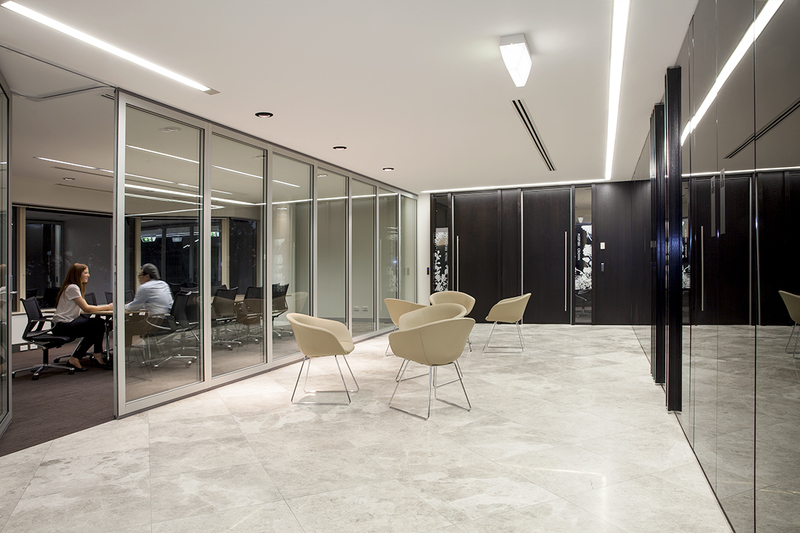 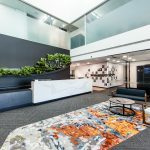 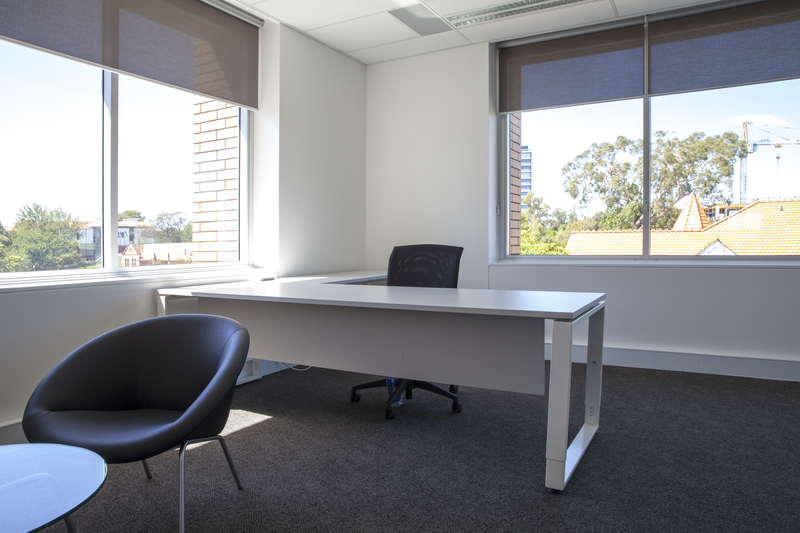 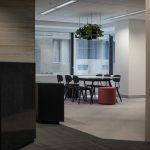 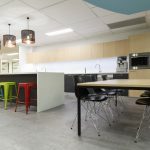 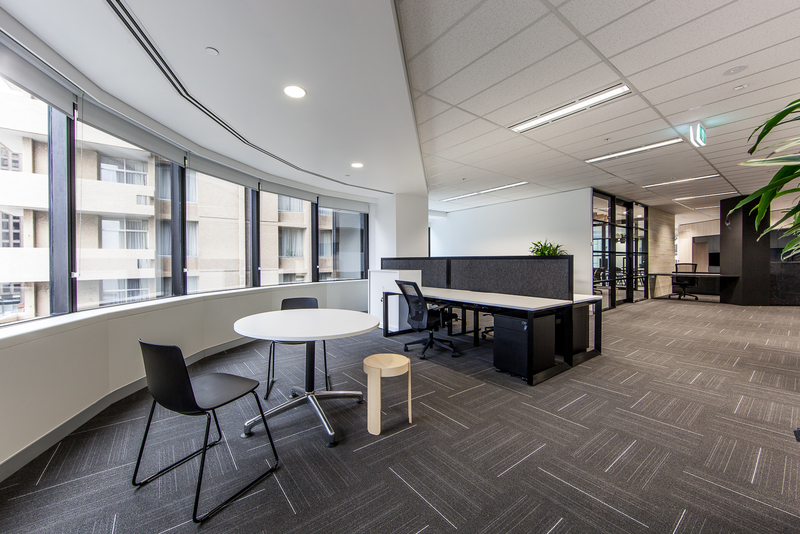 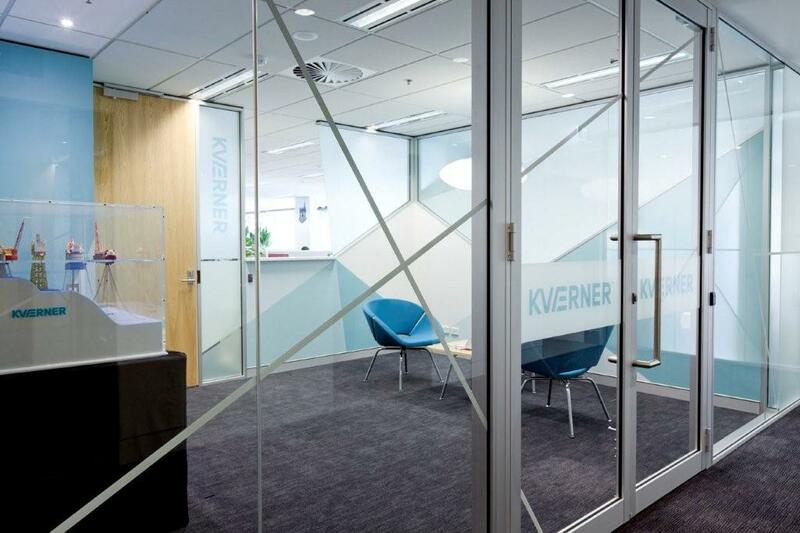 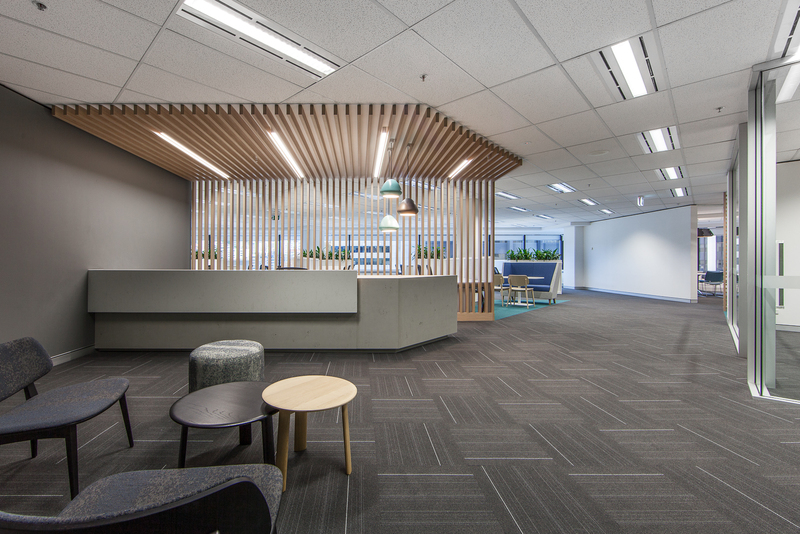 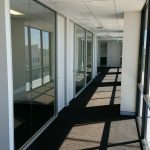 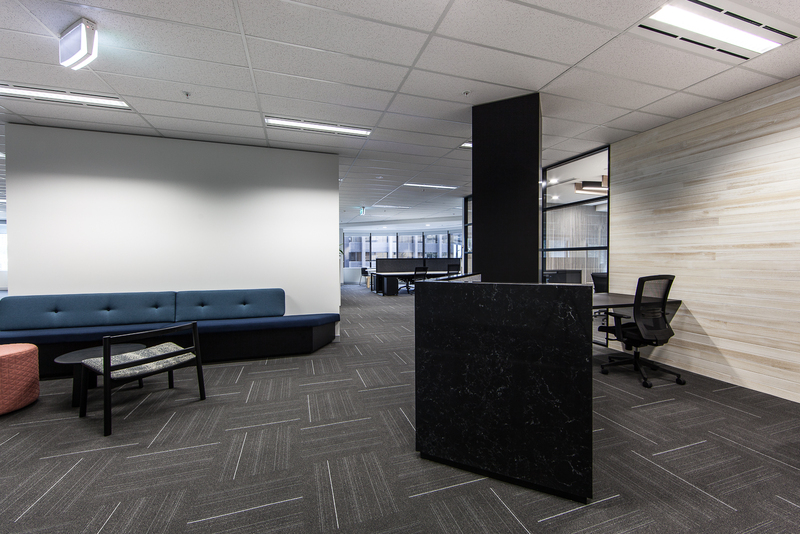 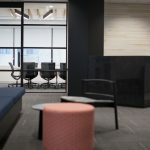 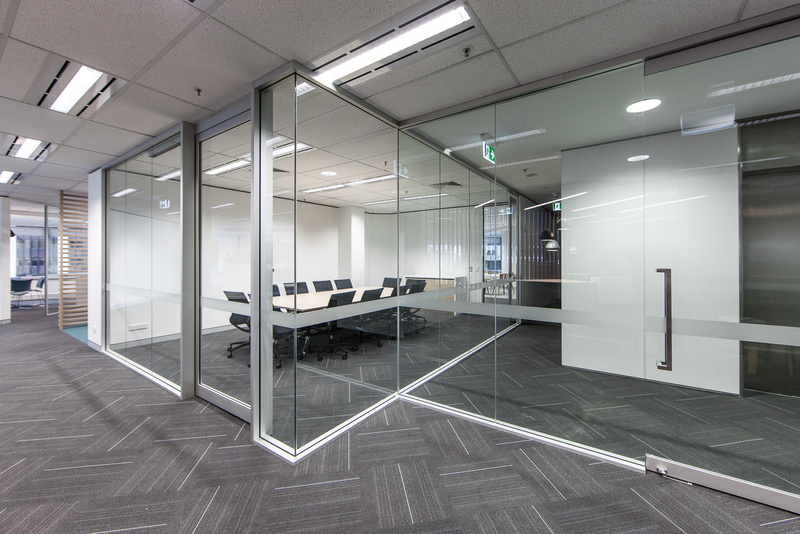 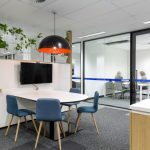 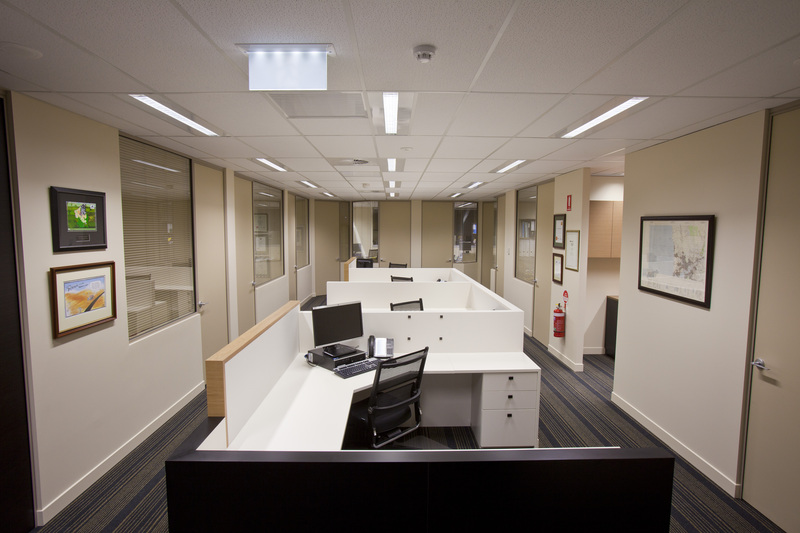 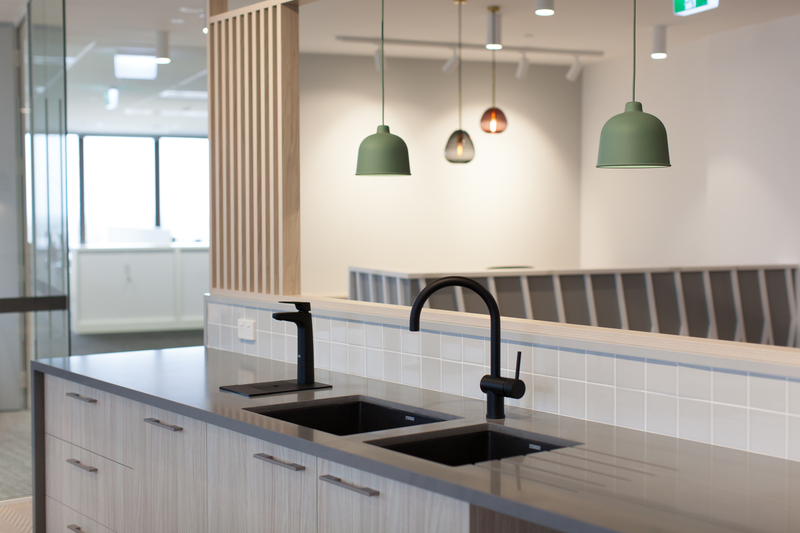 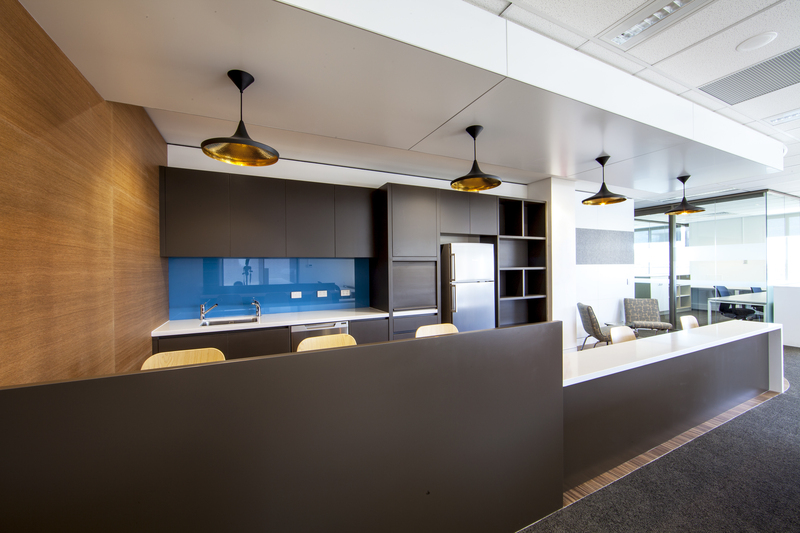 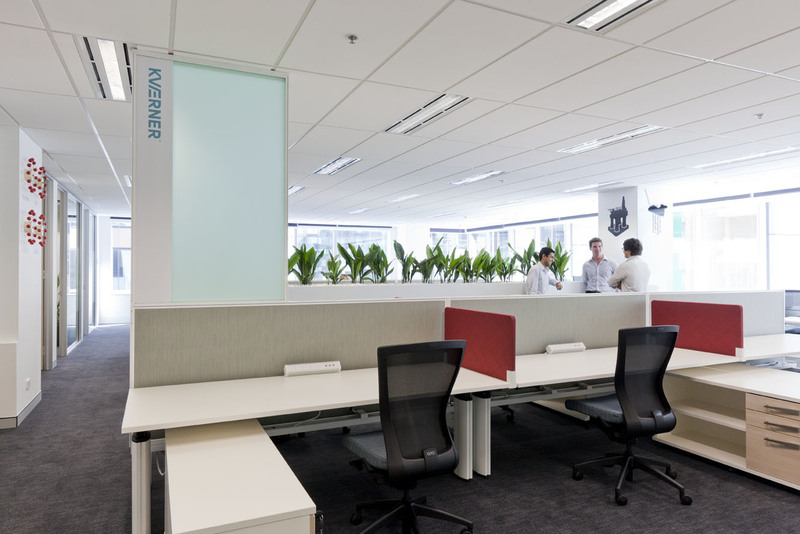 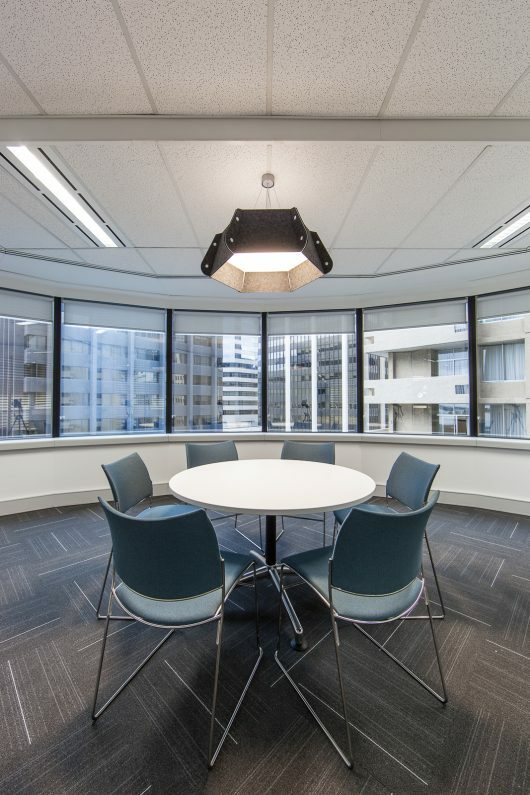 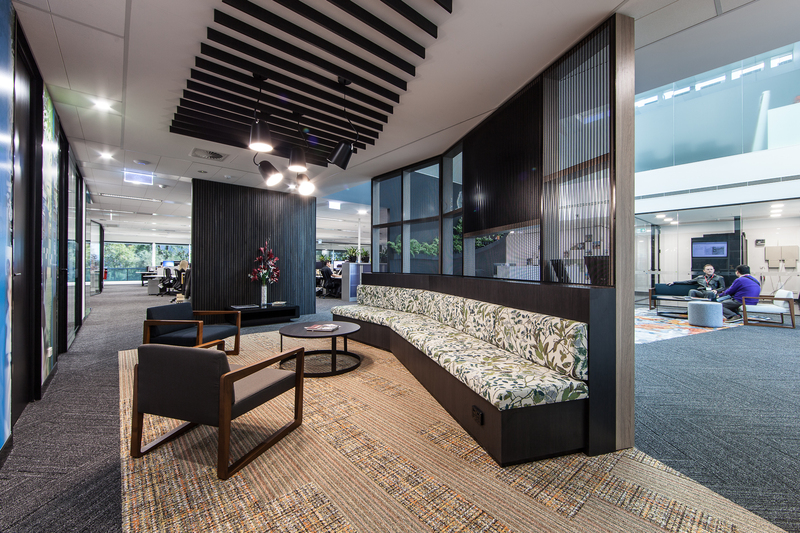 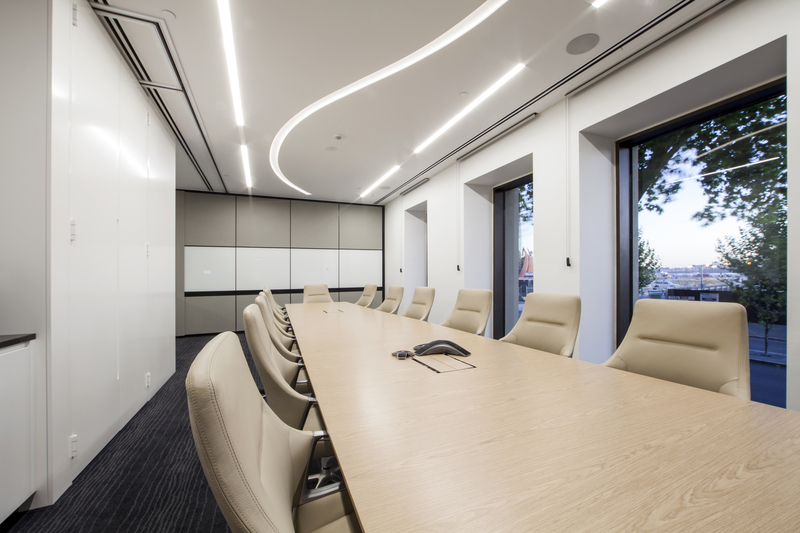 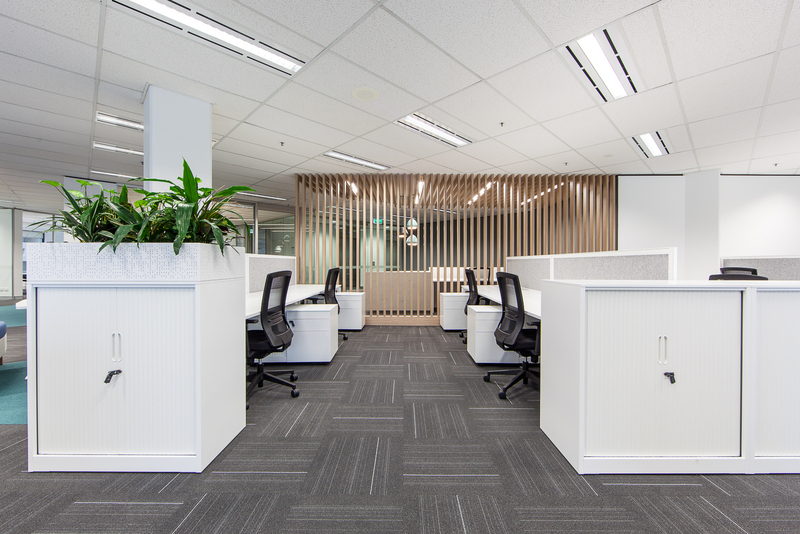 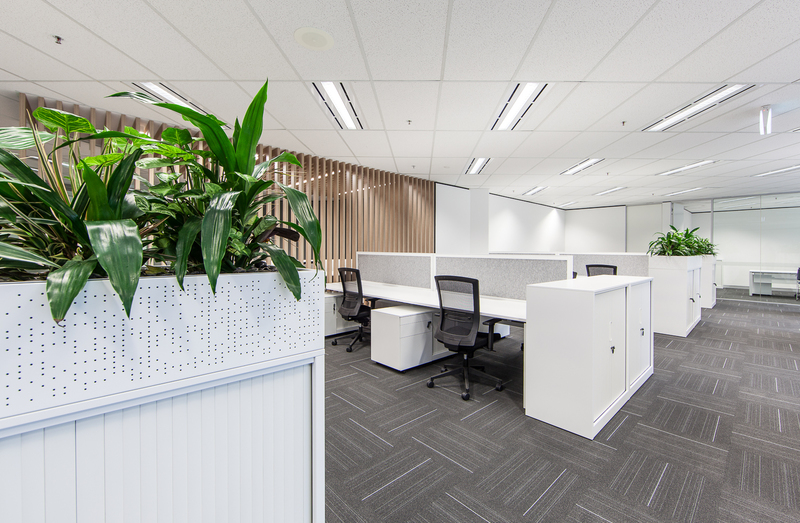 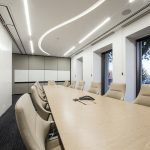 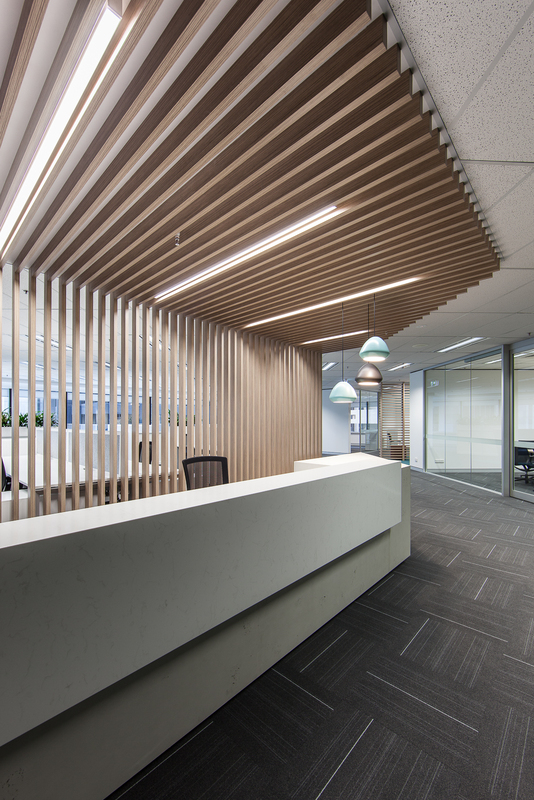 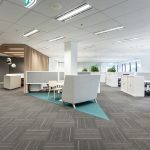 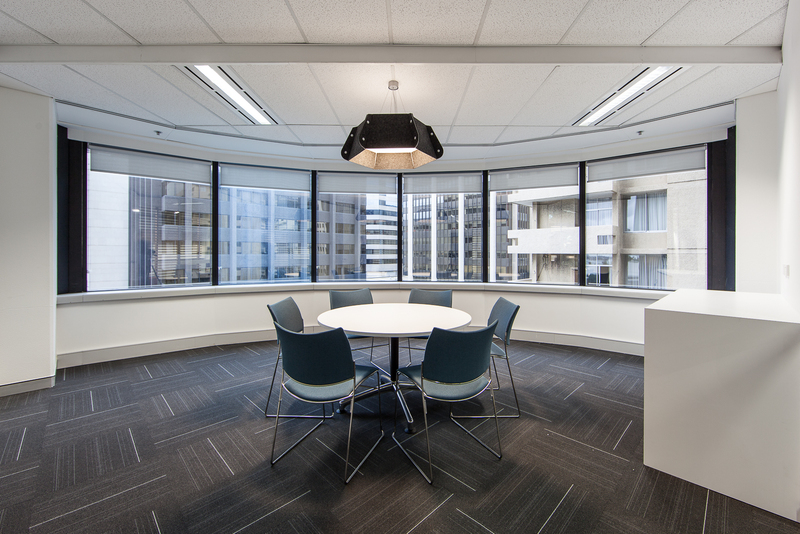 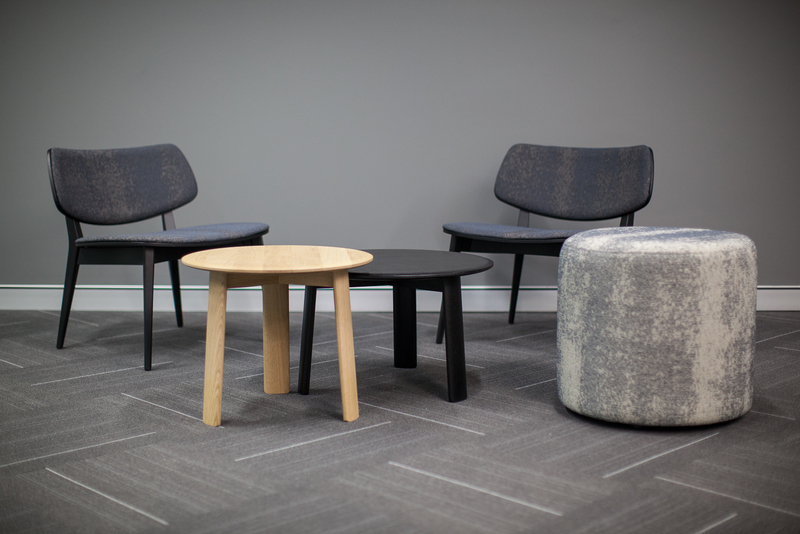 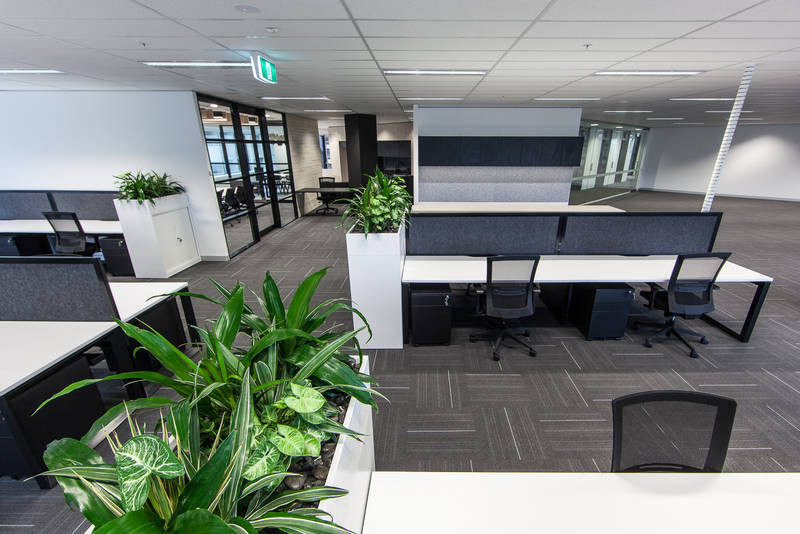 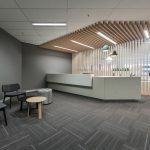 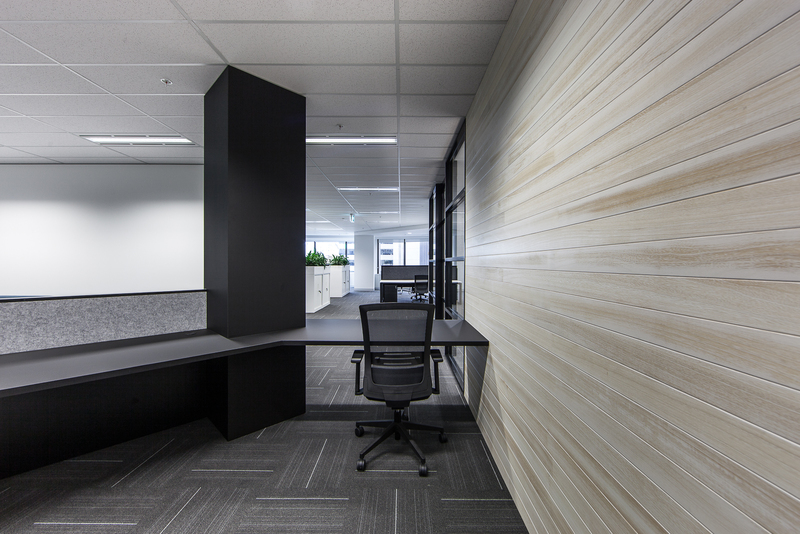 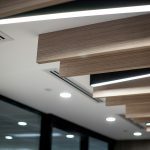 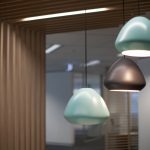 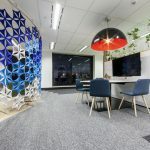 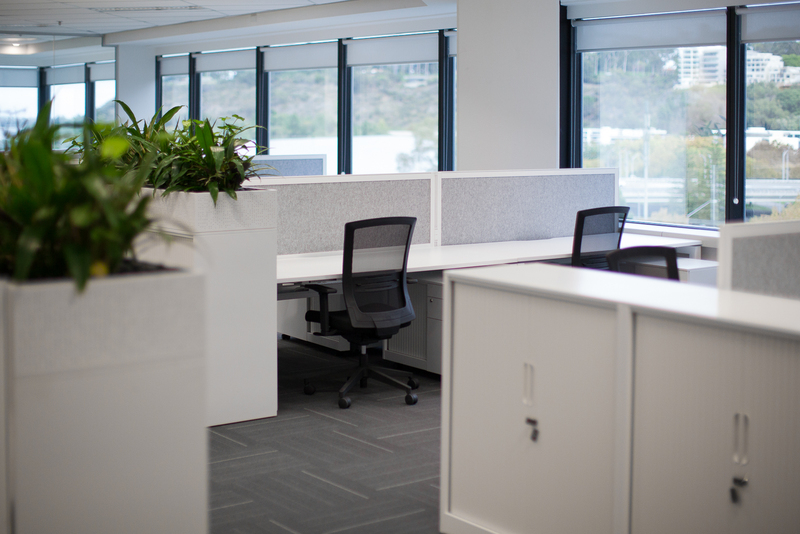 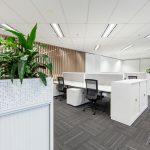 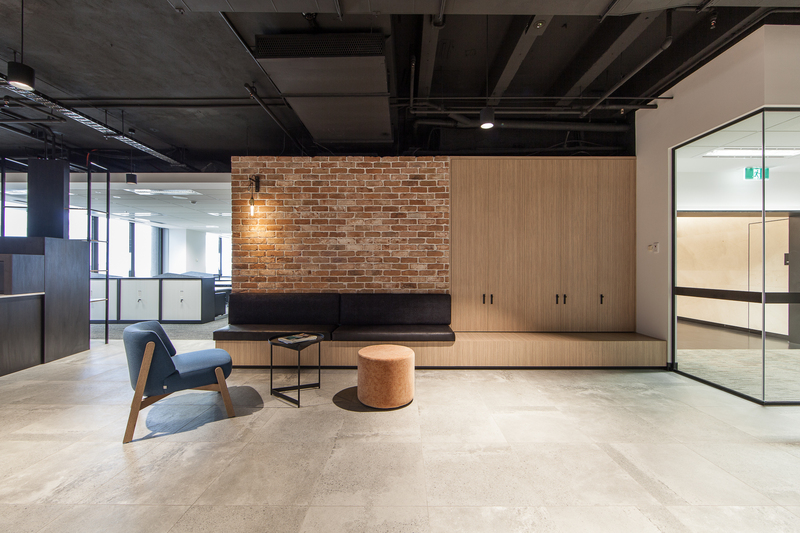 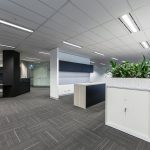 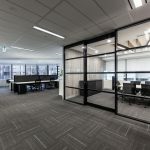 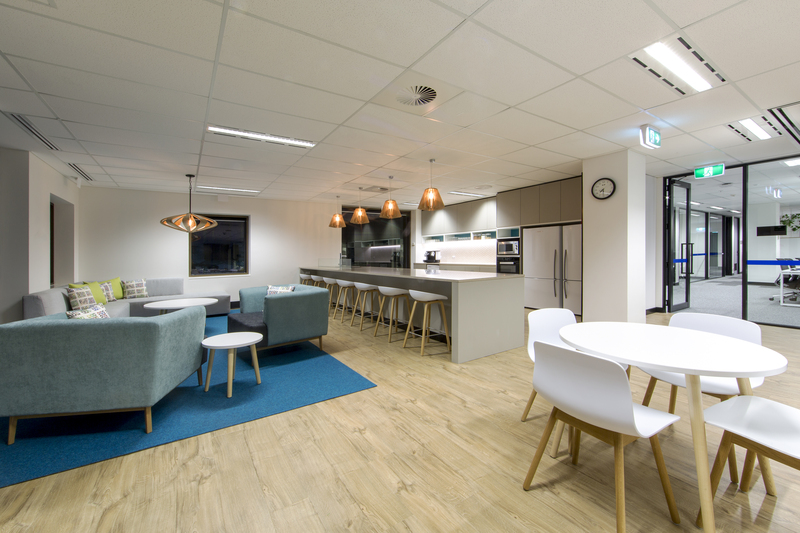 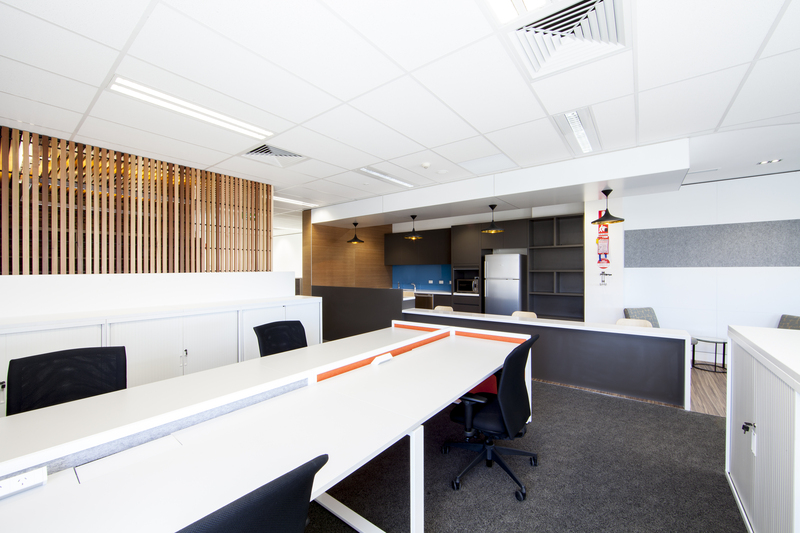 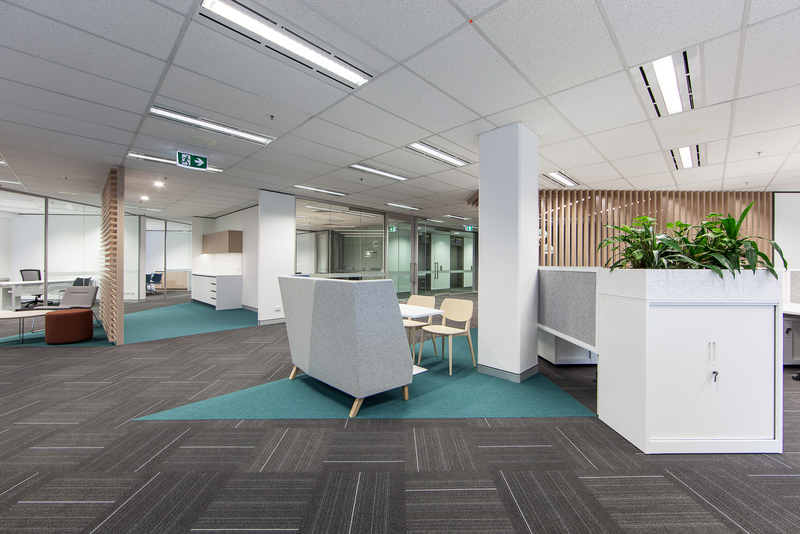 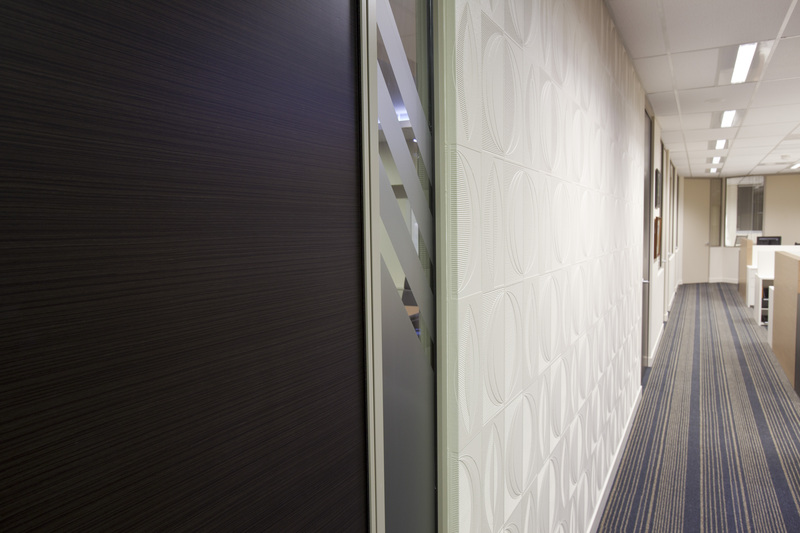 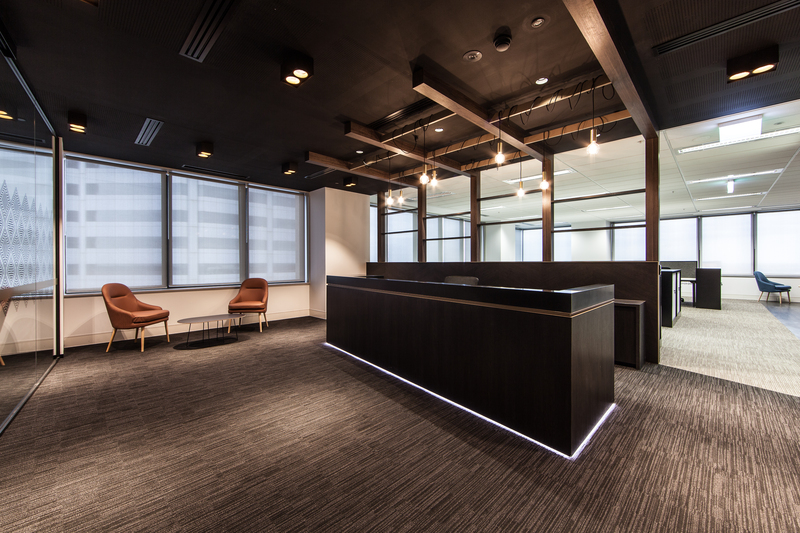 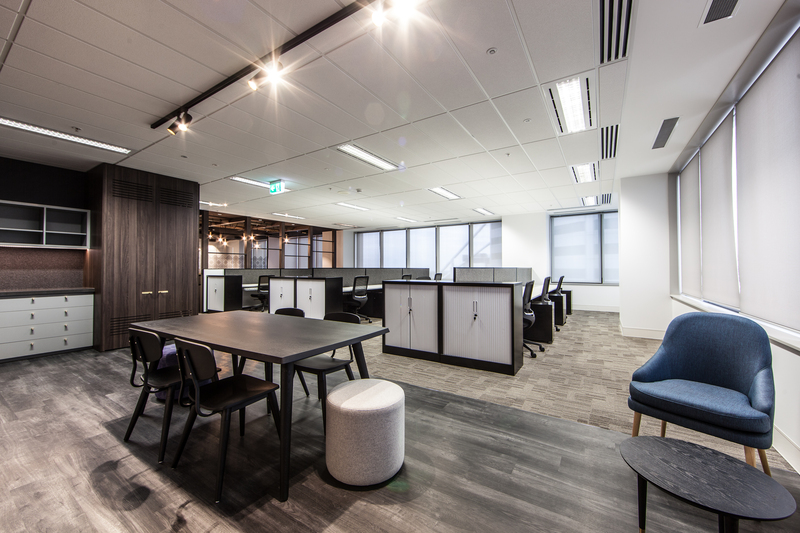 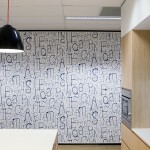 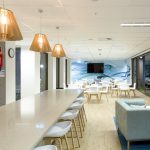 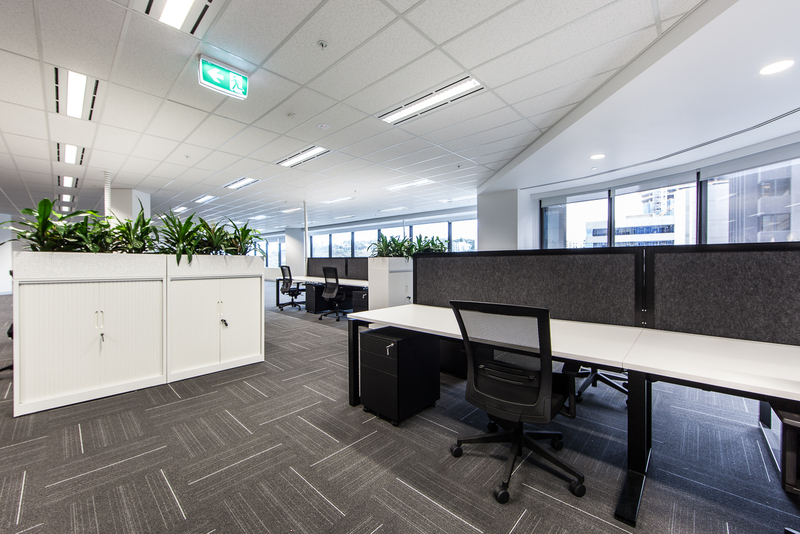 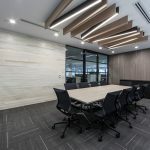 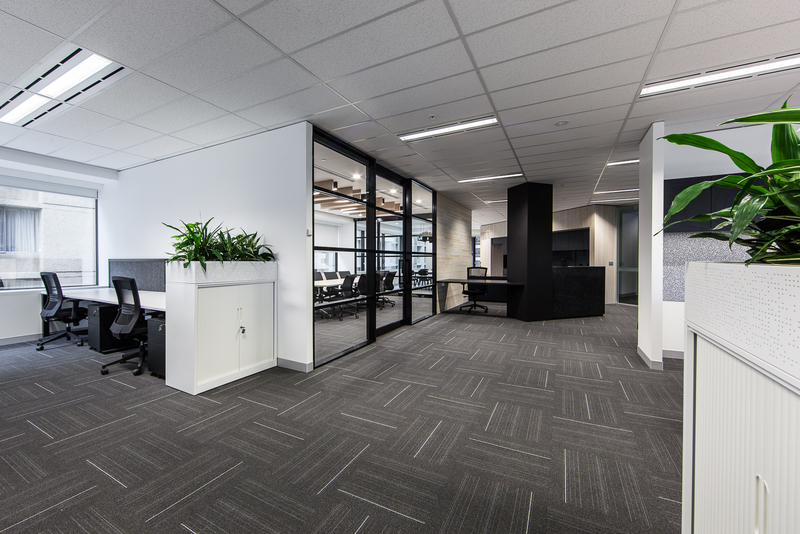 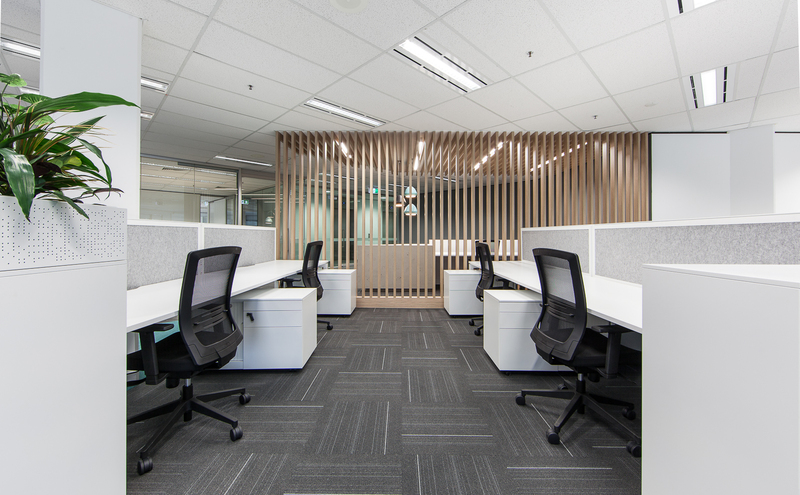 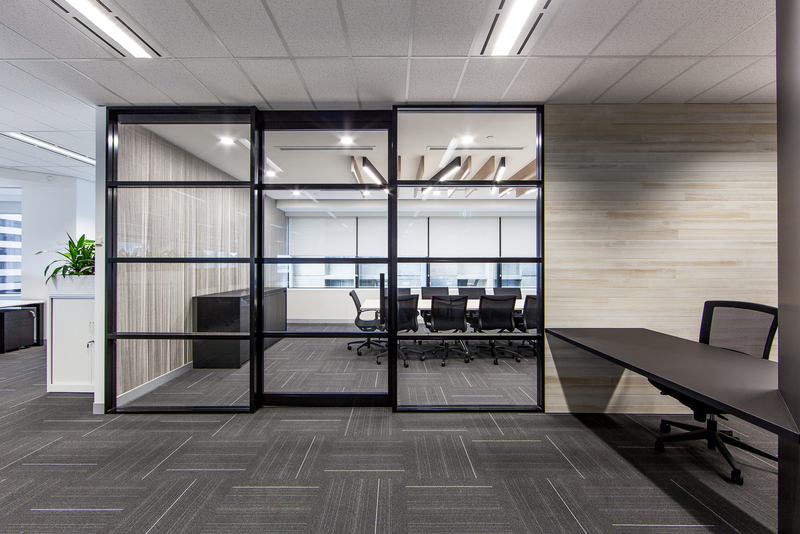 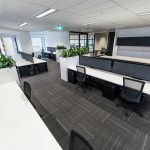 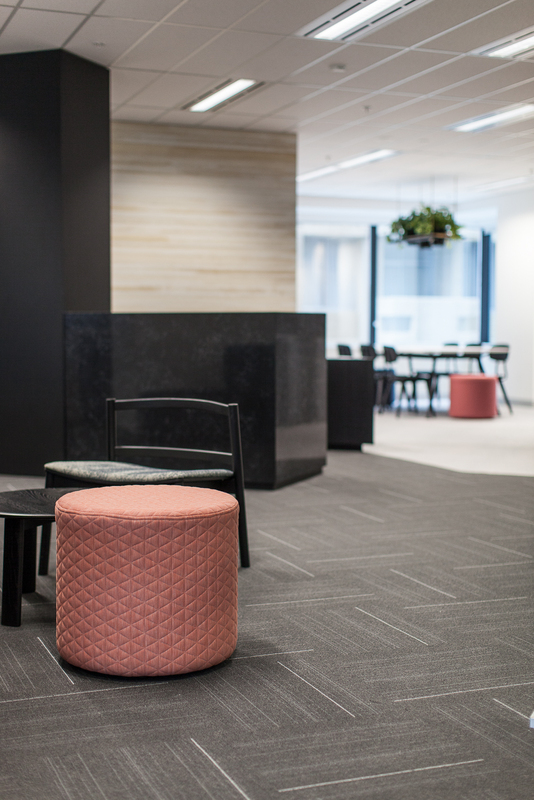 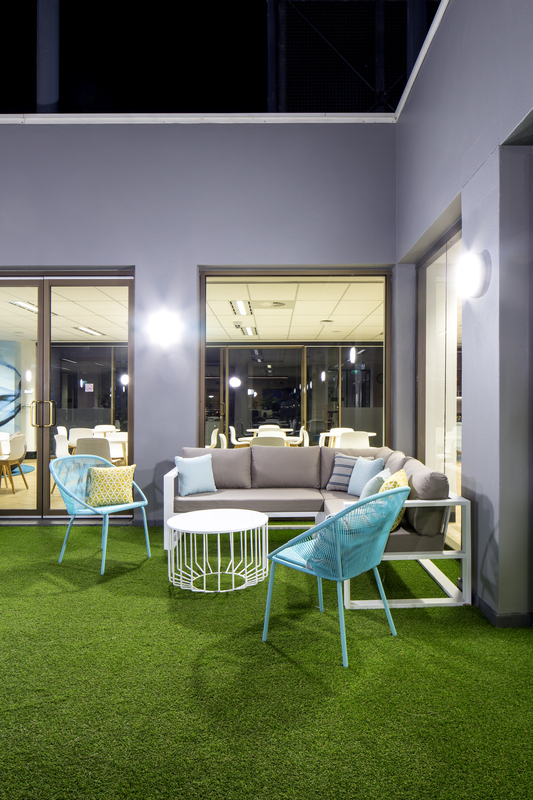 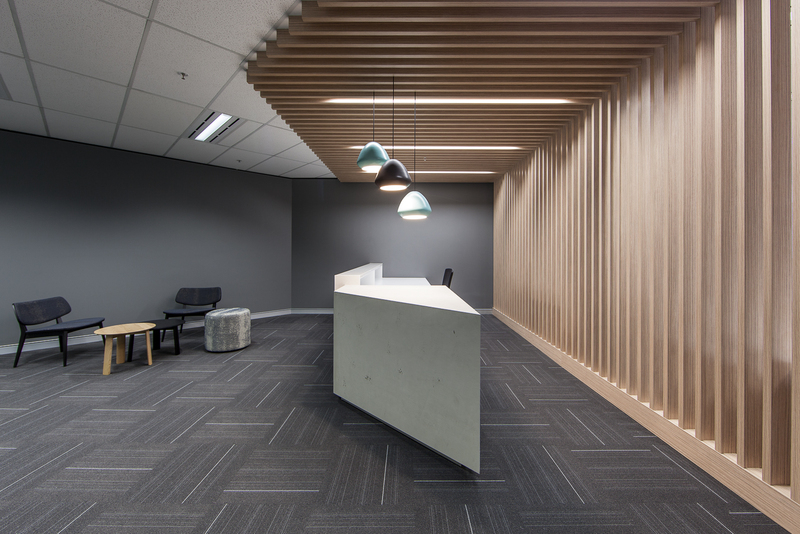 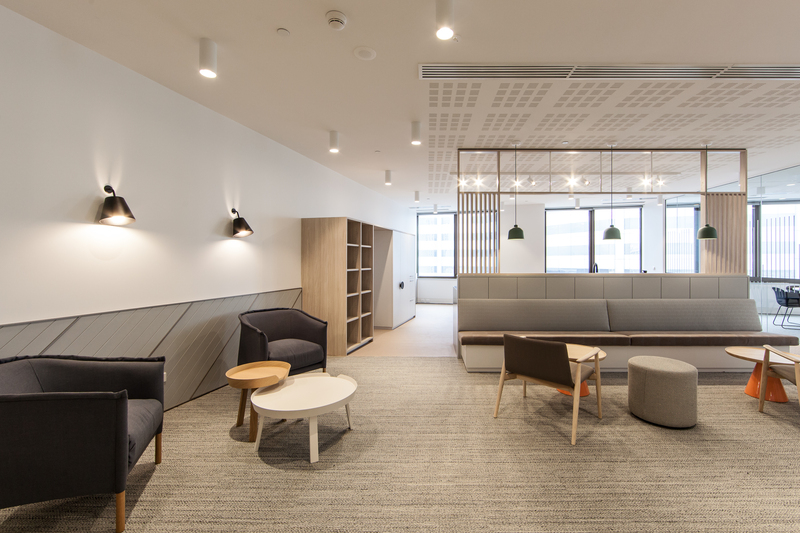 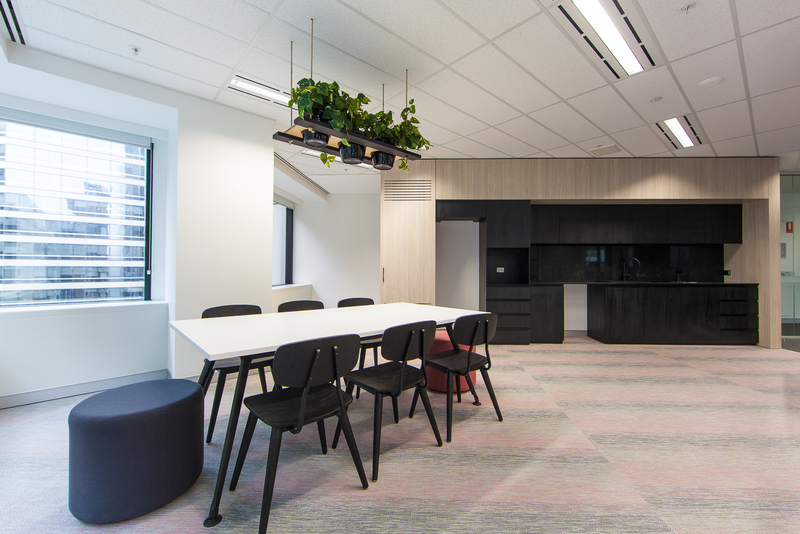 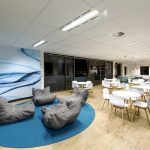 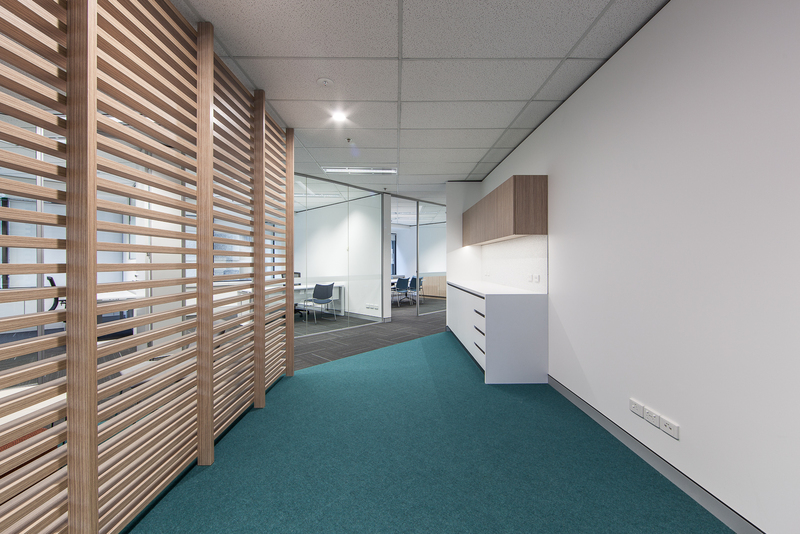 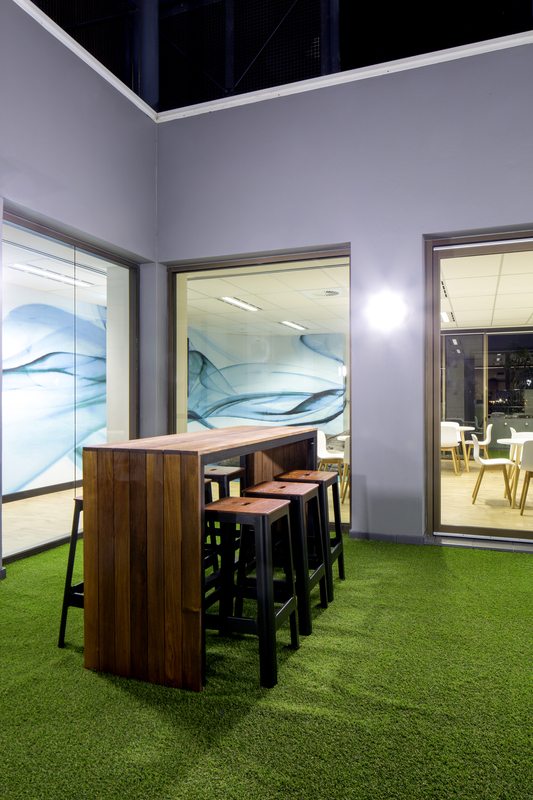 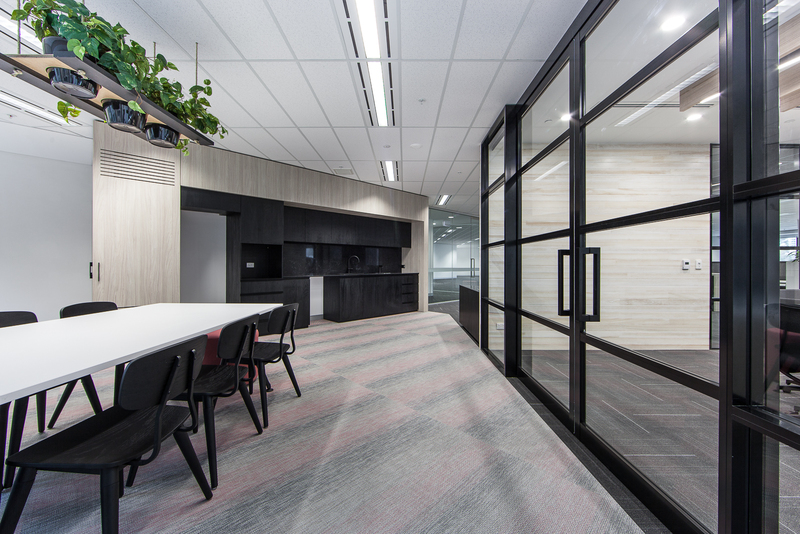 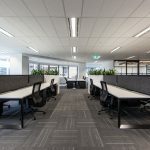 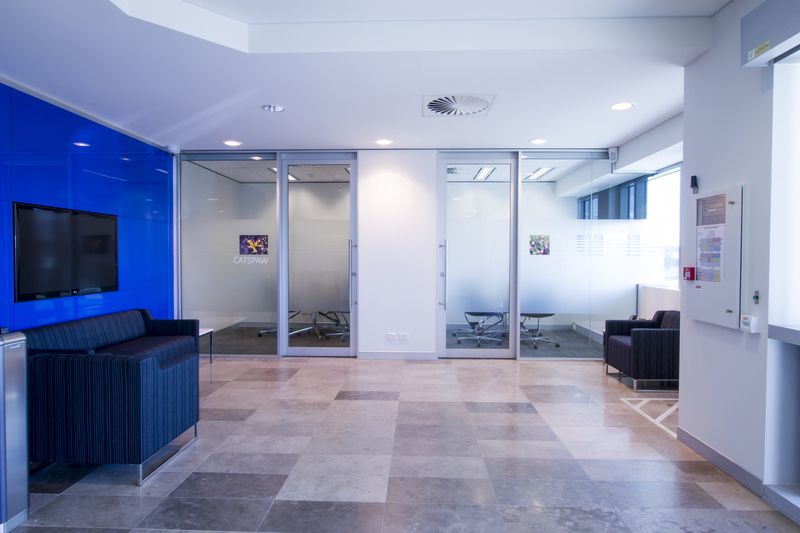 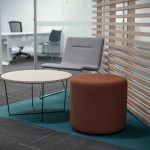 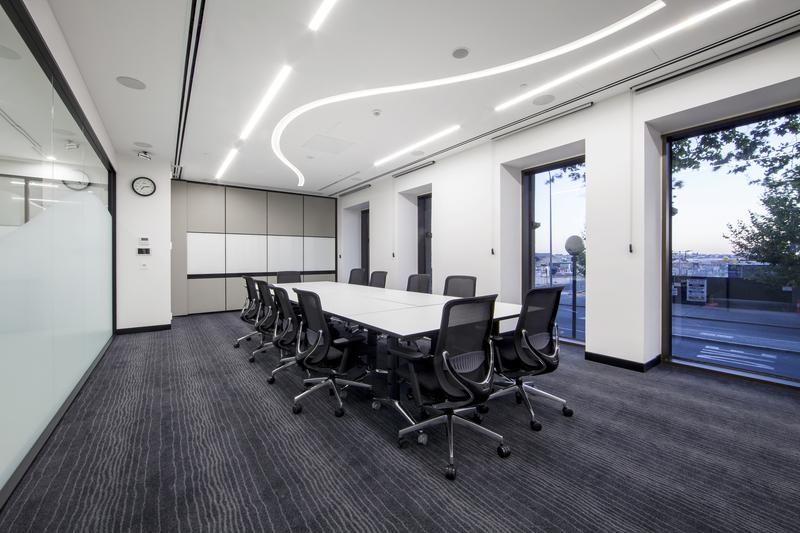 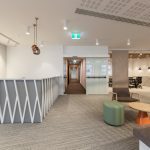 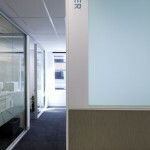 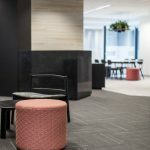 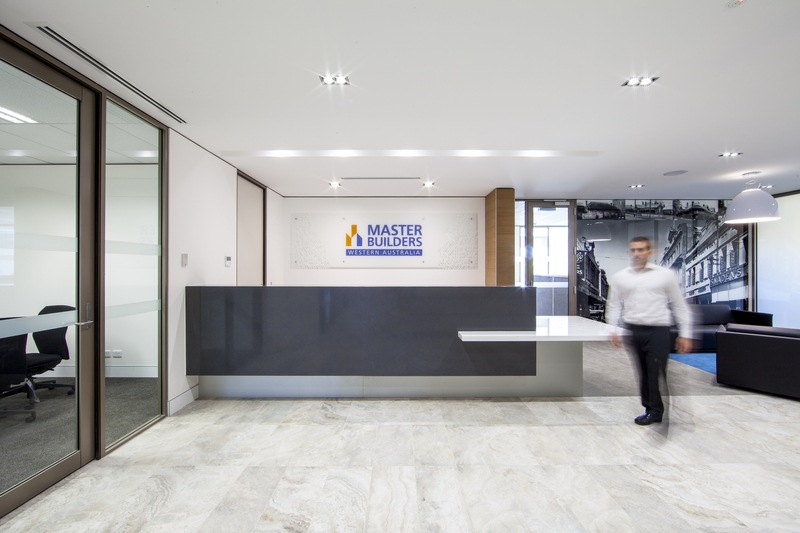 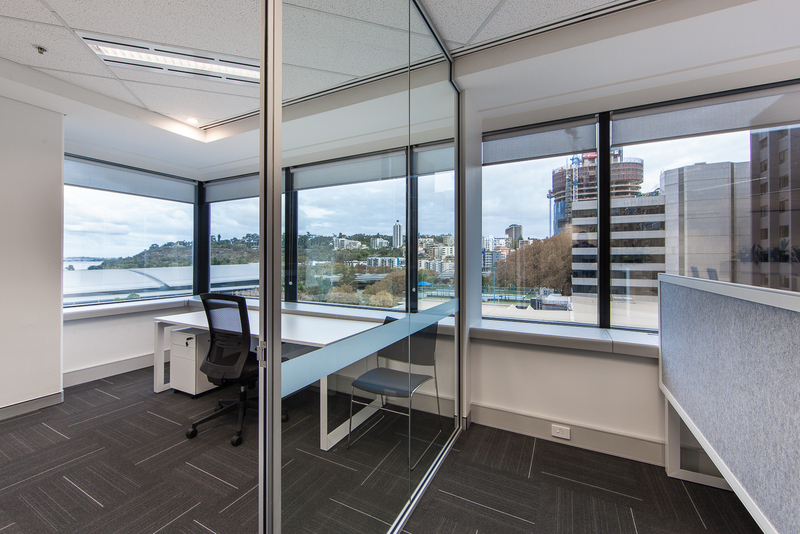 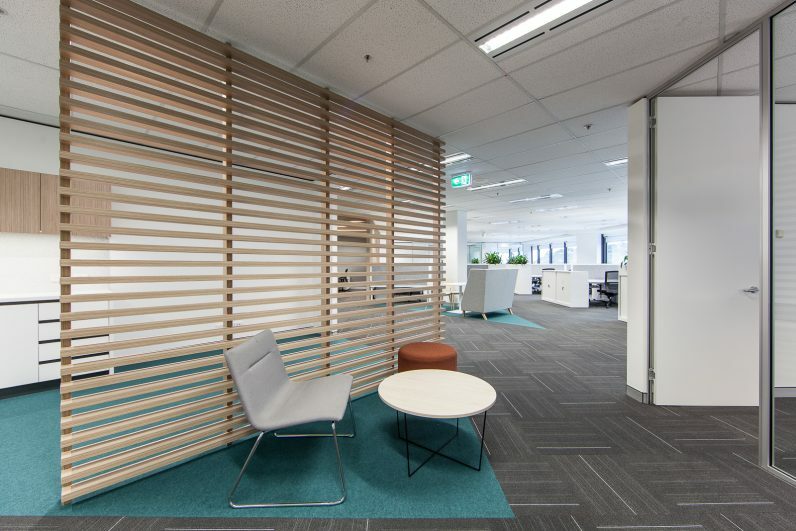 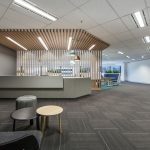 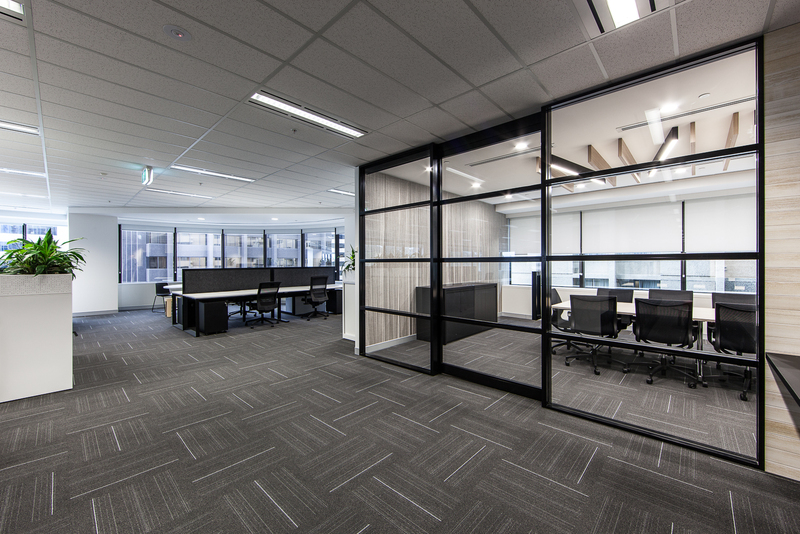 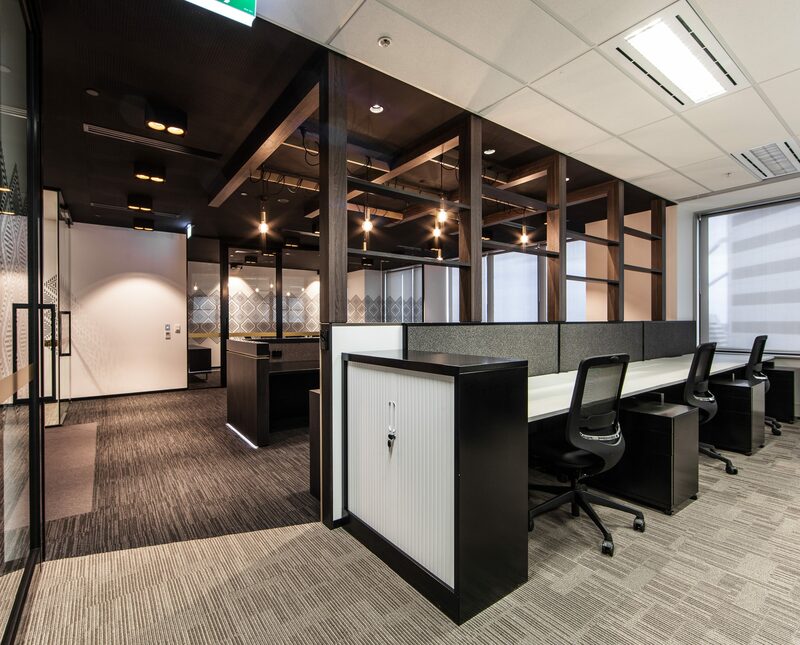 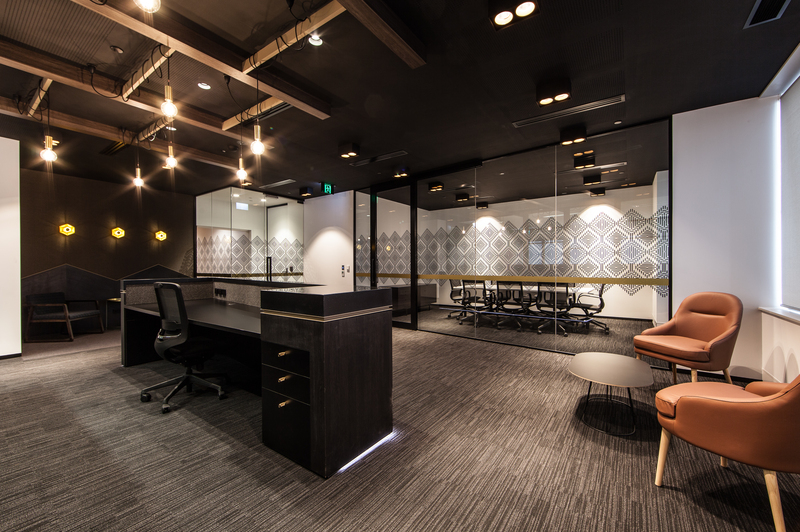 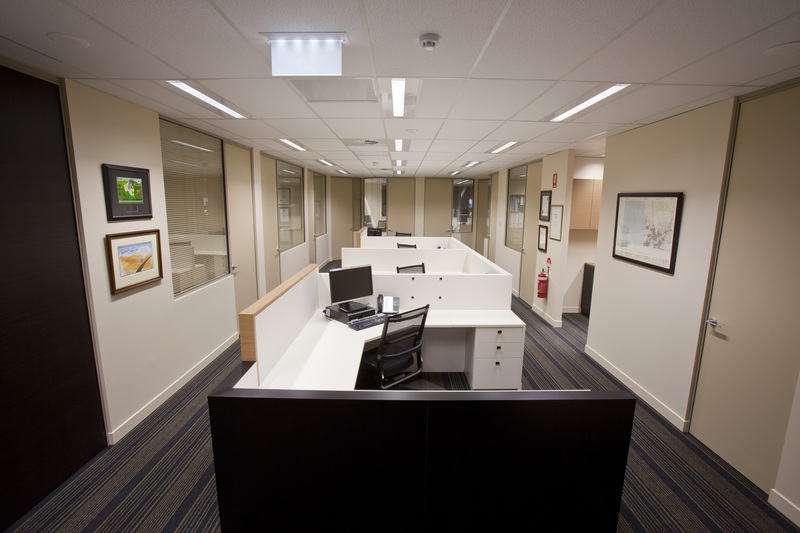 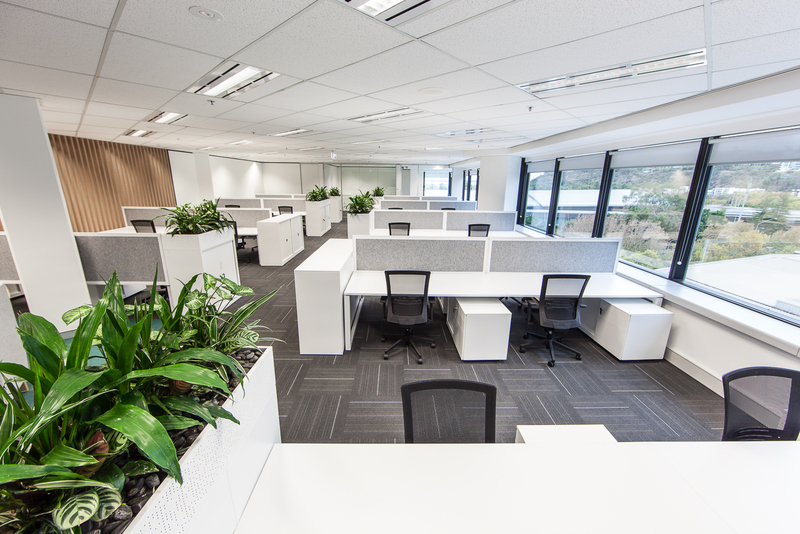 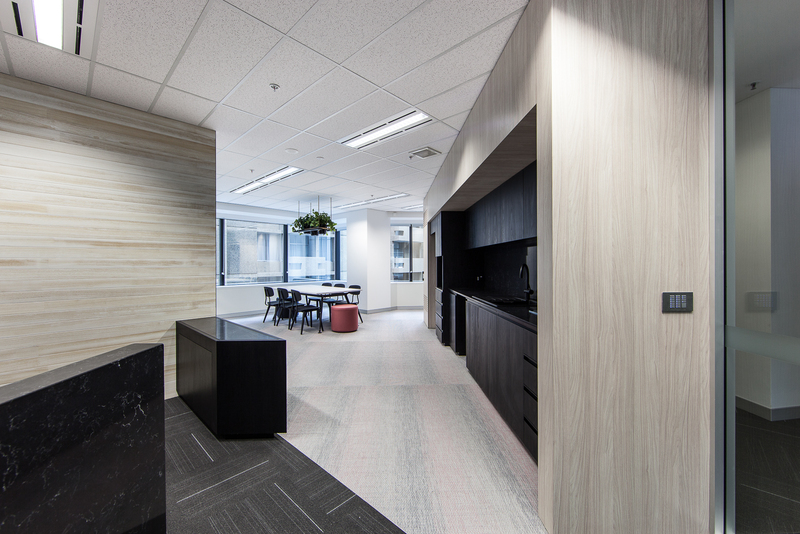 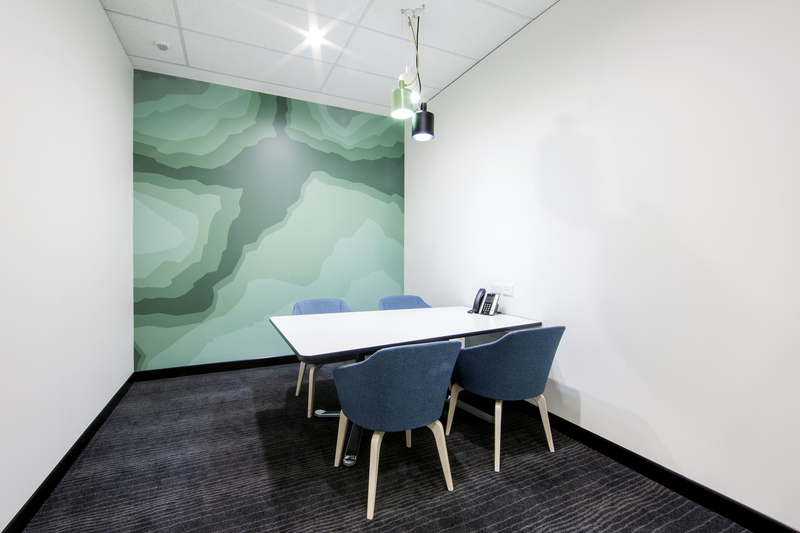 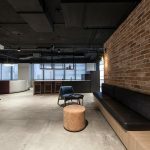 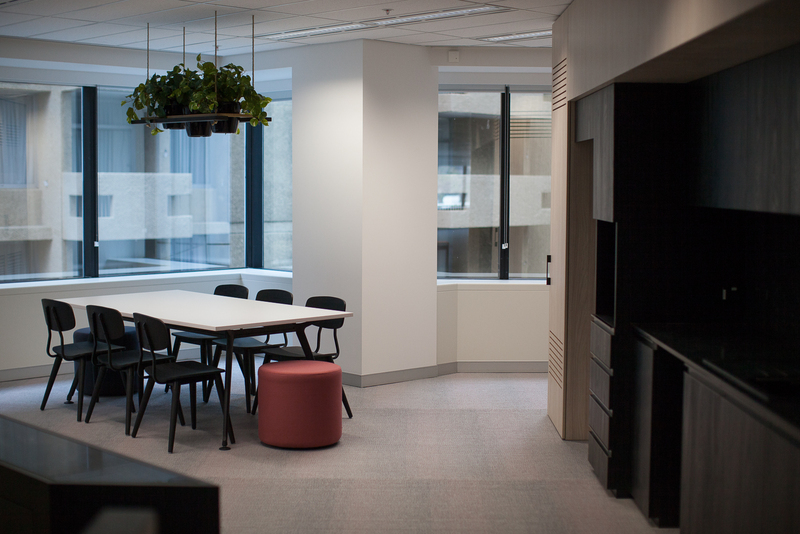 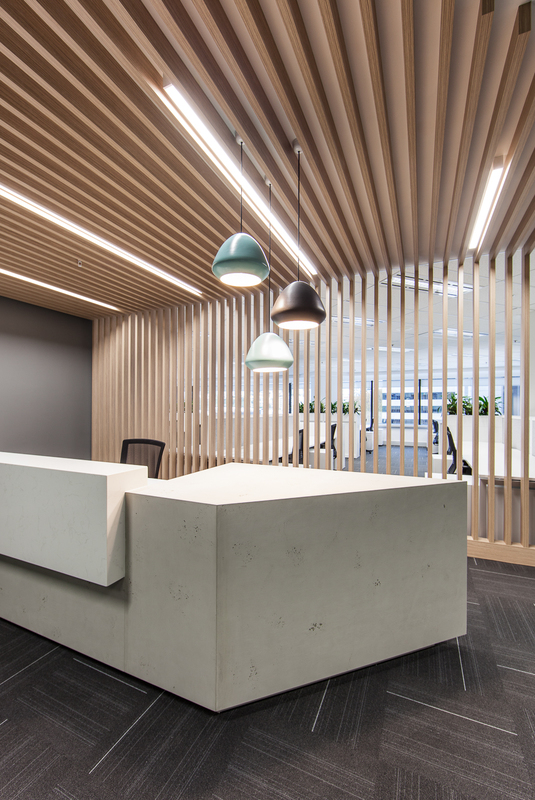 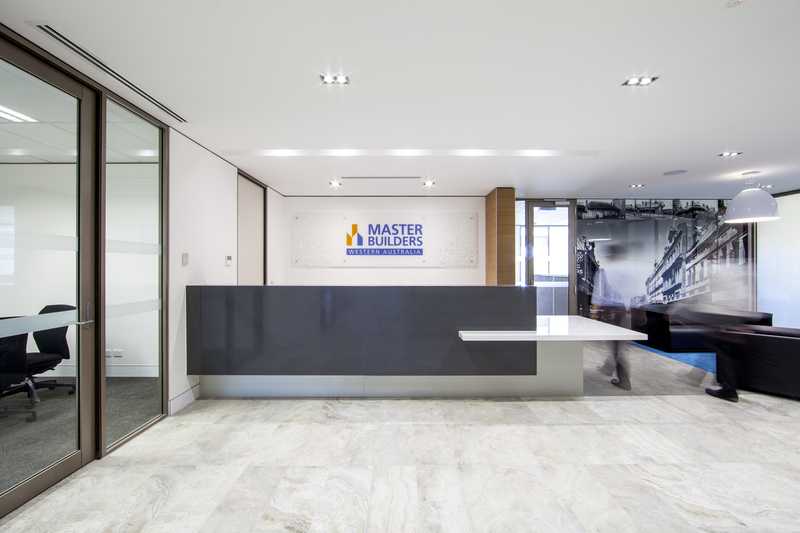 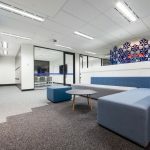 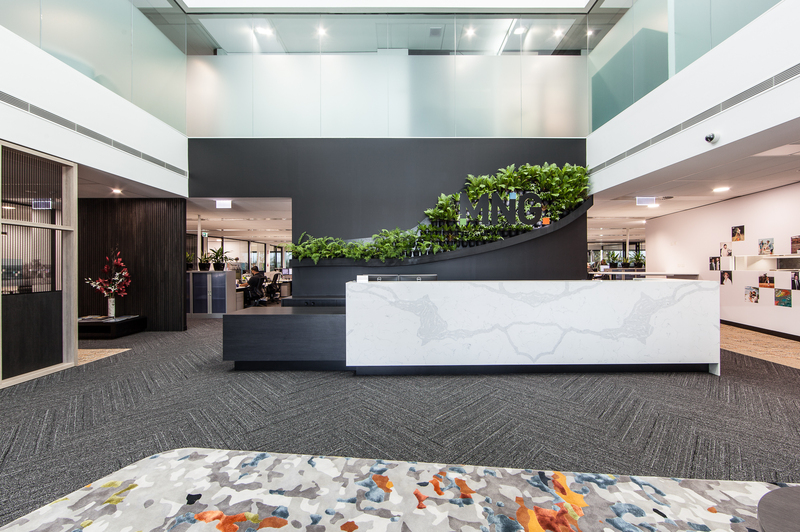 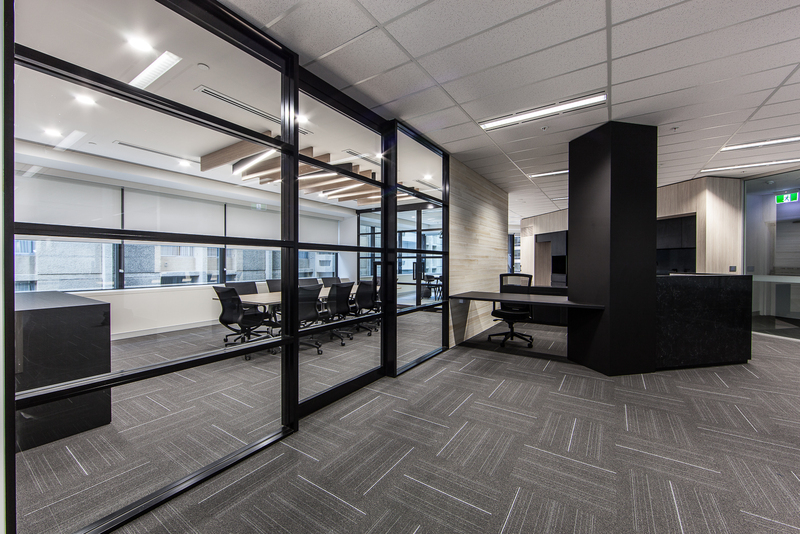 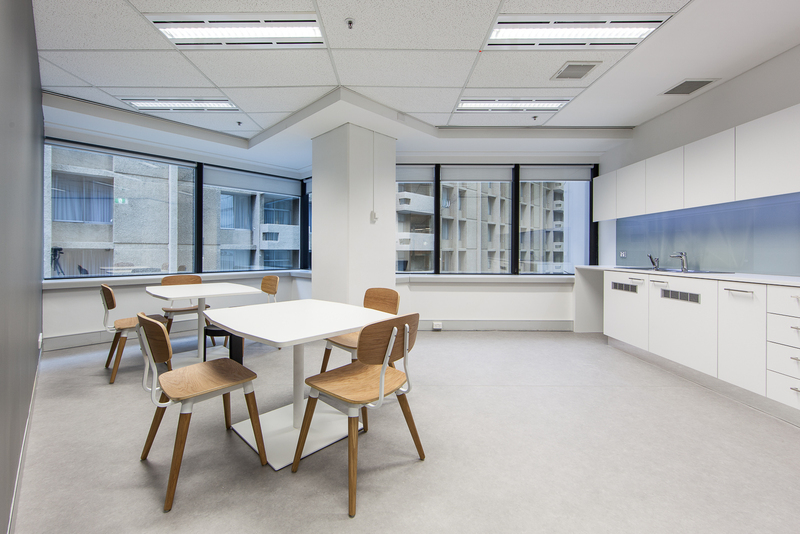 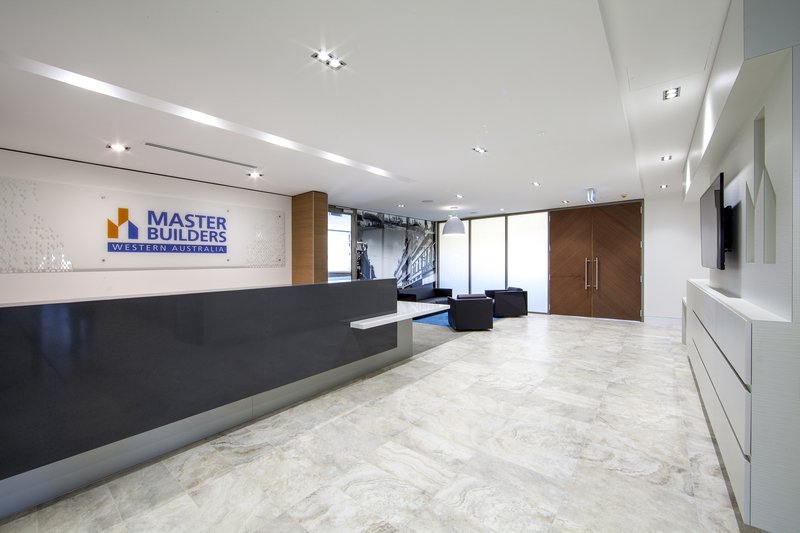 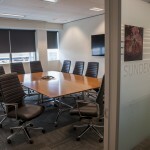 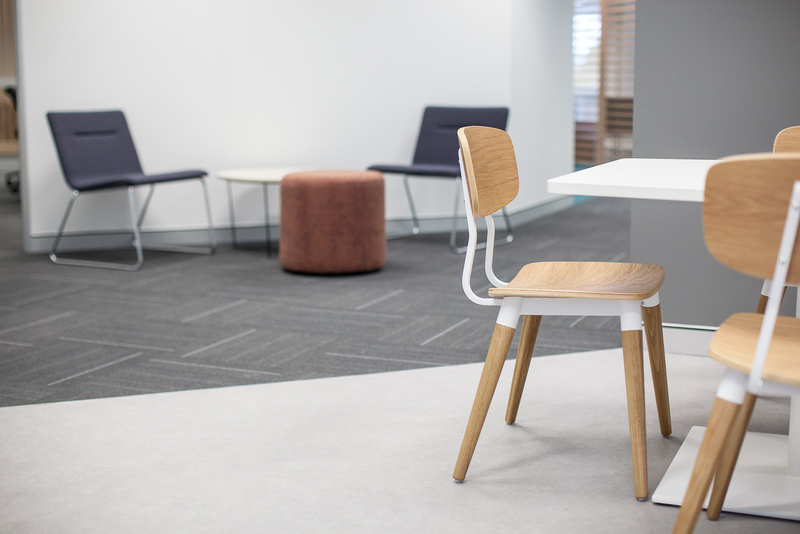 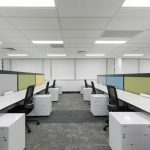 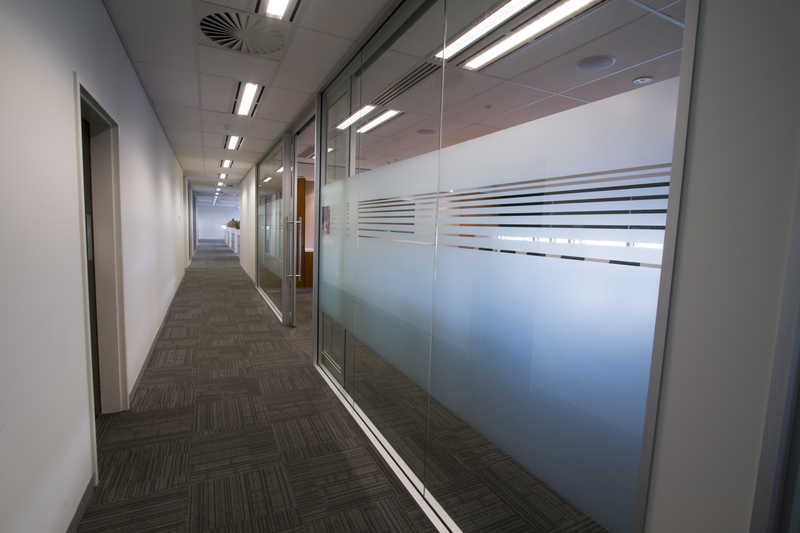 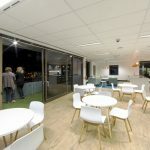 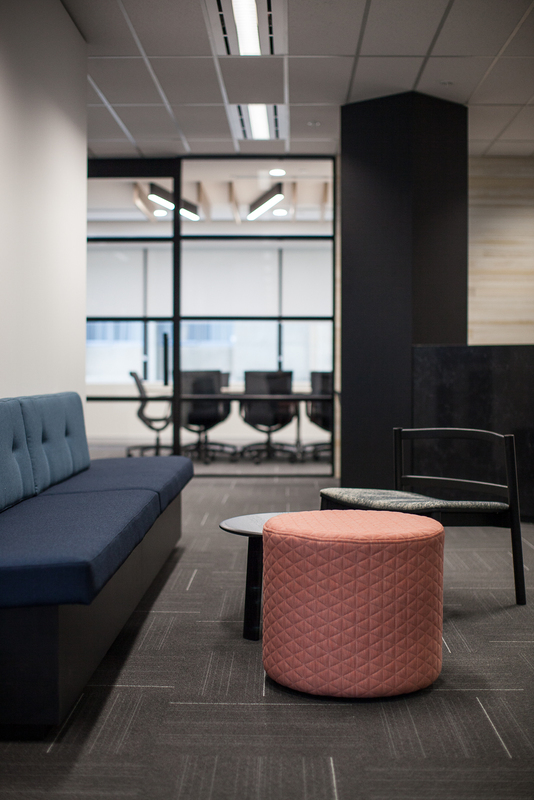 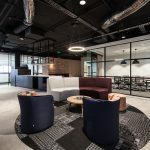 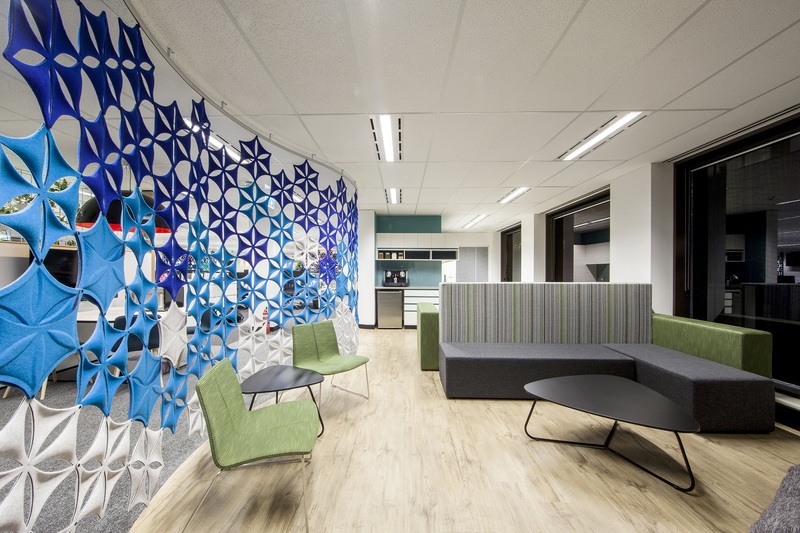 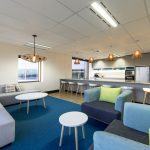 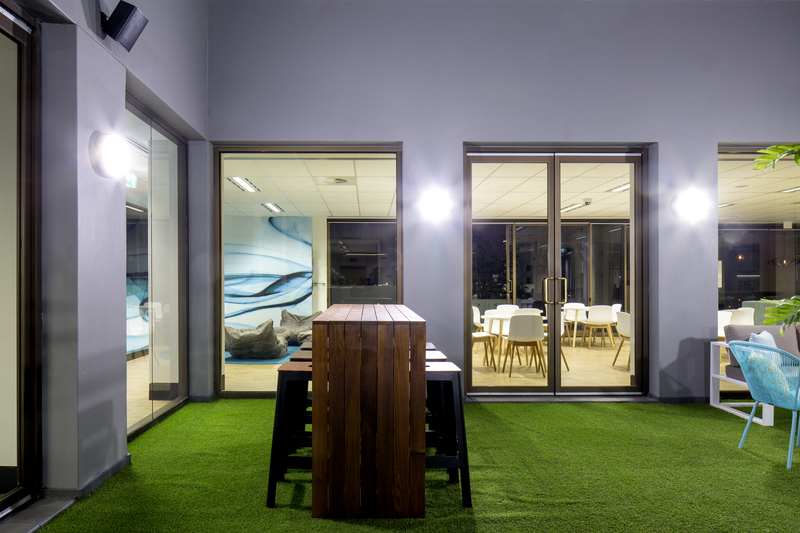 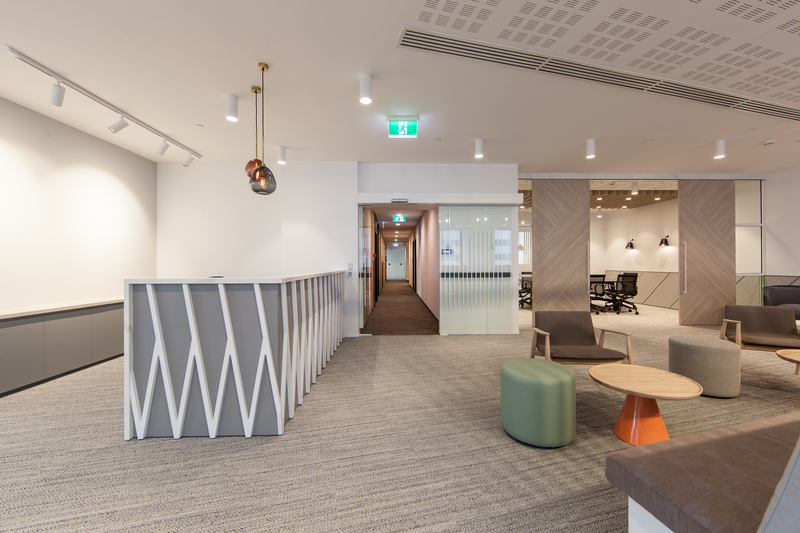 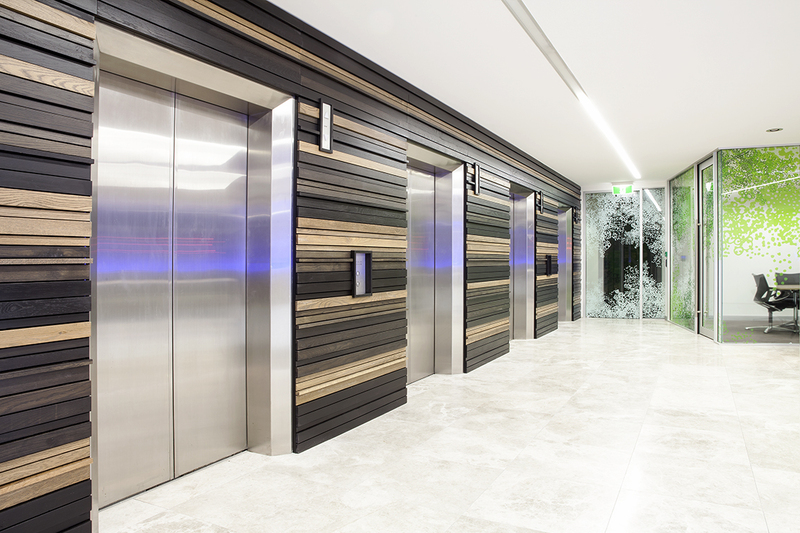 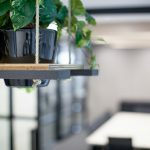 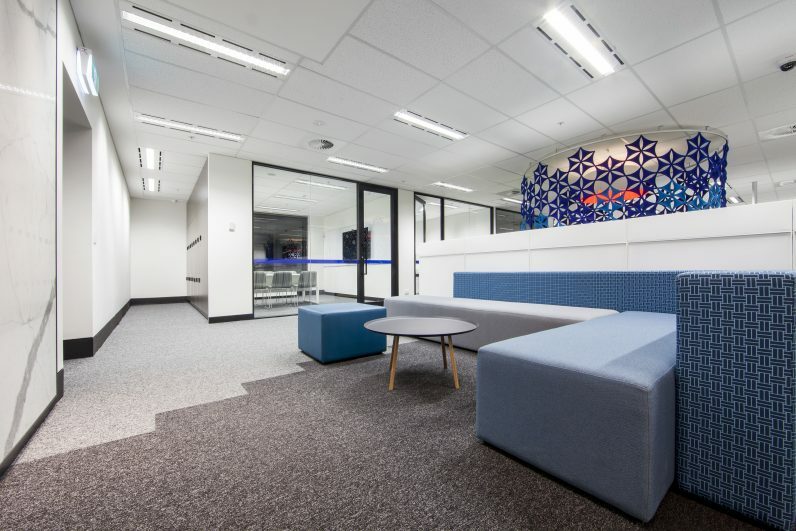 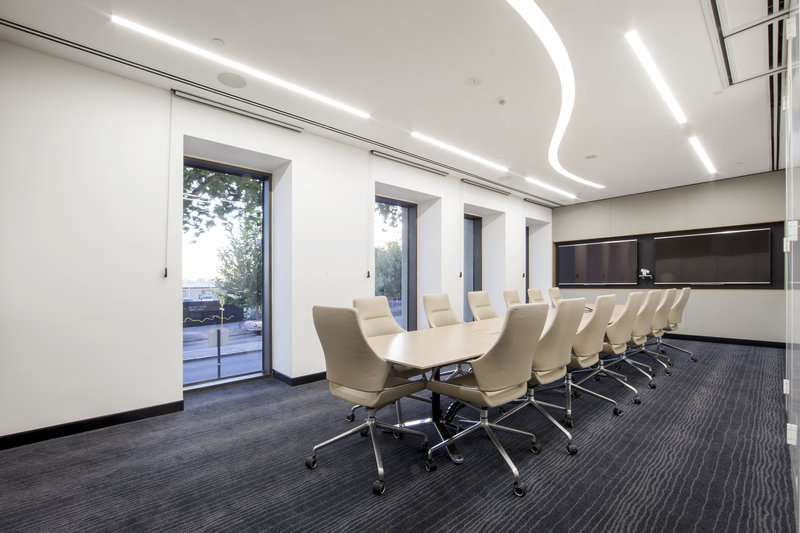 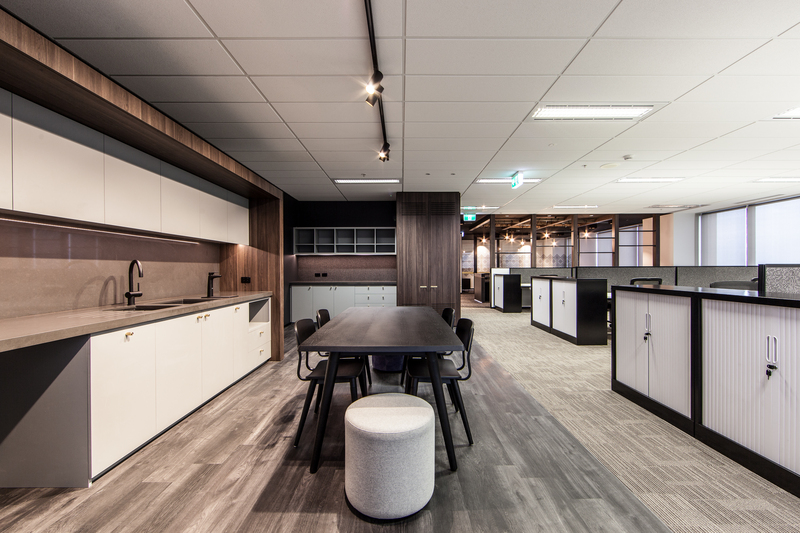 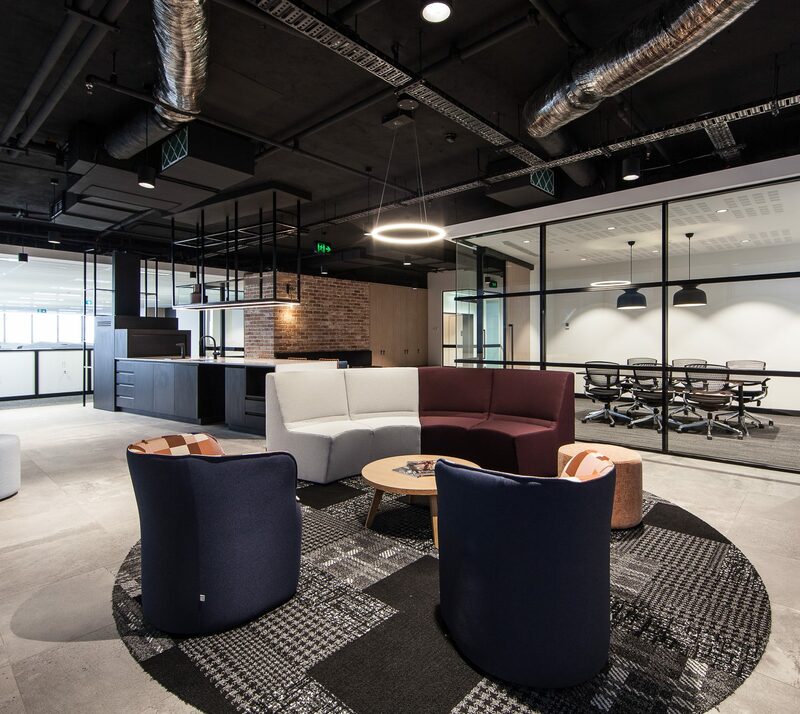 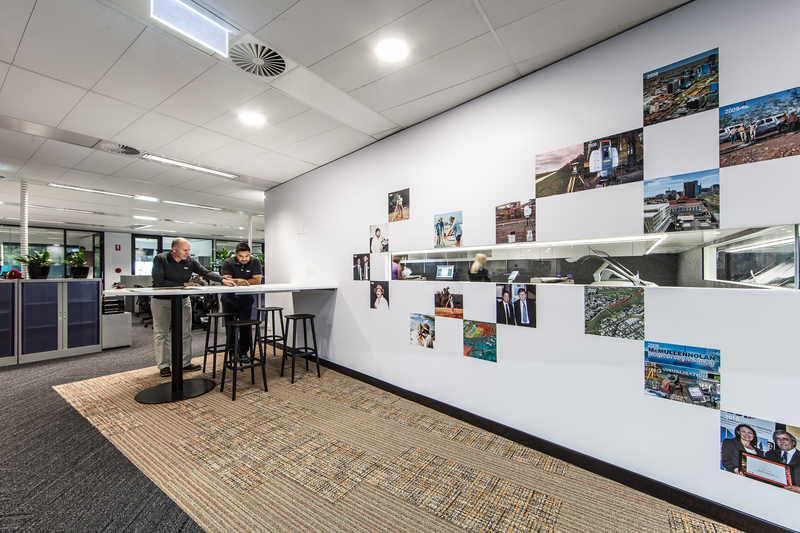 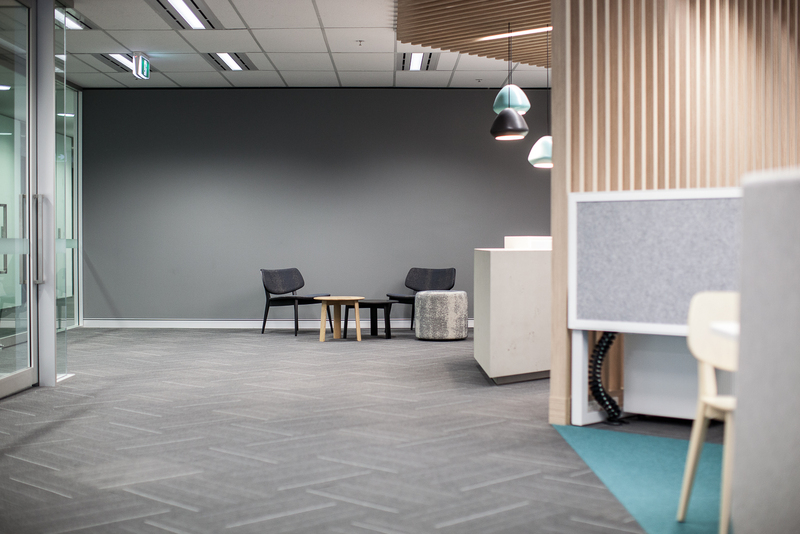 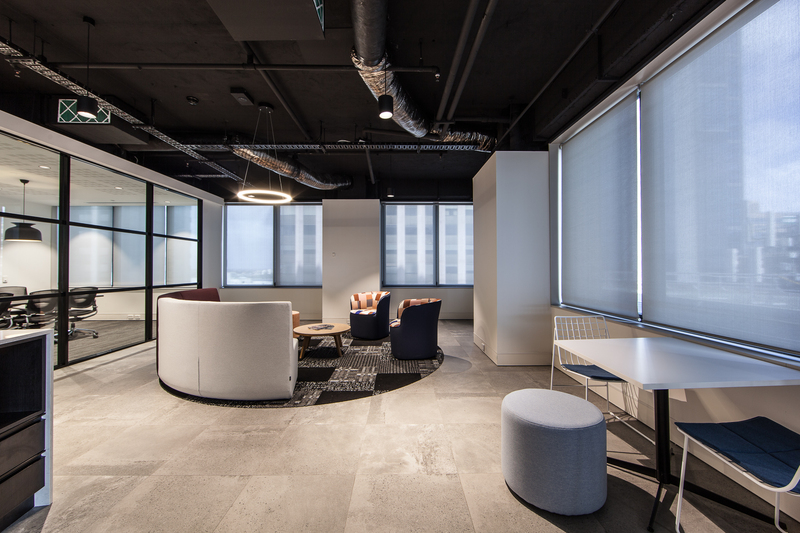 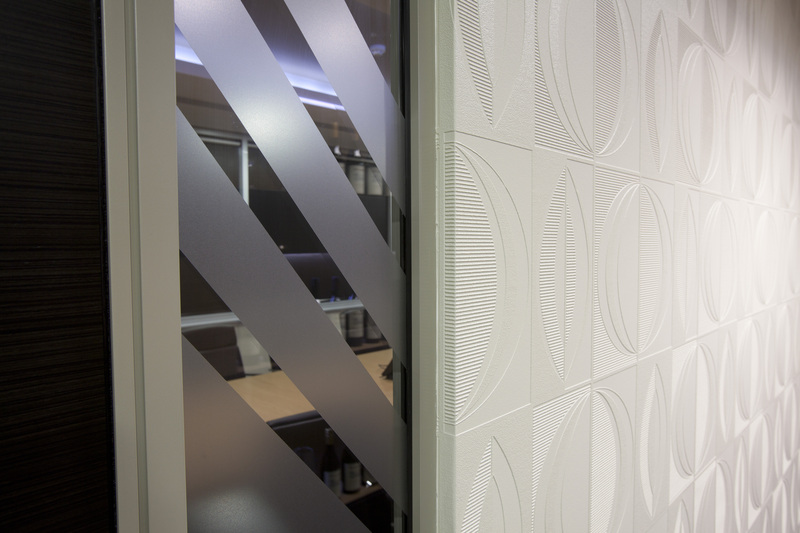 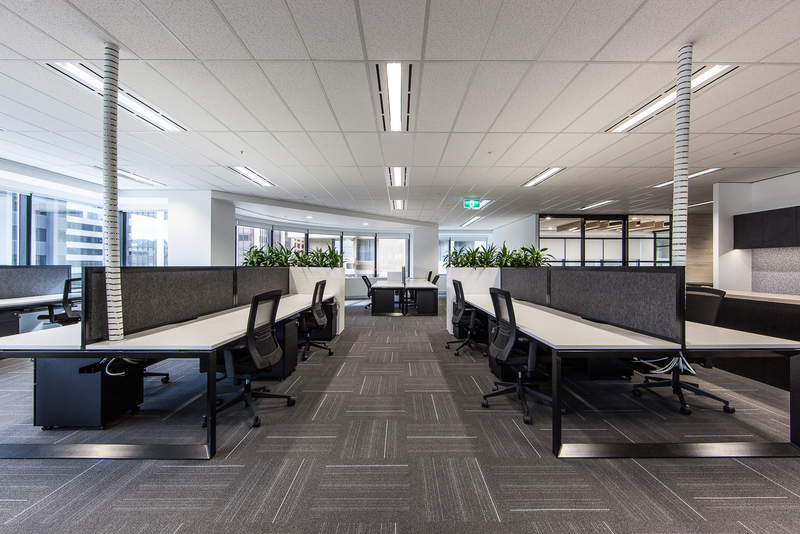 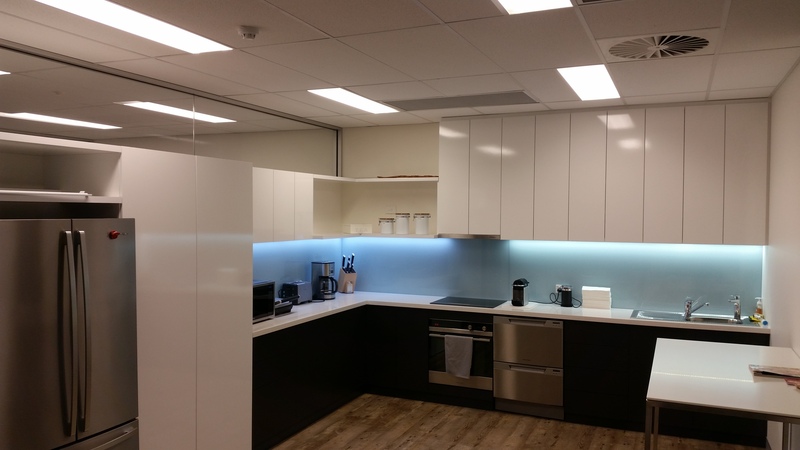 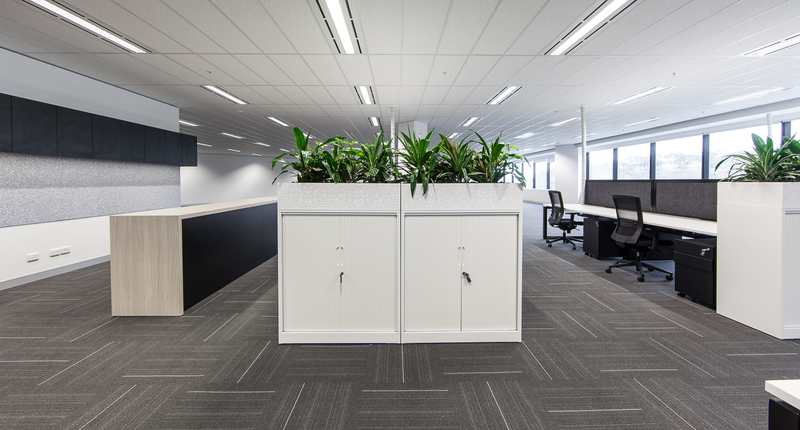 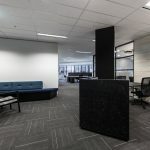 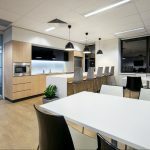 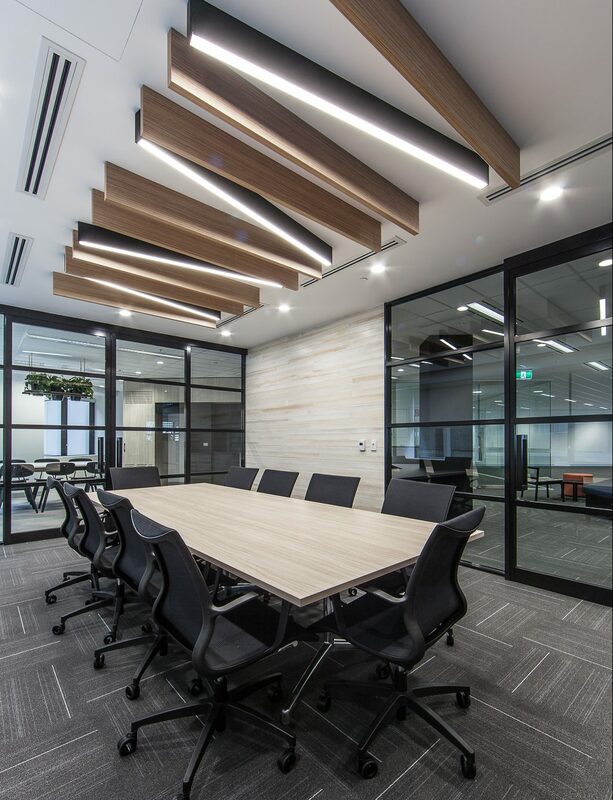 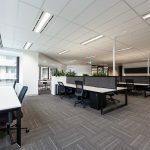 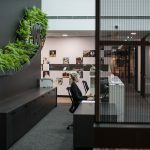 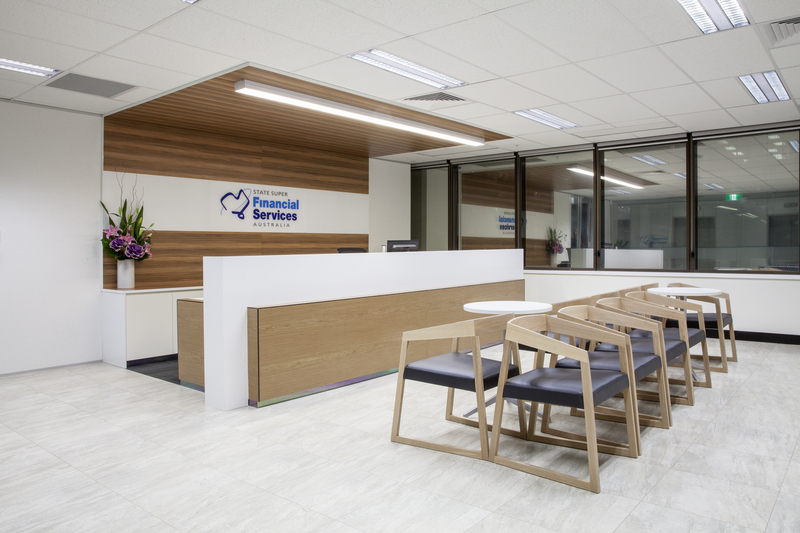 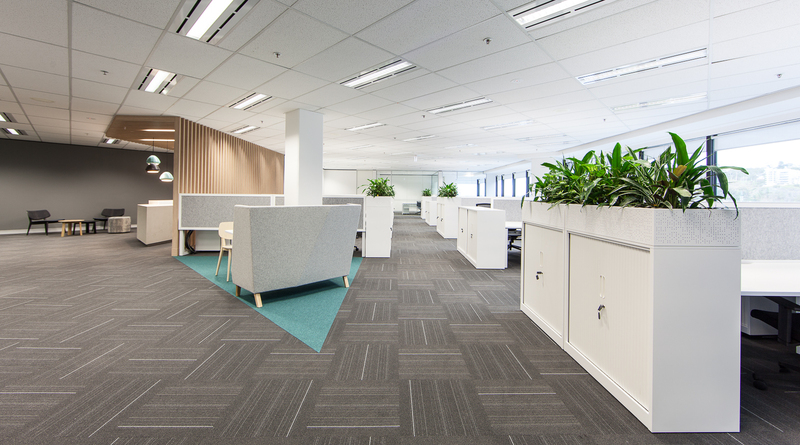 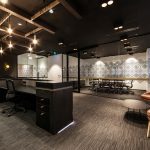 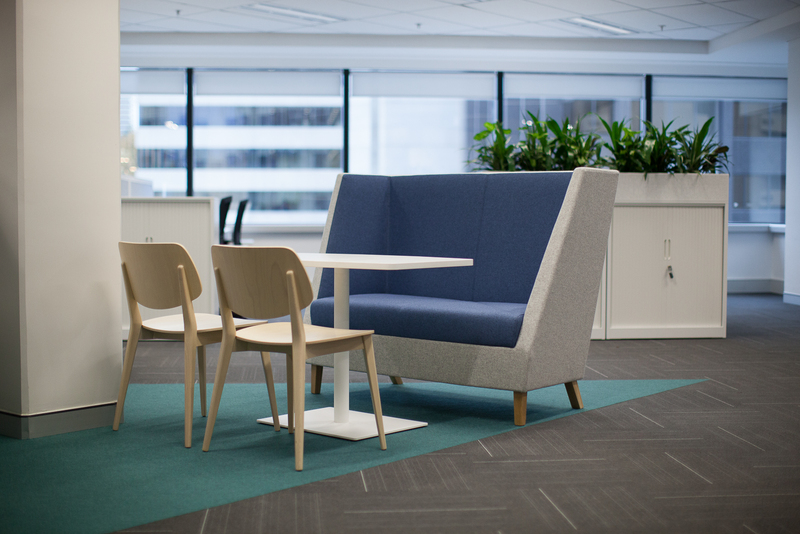 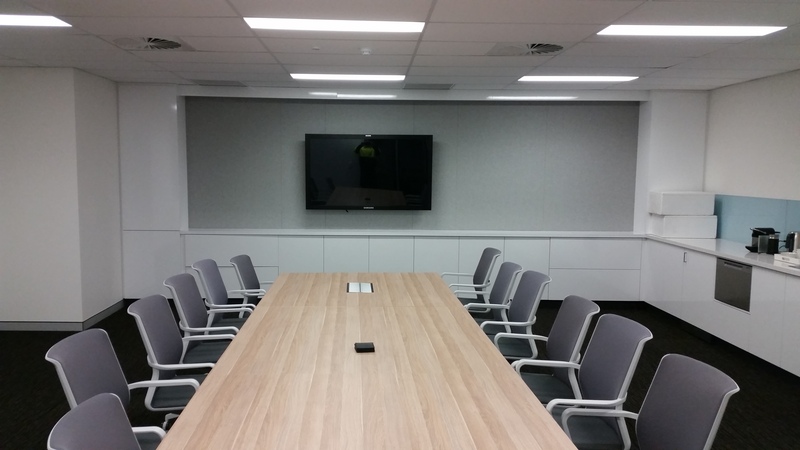 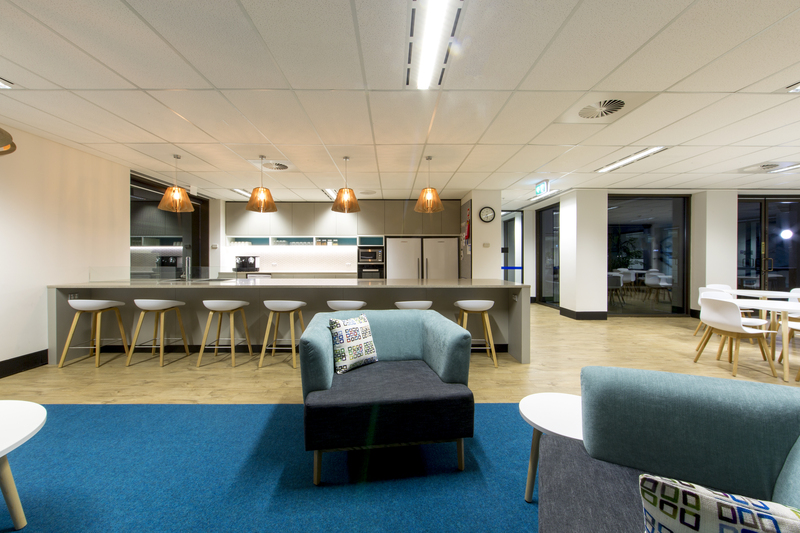 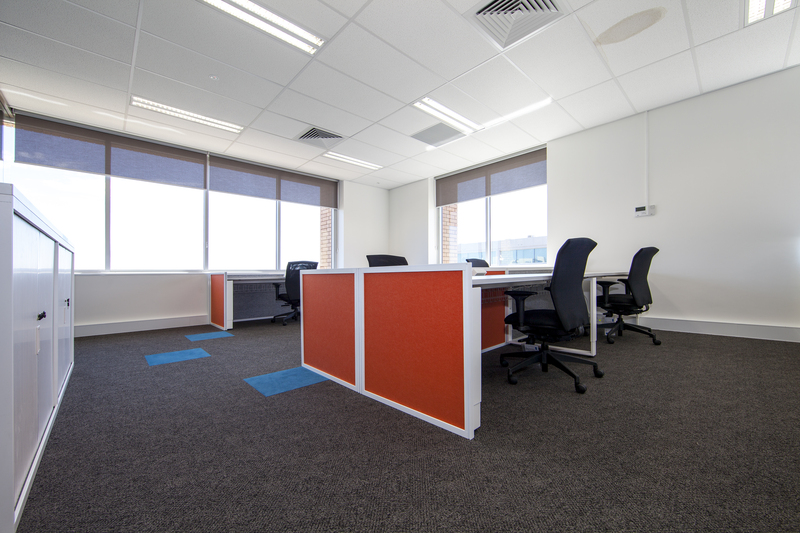 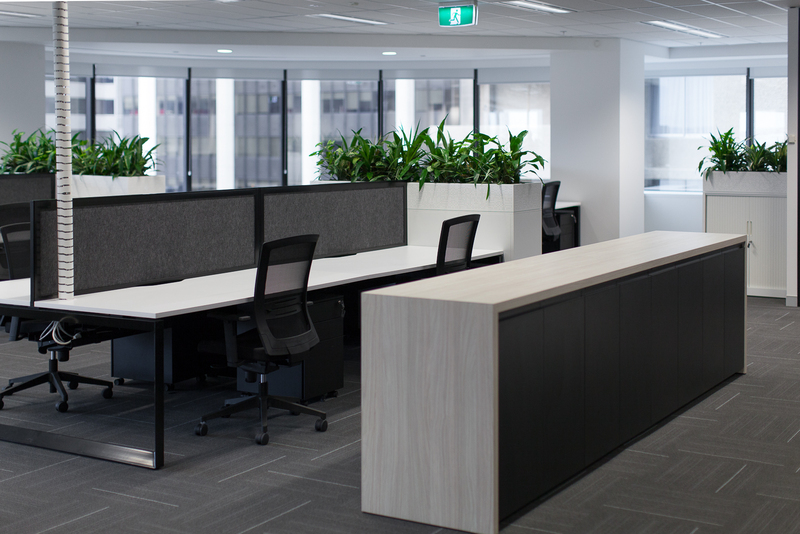 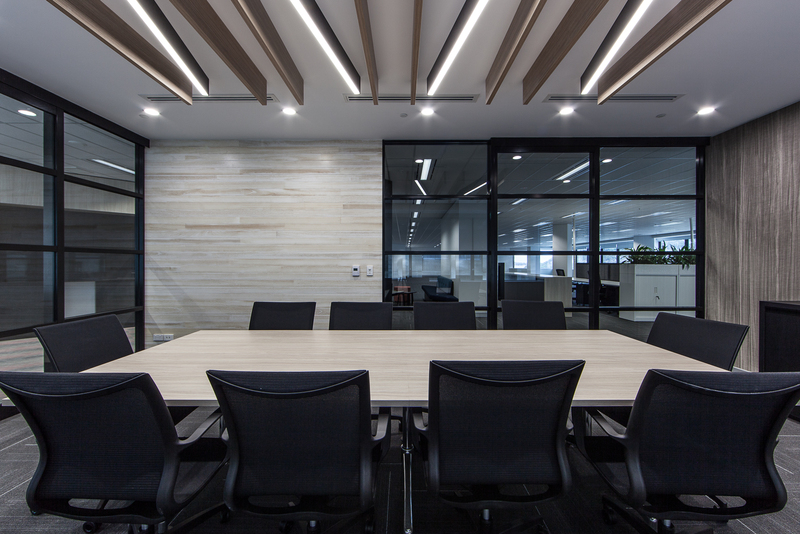 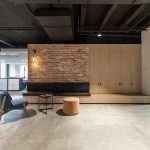 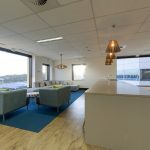 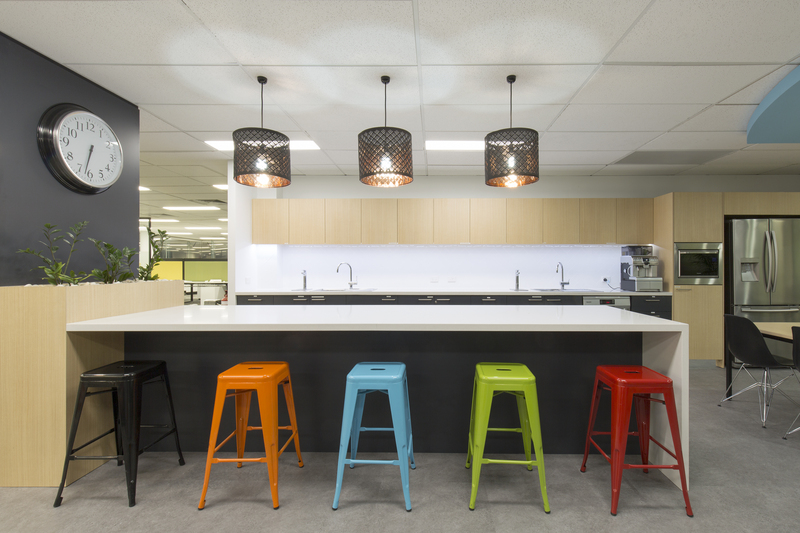 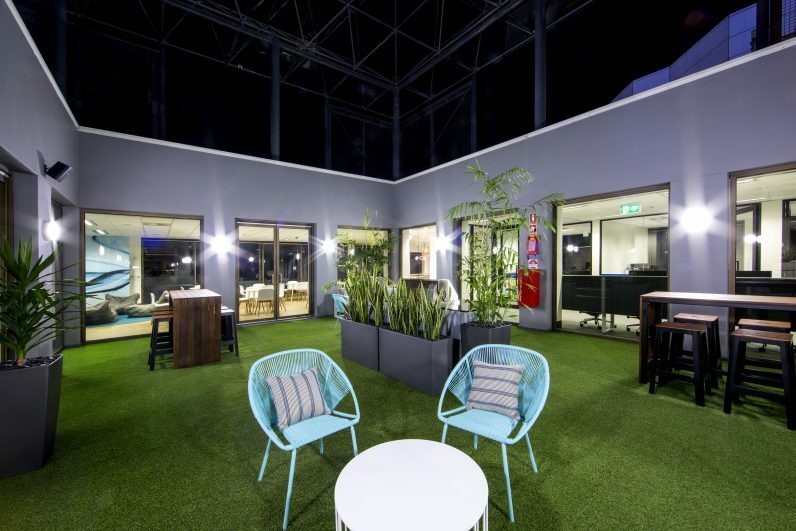 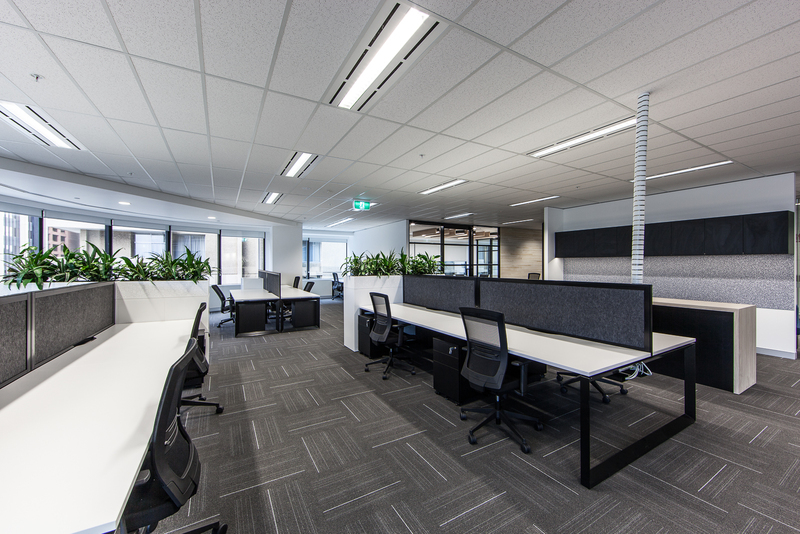 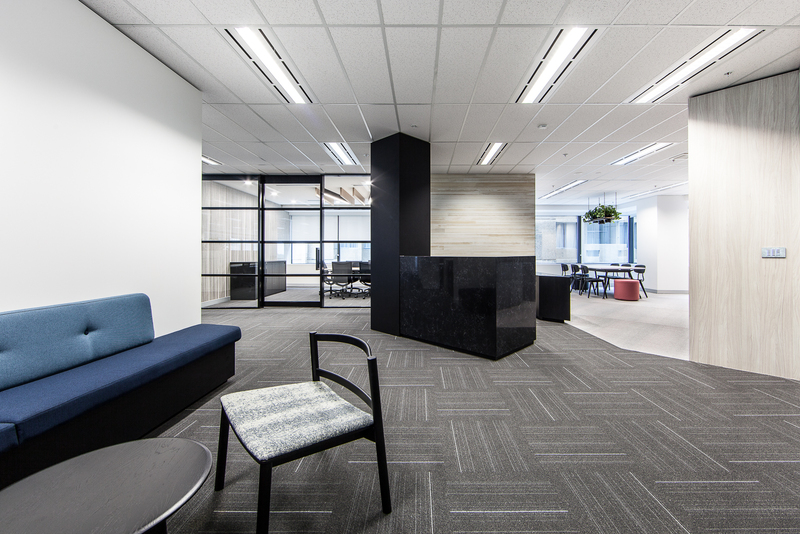 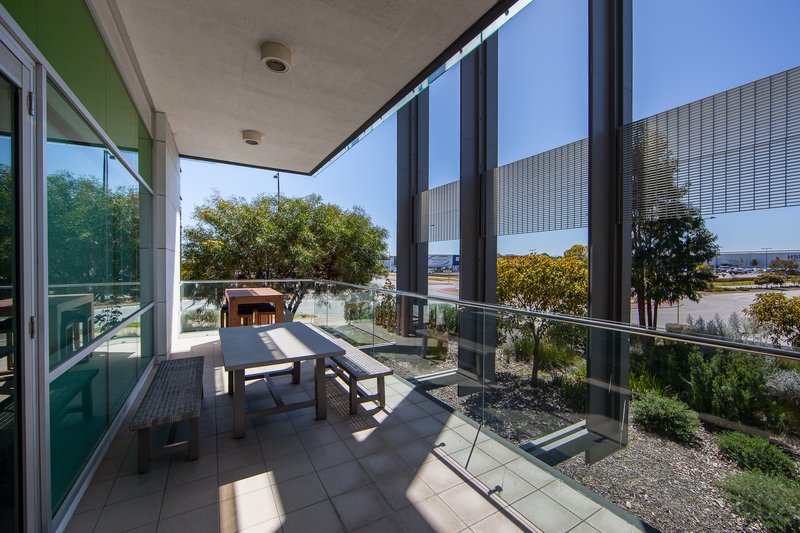 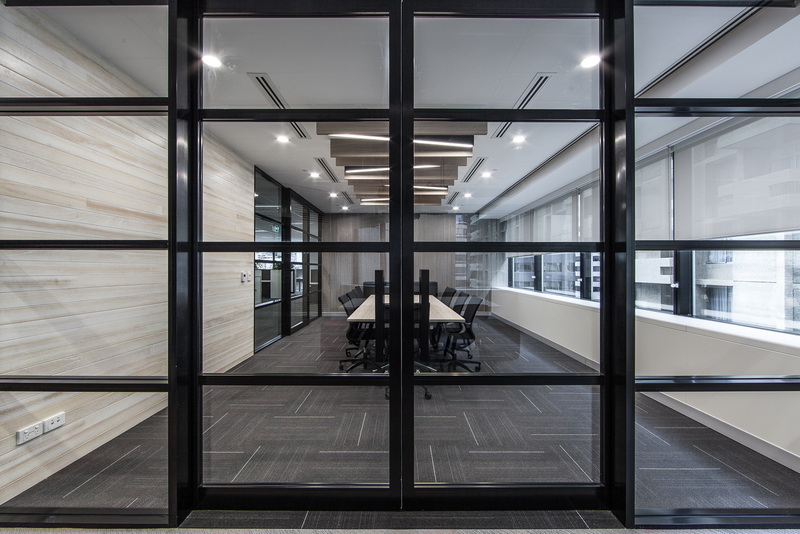 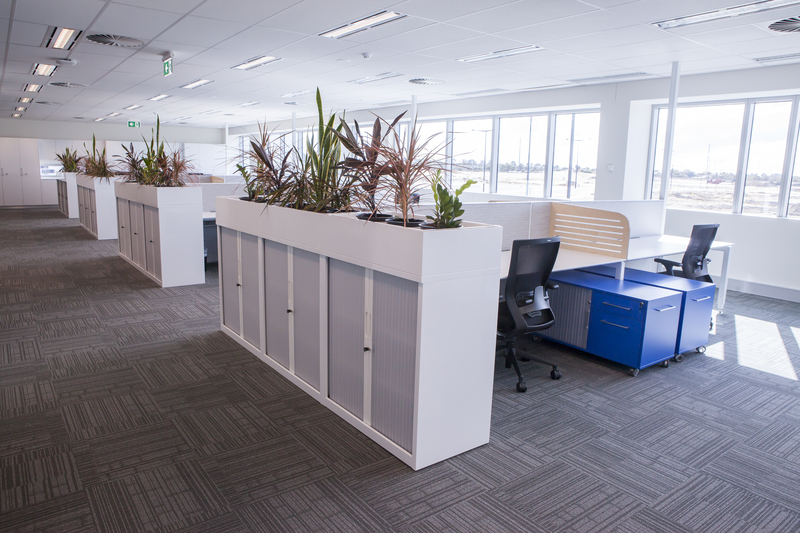 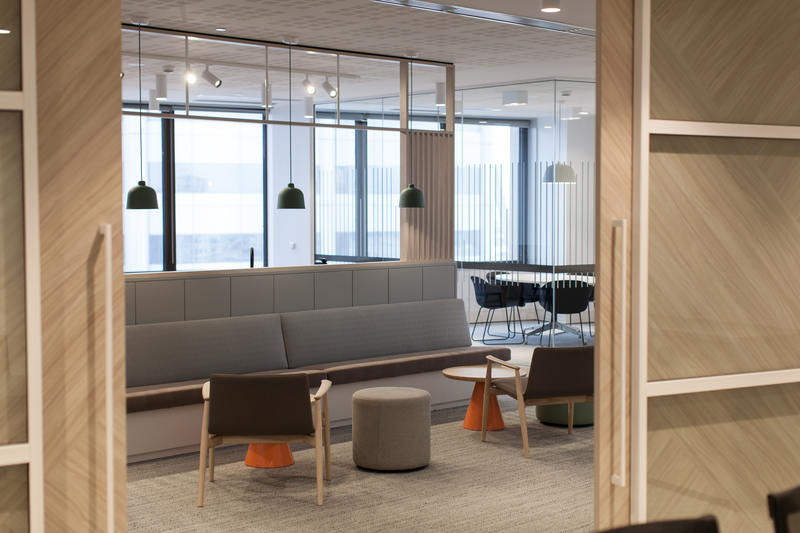 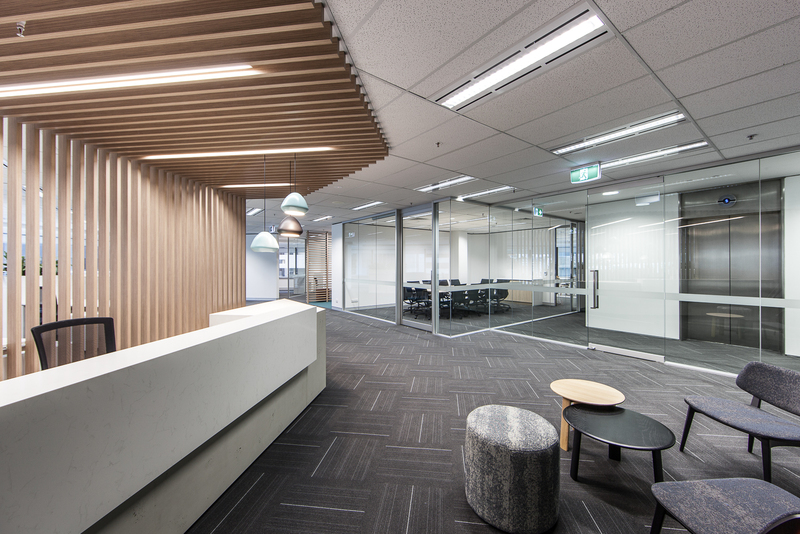 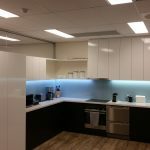 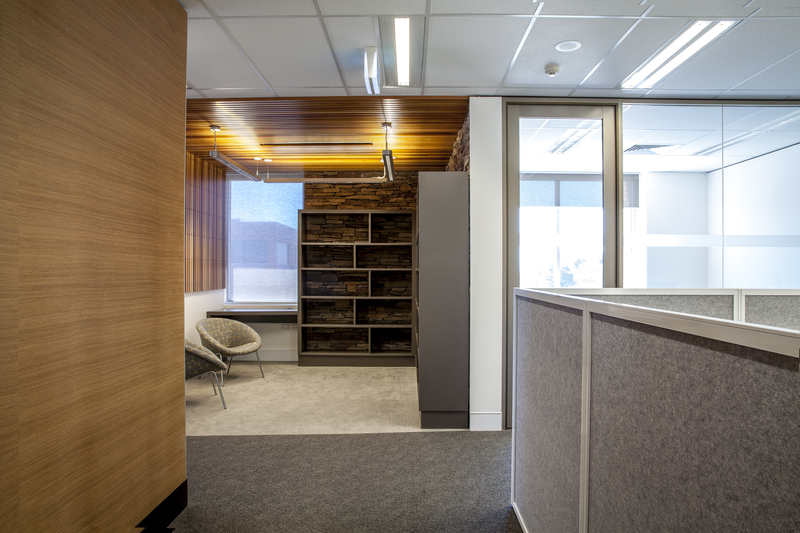 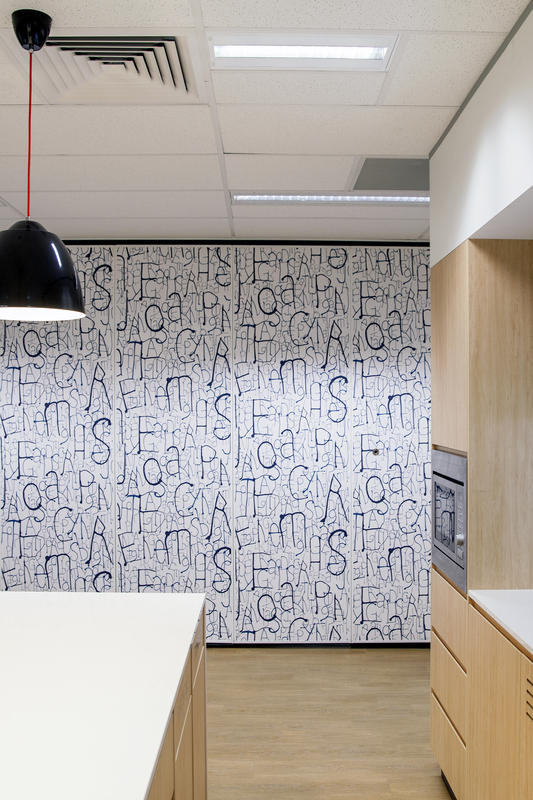 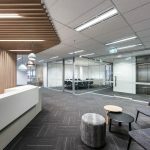 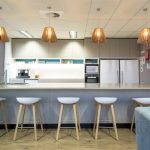 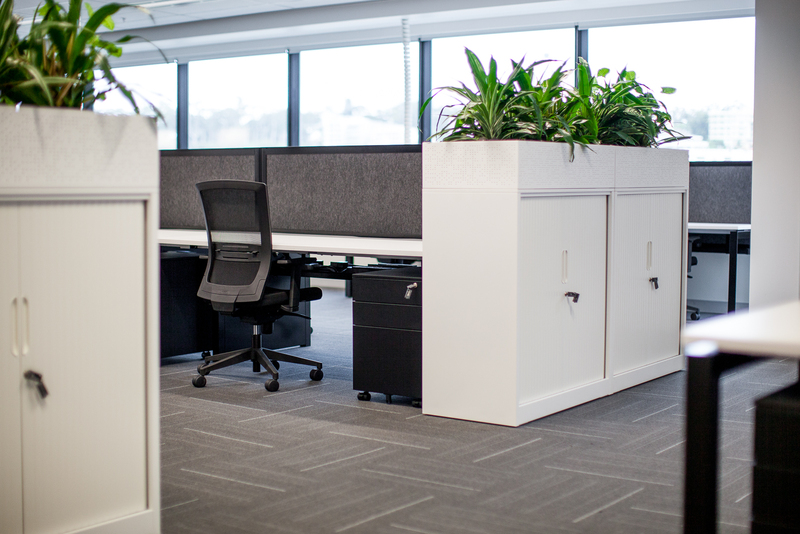 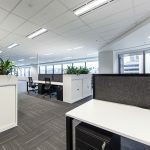 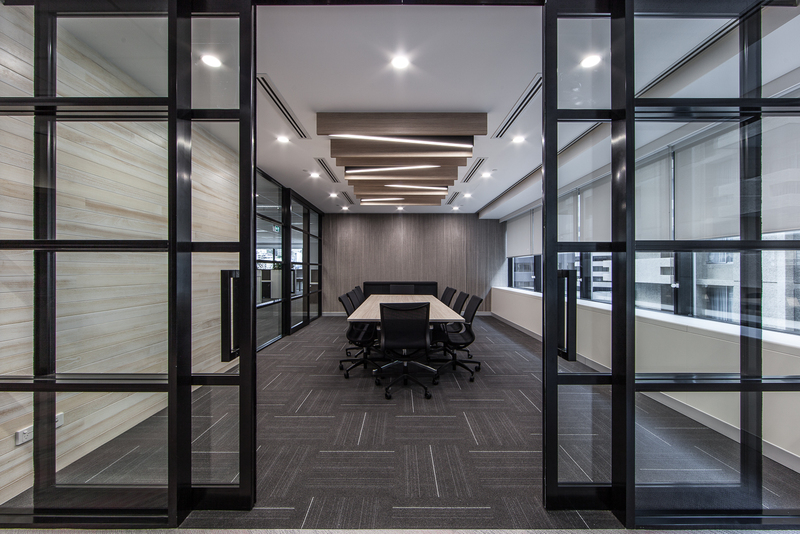 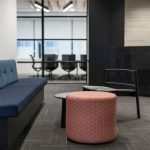 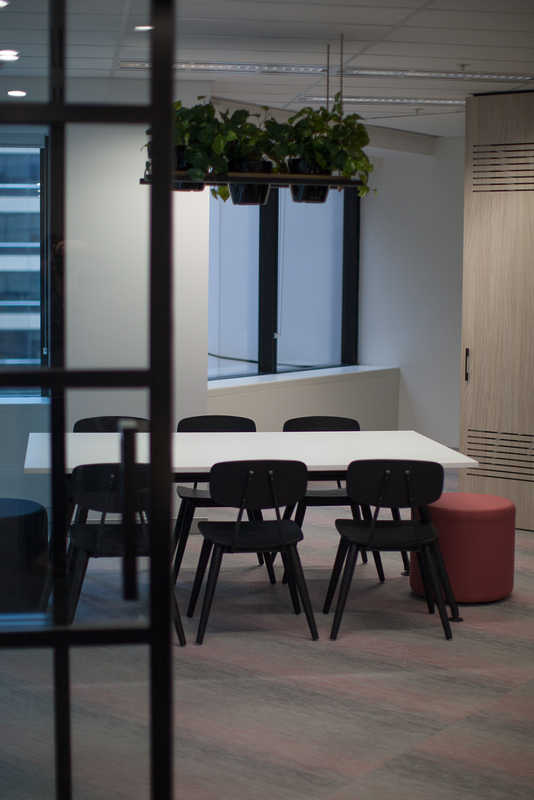 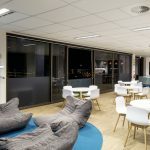 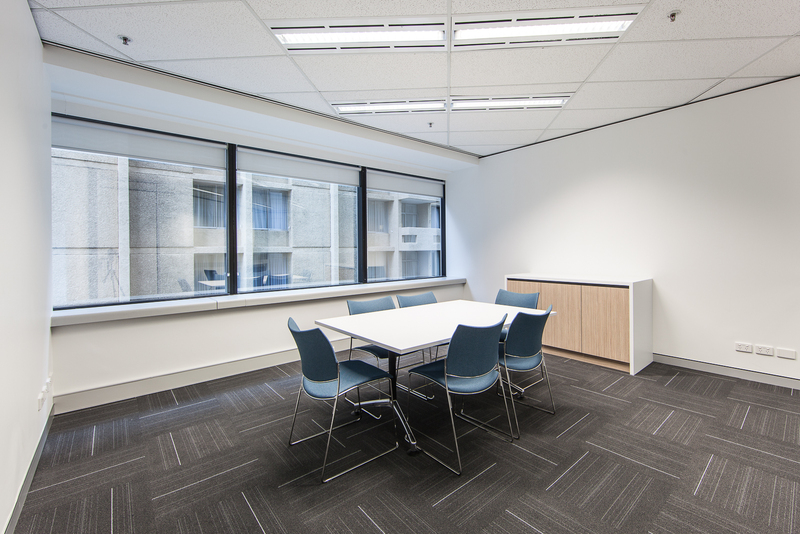 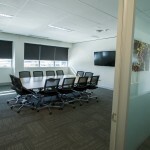 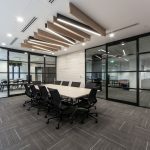 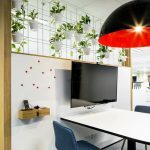 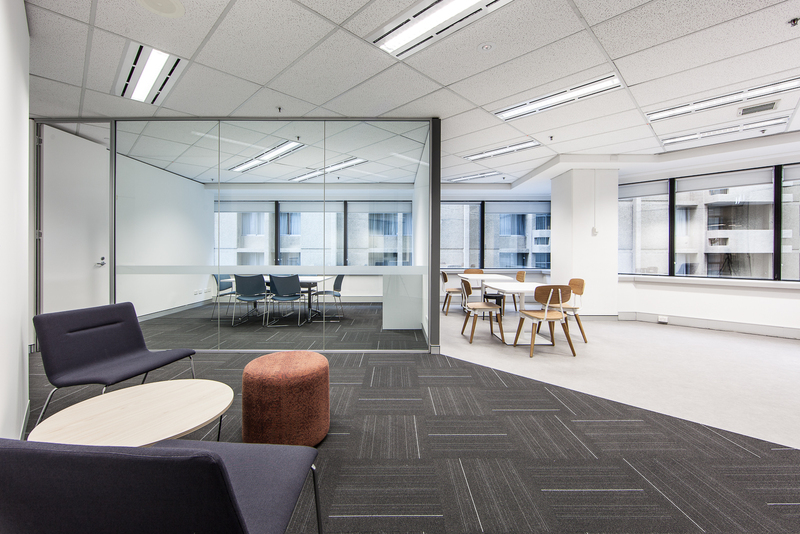 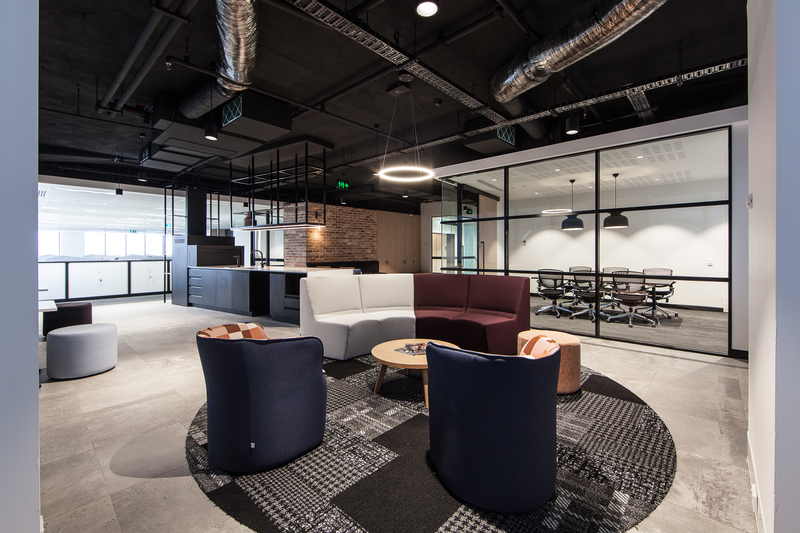 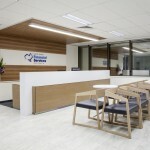 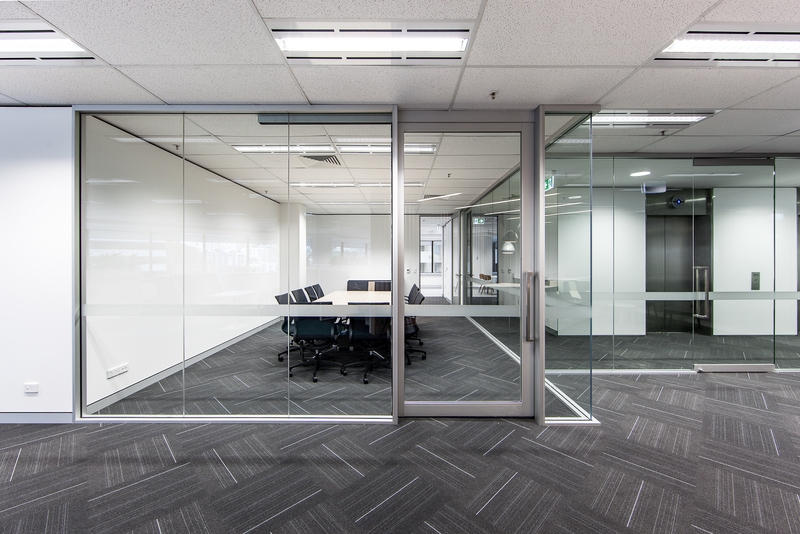 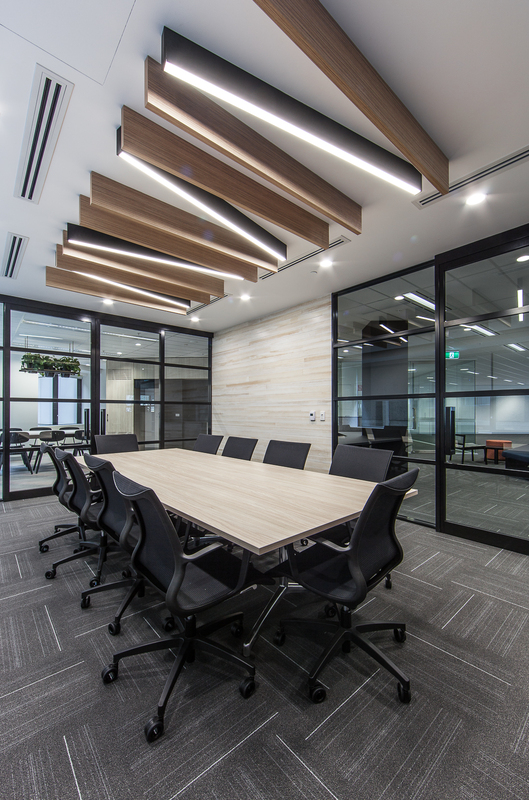 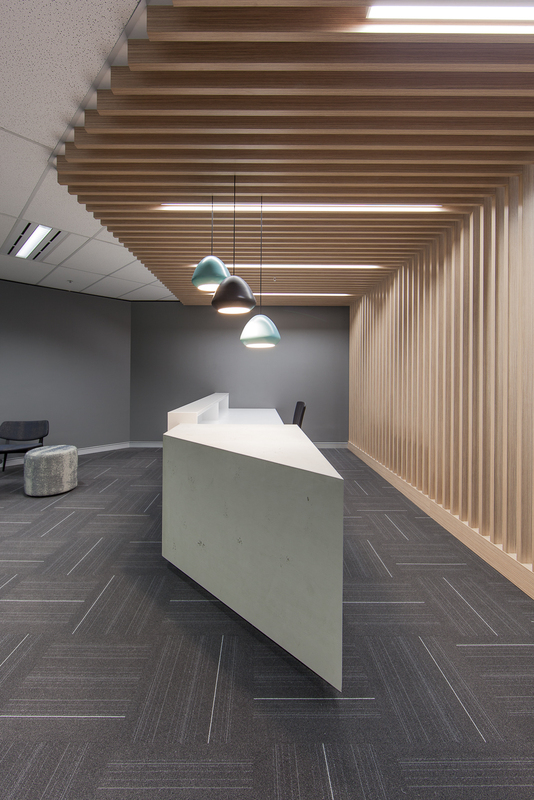 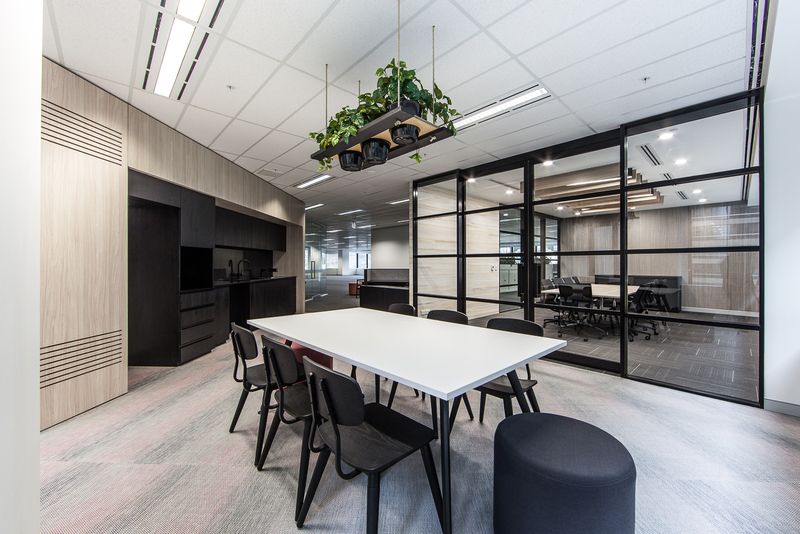 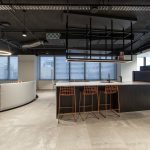 DAVIDSON Projects has been involved in the fitout of developing show suites in collaboration with Perth-based designers and building owners, which has increased the level of interest in vacant office spaces. 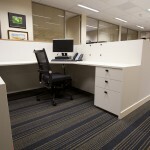 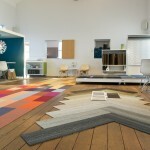 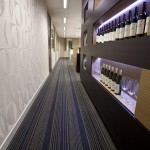 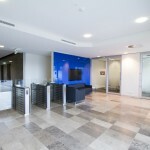 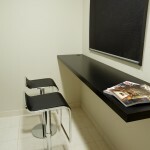 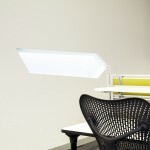 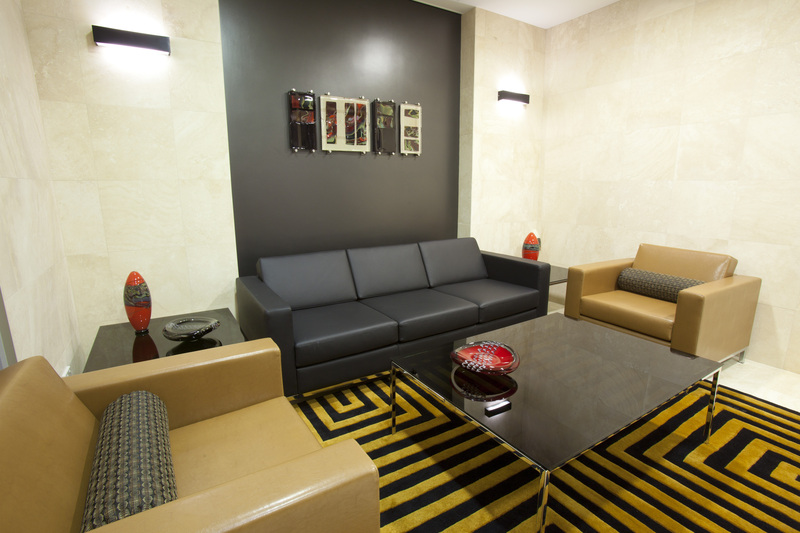 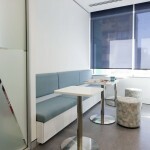 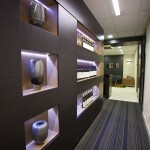 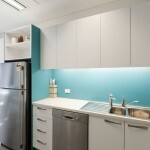 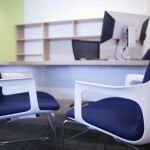 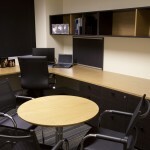 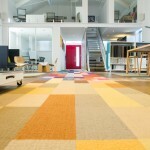 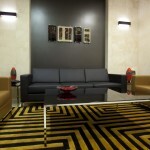 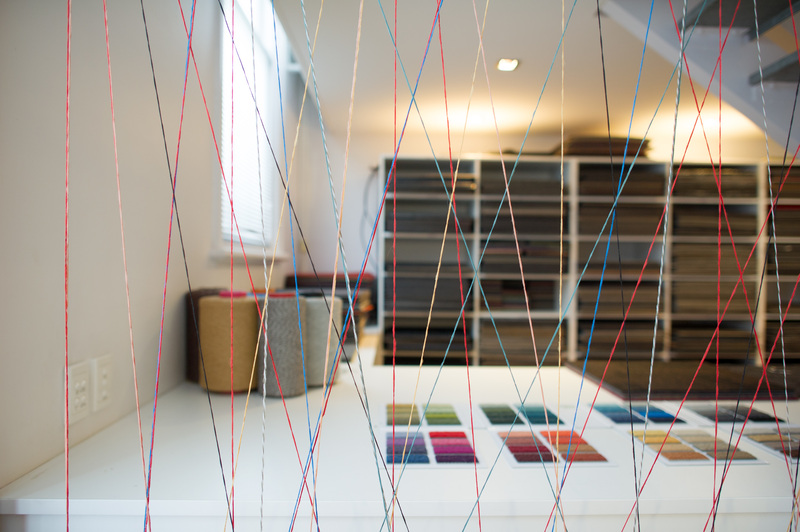 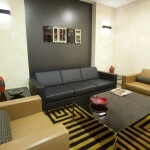 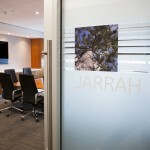 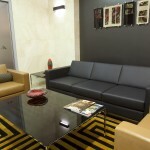 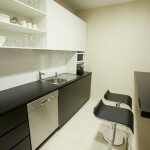 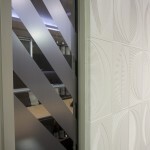 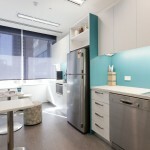 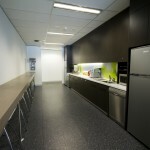 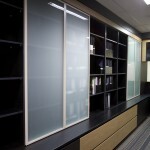 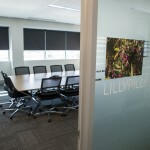 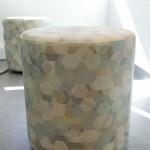 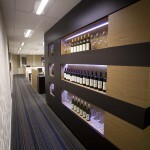 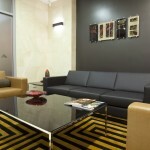 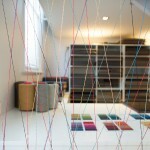 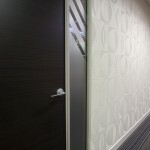 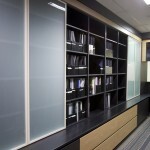 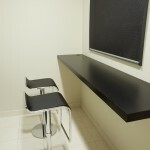 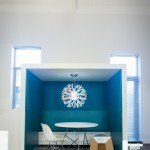 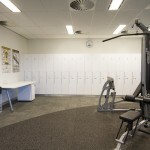 What are Office Show Suites? 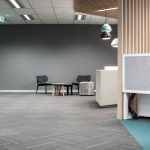 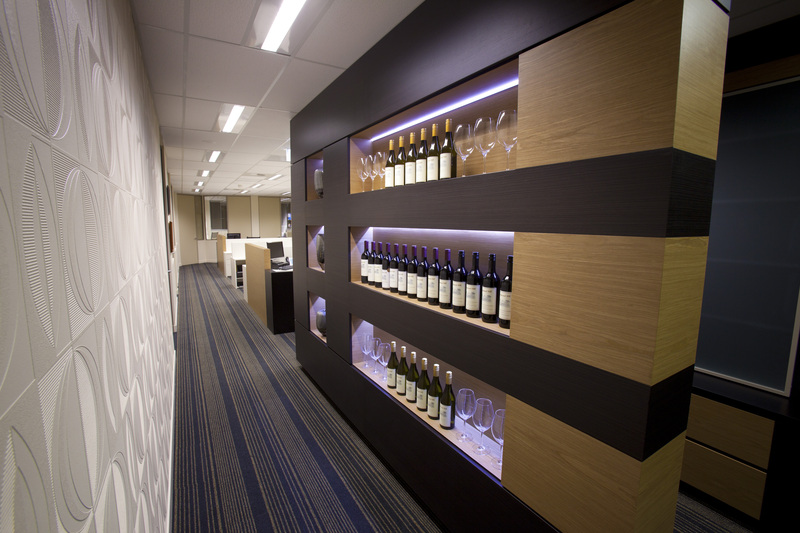 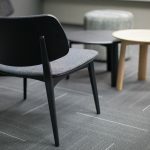 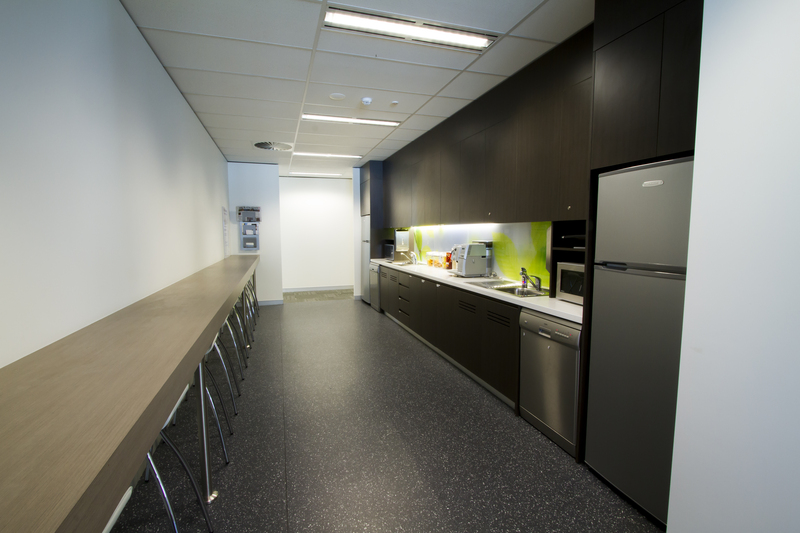 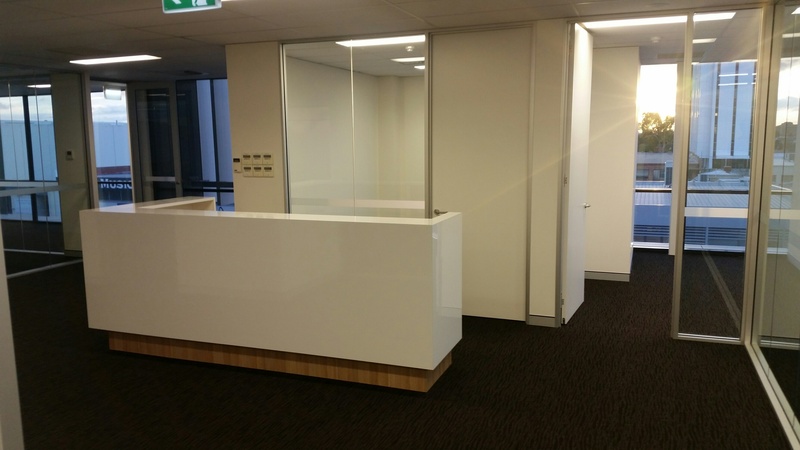 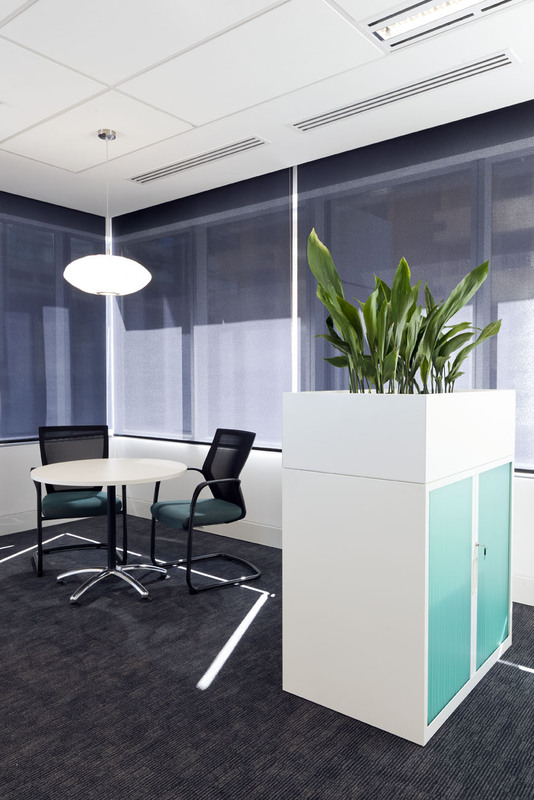 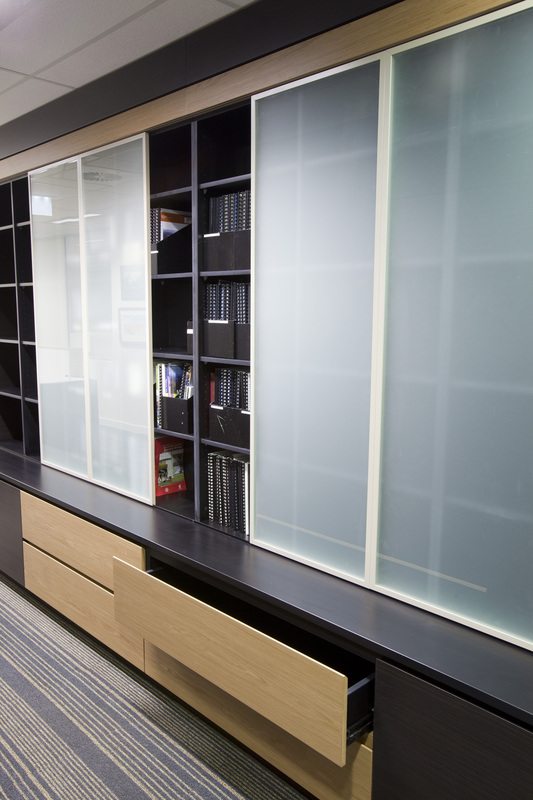 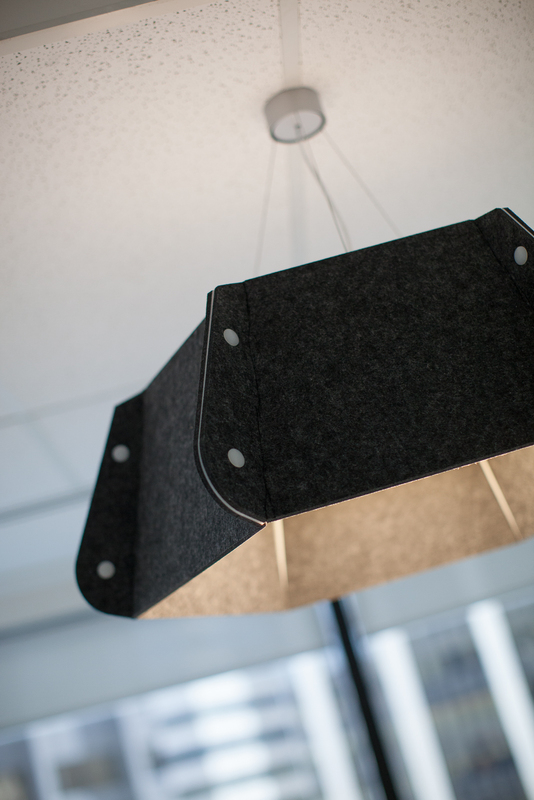 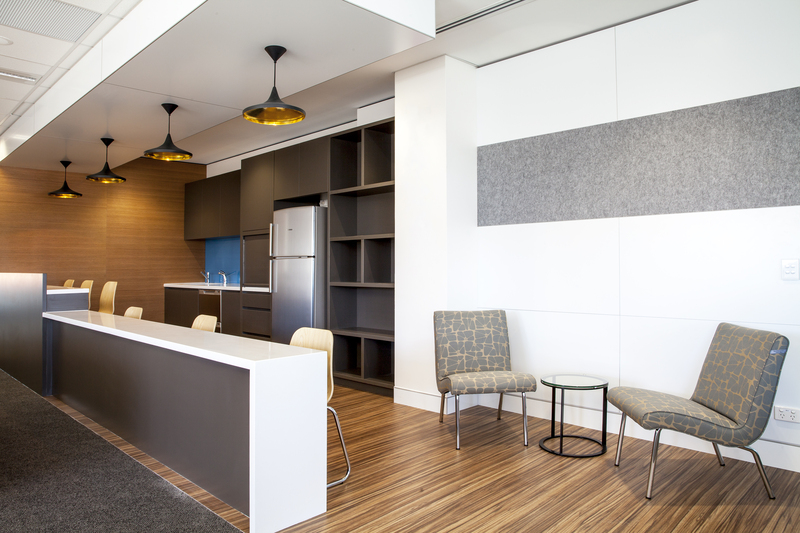 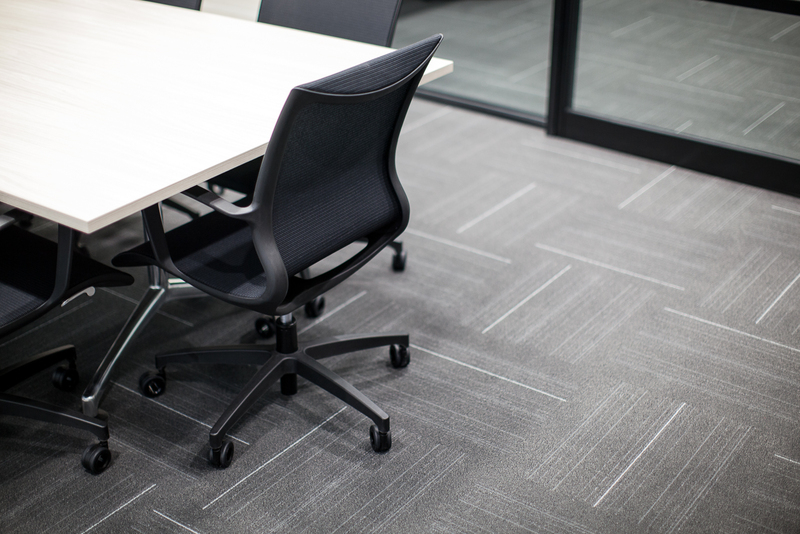 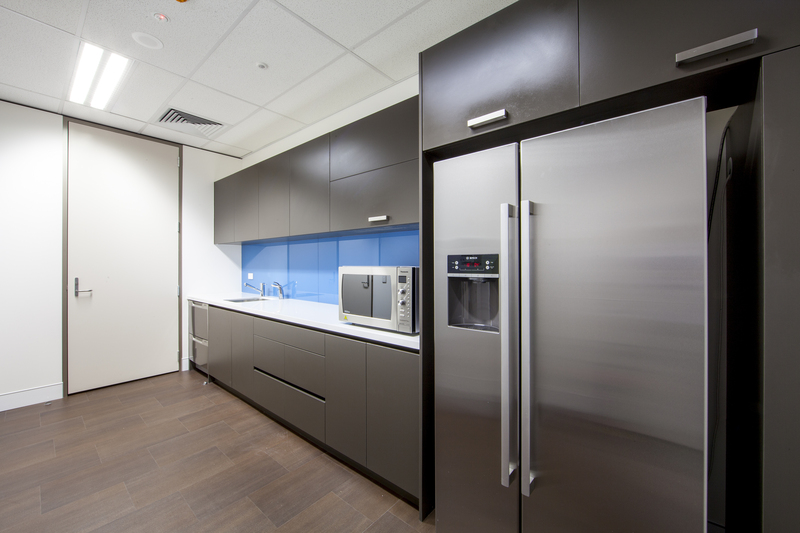 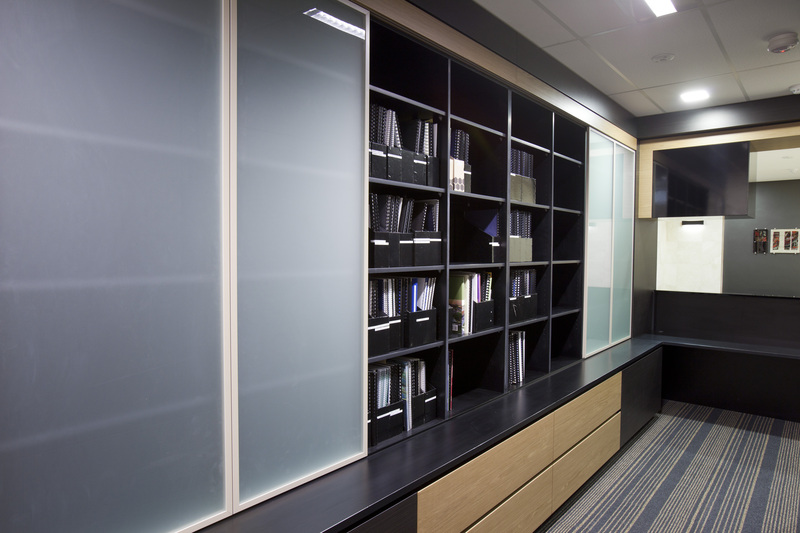 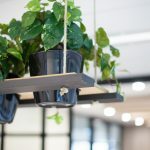 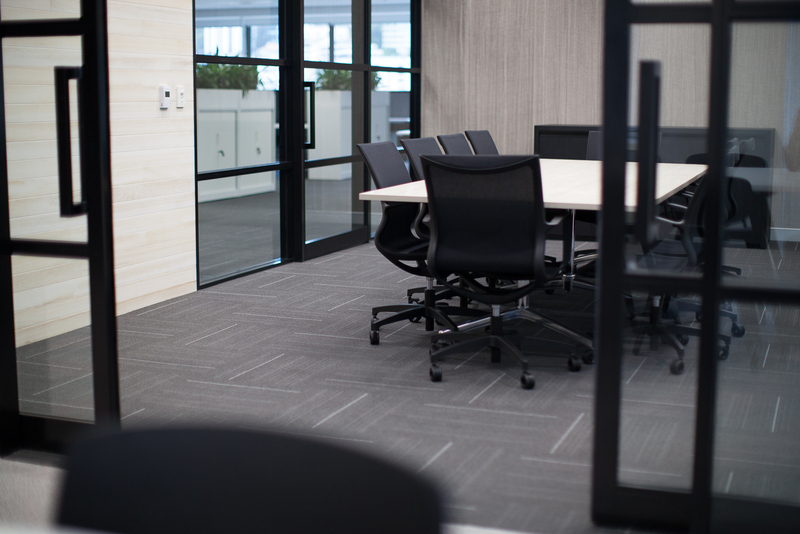 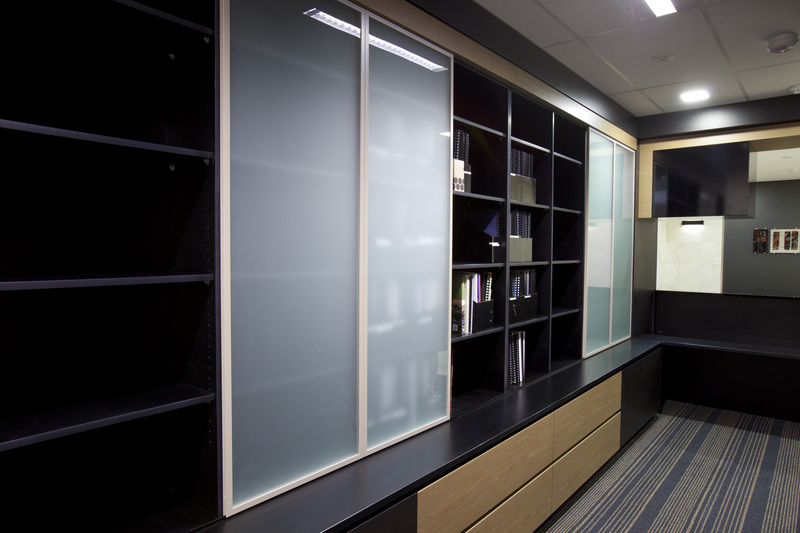 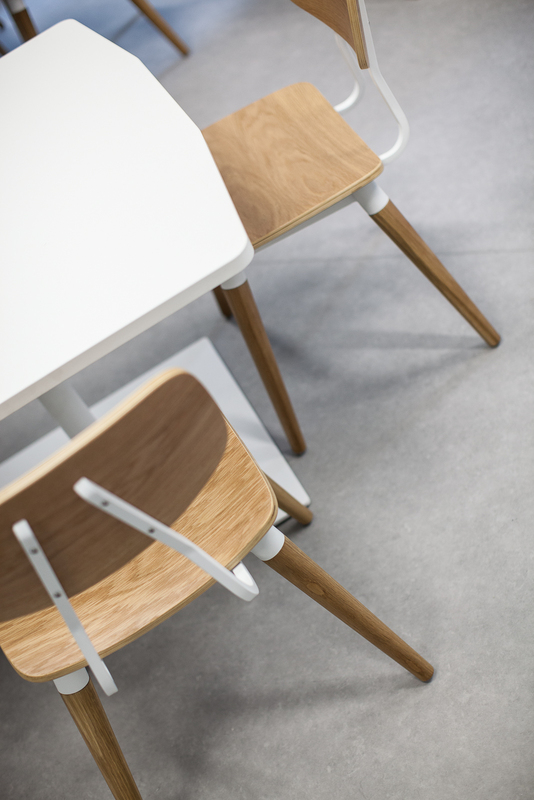 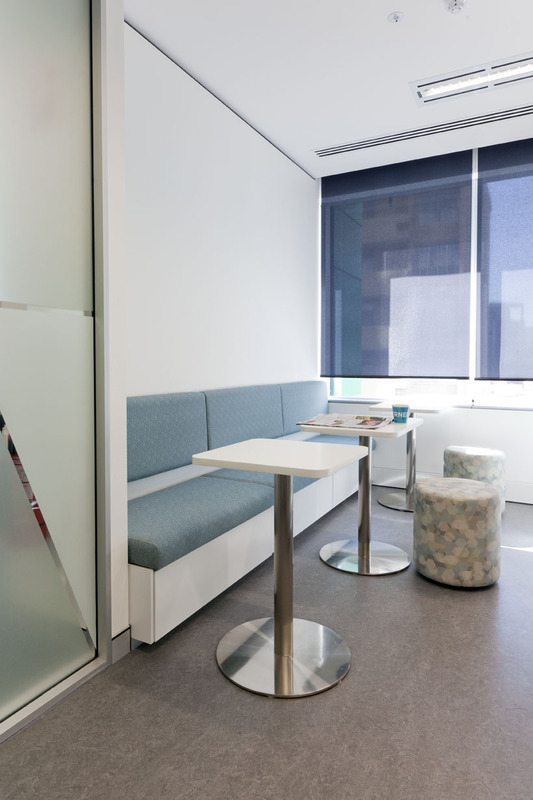 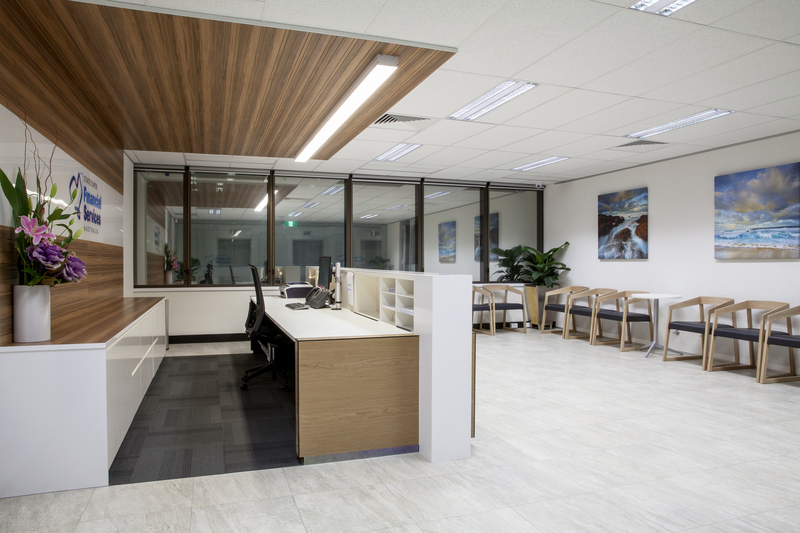 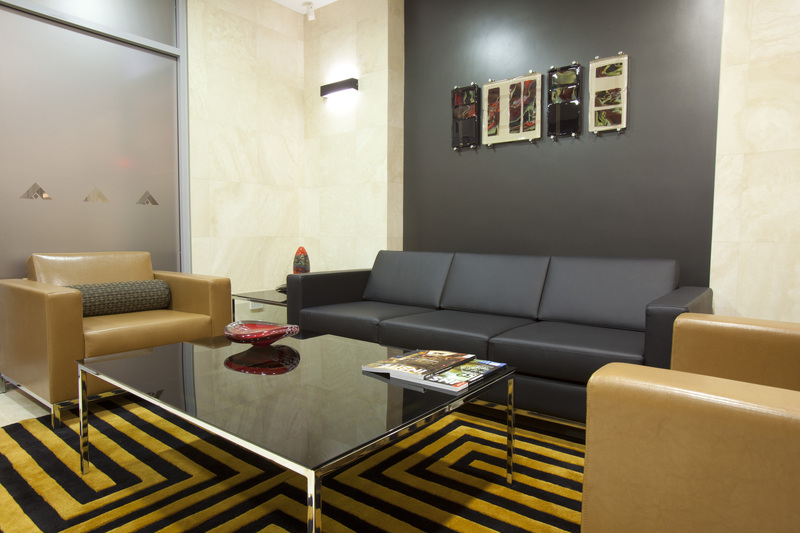 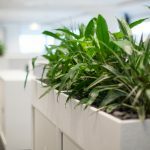 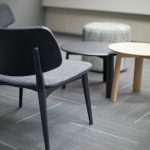 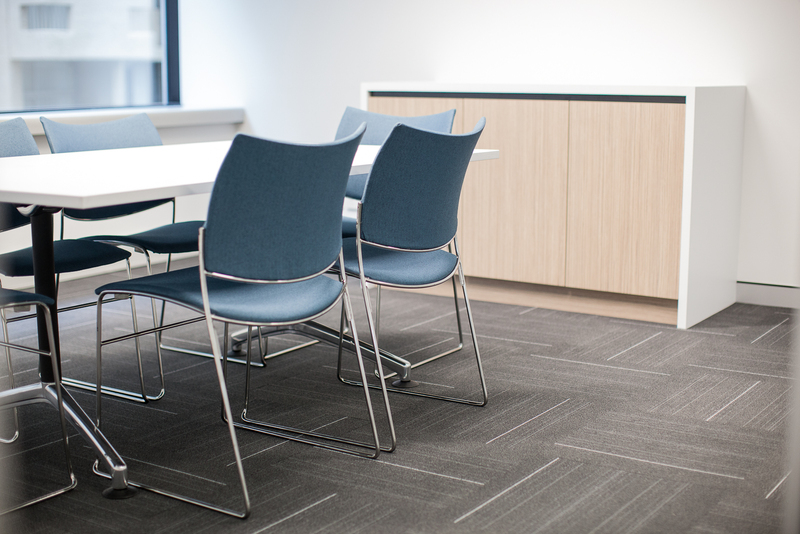 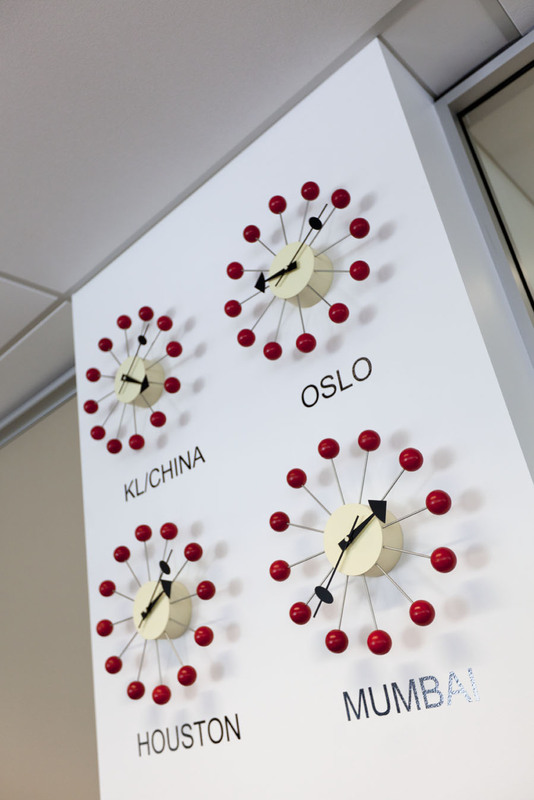 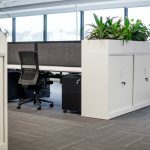 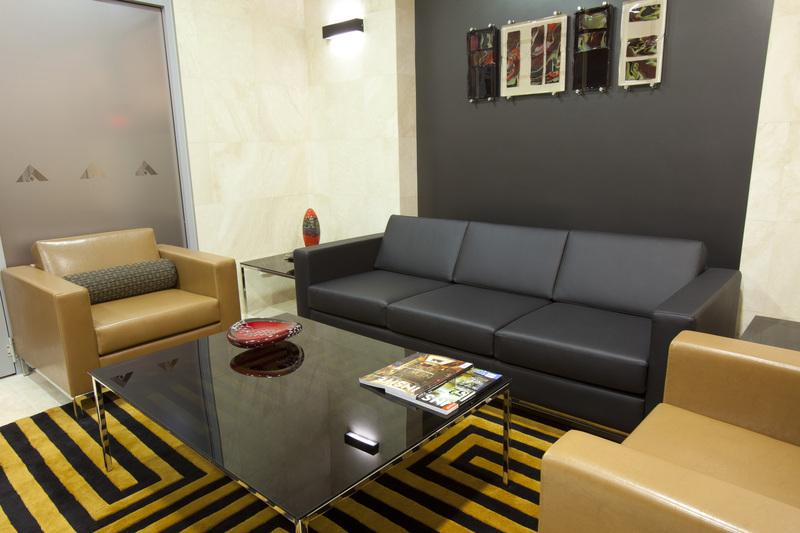 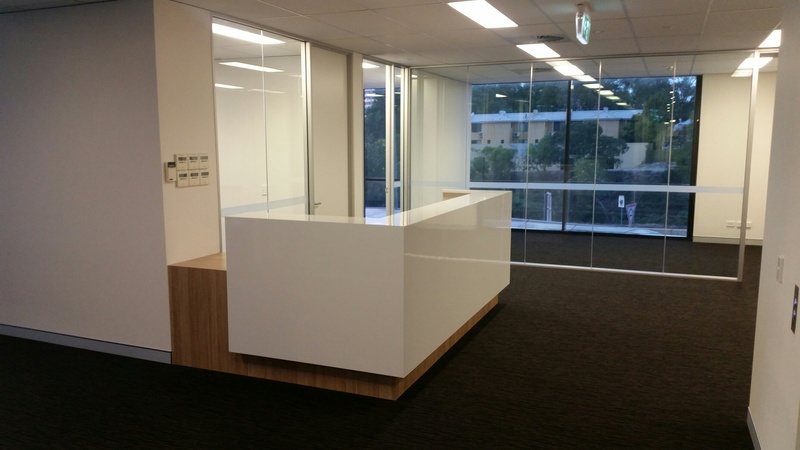 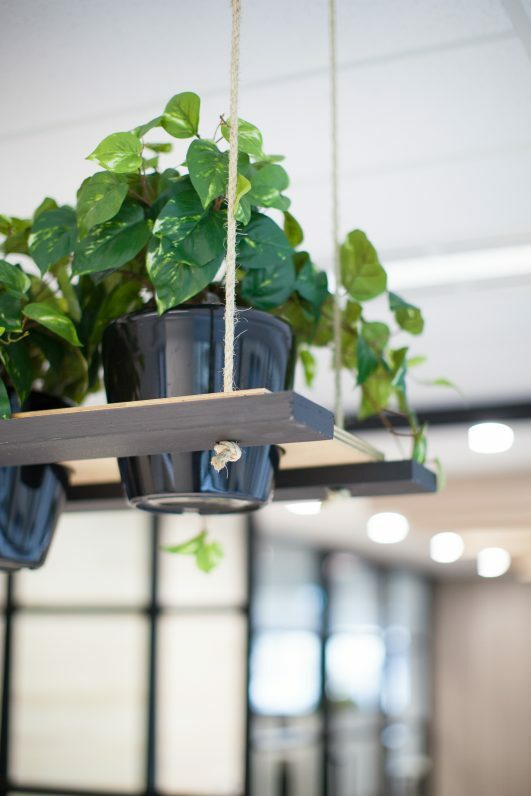 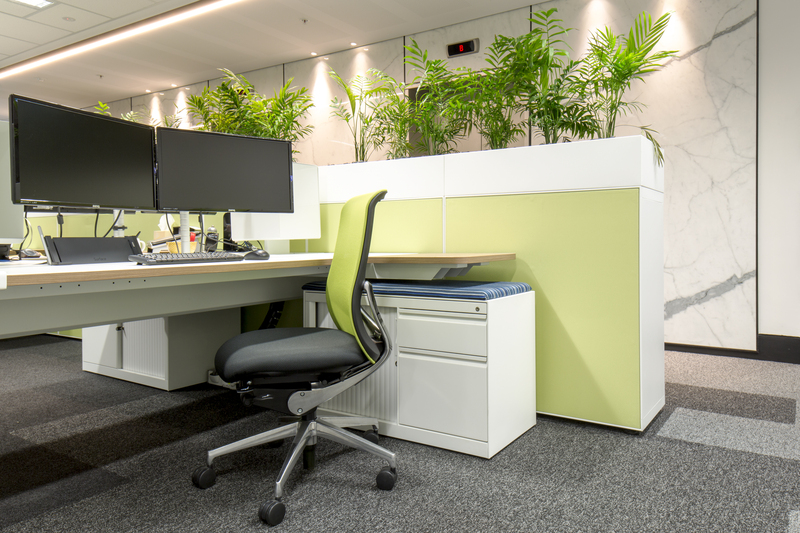 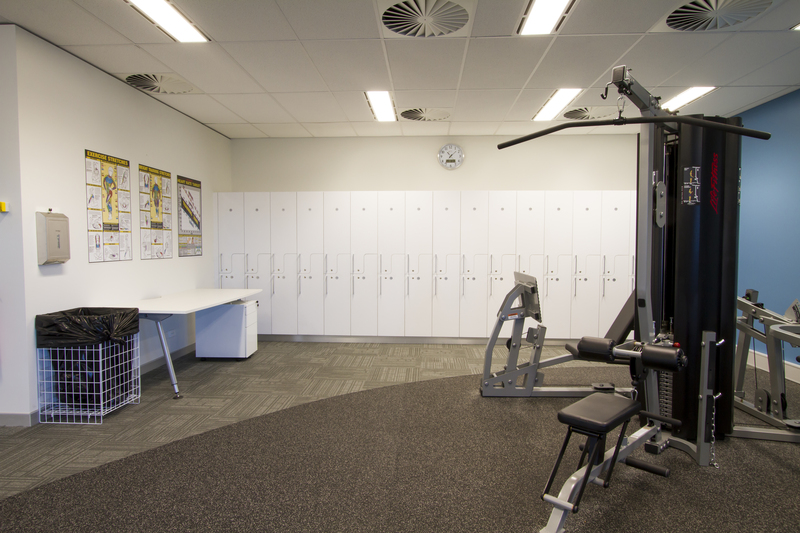 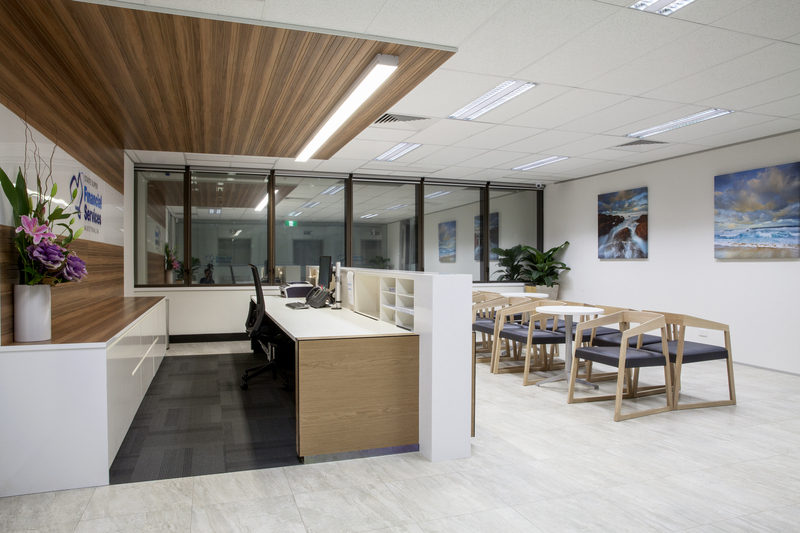 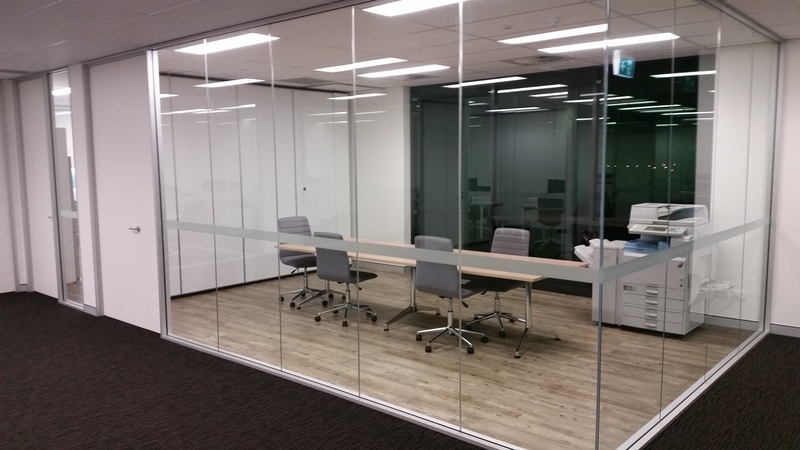 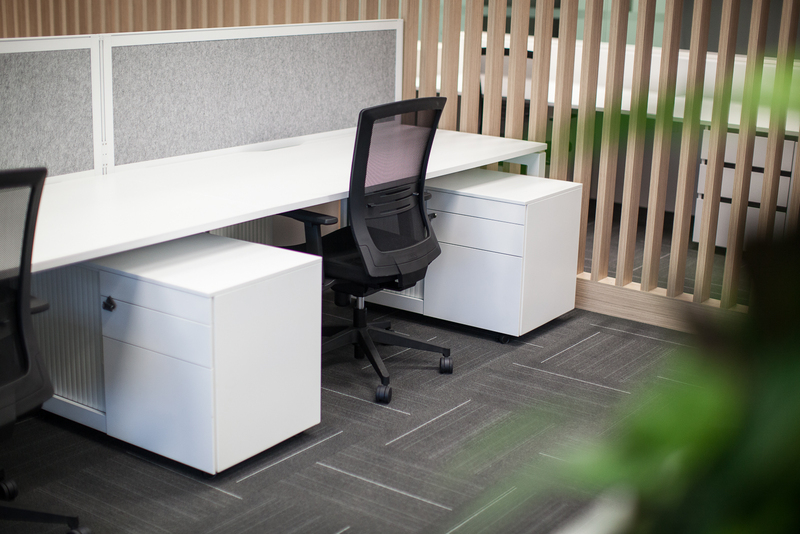 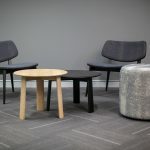 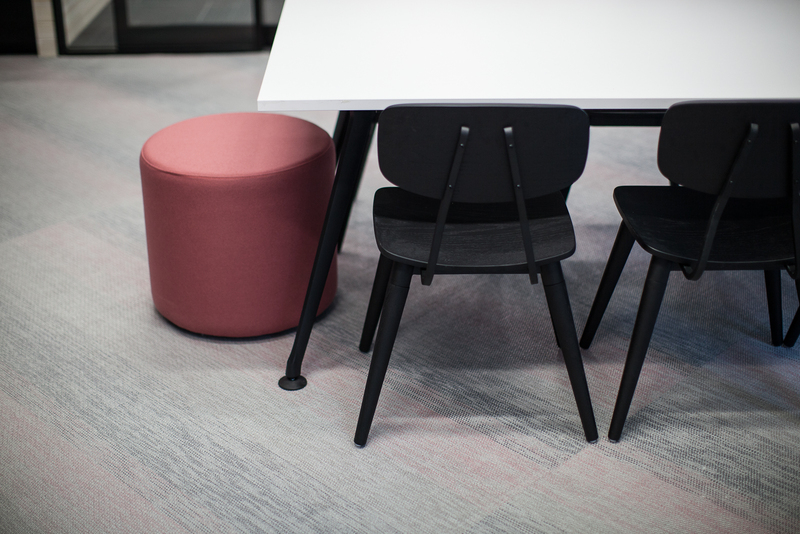 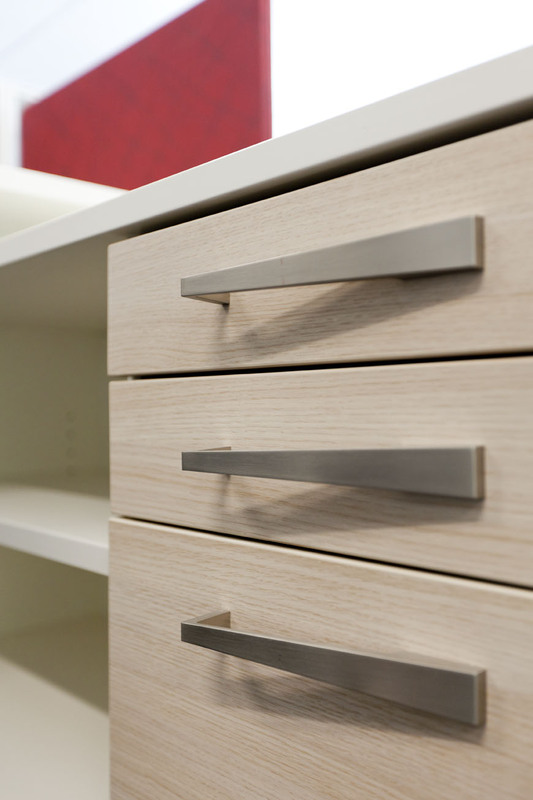 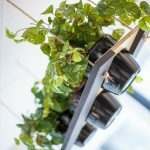 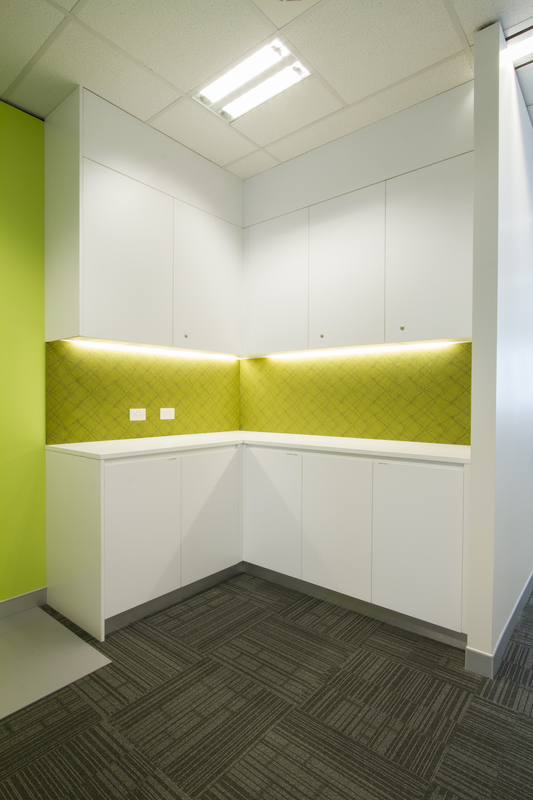 Office show suites are like mini office fit-outs, where buildings are fitted with items like reception areas, breakout spaces and work areas to give tenants an idea of what they’ll be getting if they choose to lease the office space. 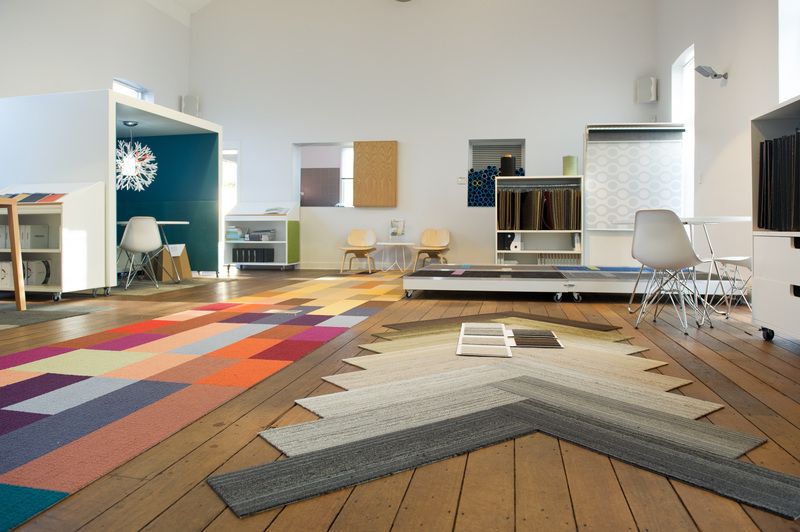 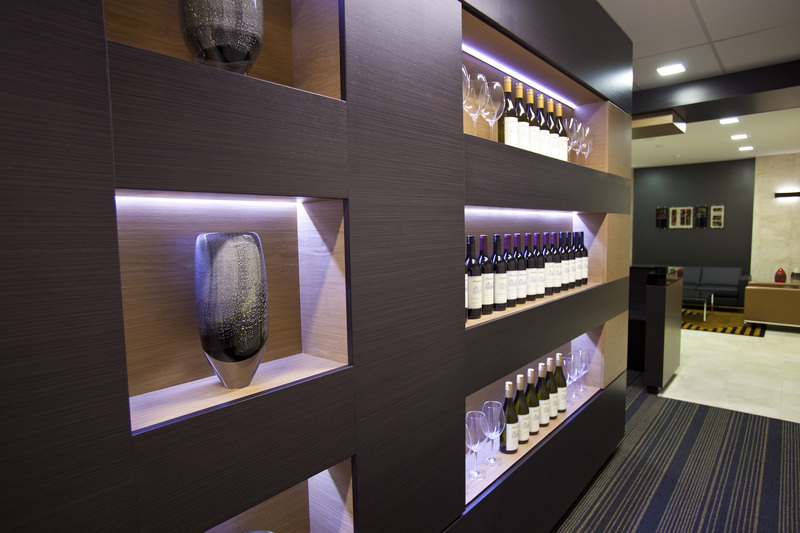 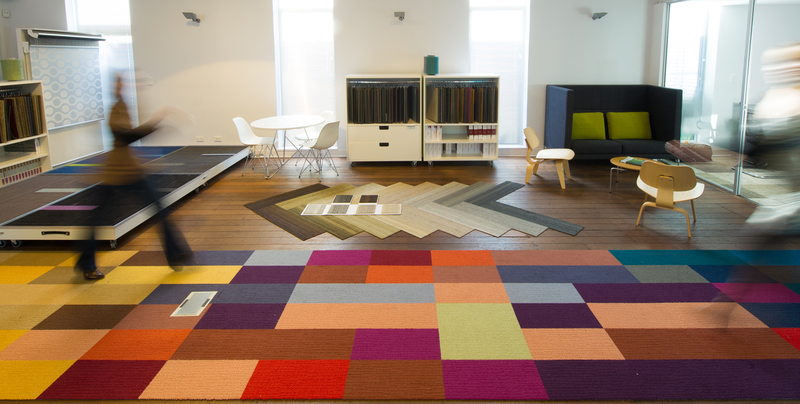 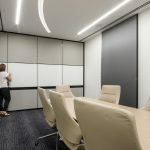 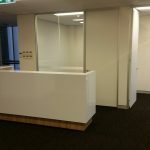 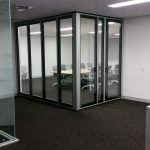 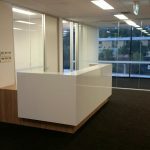 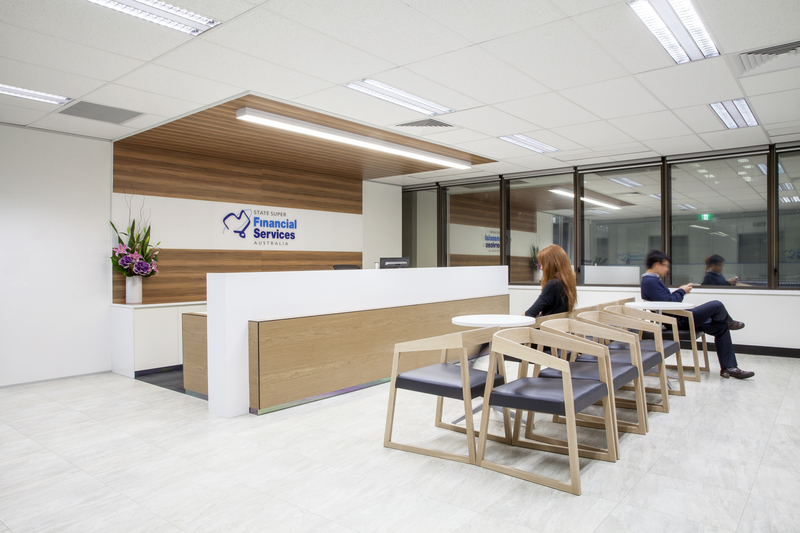 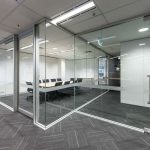 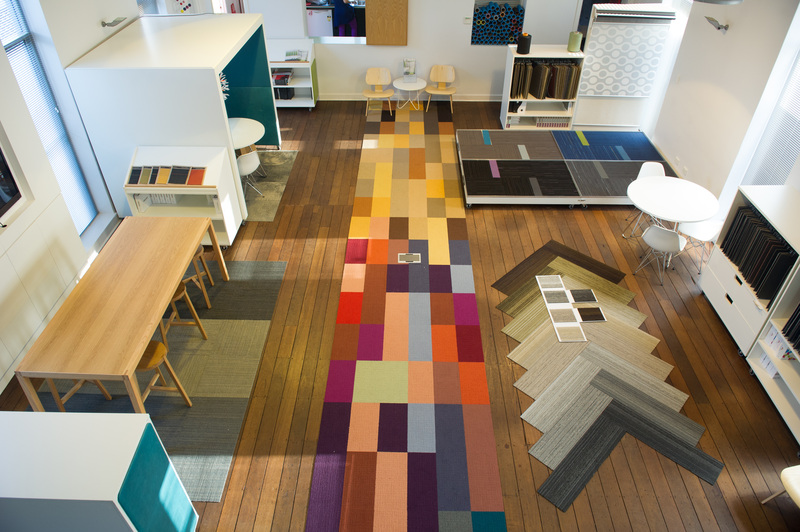 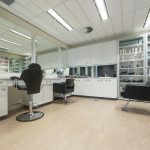 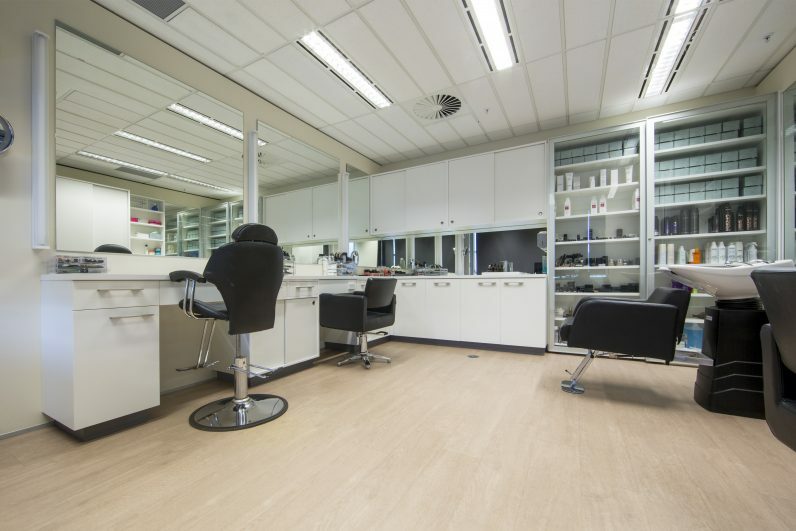 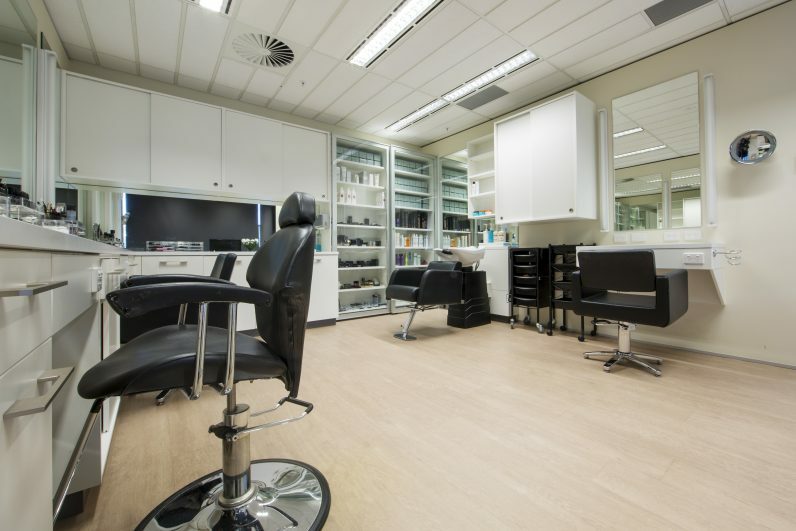 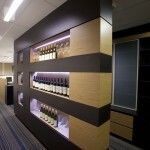 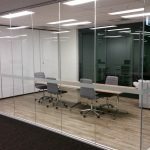 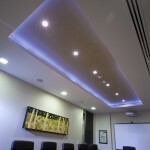 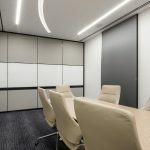 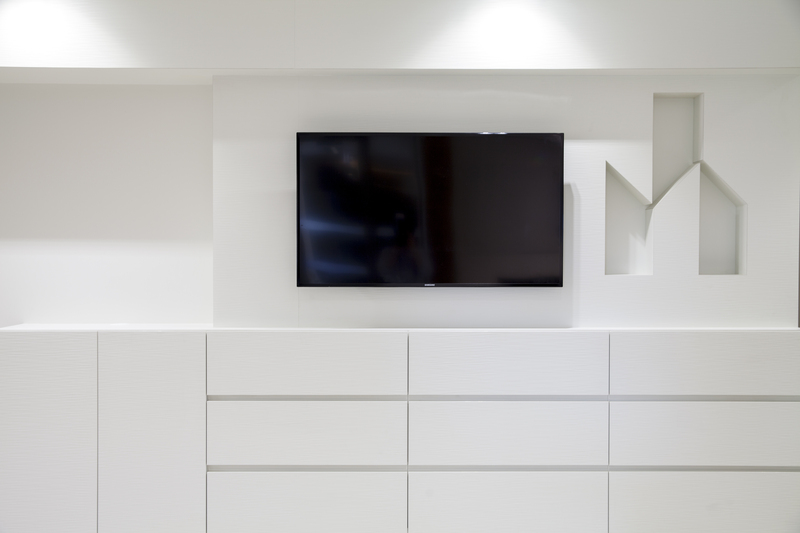 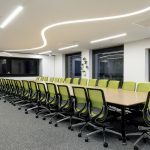 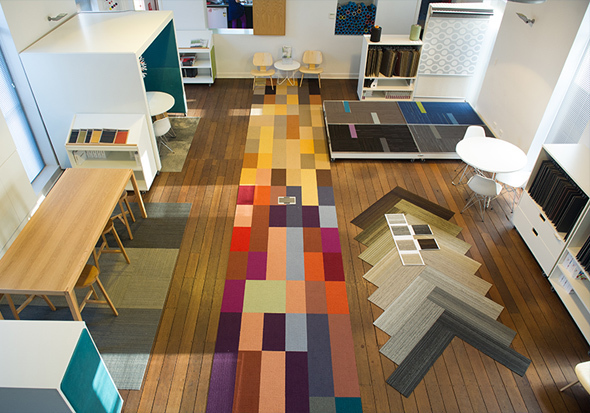 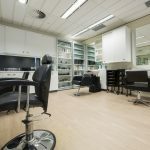 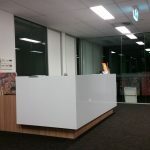 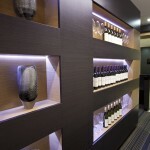 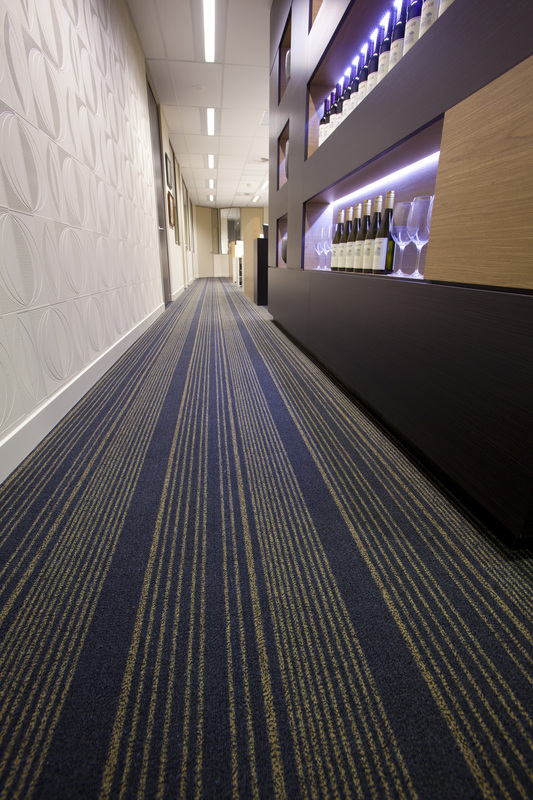 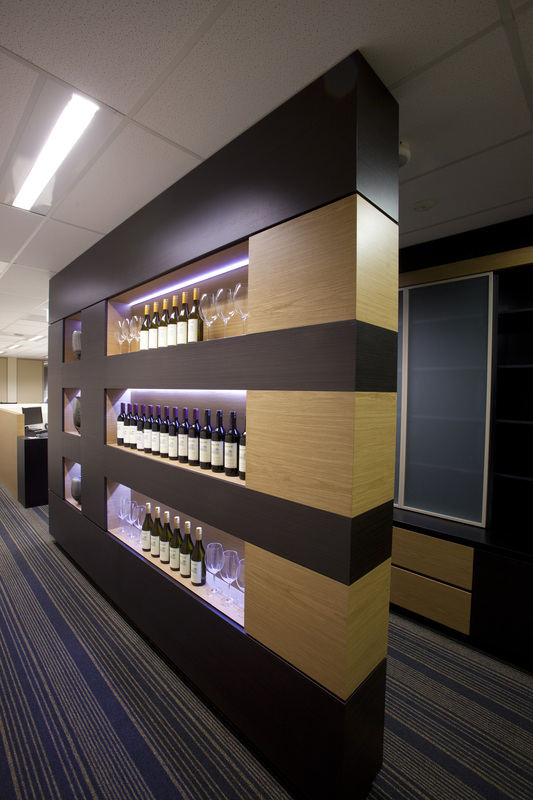 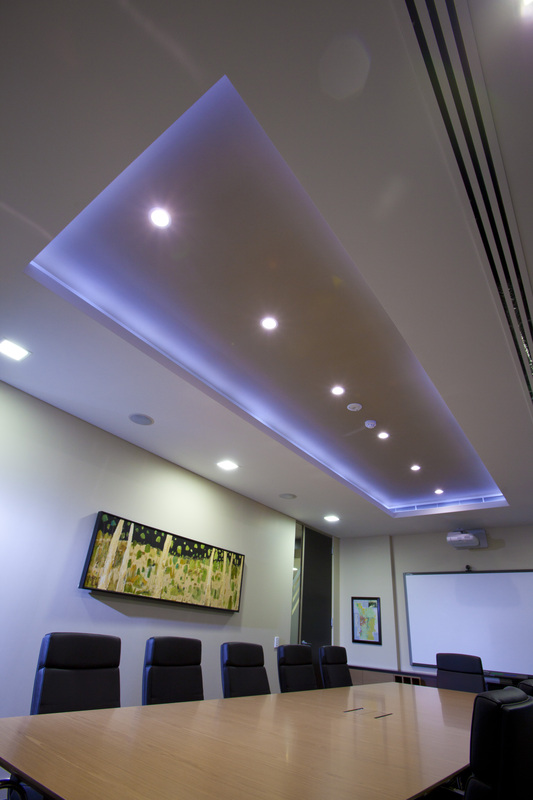 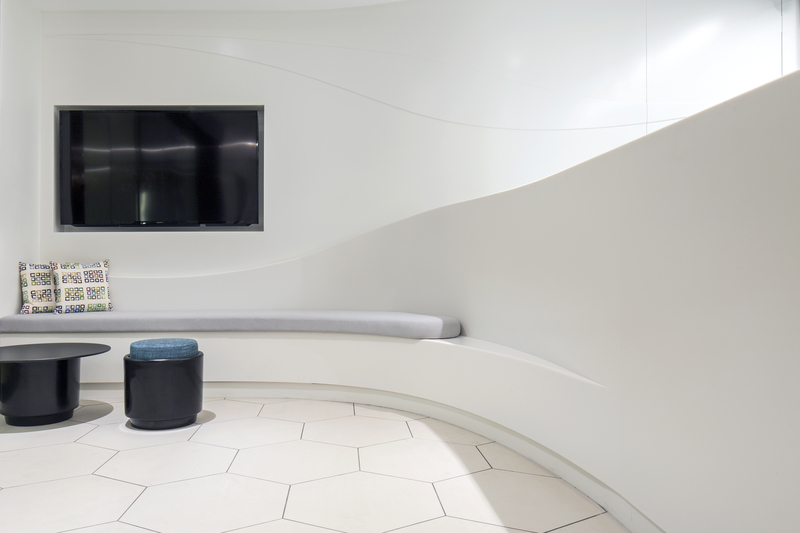 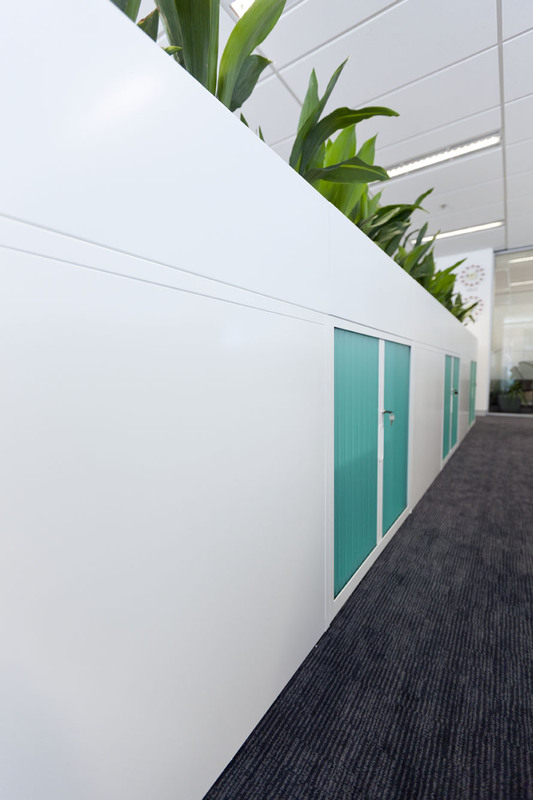 These commercial show suite fitouts can be temporary, or they can be a permanent design solution, so when trying to lease the property, landlords can take a ‘what you see is what you get’ sales approach. 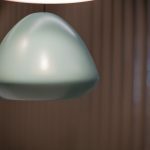 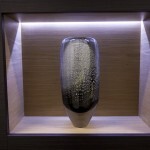 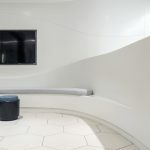 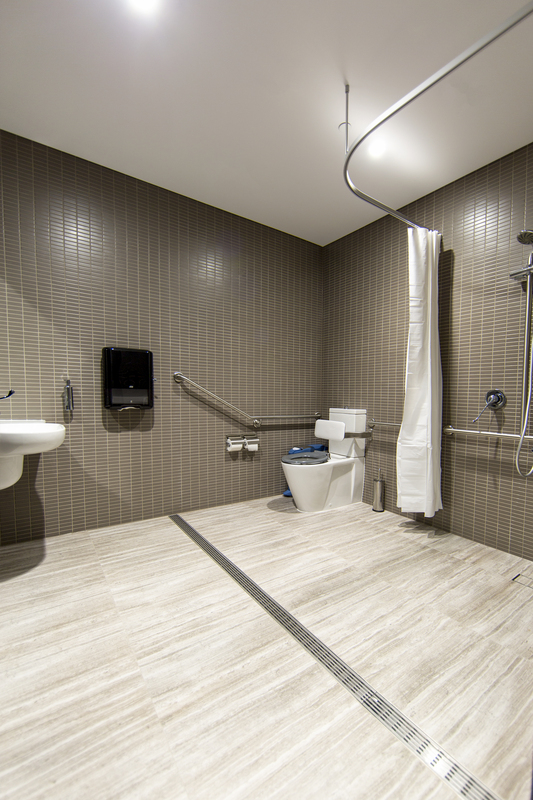 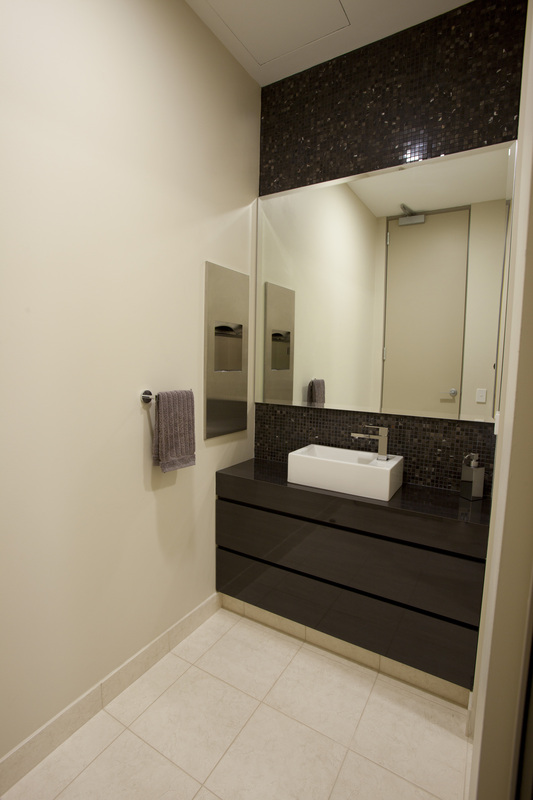 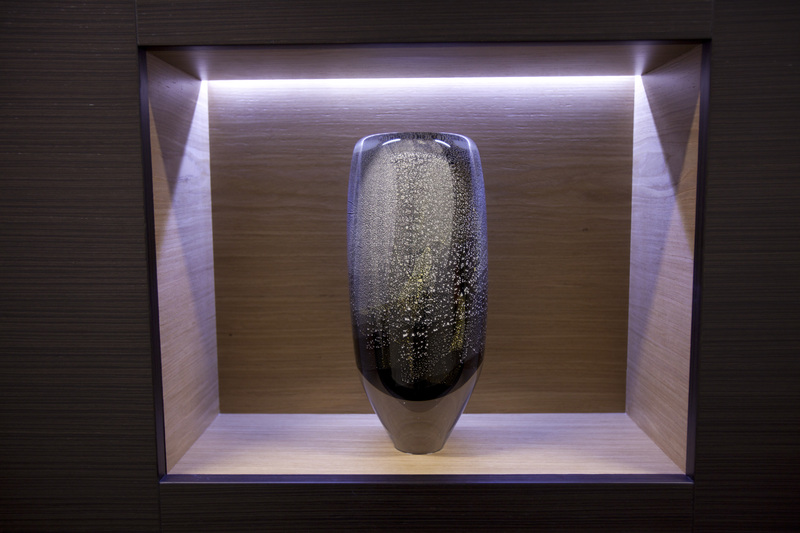 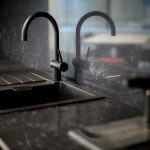 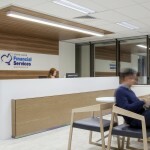 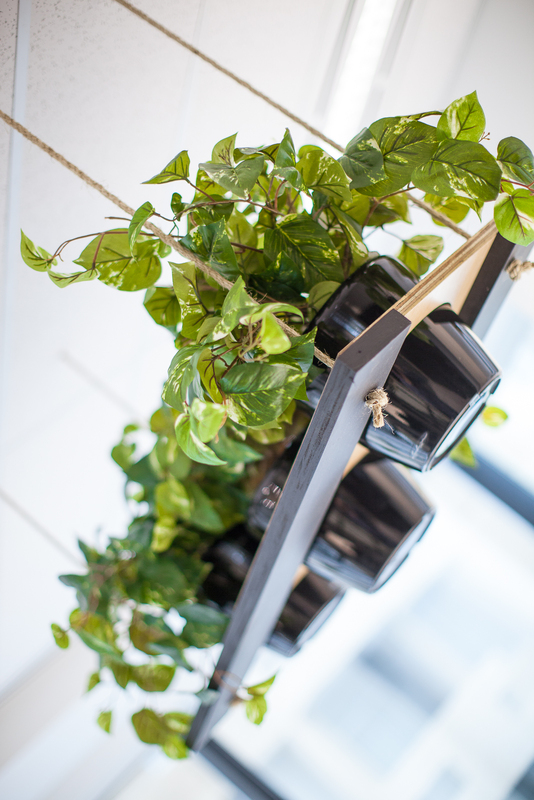 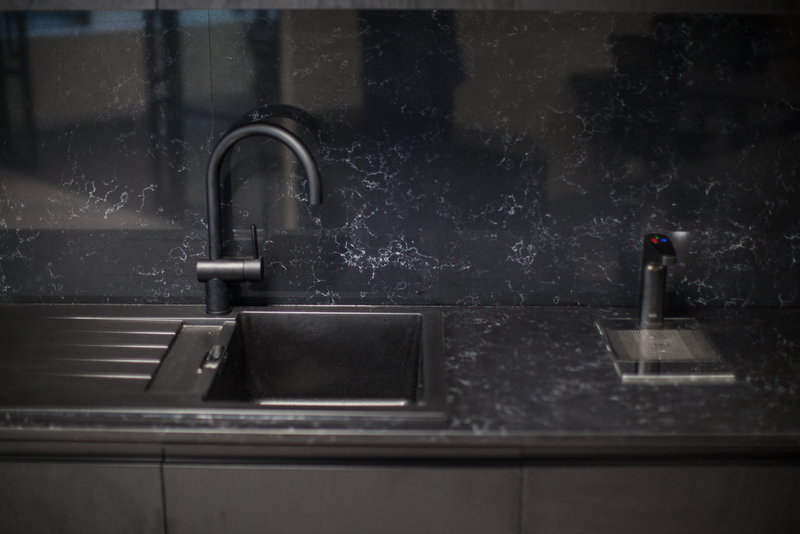 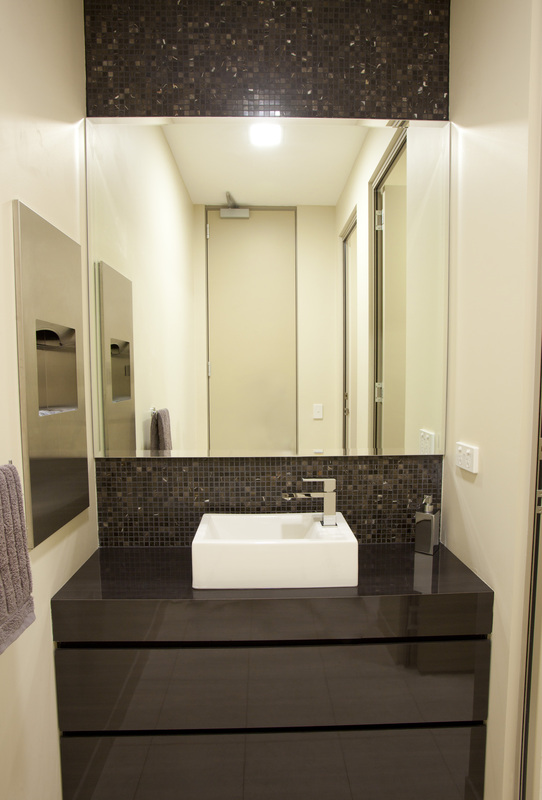 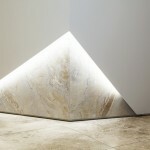 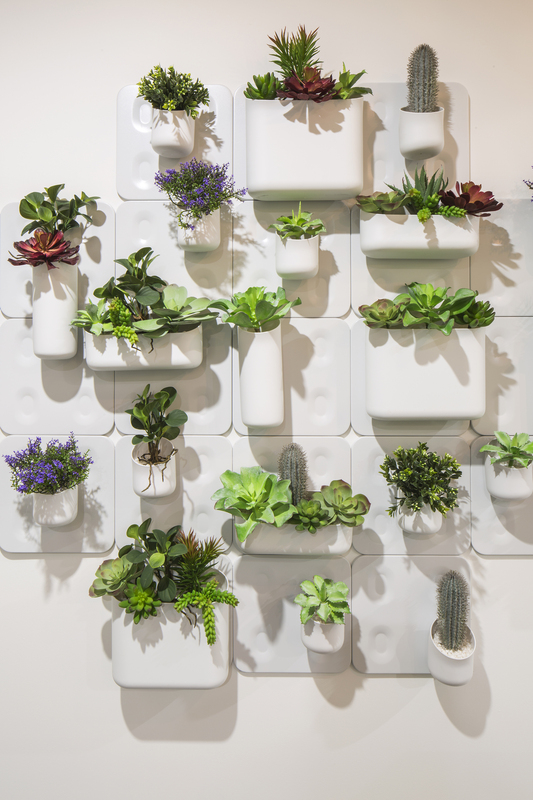 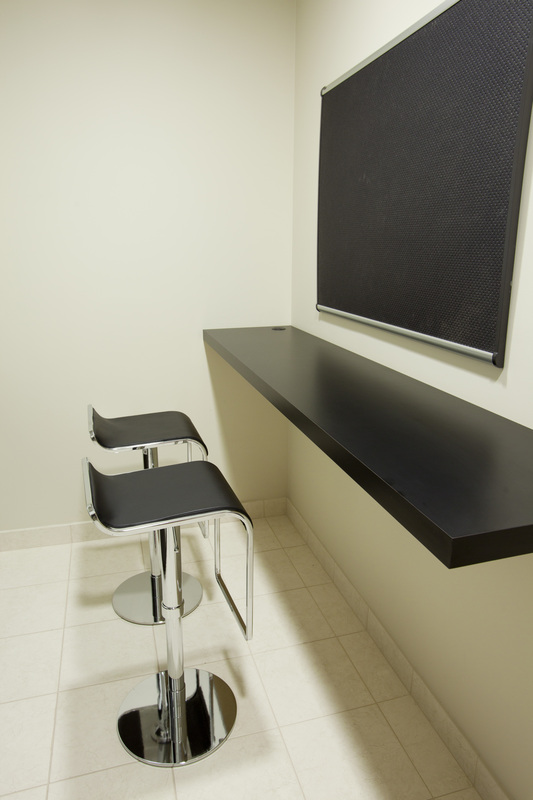 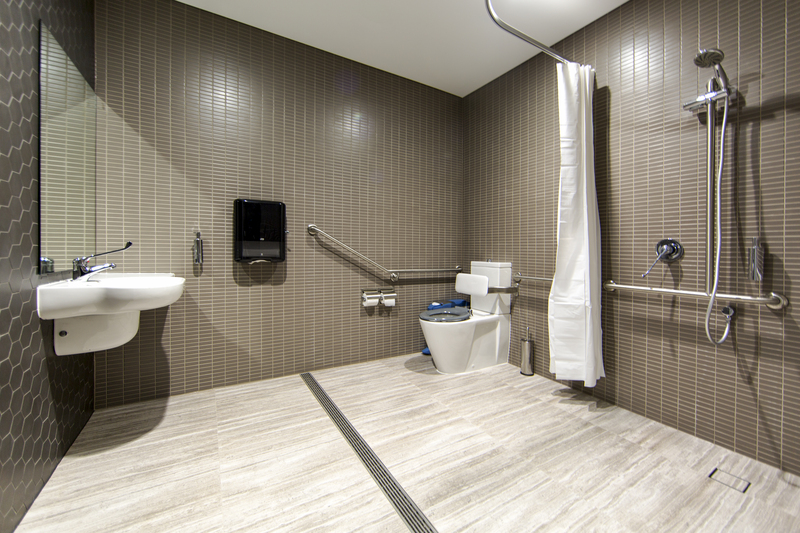 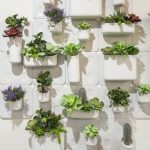 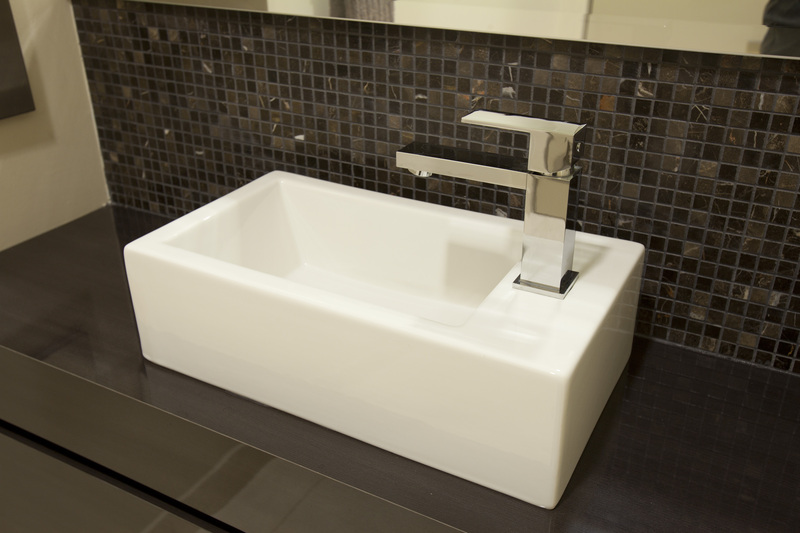 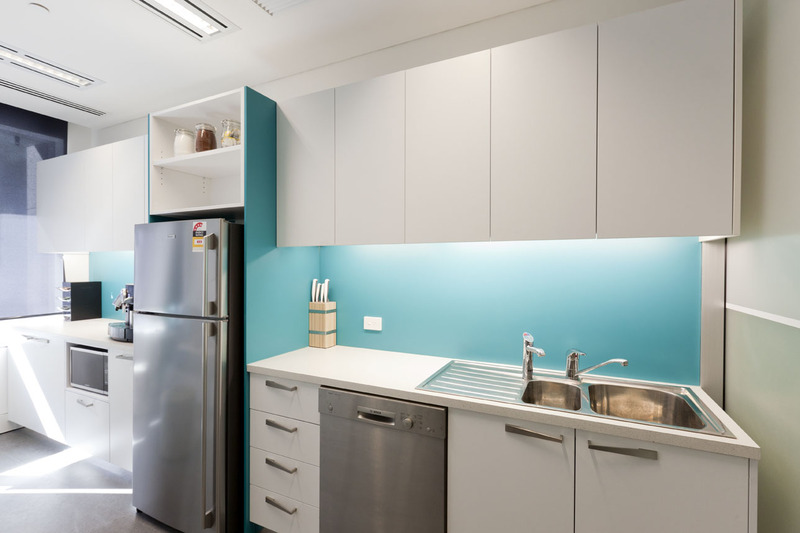 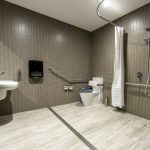 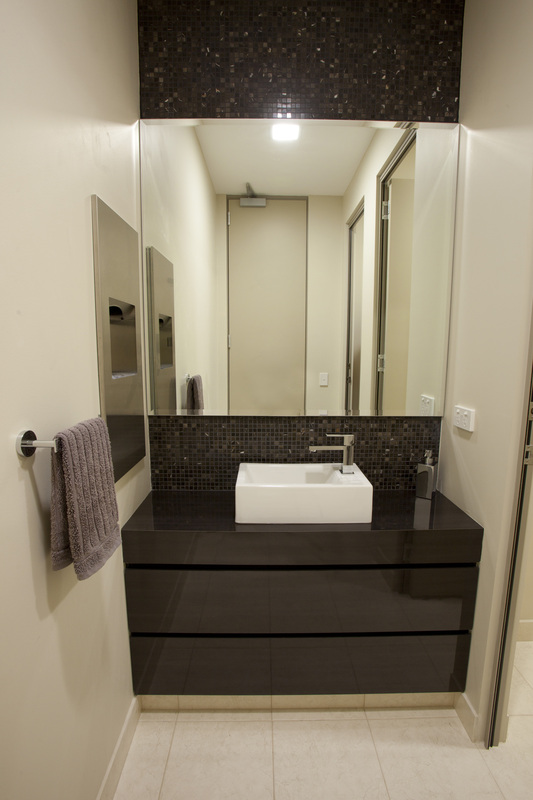 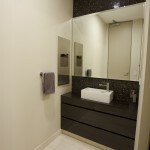 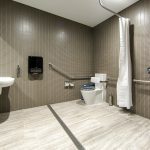 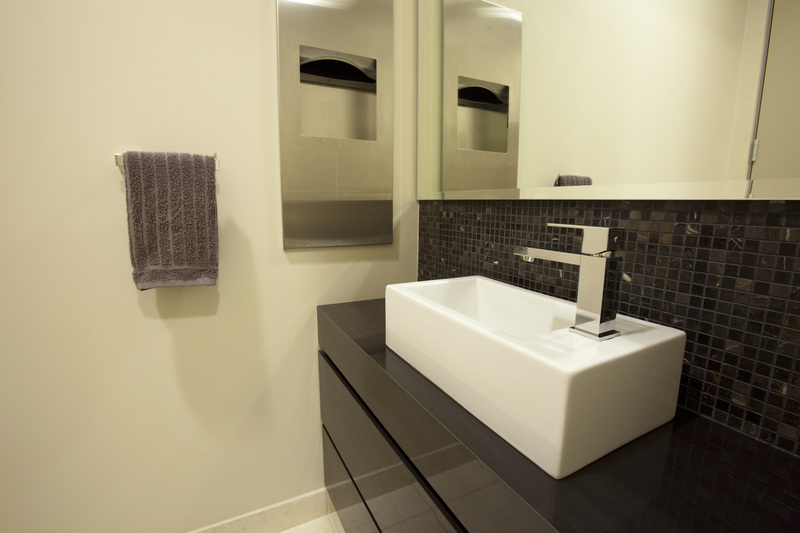 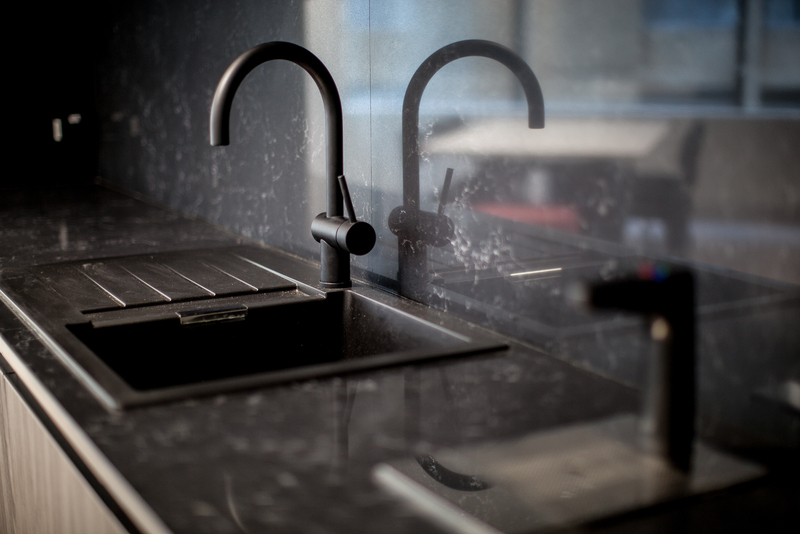 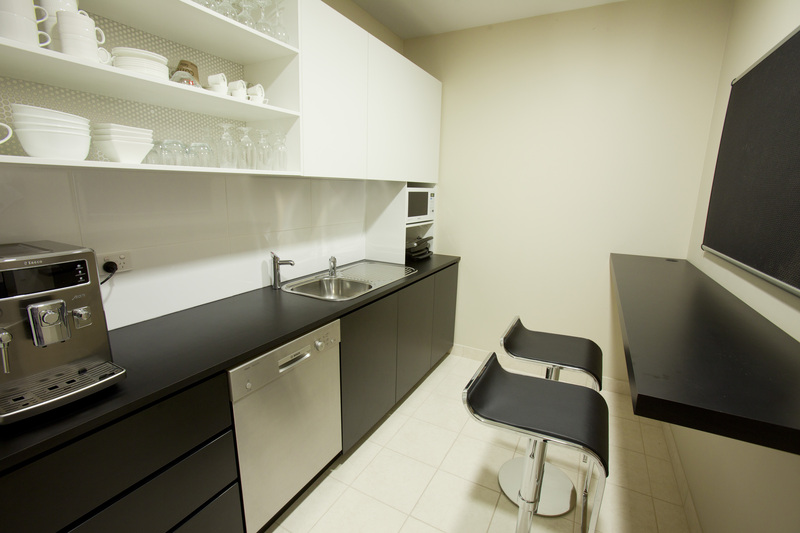 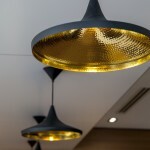 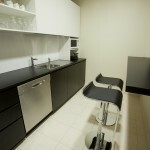 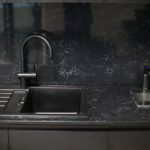 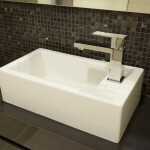 This means that during the design and construction process, every care will be taken to create a space that’s functional, efficient, and visually appealing. 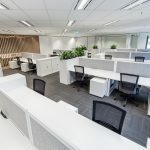 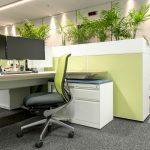 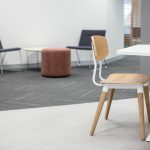 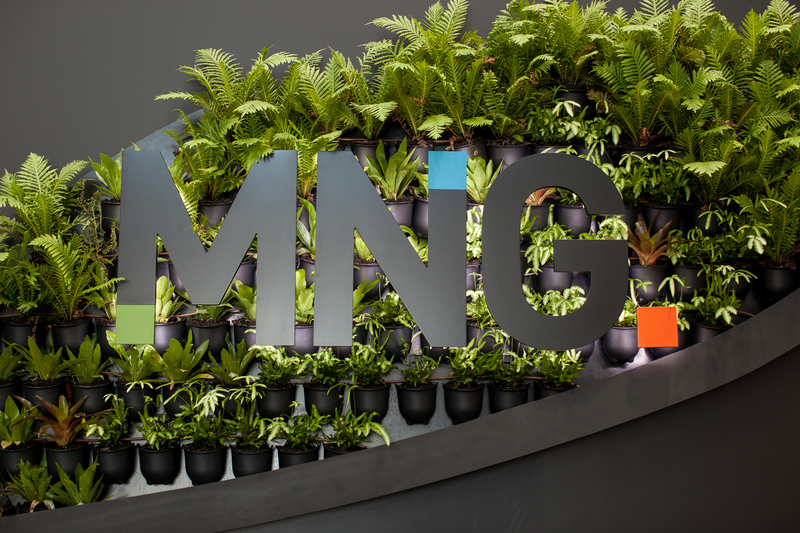 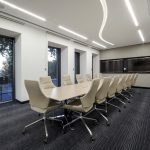 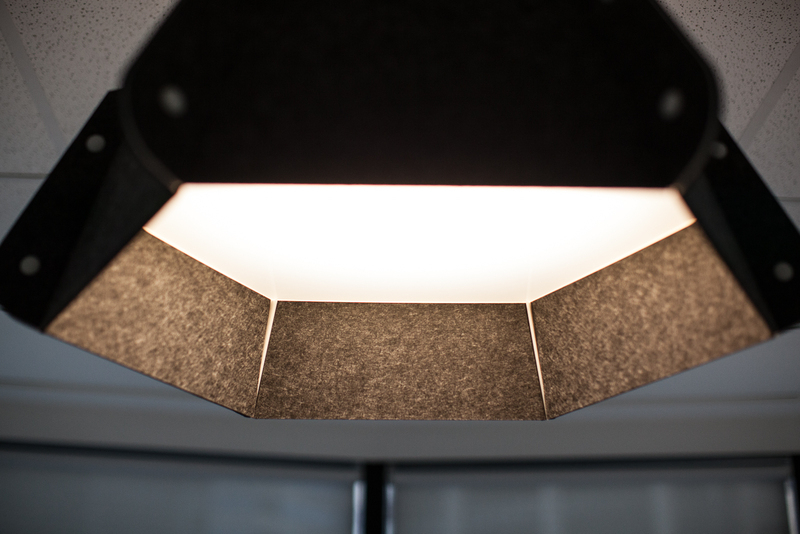 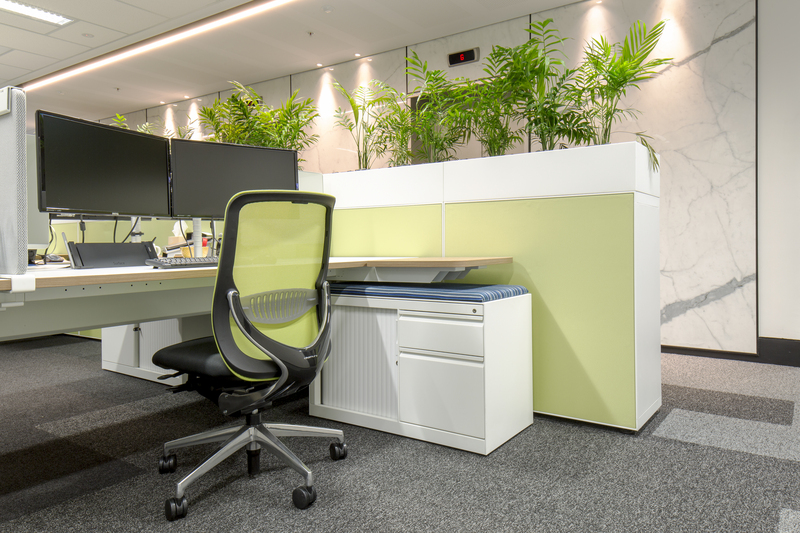 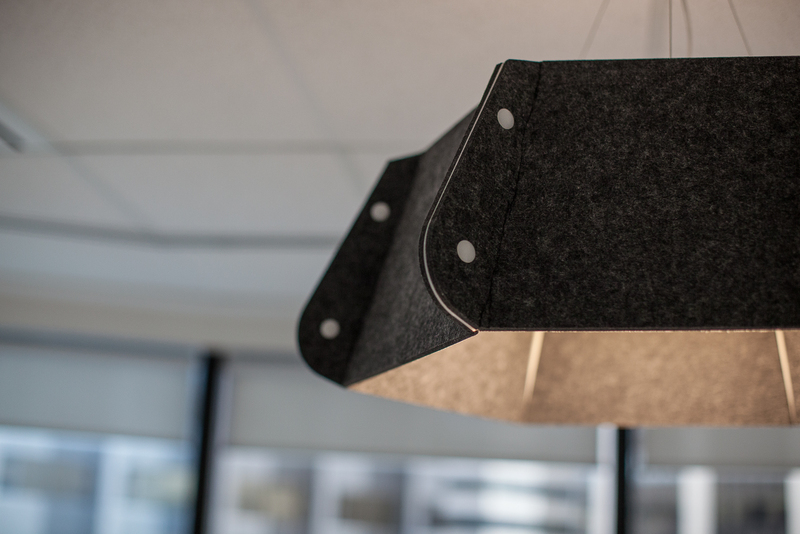 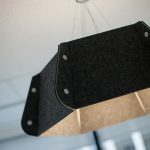 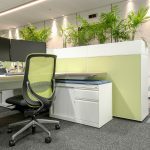 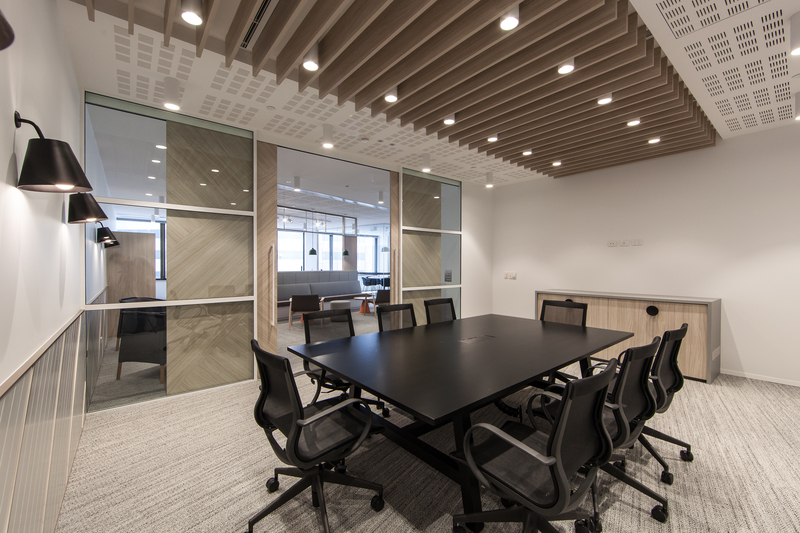 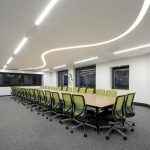 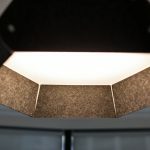 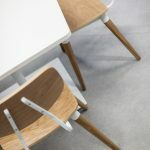 This includes incorporating popular design methods, like open office plans, central breakout areas, and including elements like office partitions and built-in furniture. 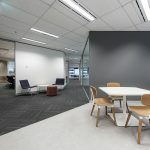 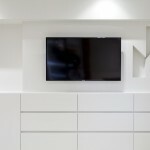 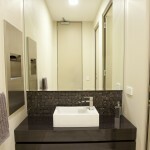 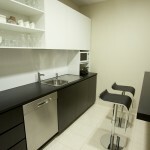 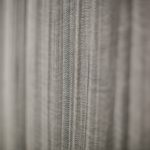 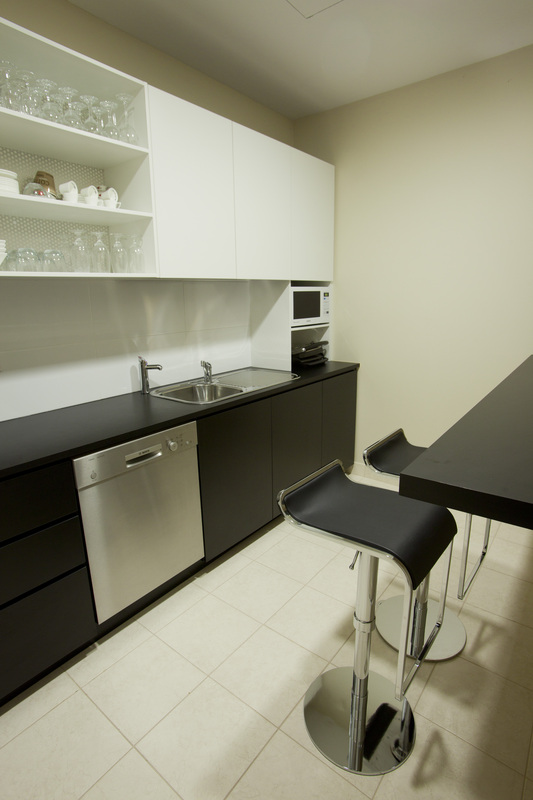 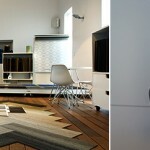 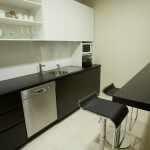 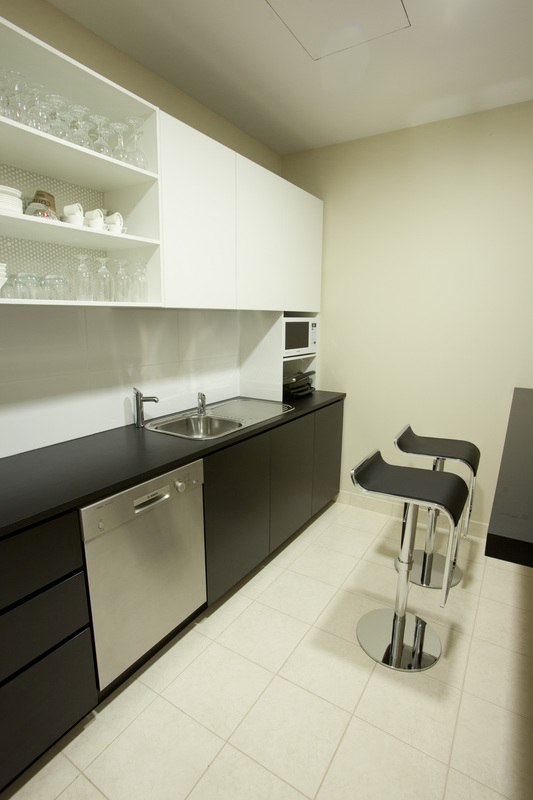 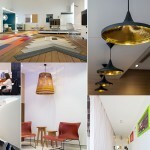 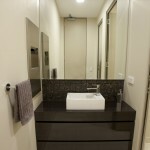 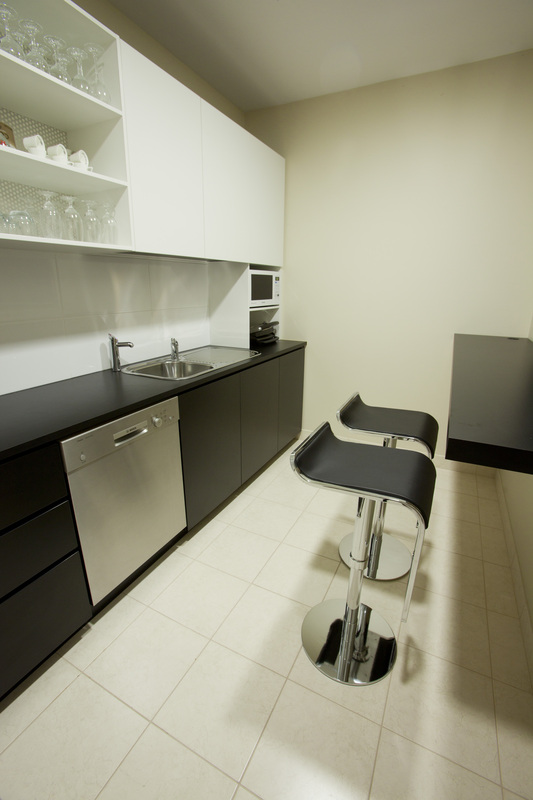 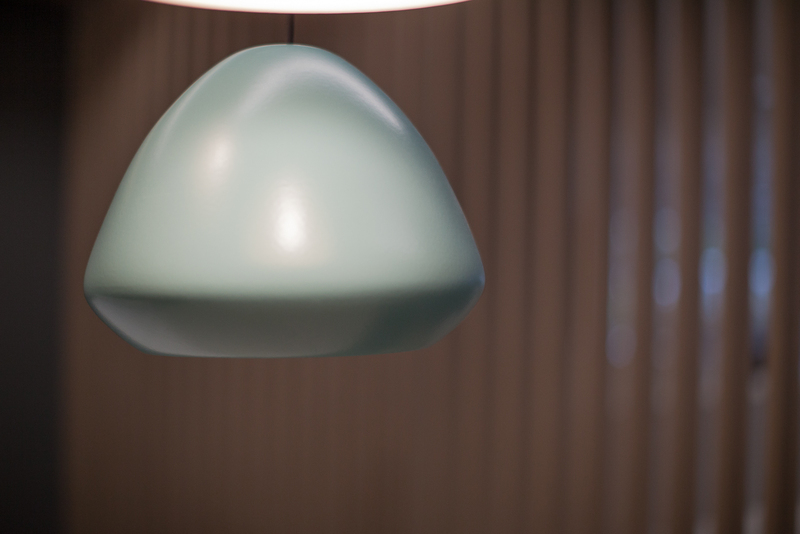 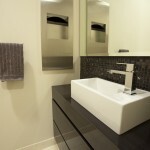 What Can You Expect When Working with DAVIDSON Projects? 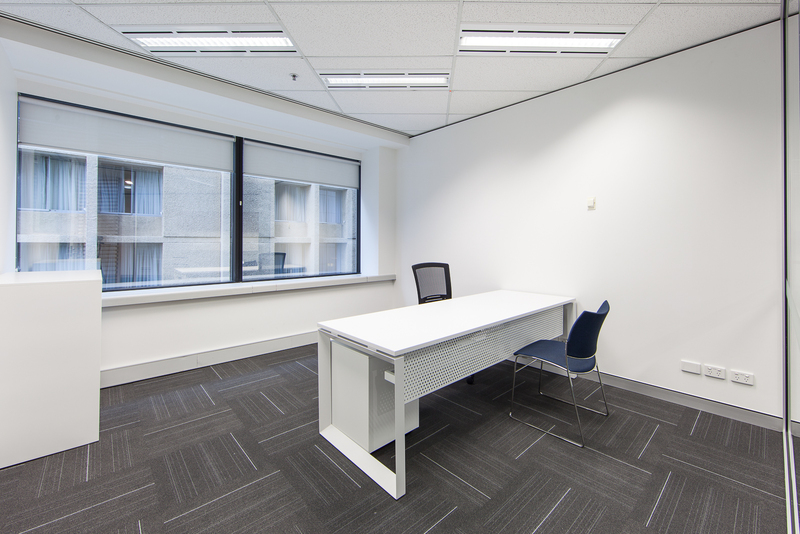 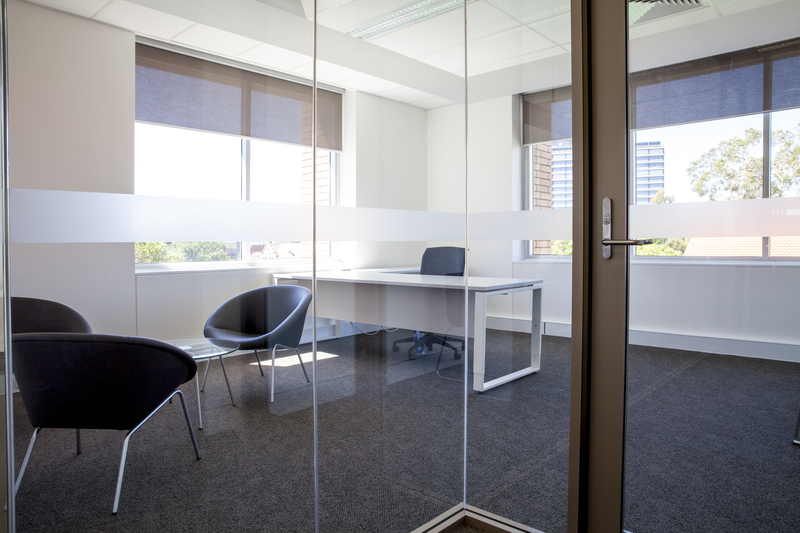 If you’re a landlord or project manager looking to increase the appeal of a vacant office space, get in touch with the team at DAVIDSON Projects today! 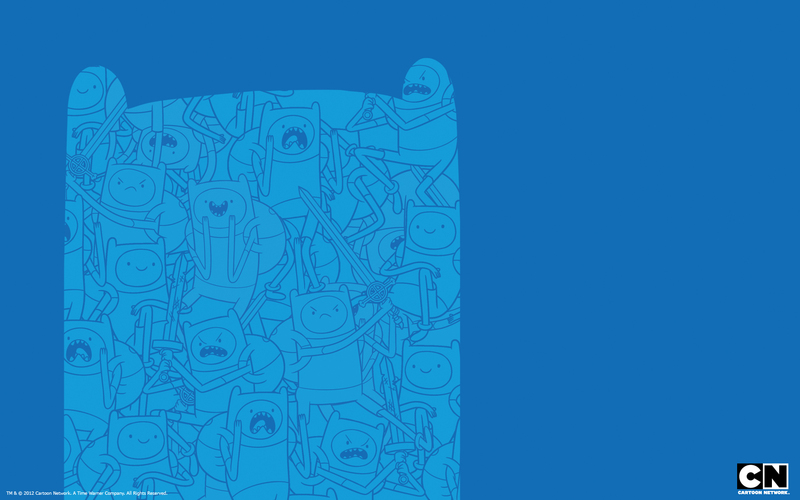 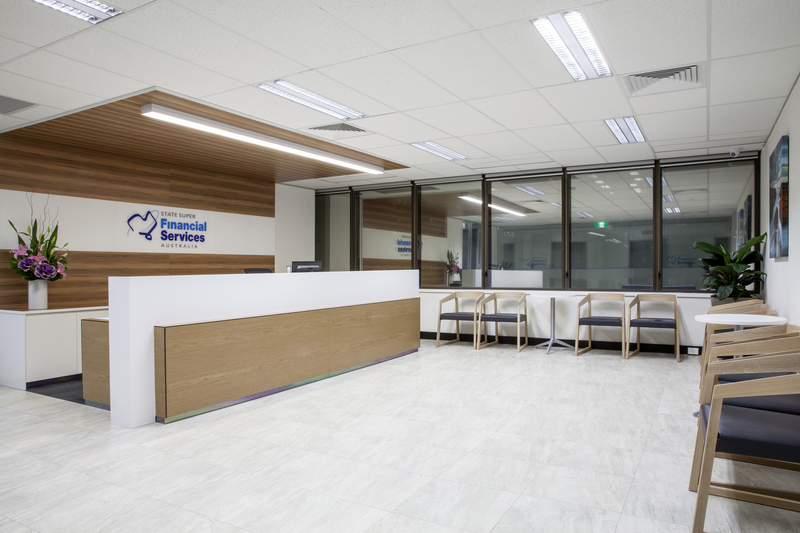 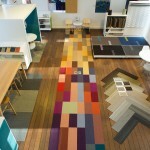 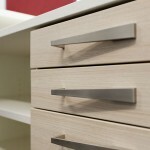 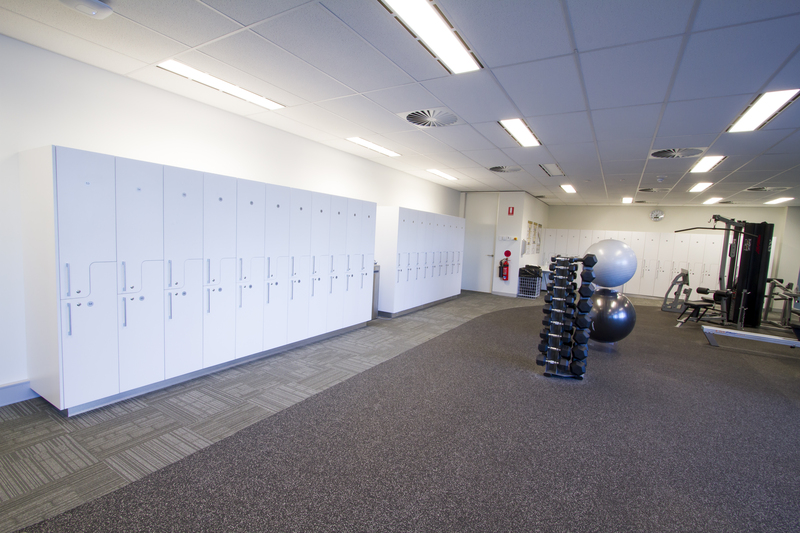 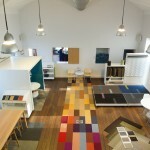 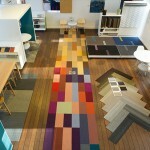 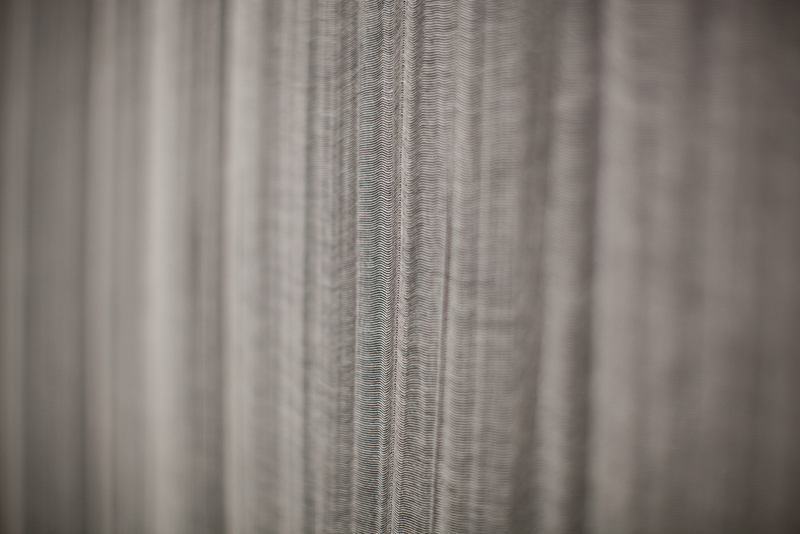 You can call us on (08) 9309 9700 or send us an online enquiry. 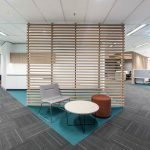 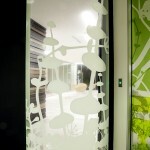 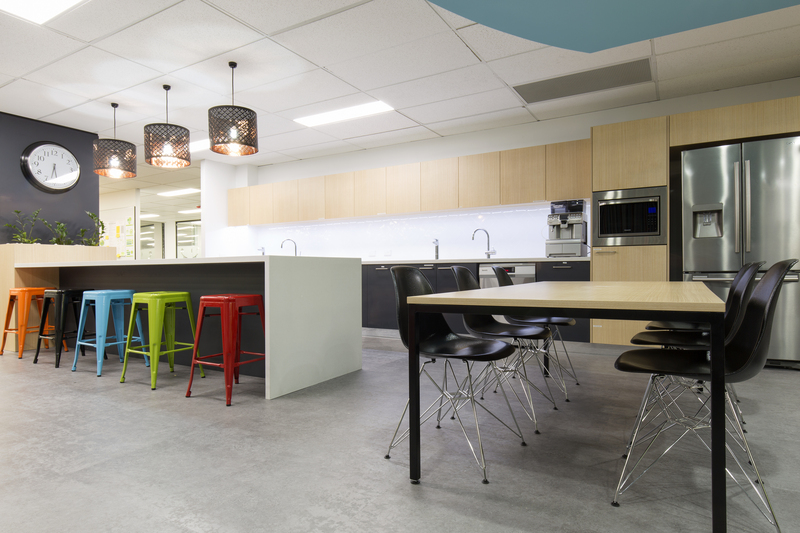 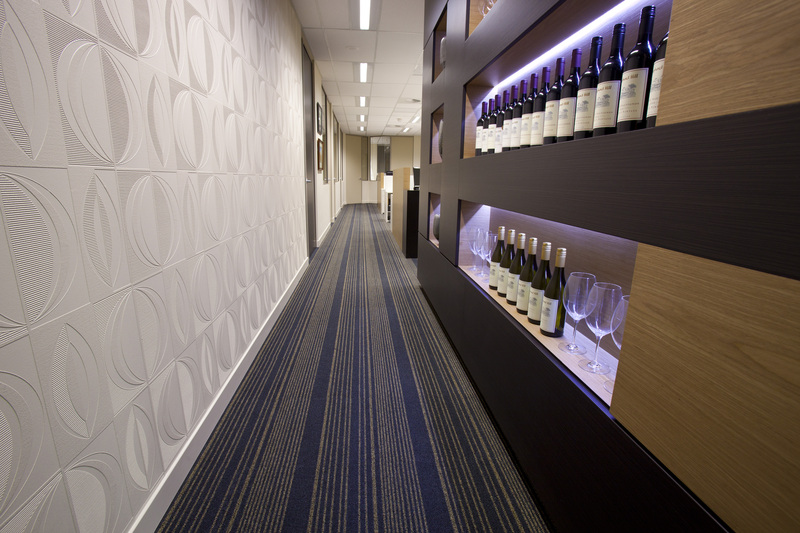 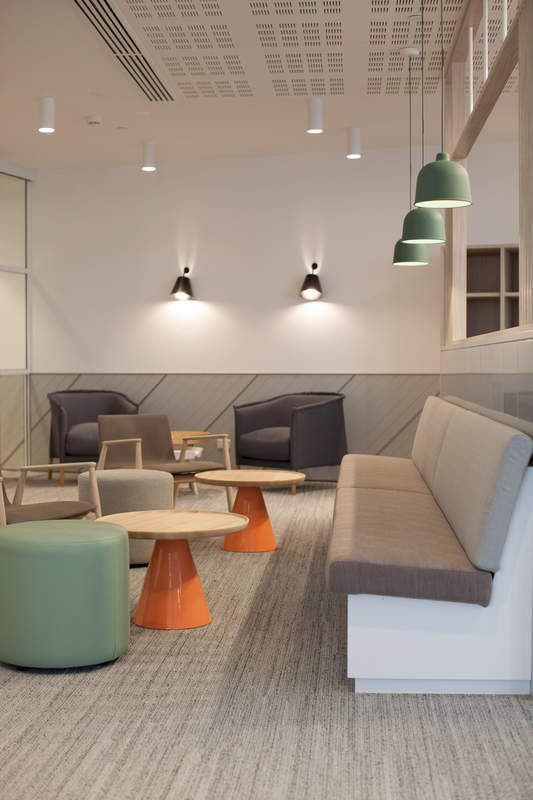 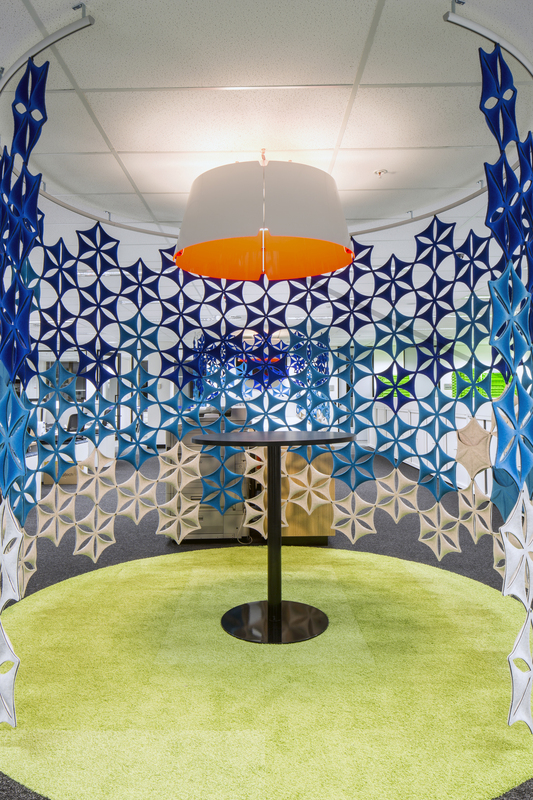 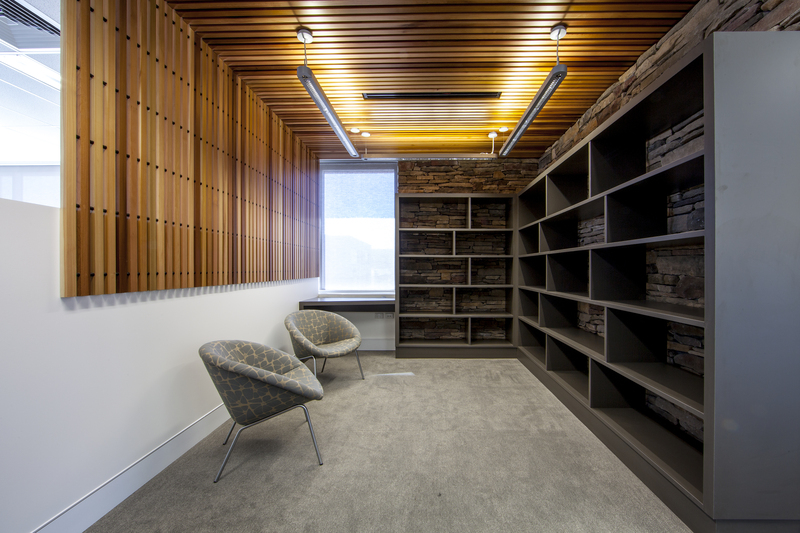 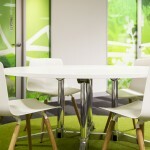 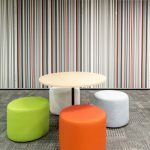 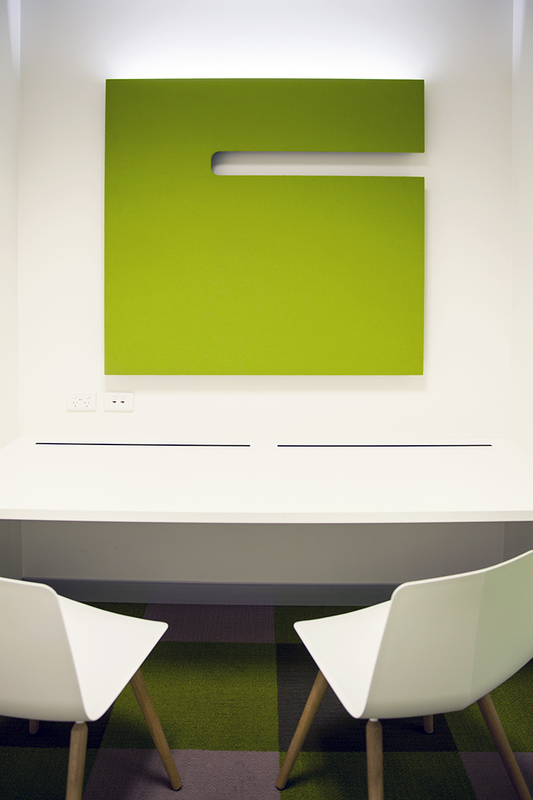 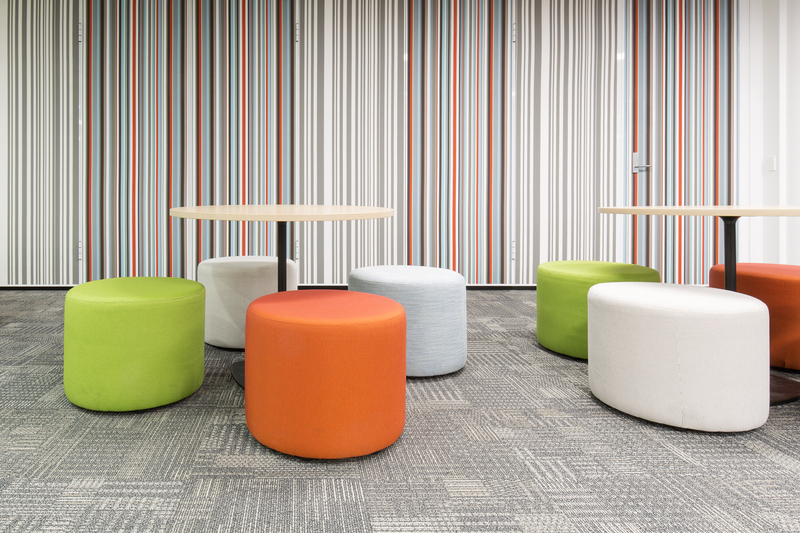 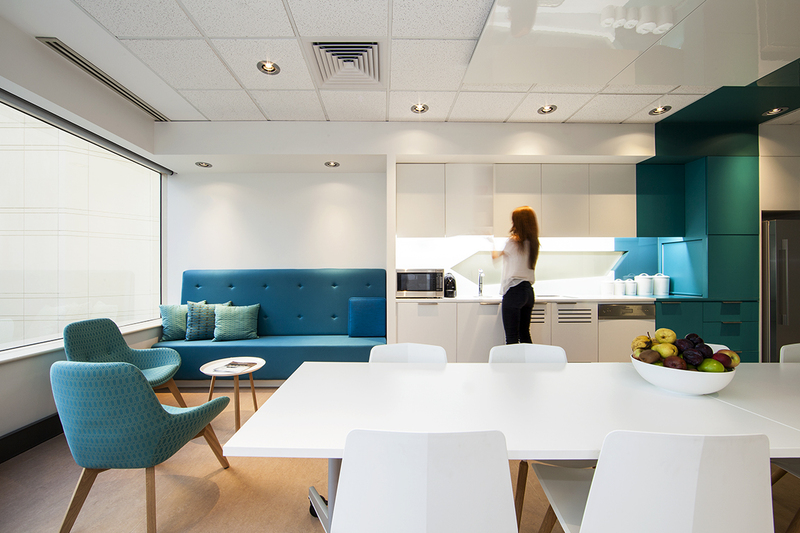 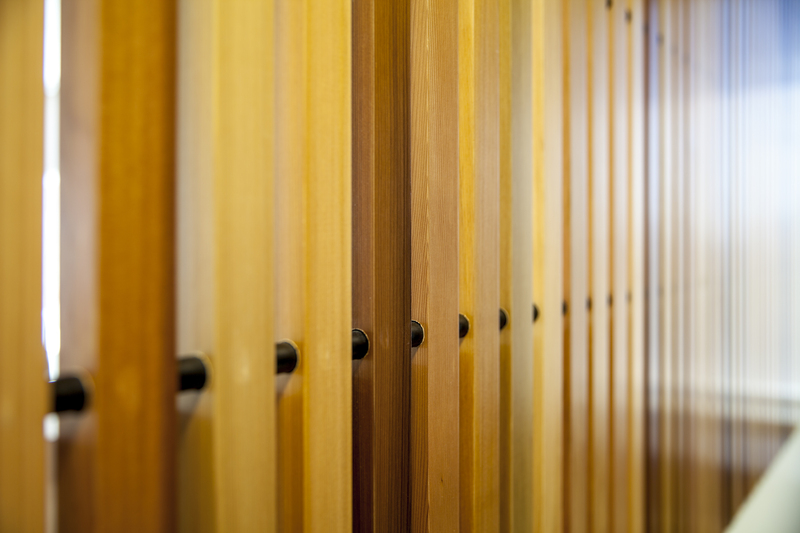 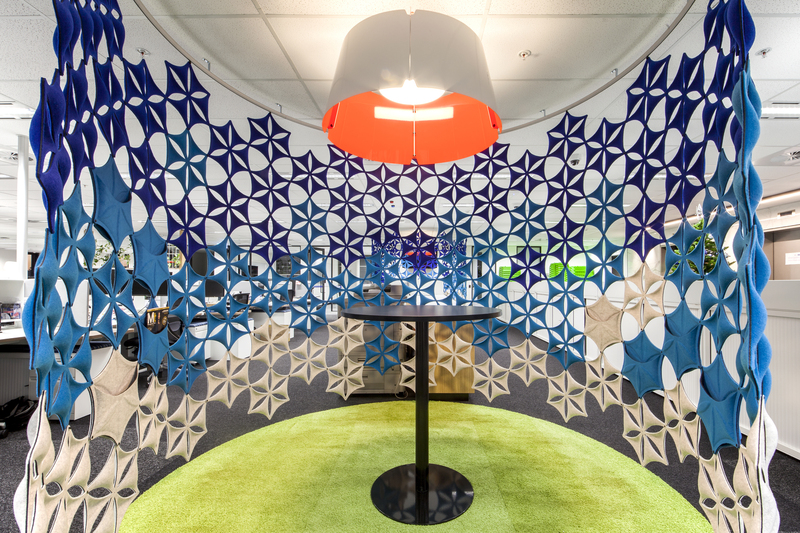 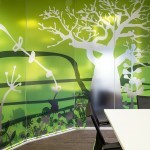 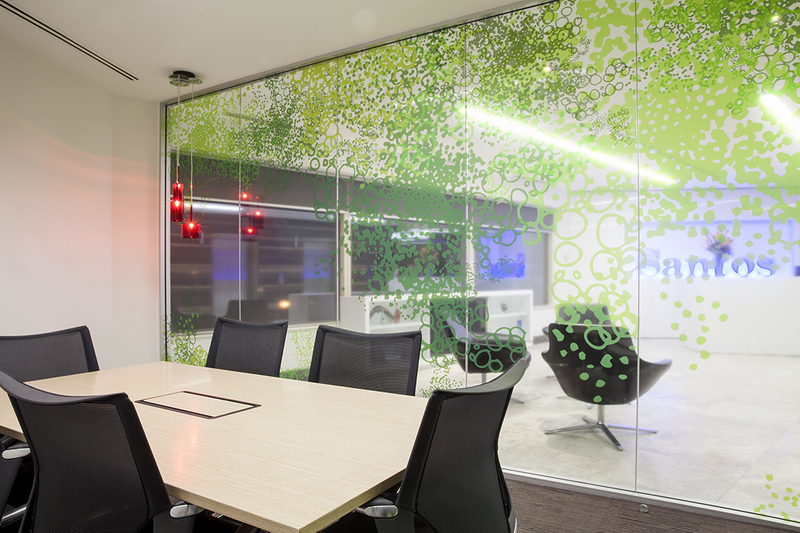 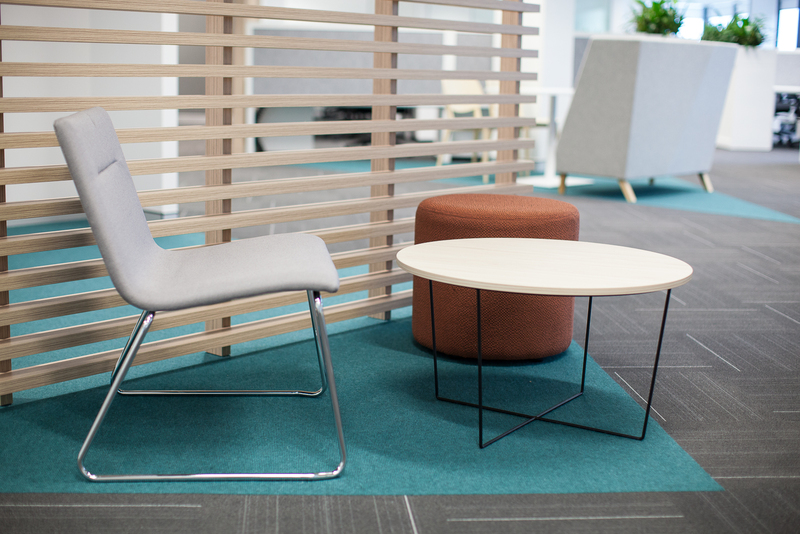 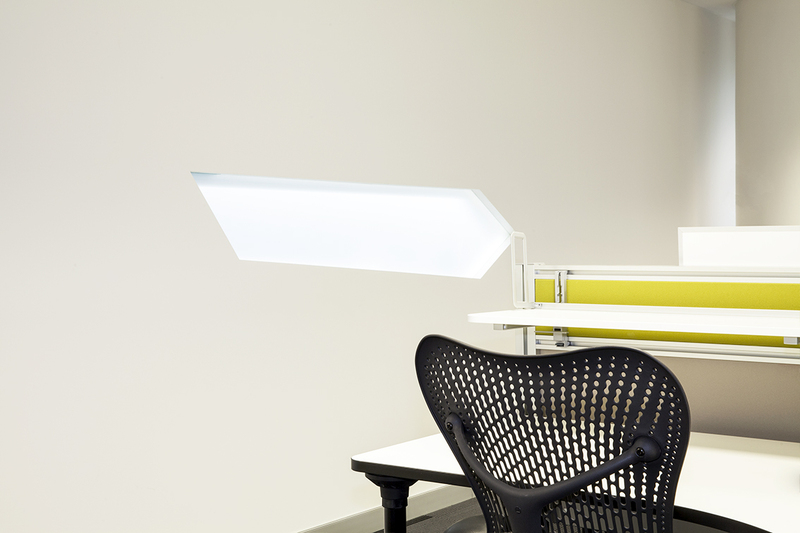 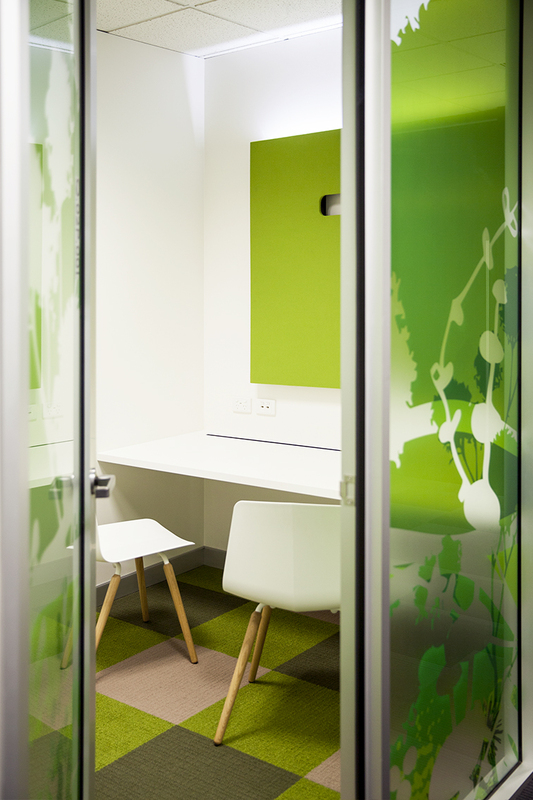 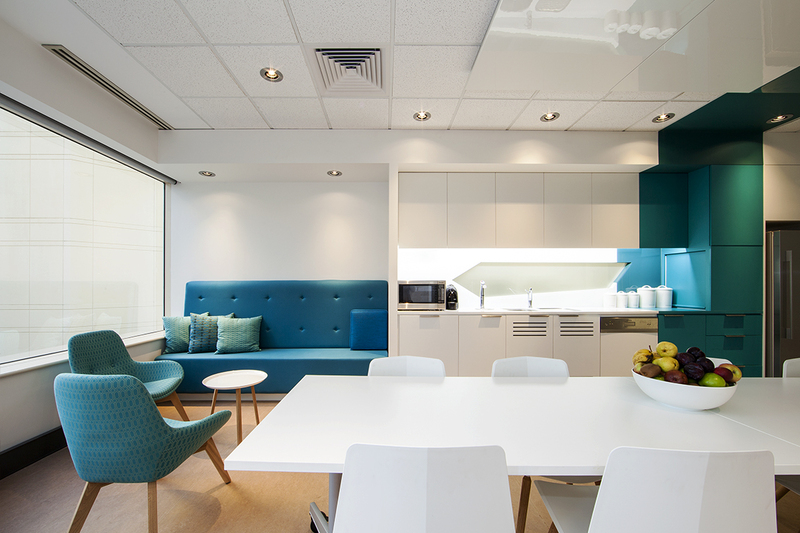 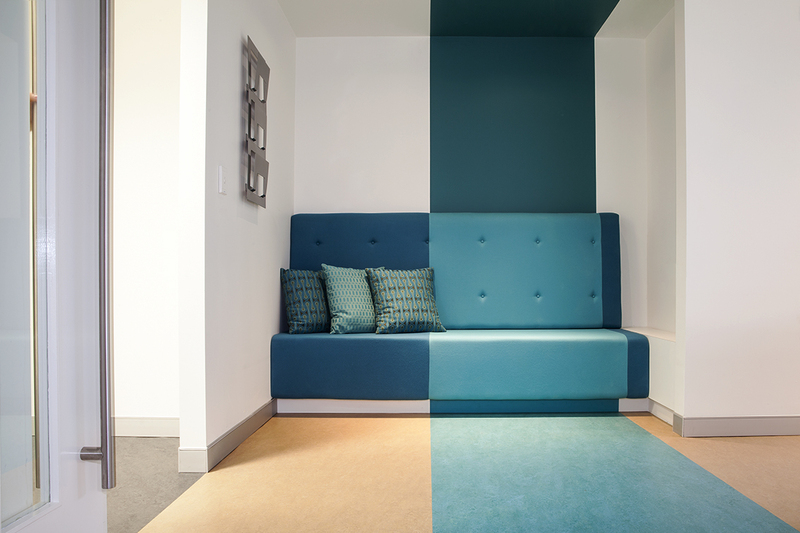 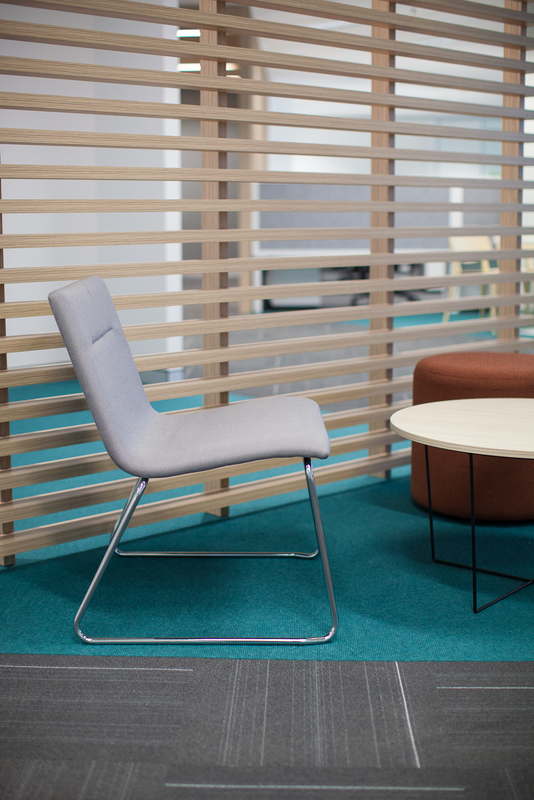 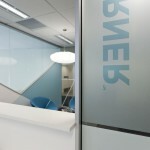 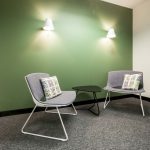 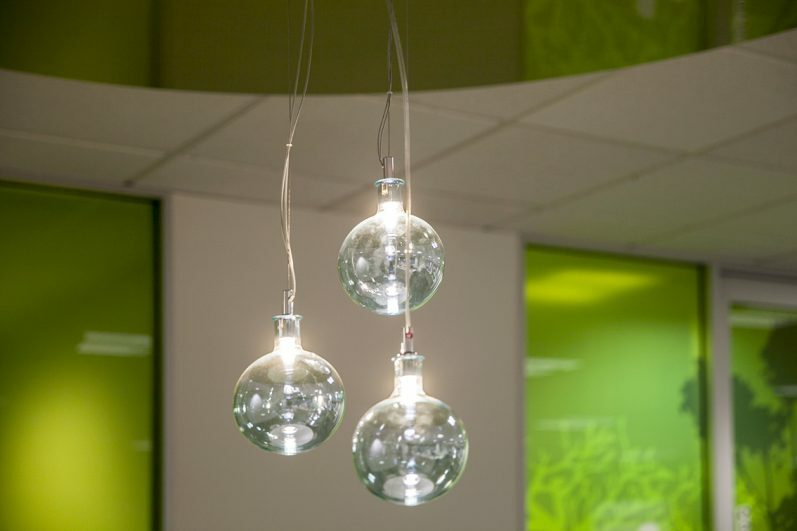 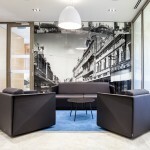 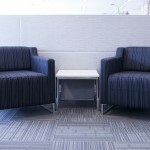 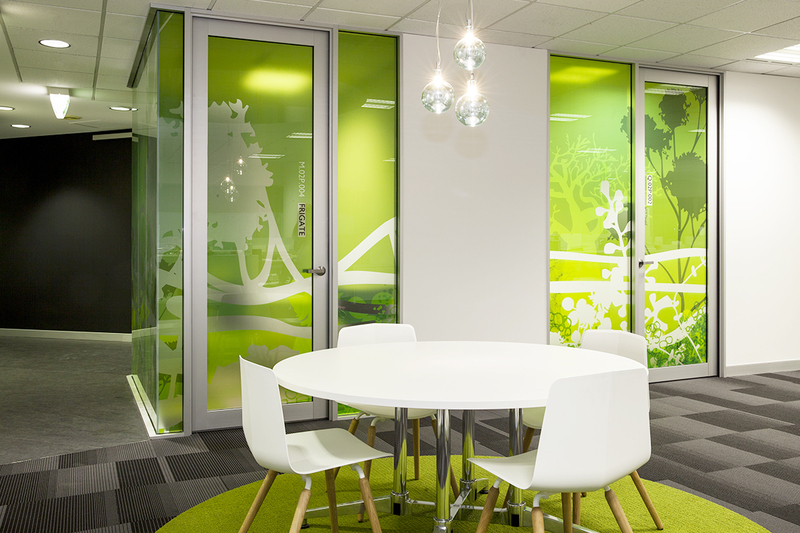 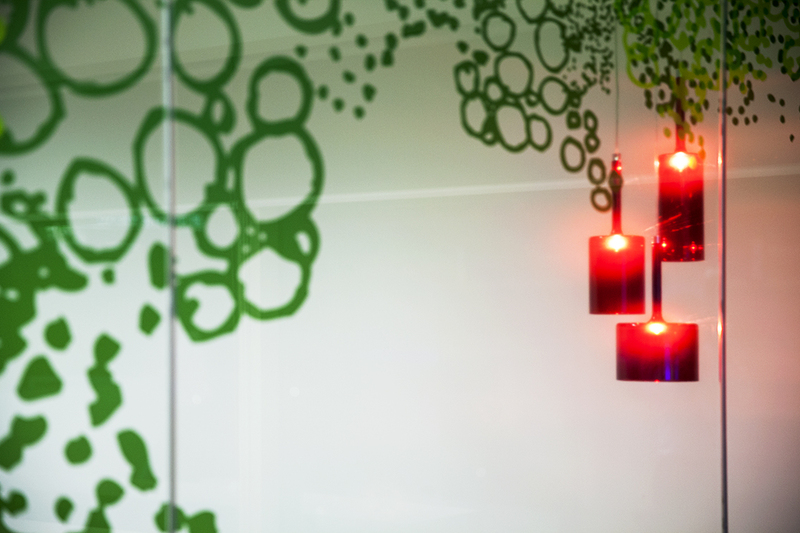 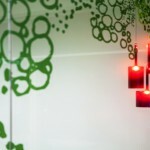 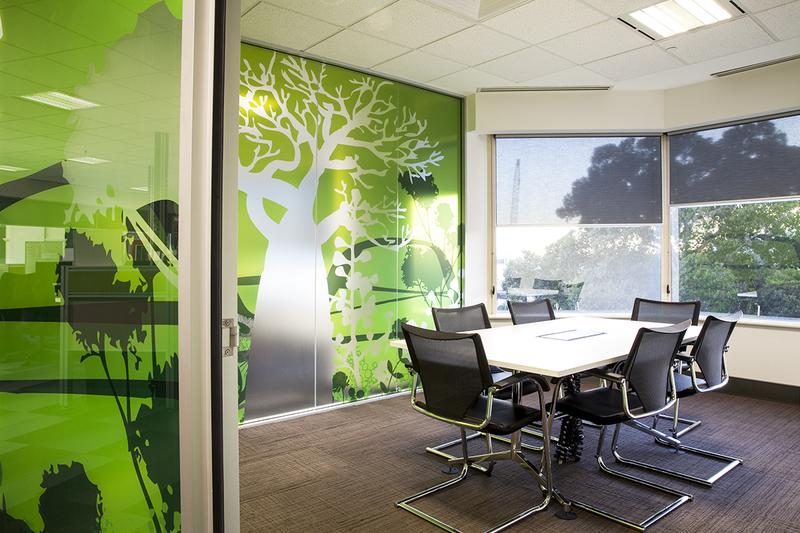 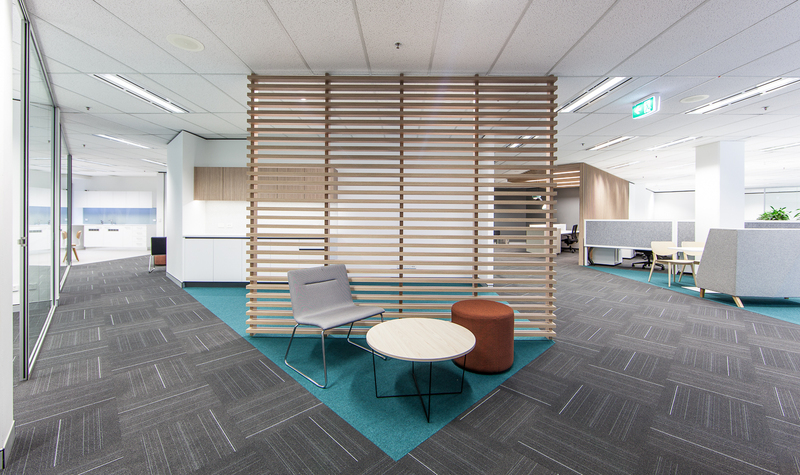 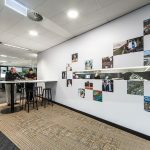 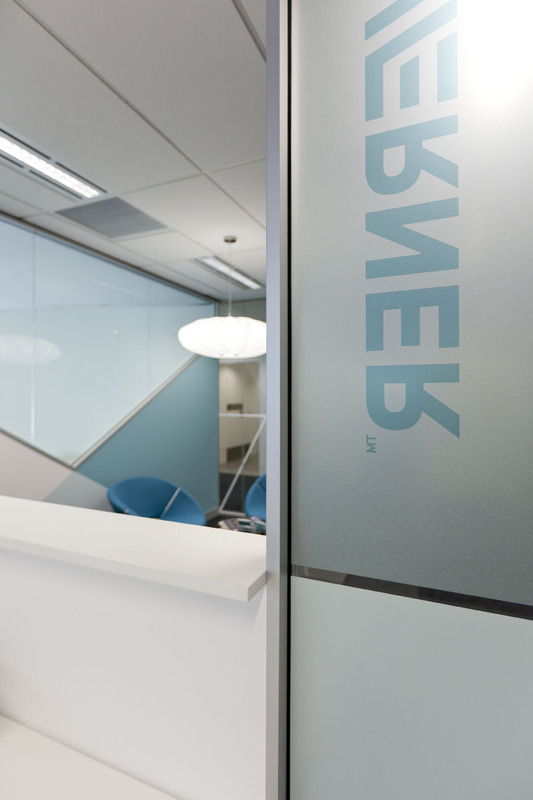 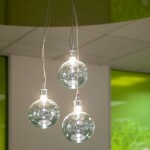 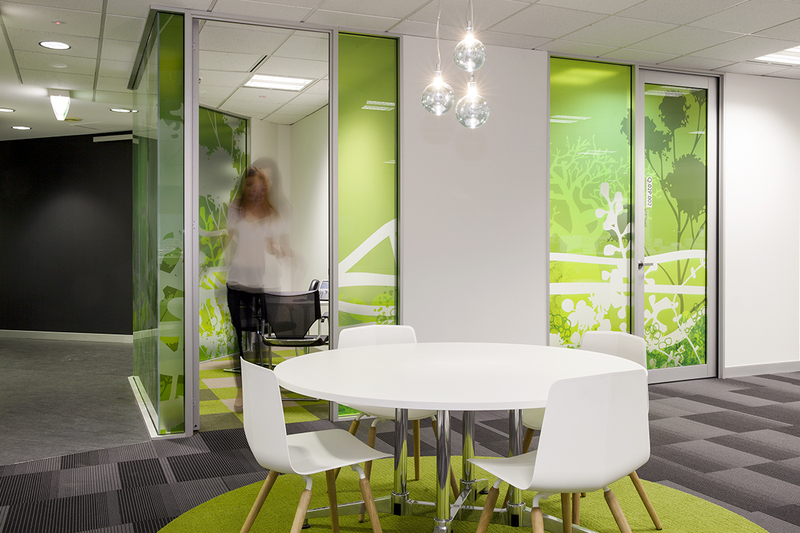 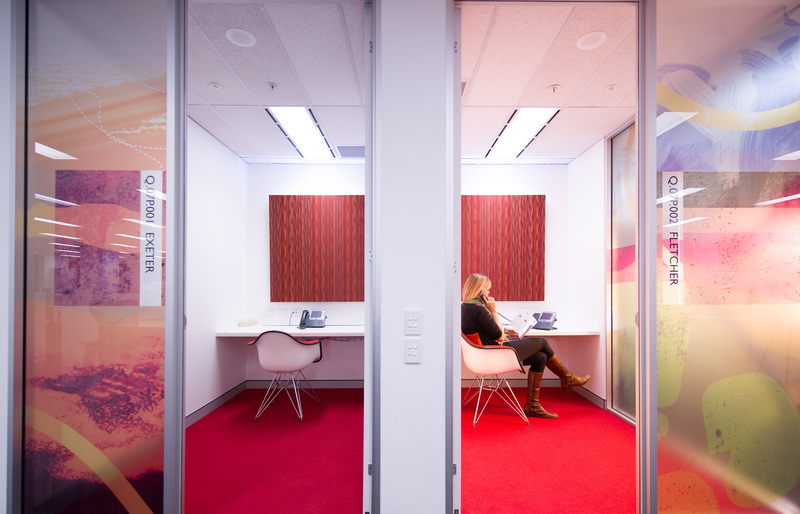 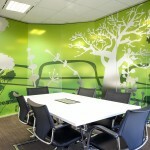 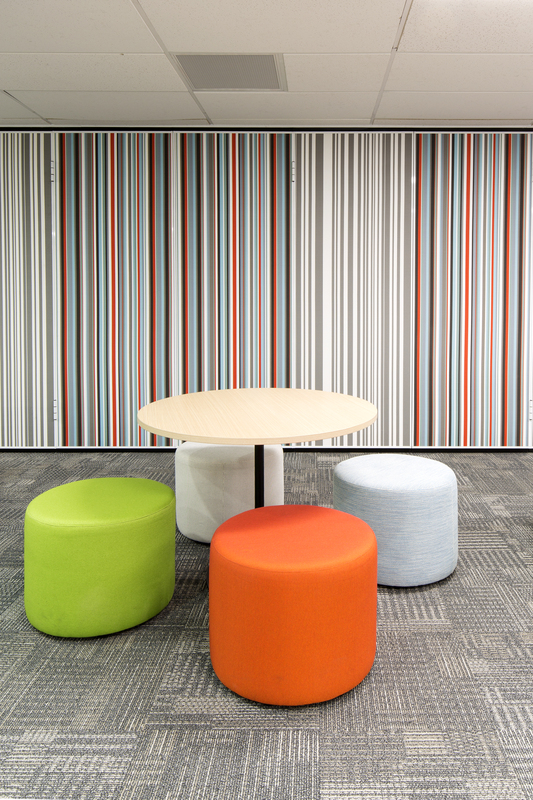 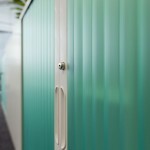 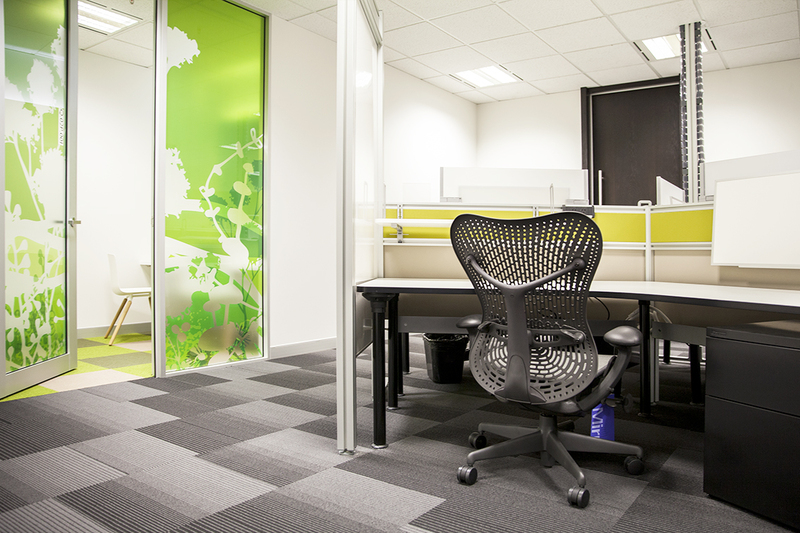 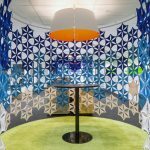 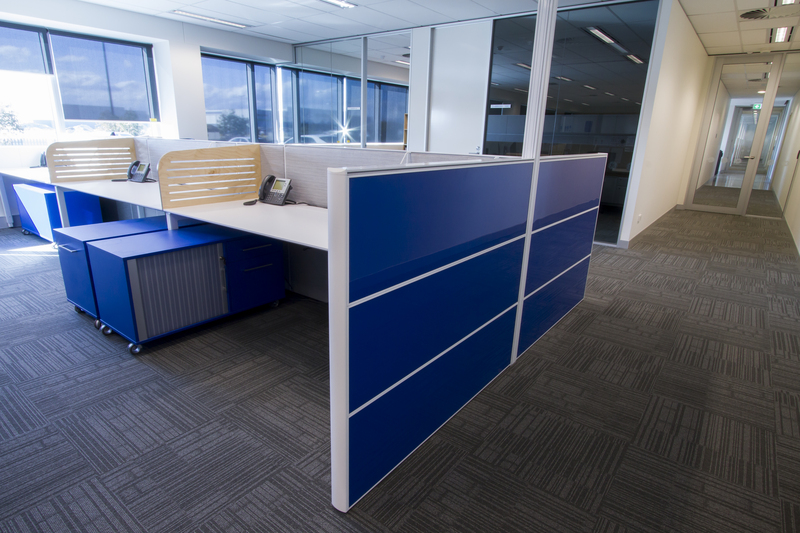 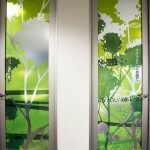 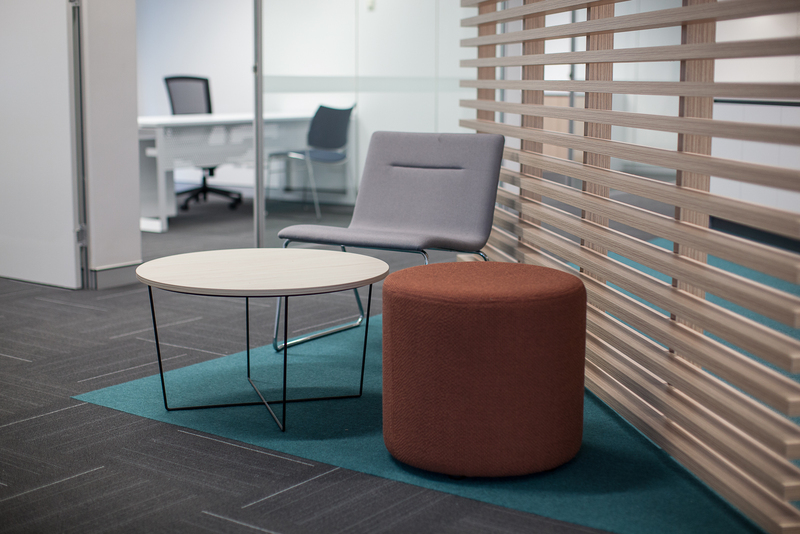 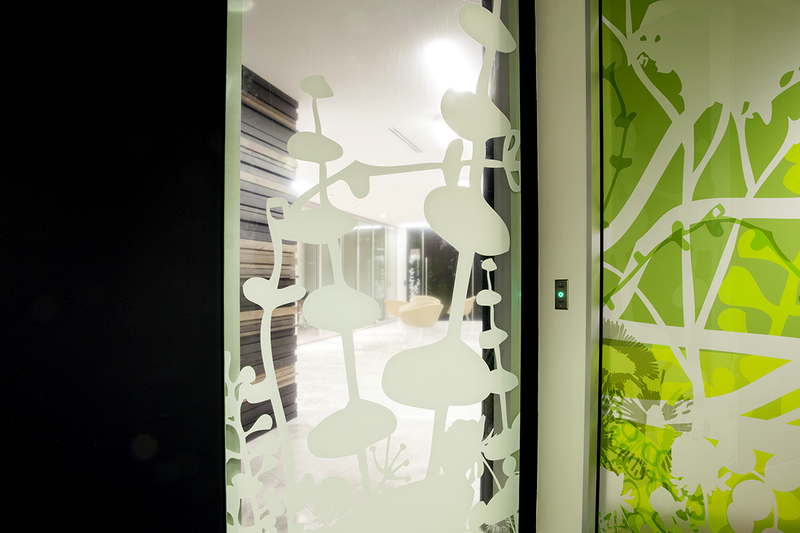 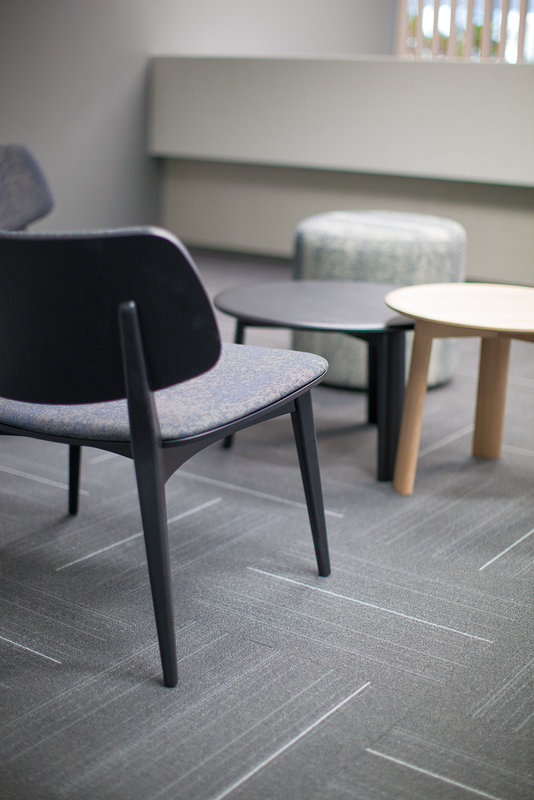 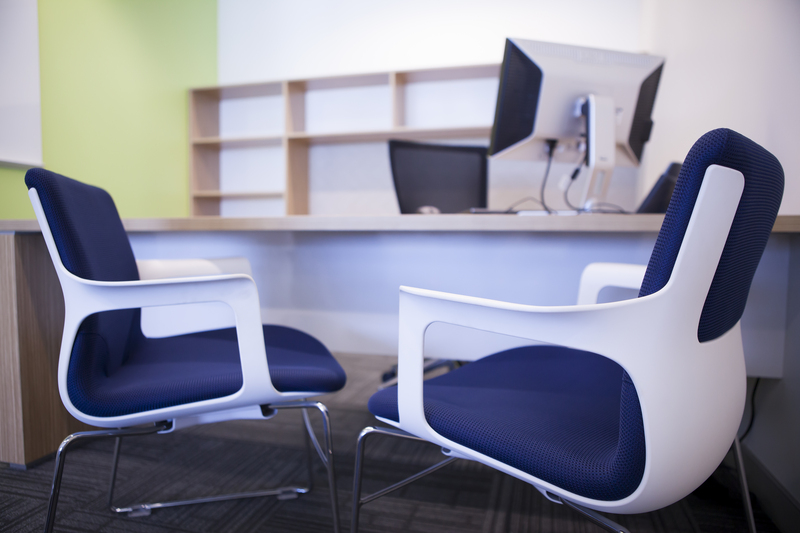 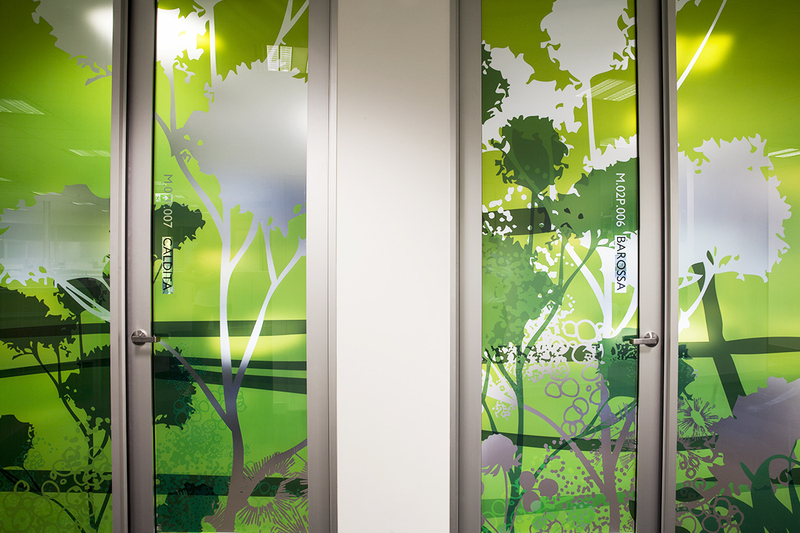 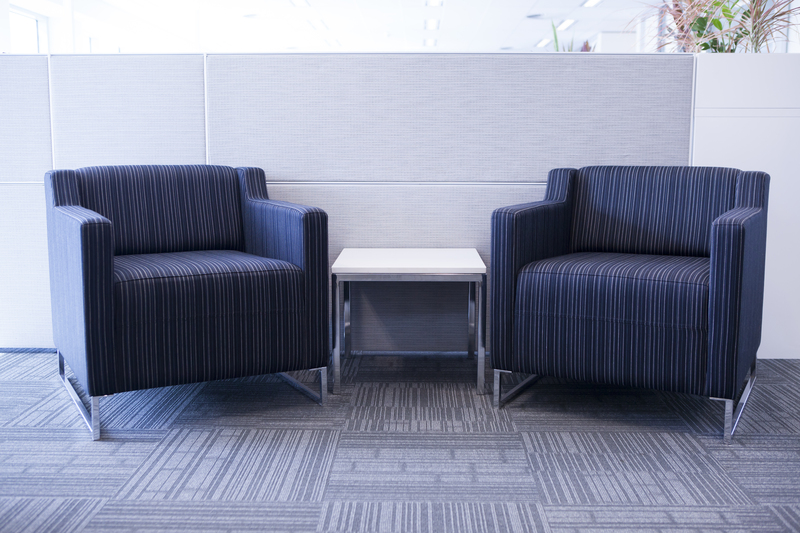 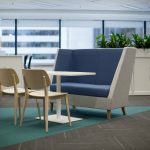 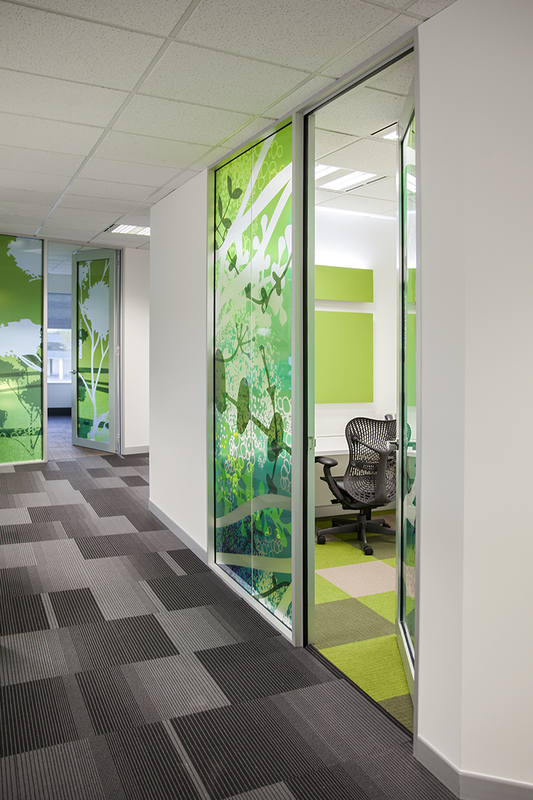 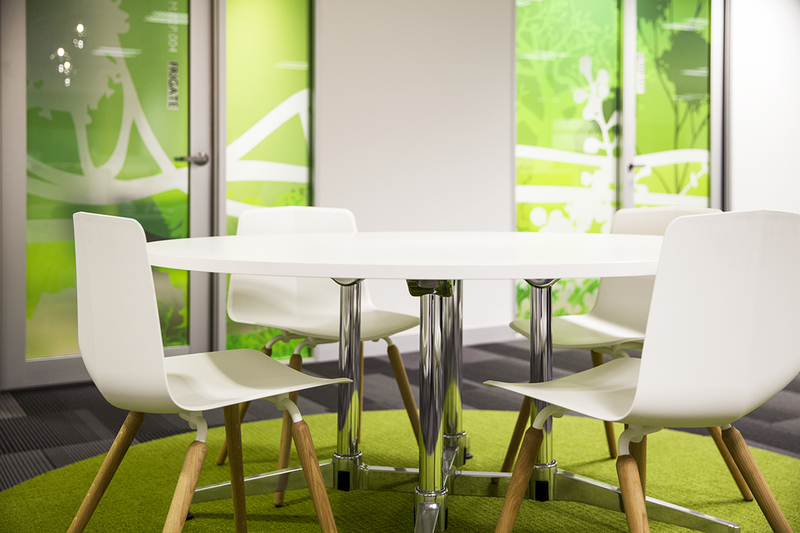 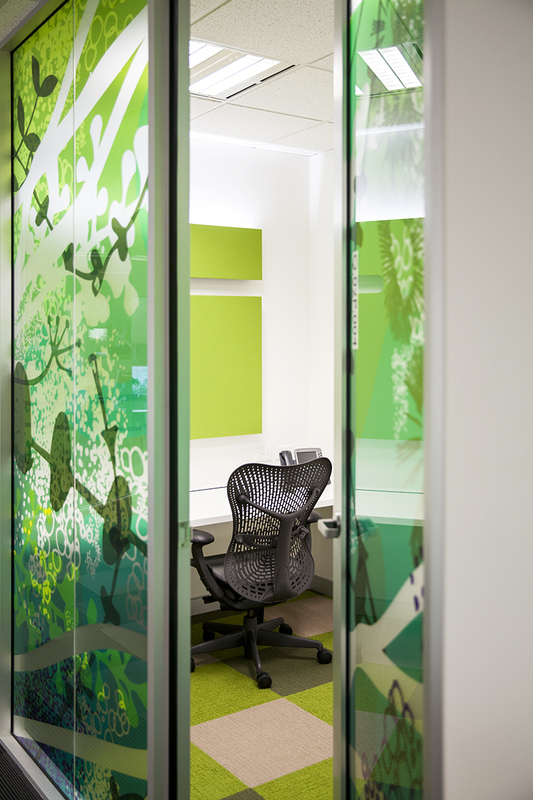 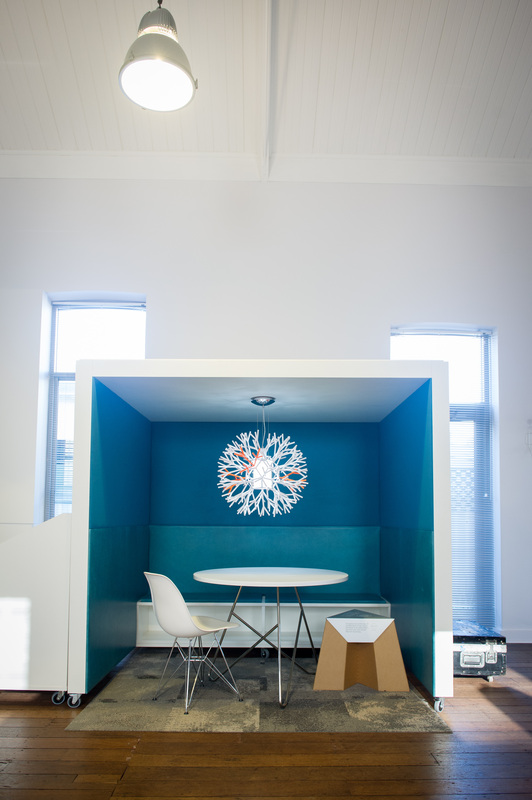 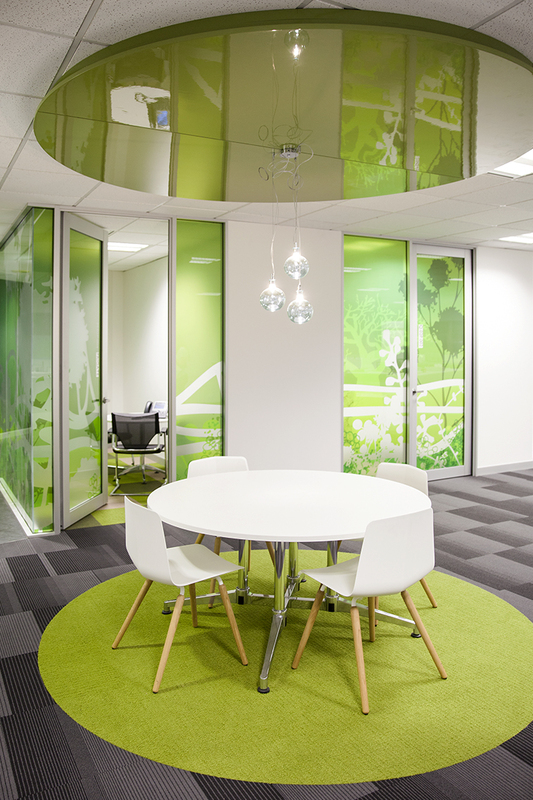 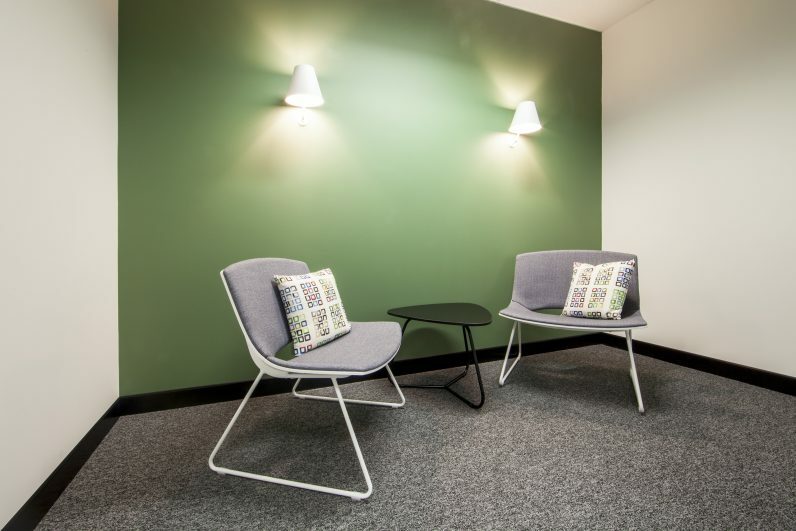 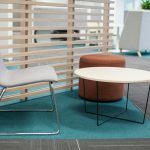 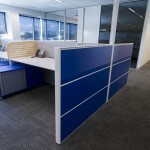 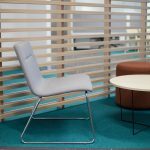 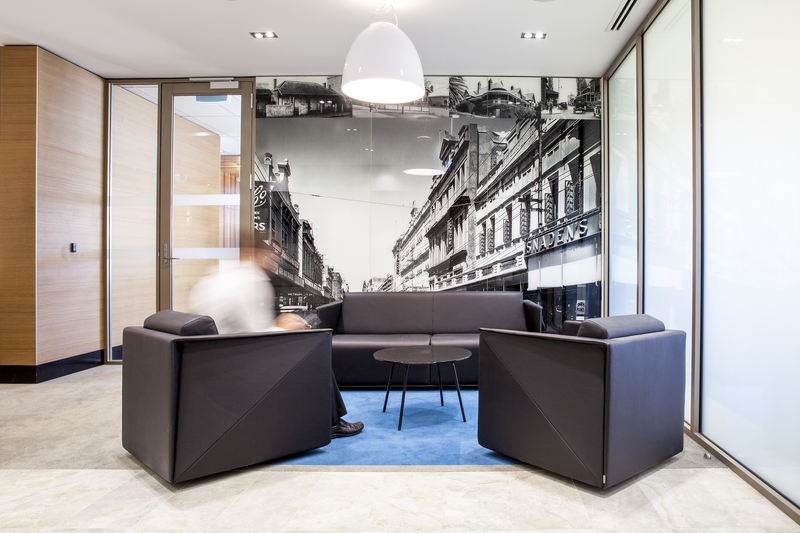 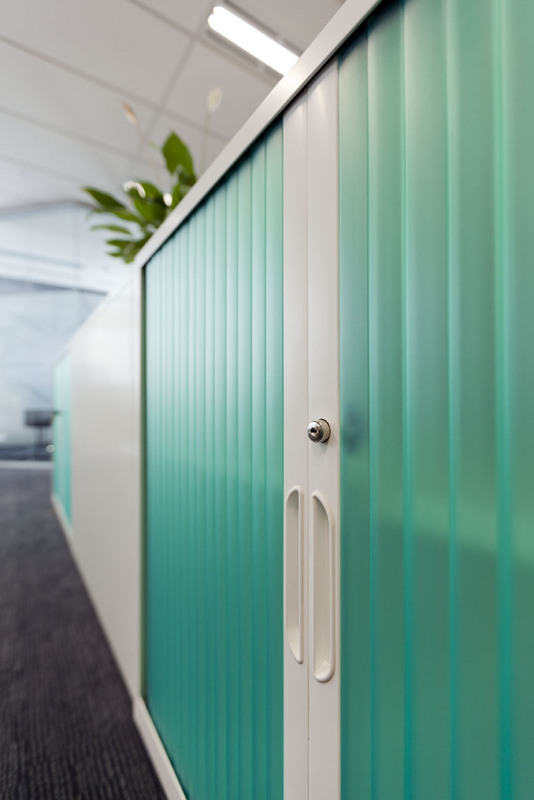 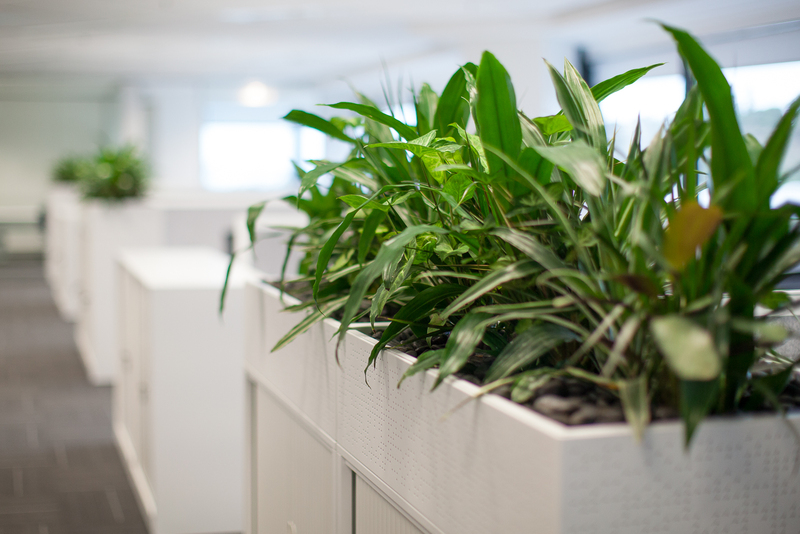 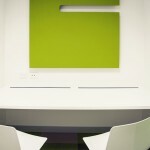 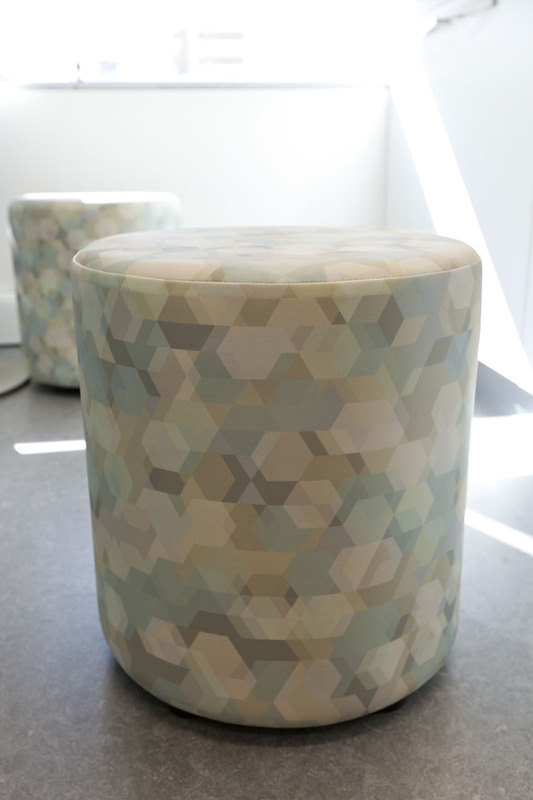 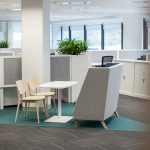 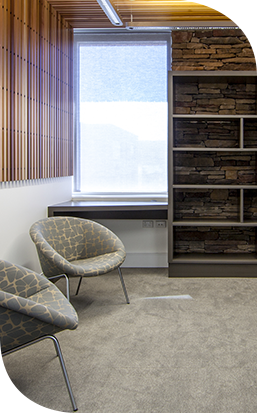 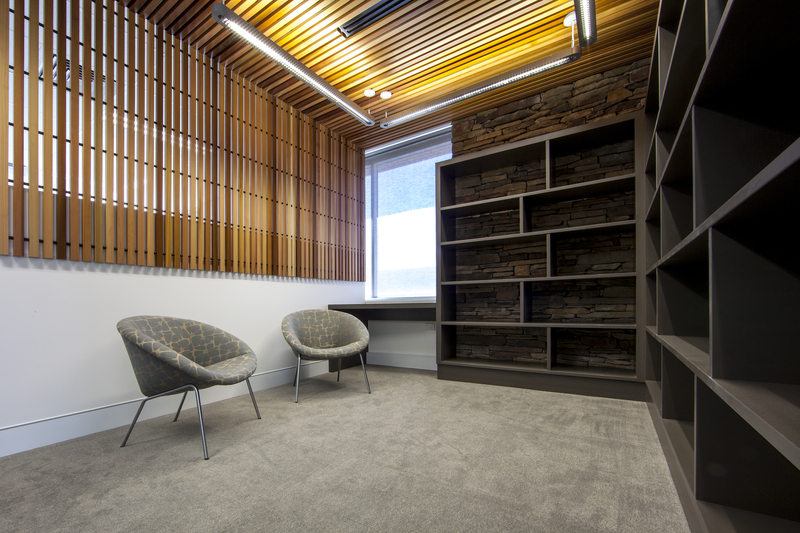 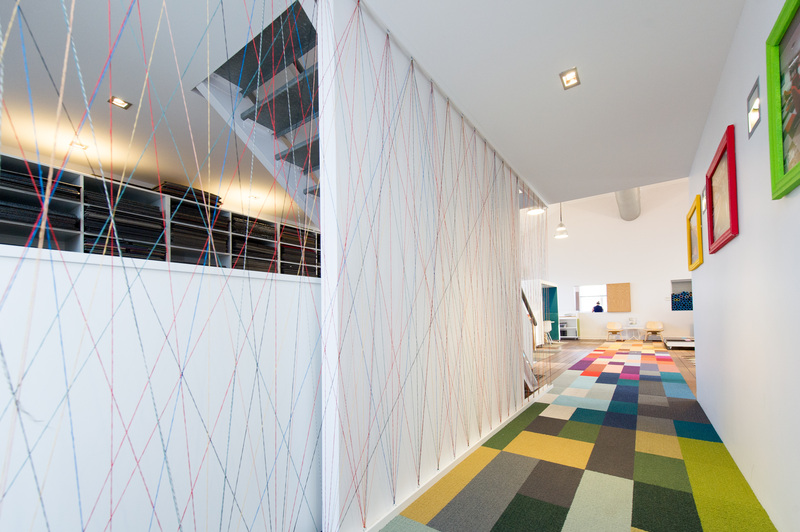 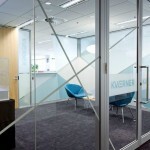 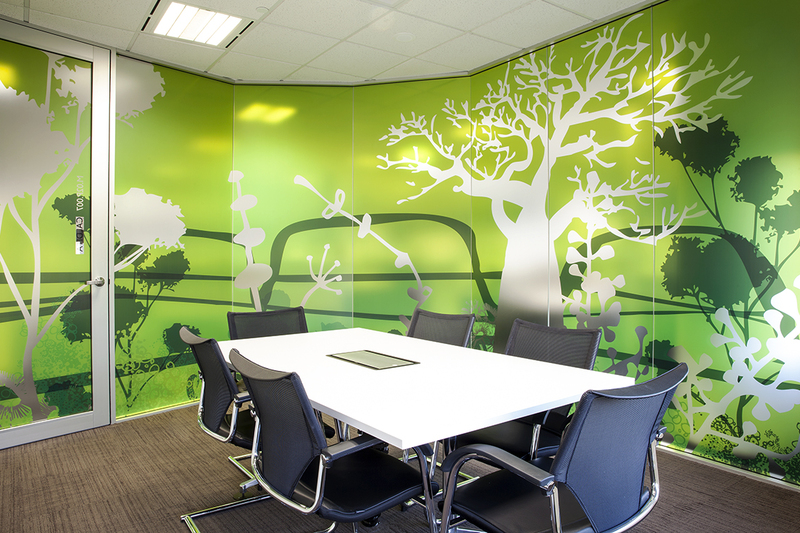 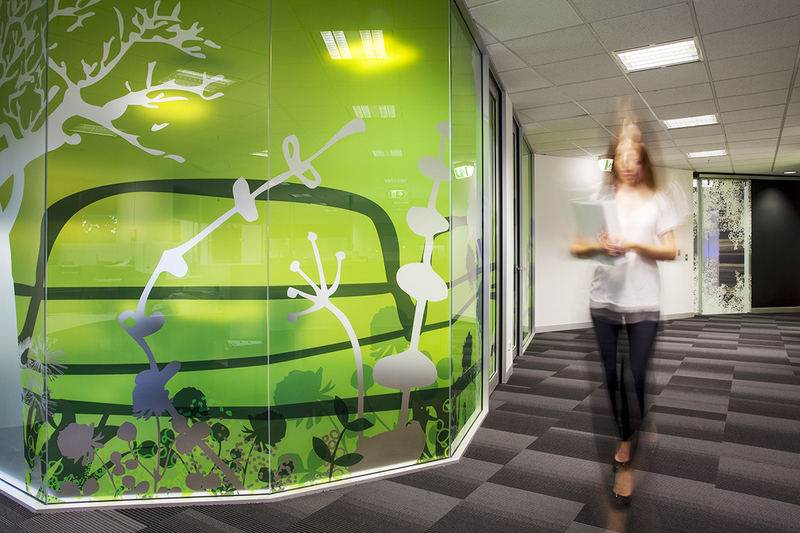 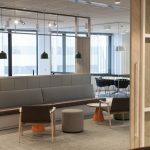 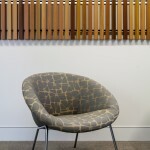 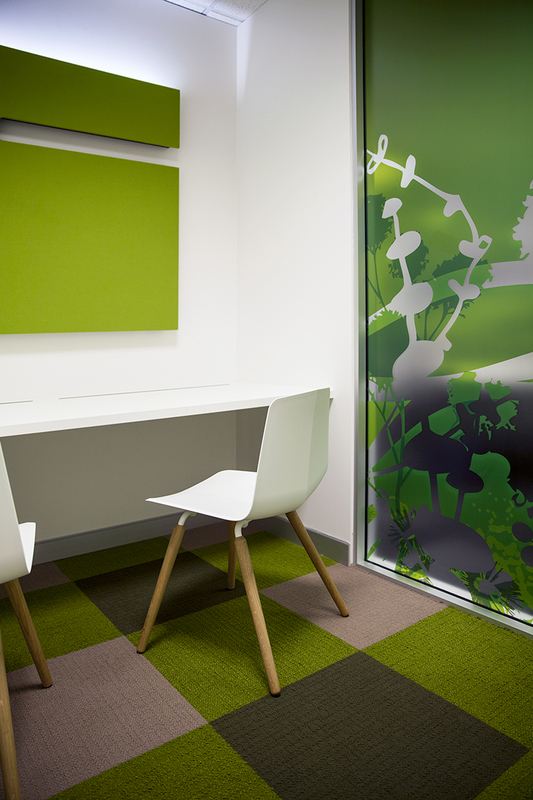 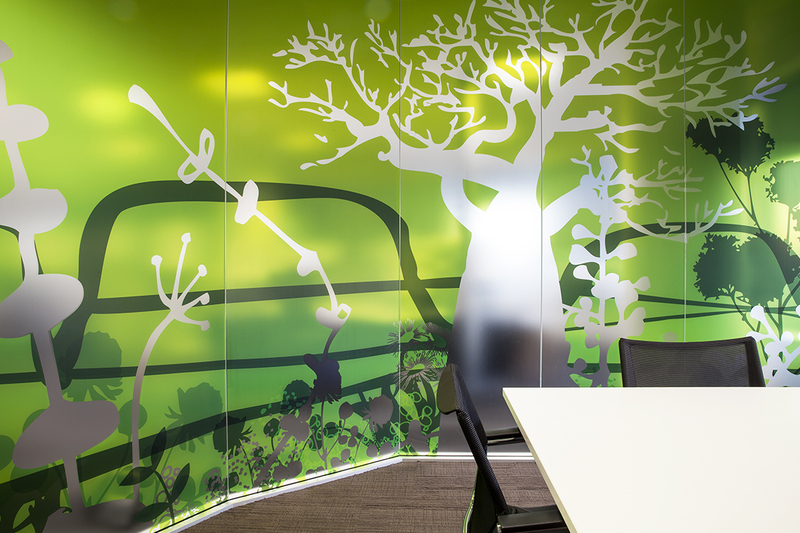 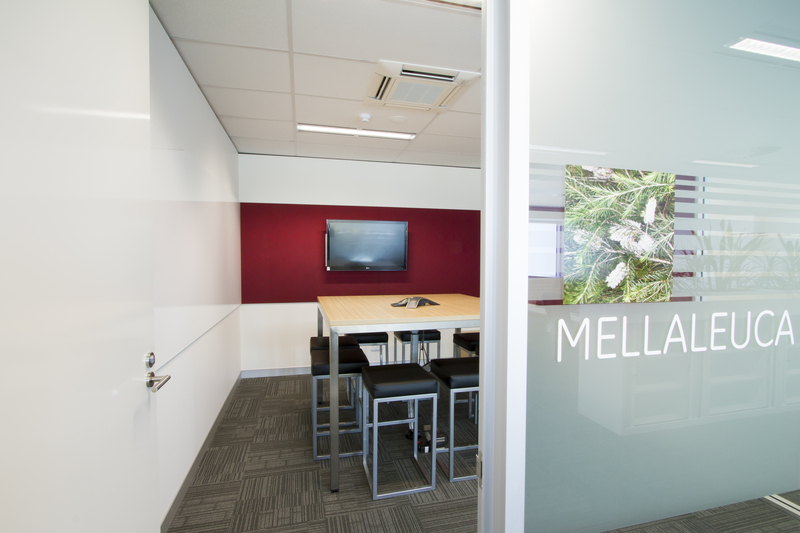 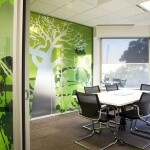 How Can Breakout Areas Positively Influence a Workplace?